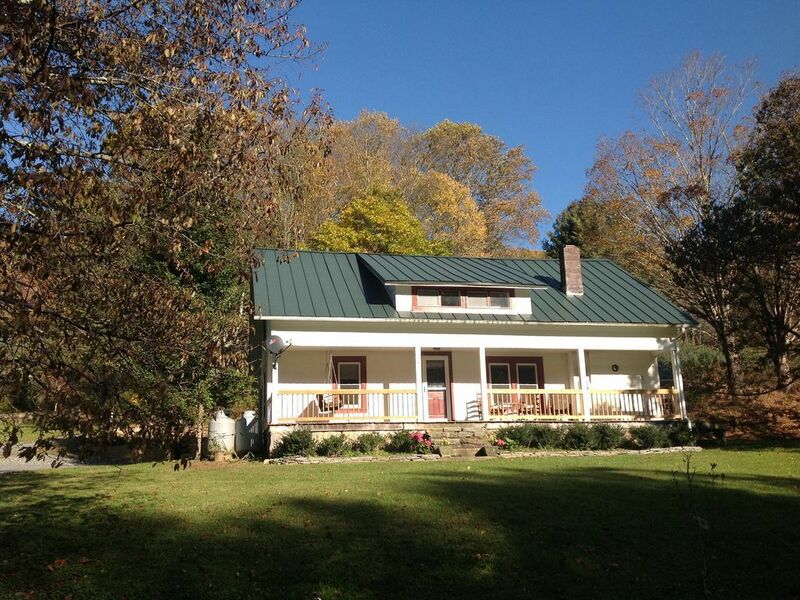 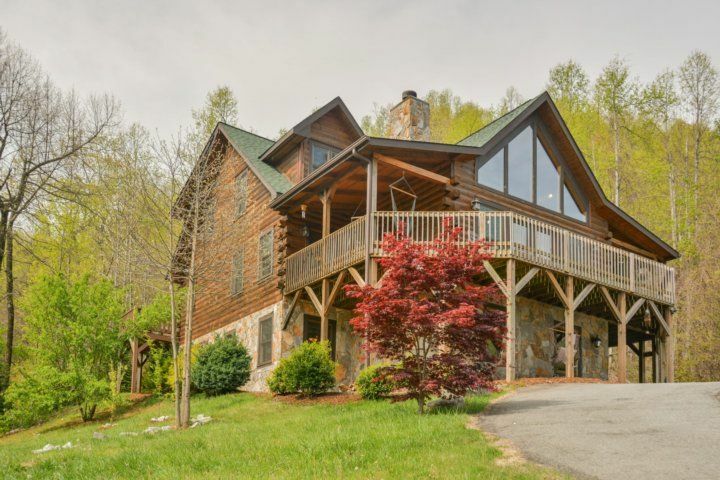 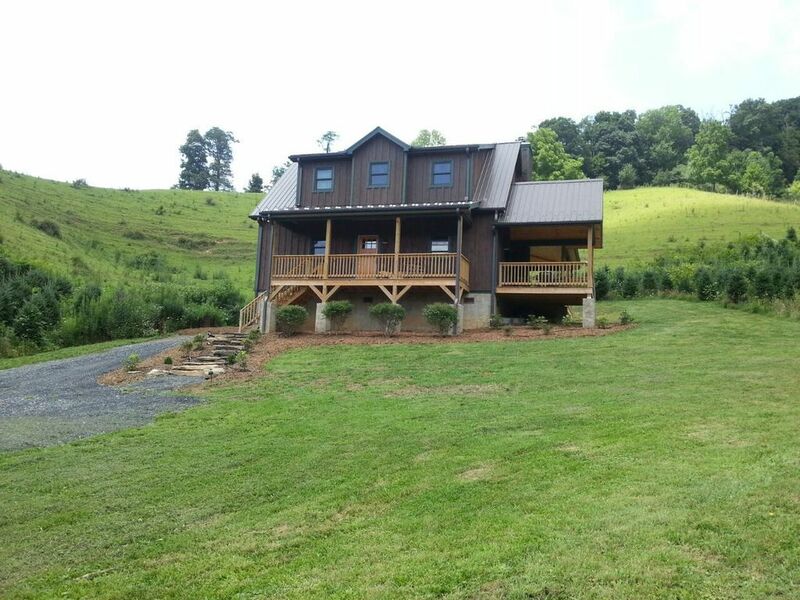 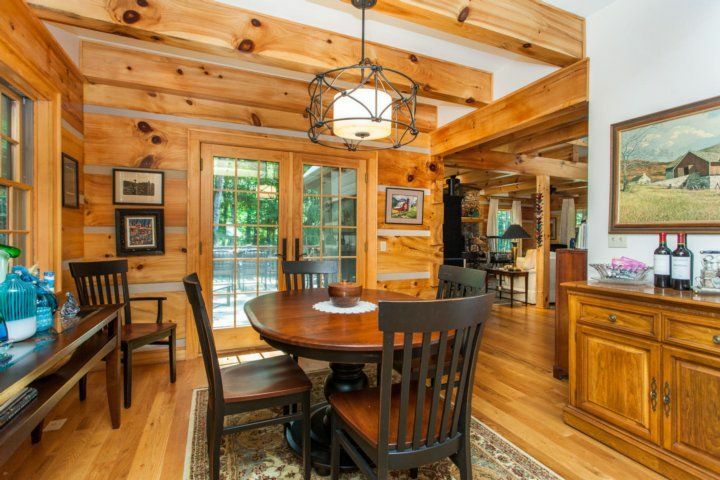 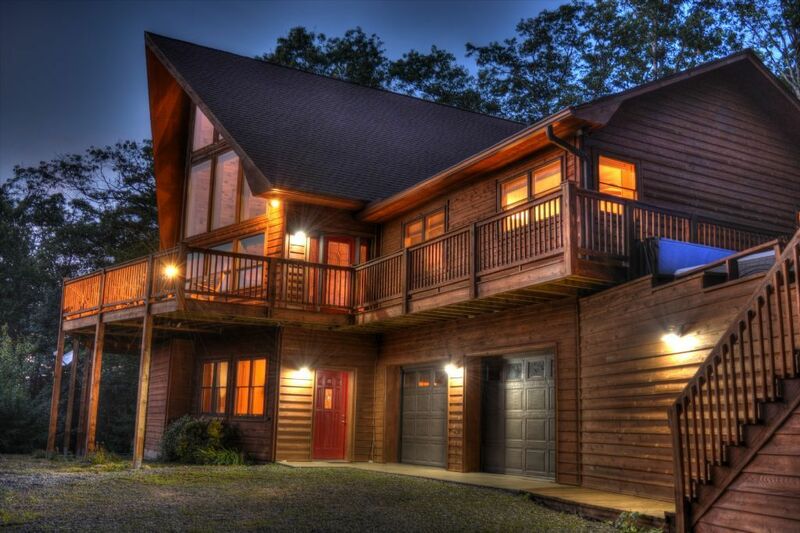 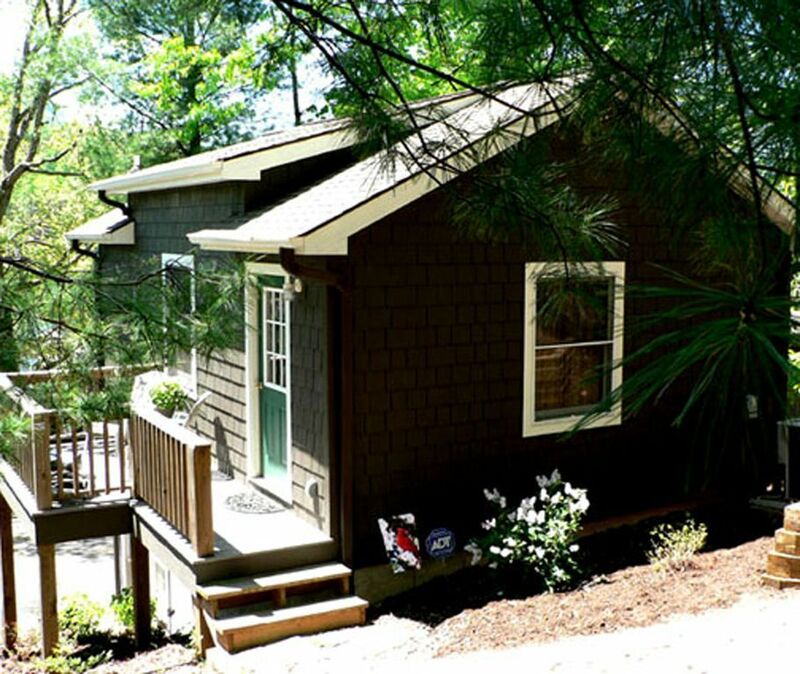 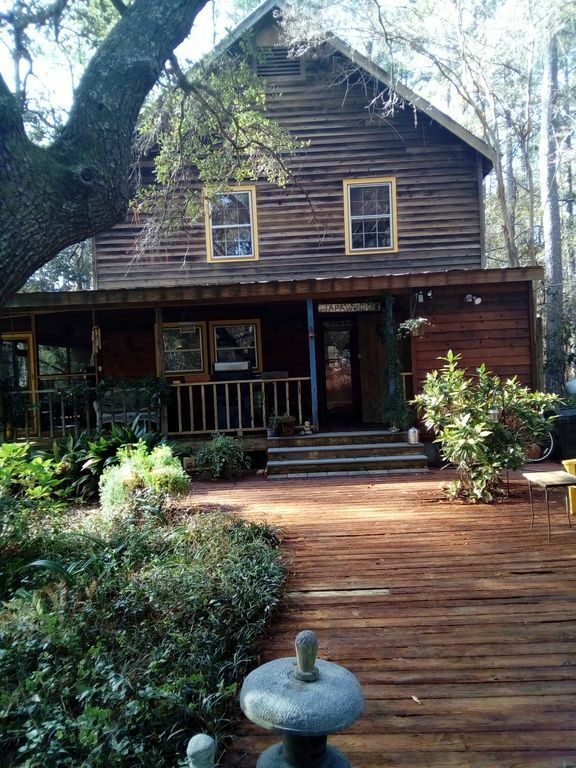 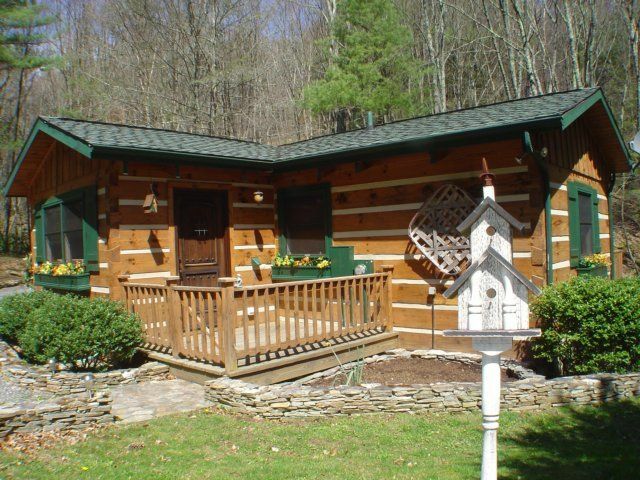 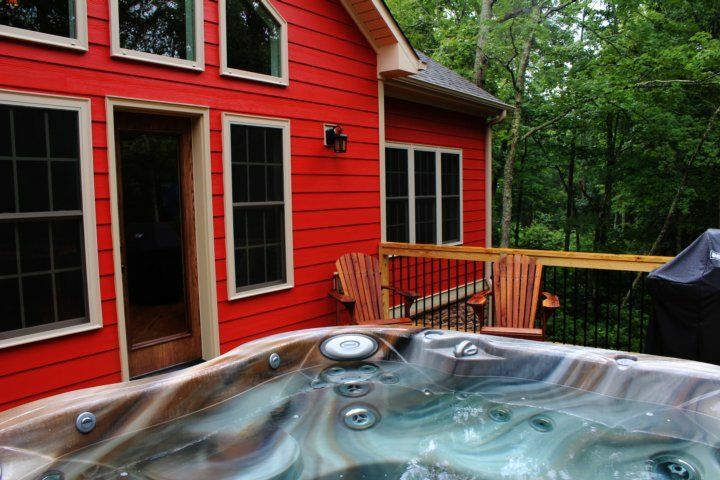 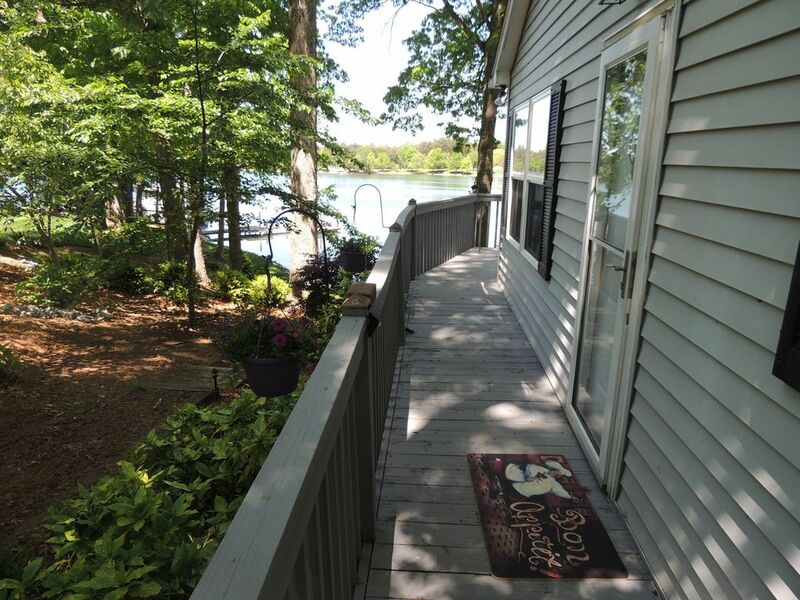 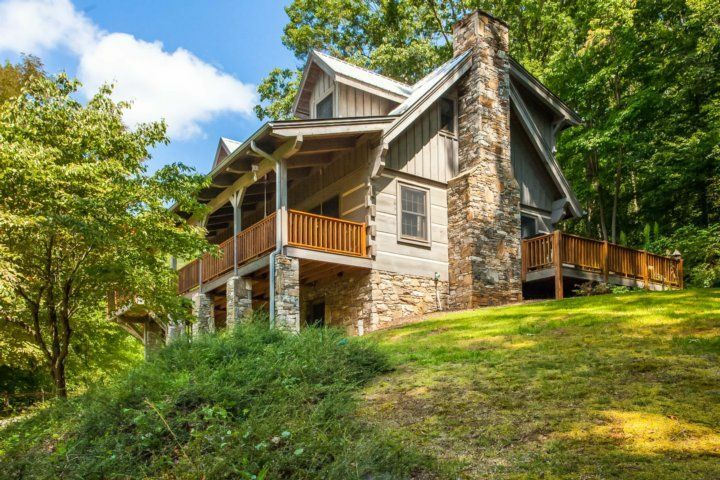 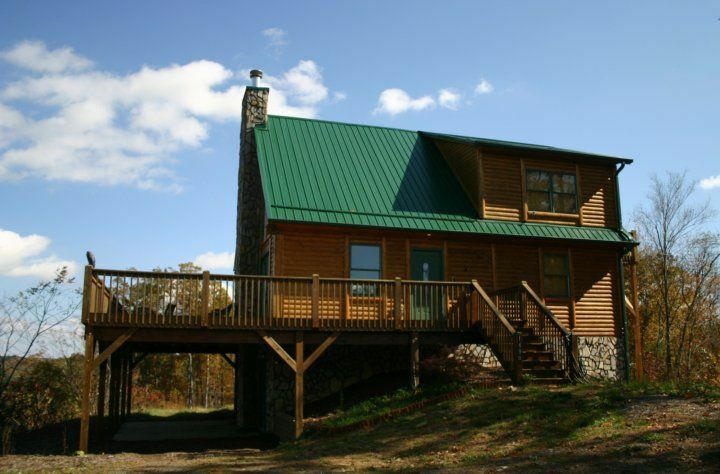 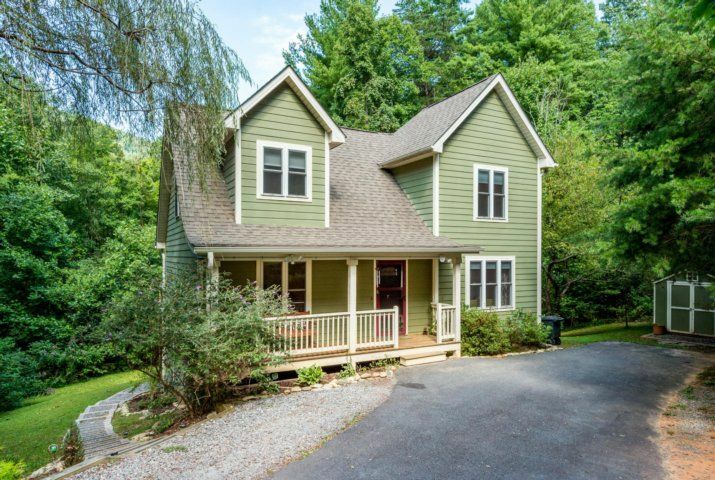 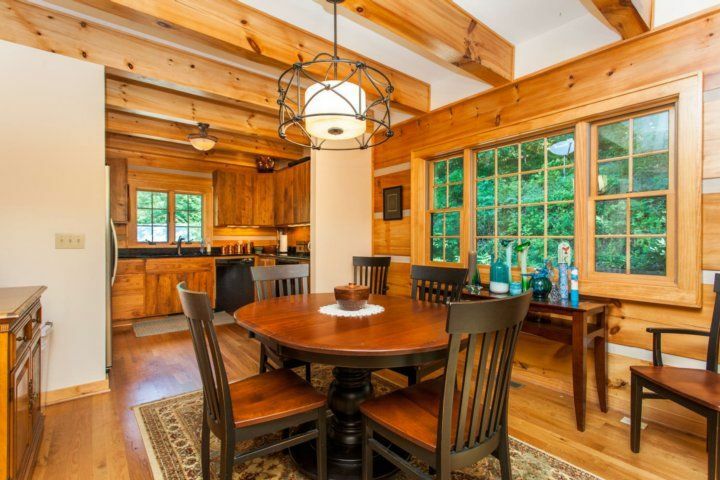 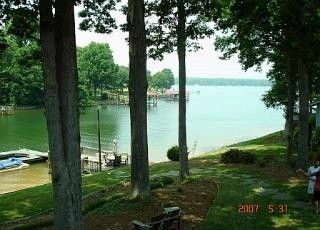 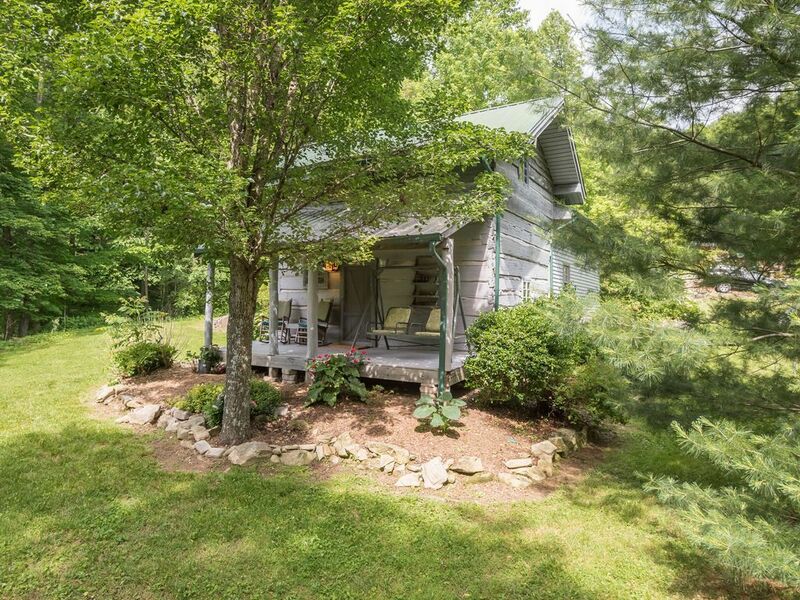 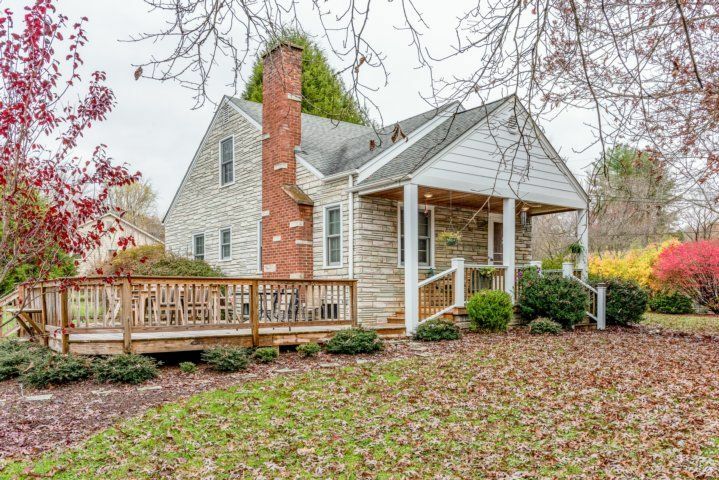 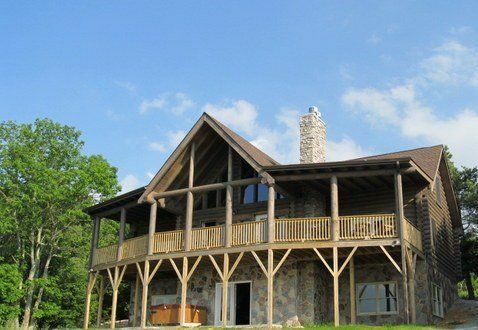 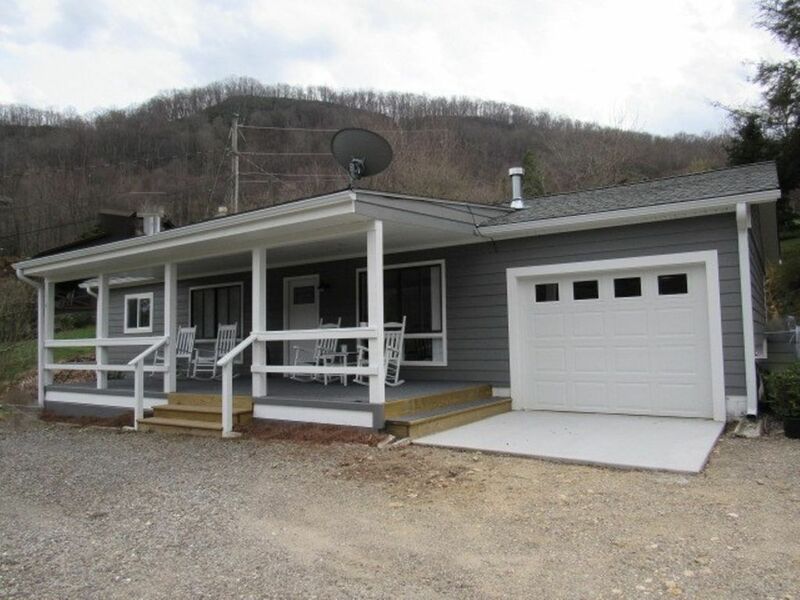 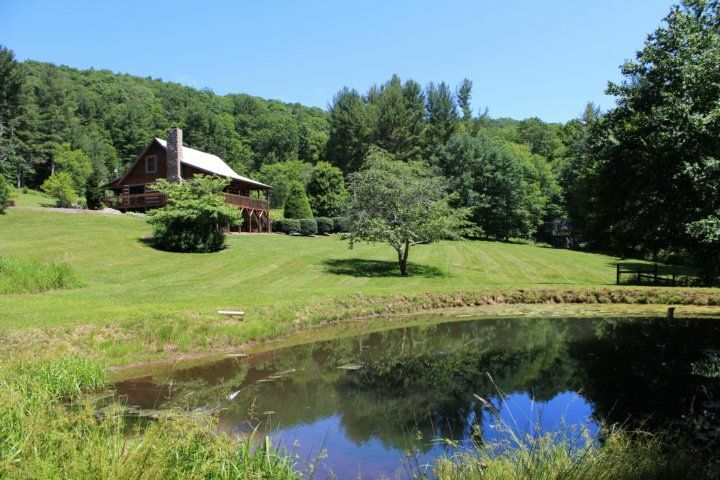 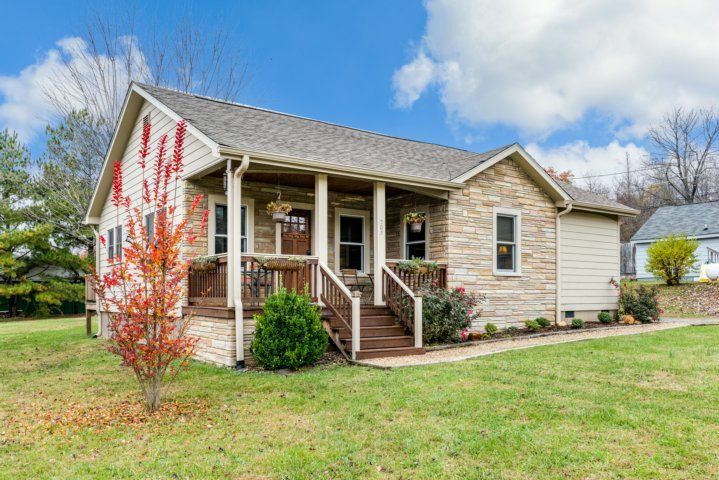 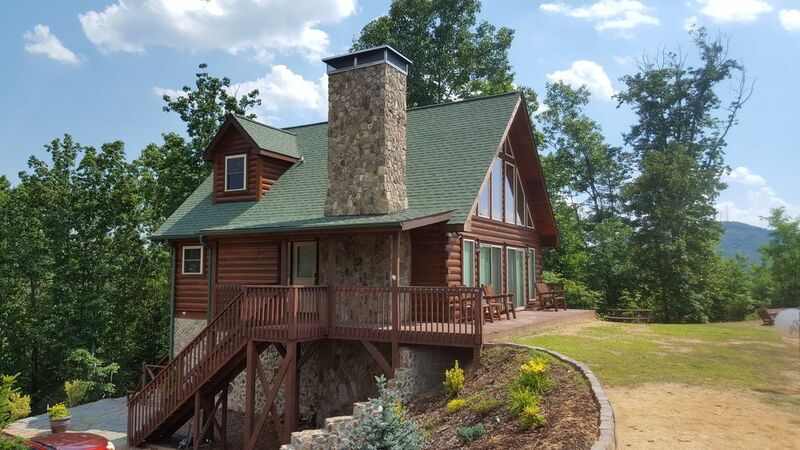 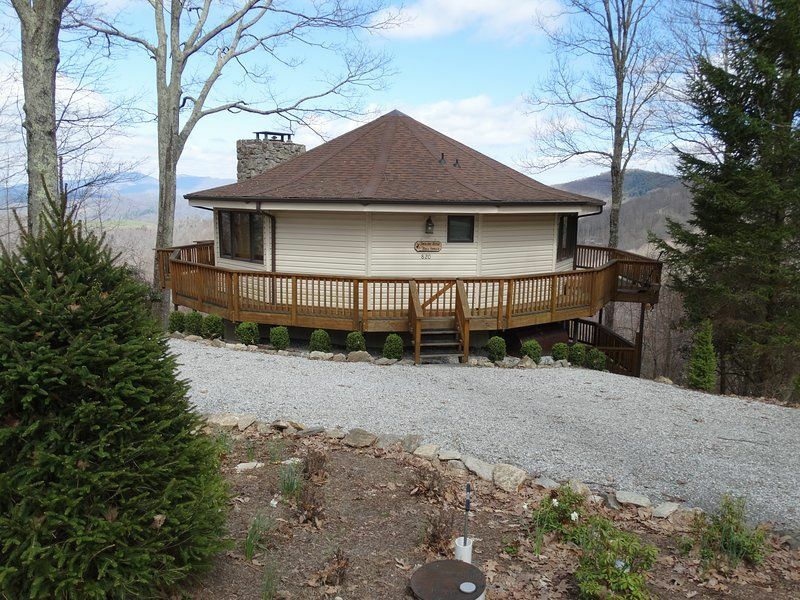 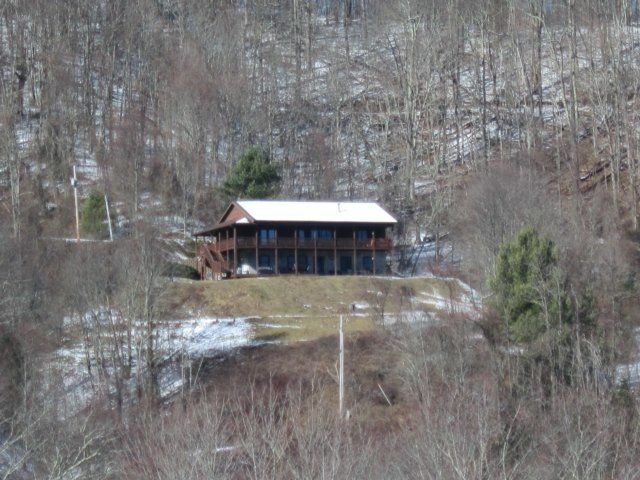 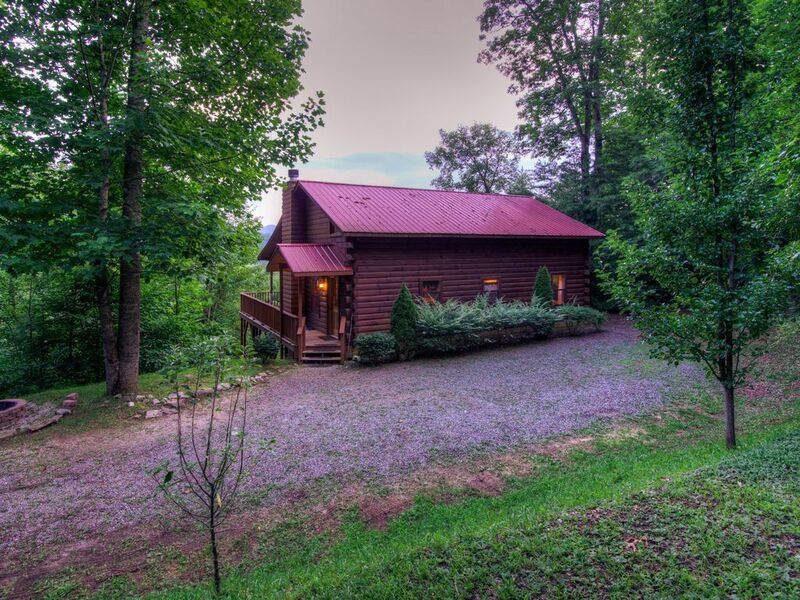 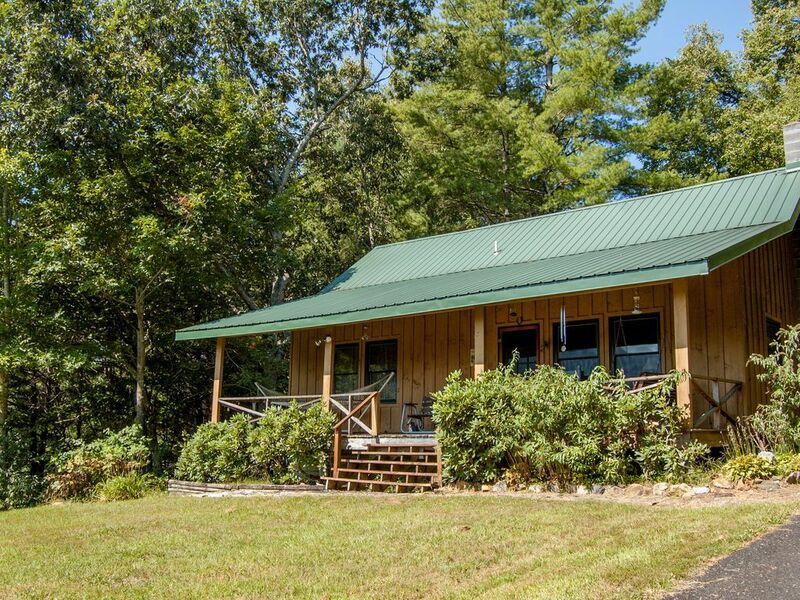 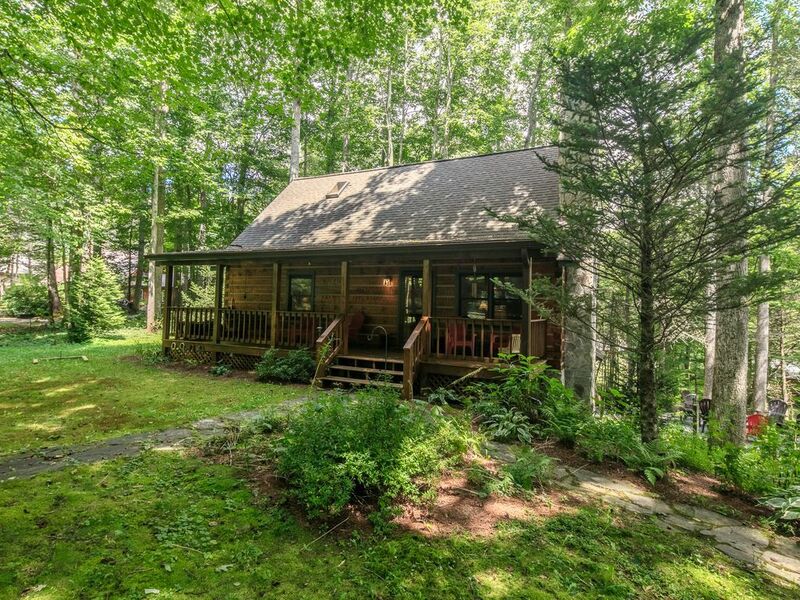 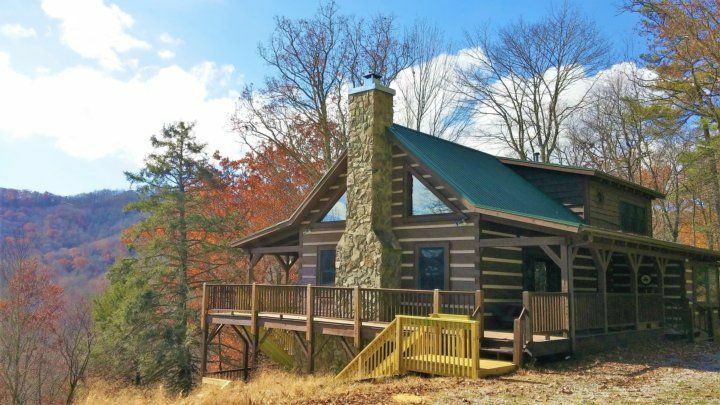 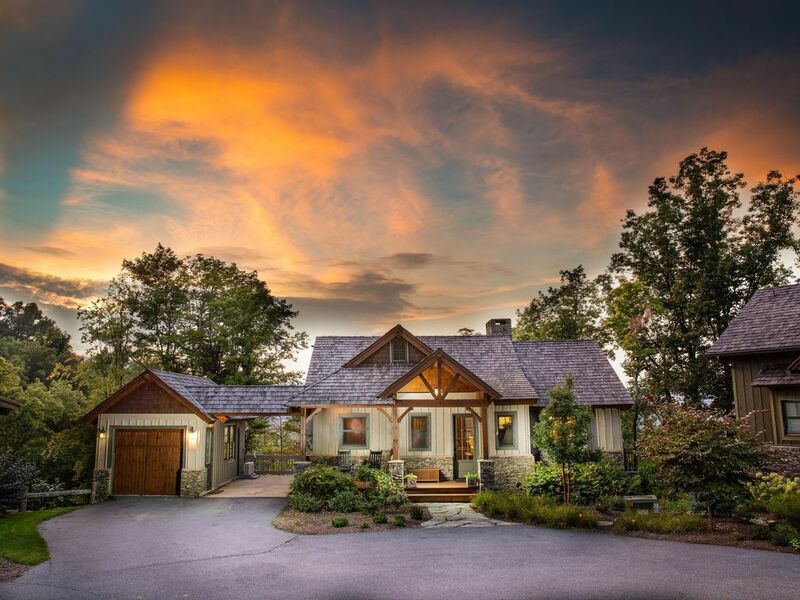 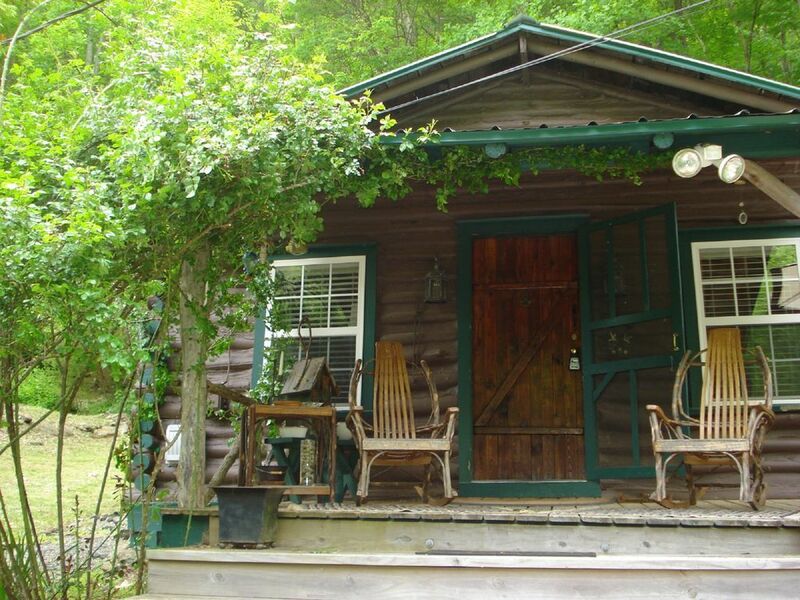 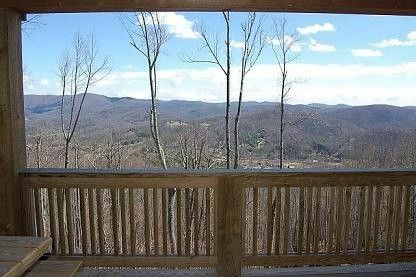 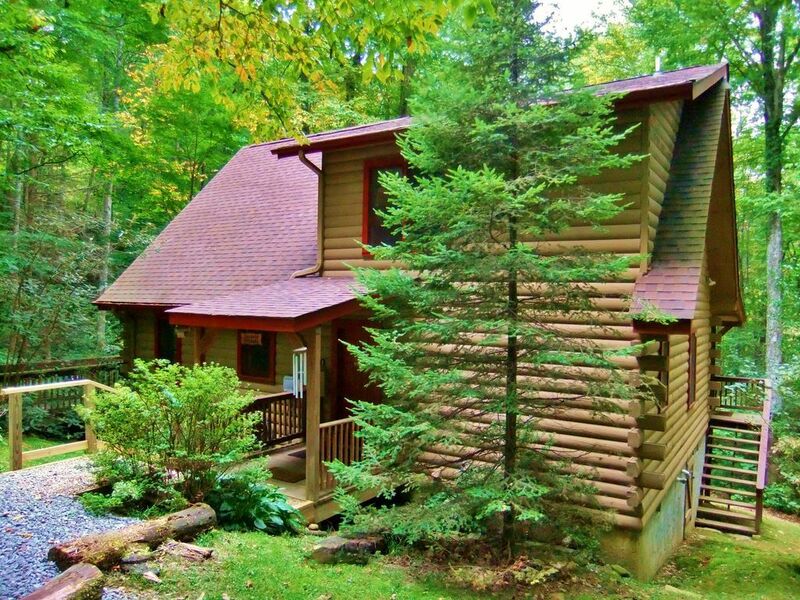 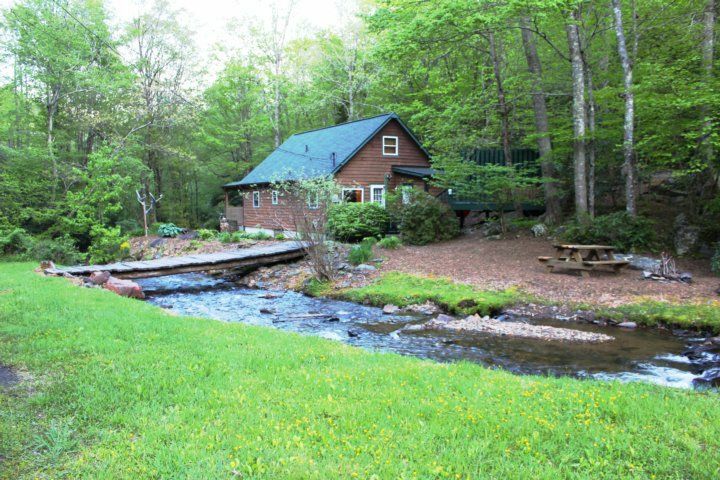 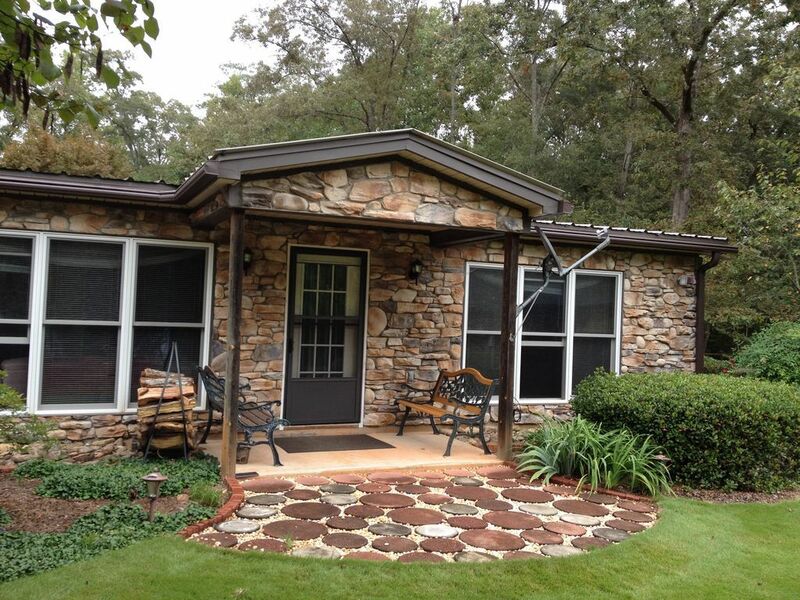 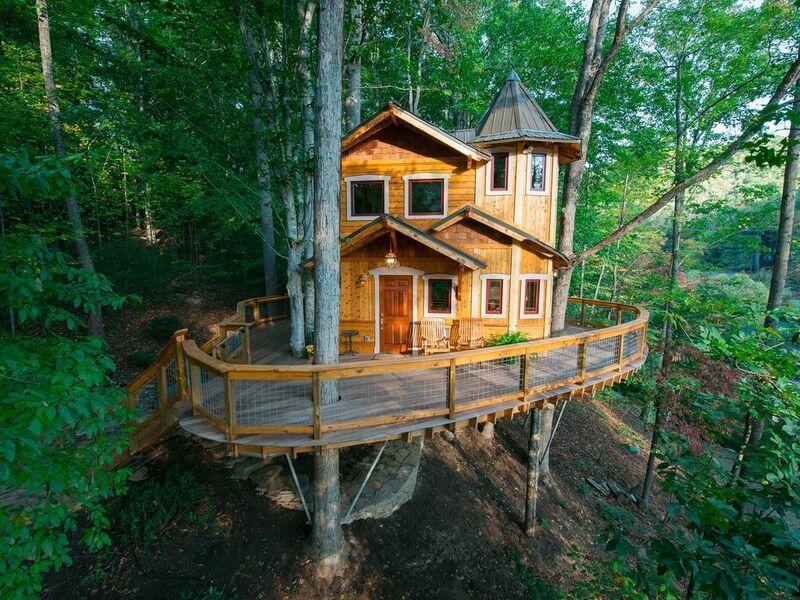 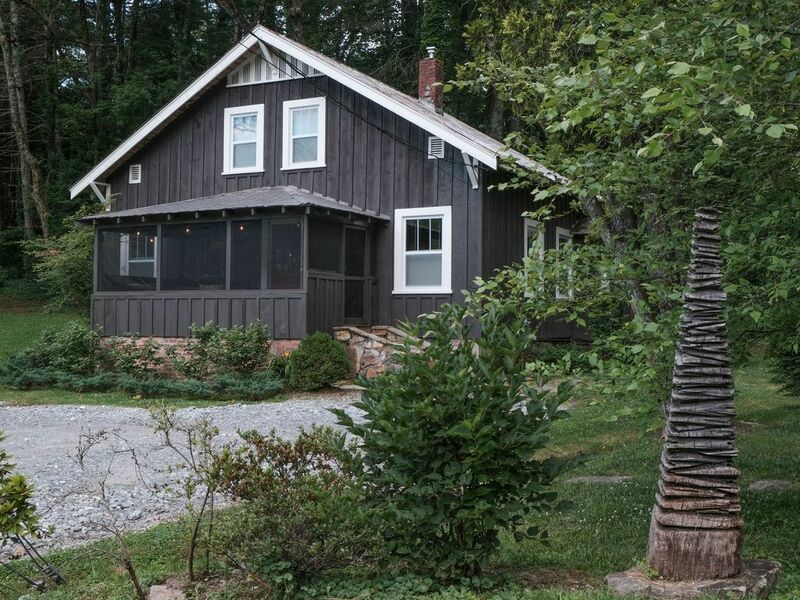 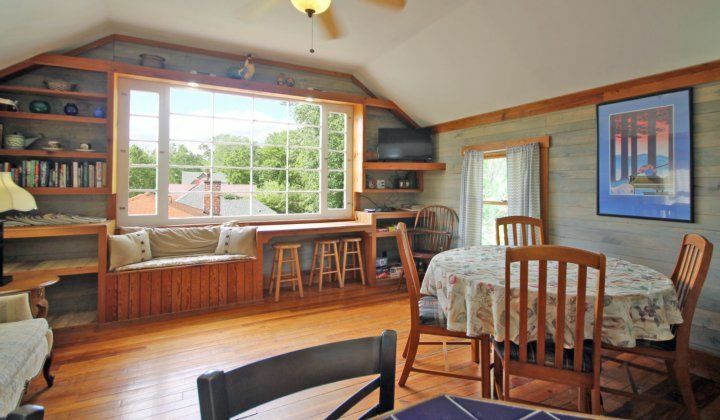 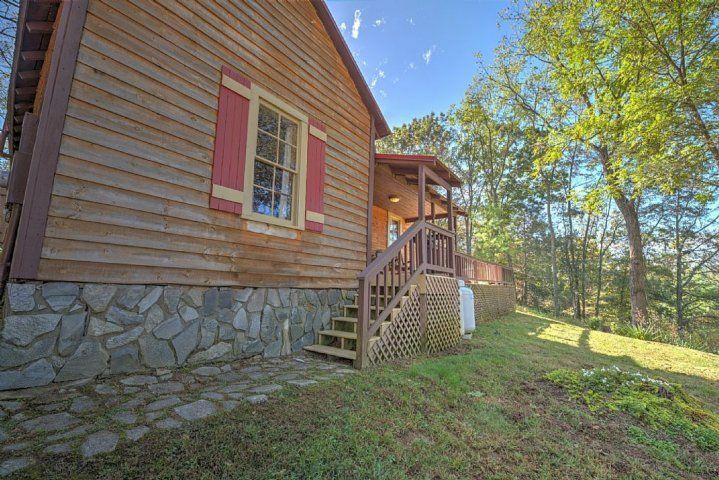 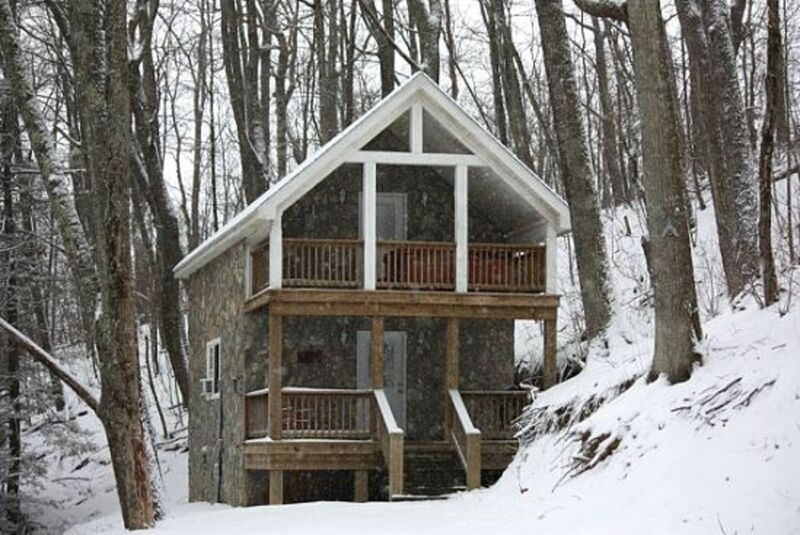 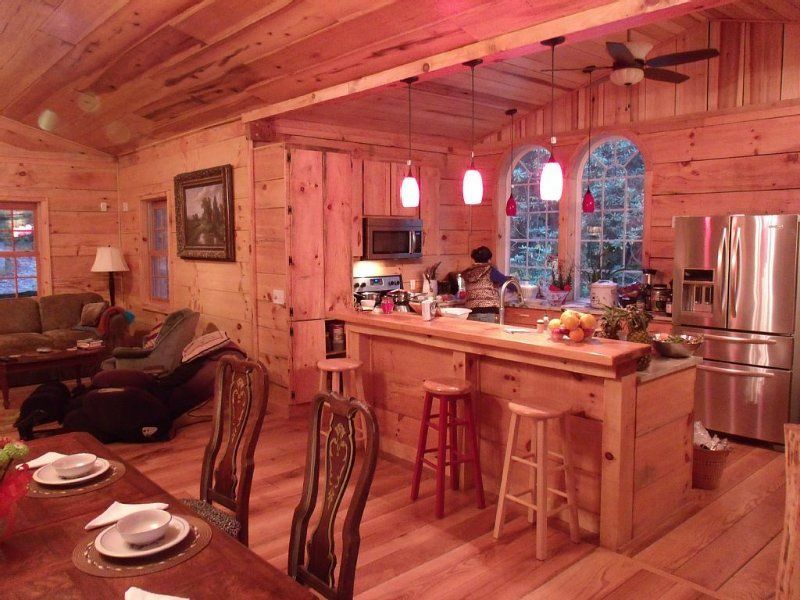 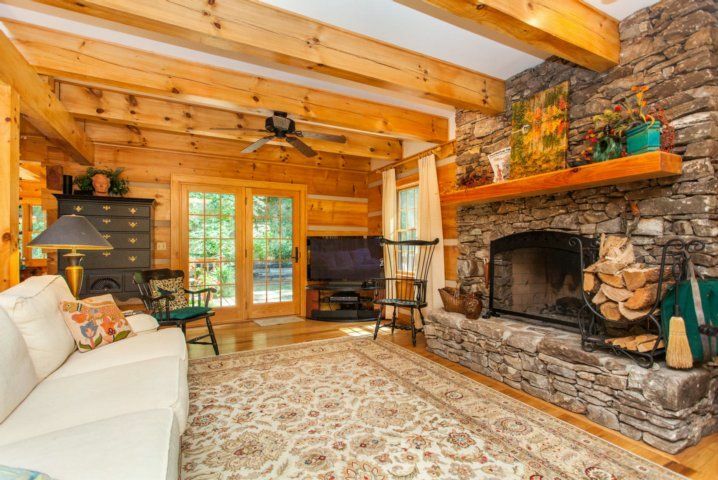 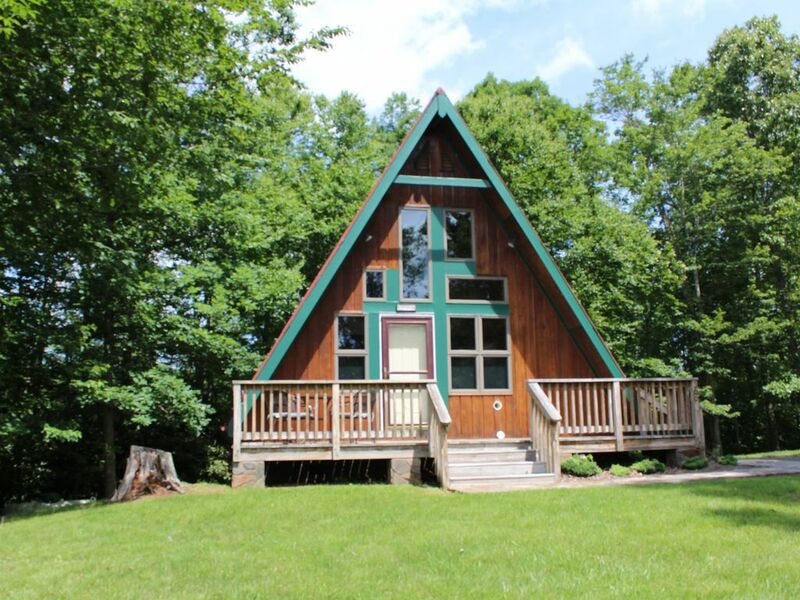 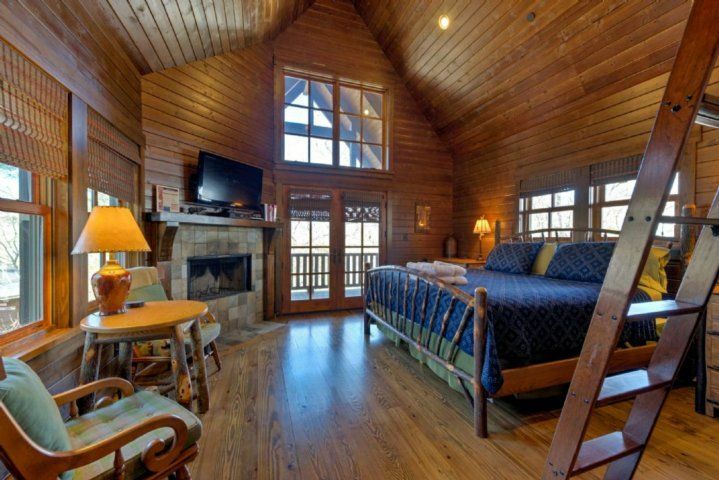 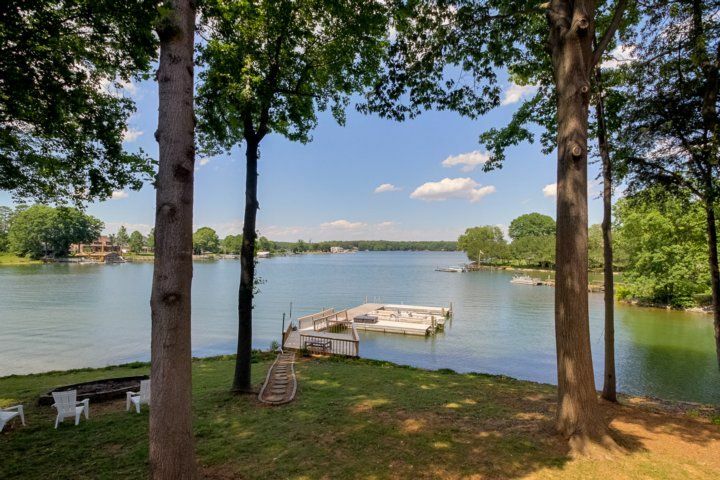 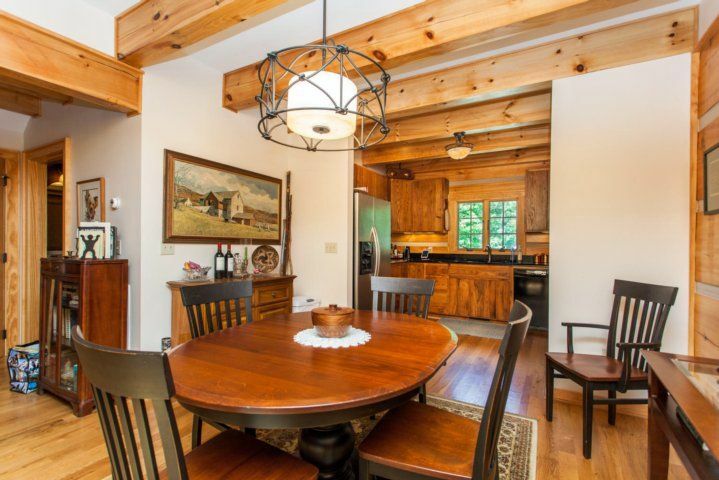 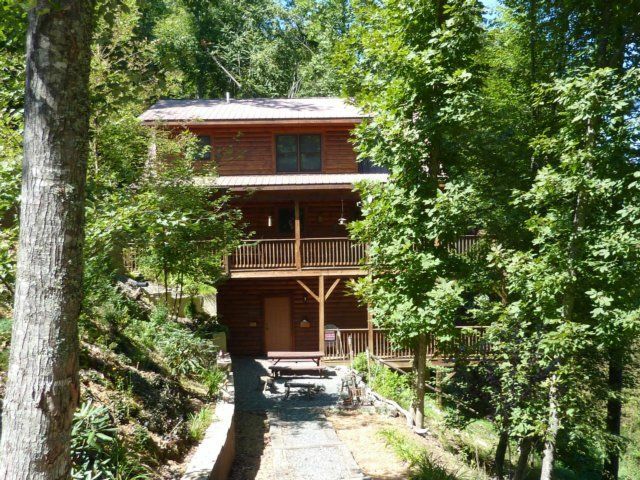 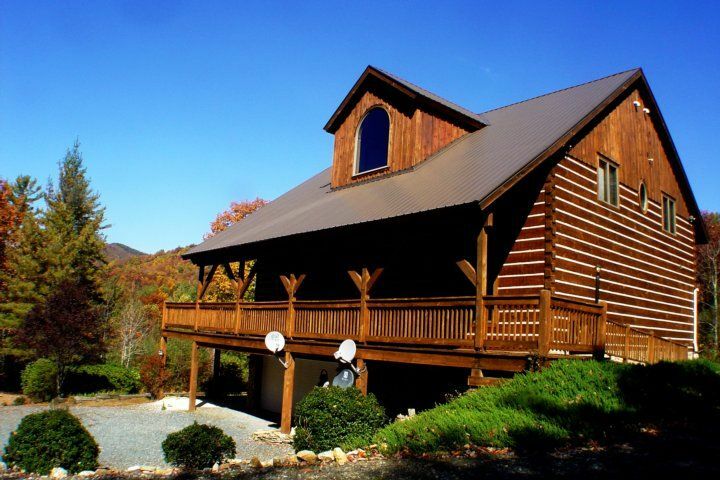 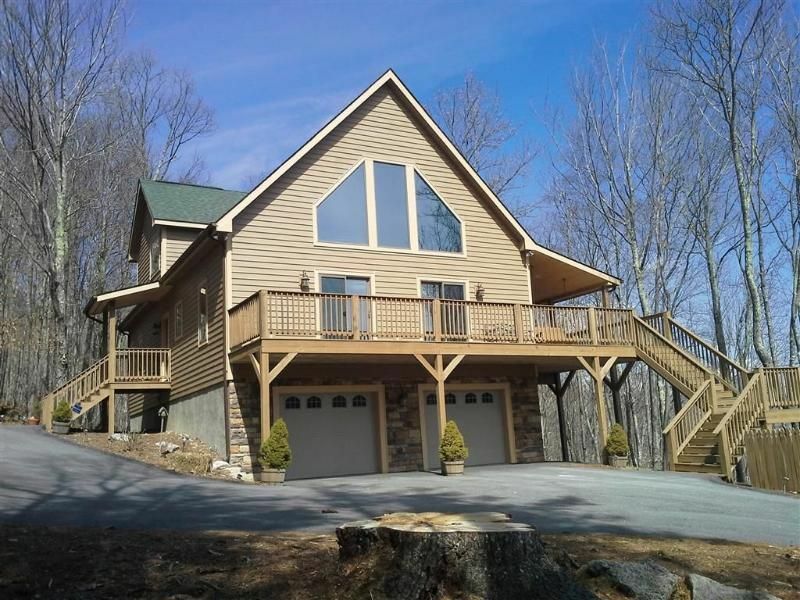 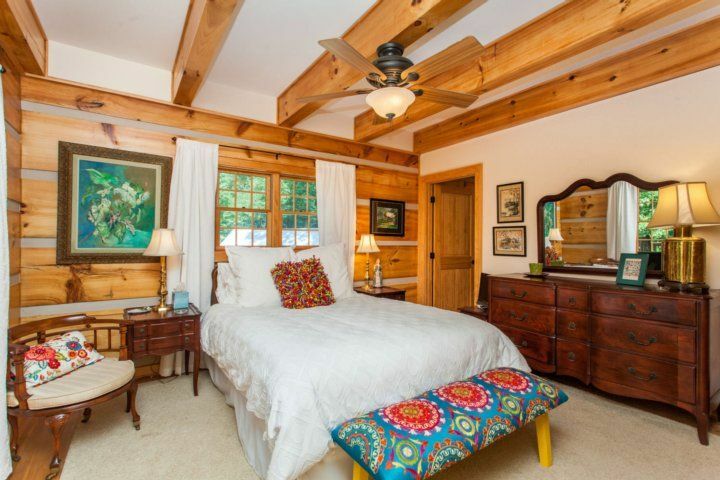 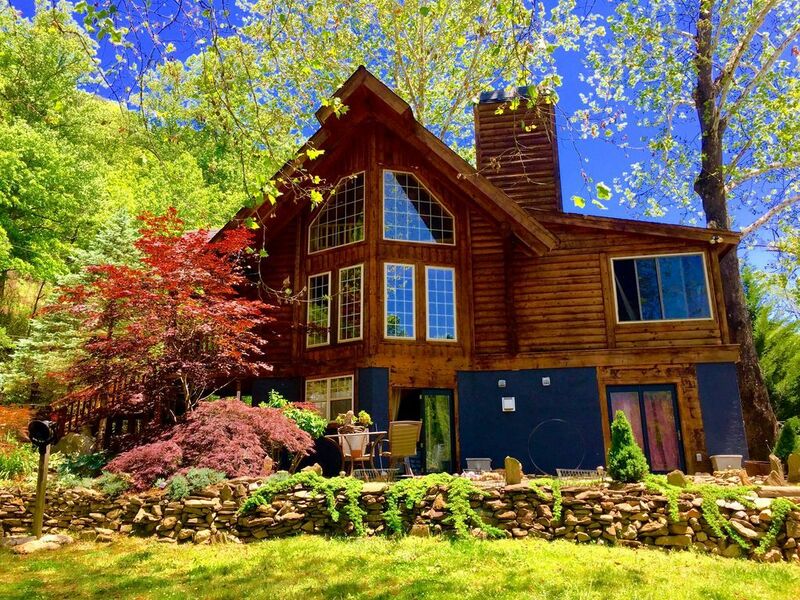 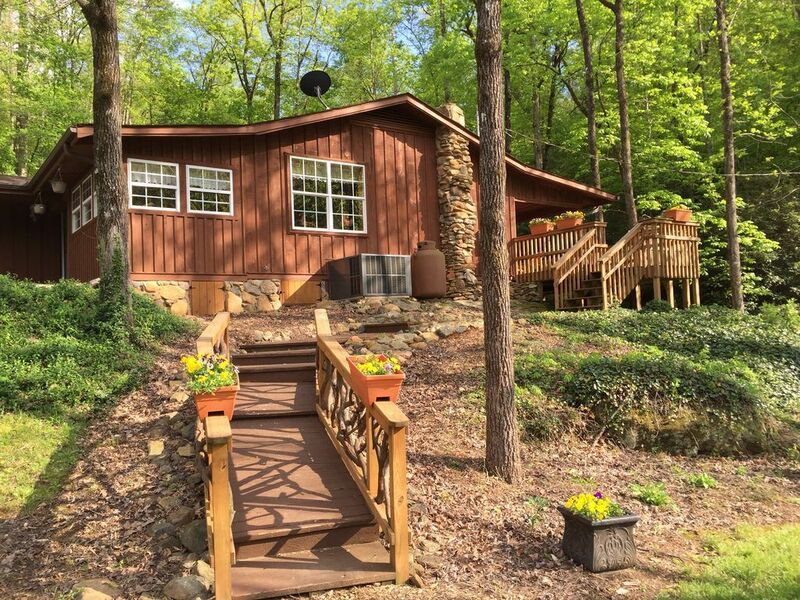 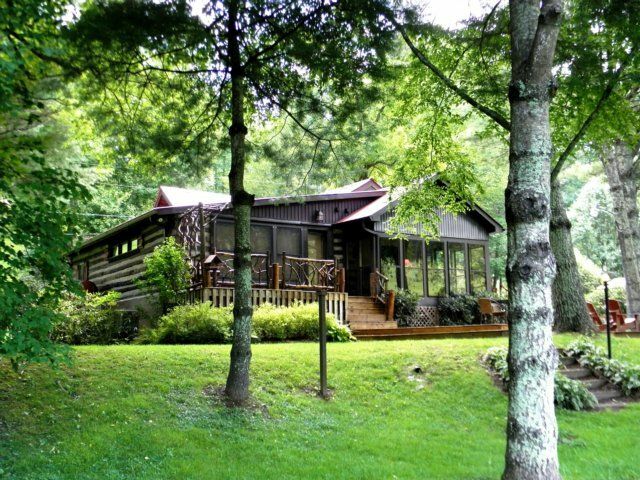 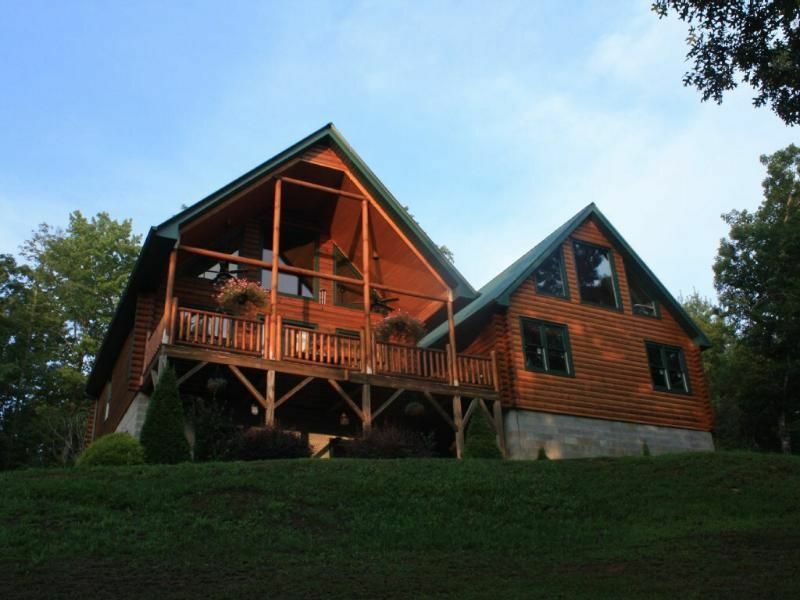 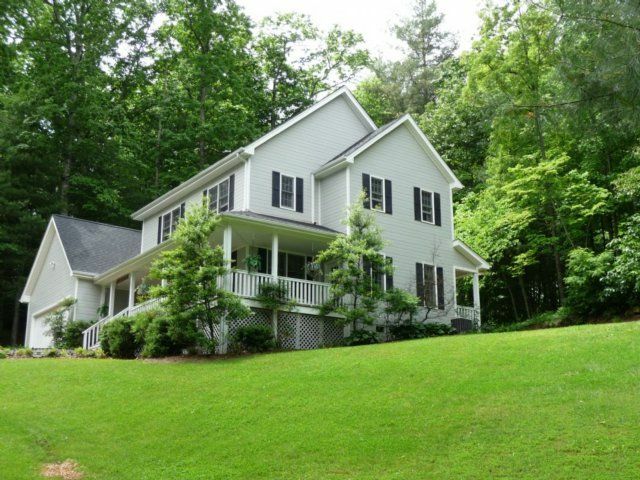 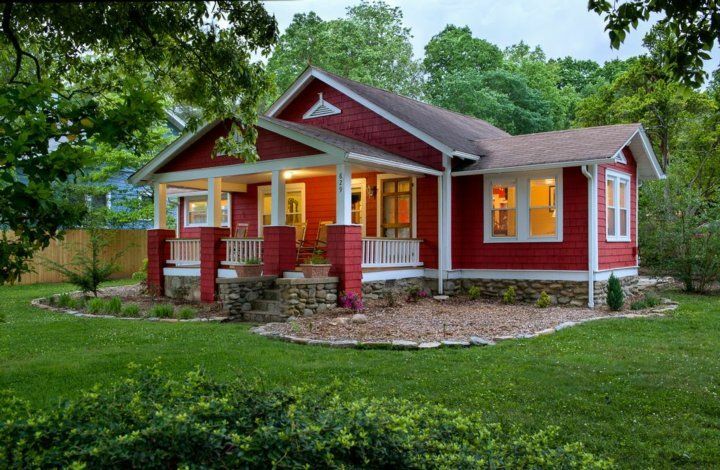 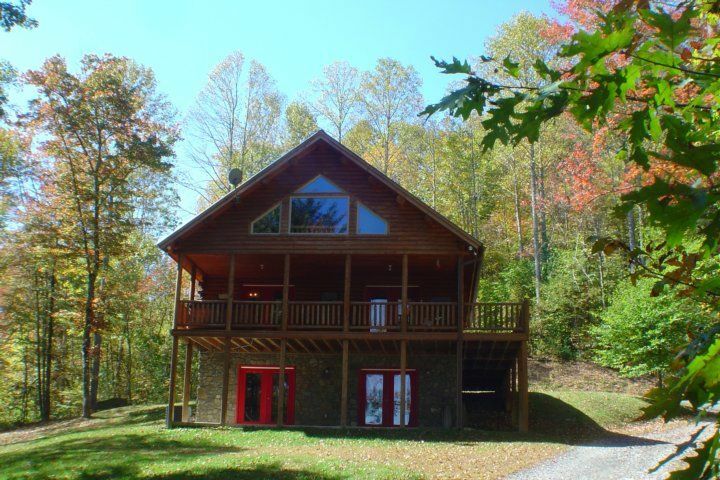 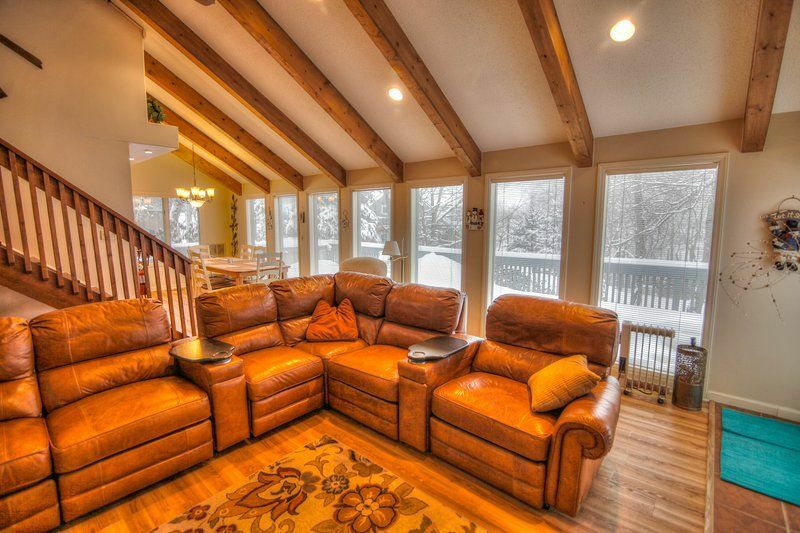 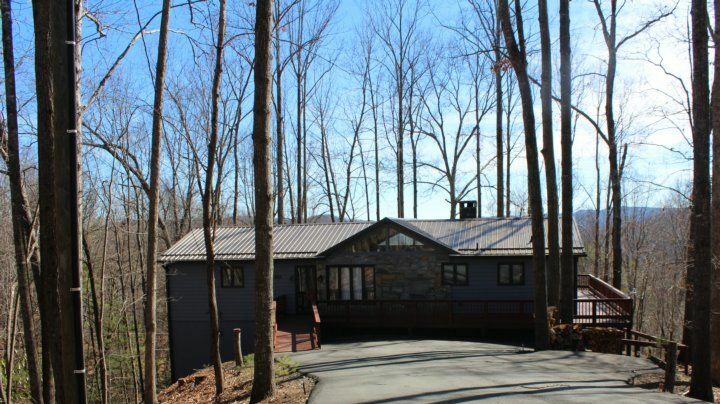 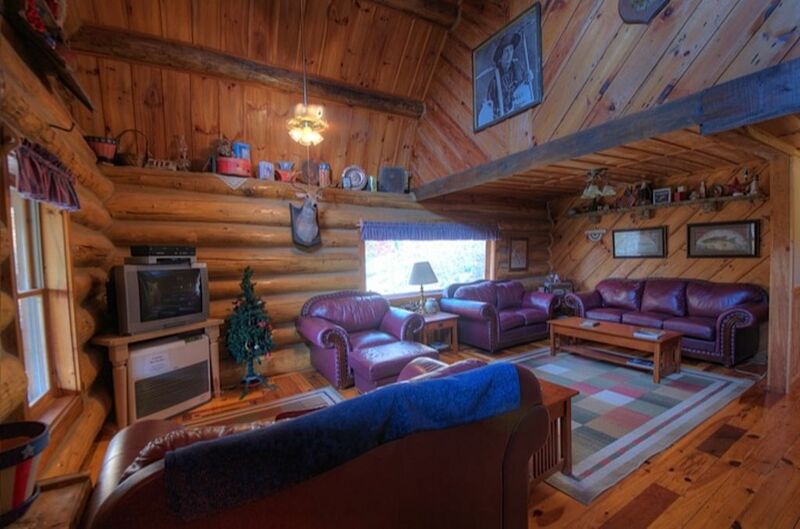 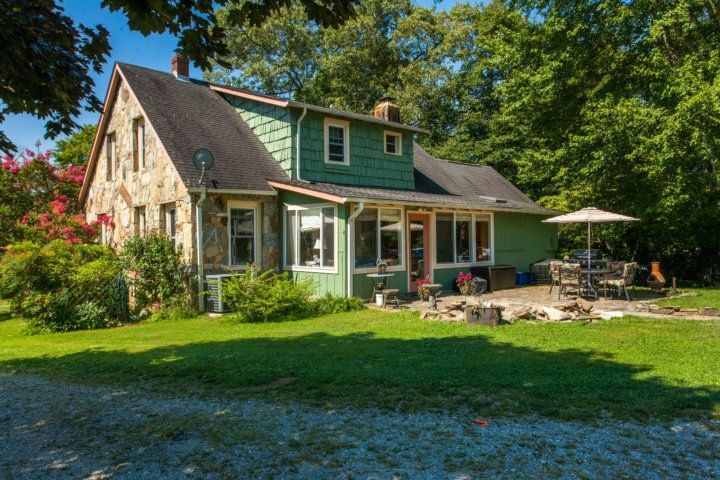 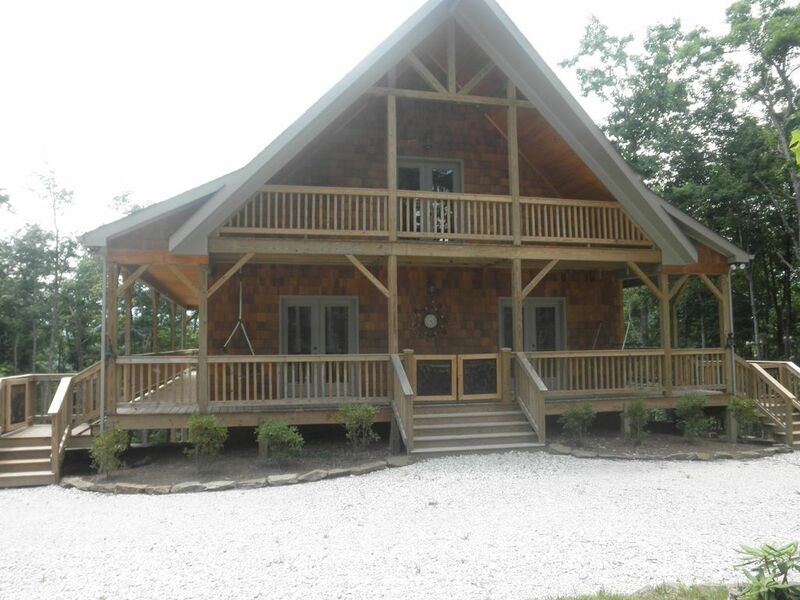 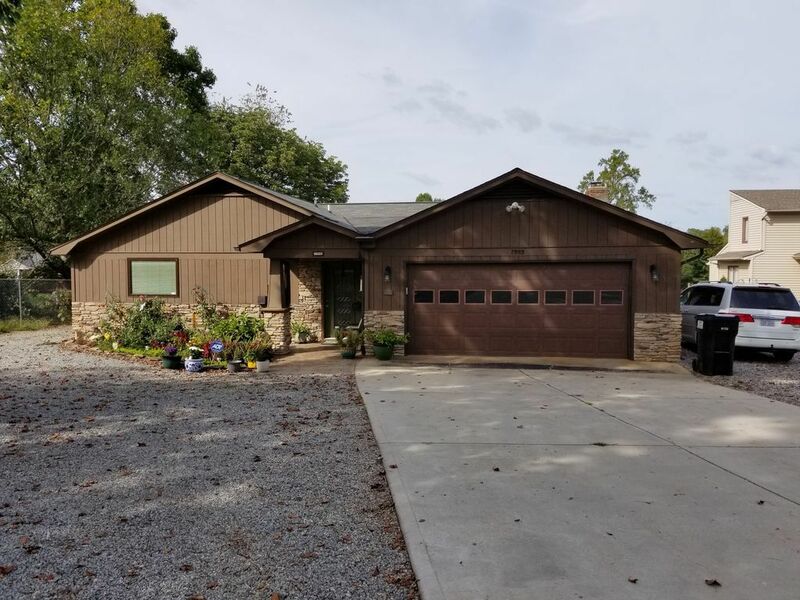 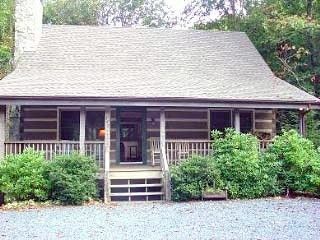 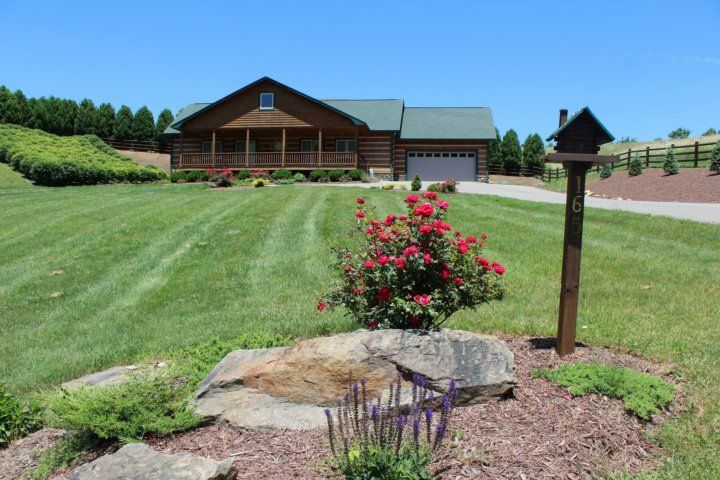 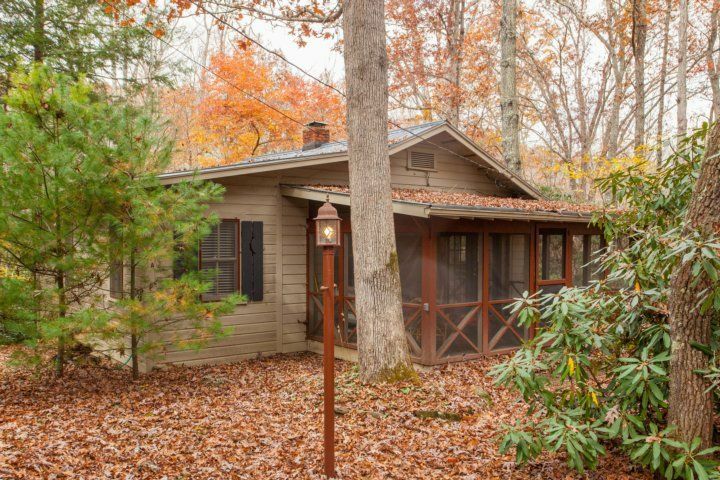 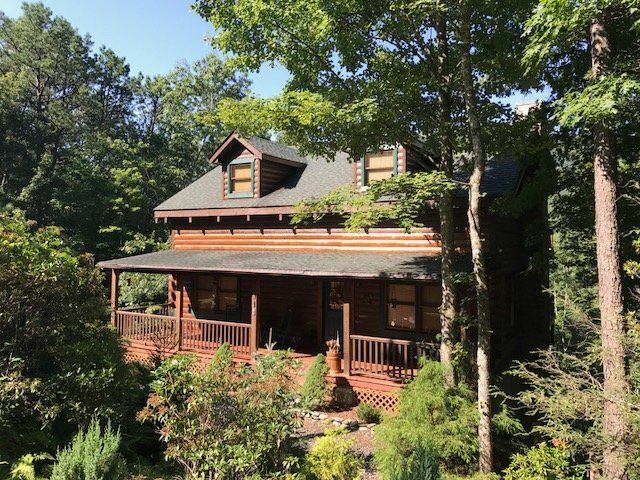 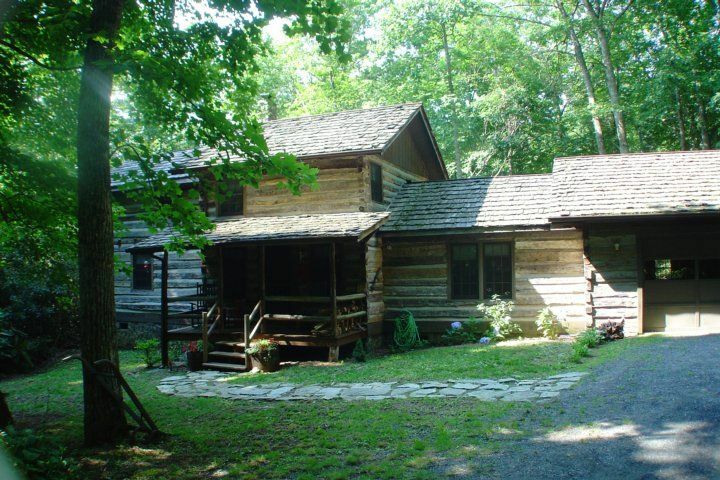 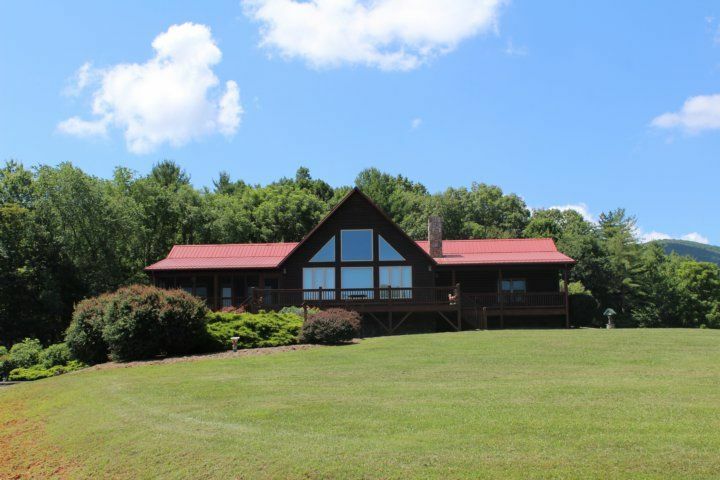 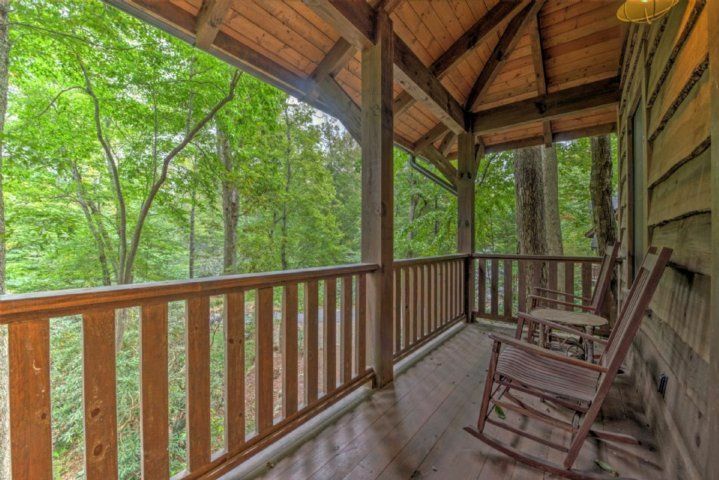 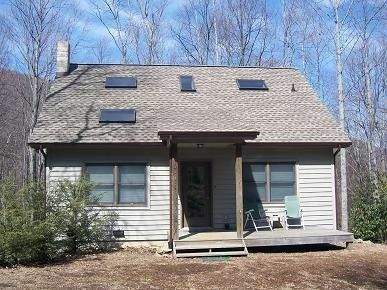 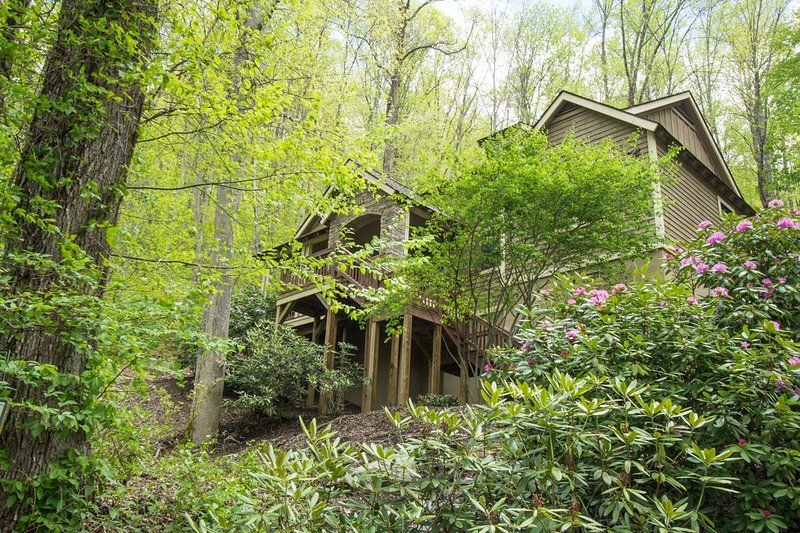 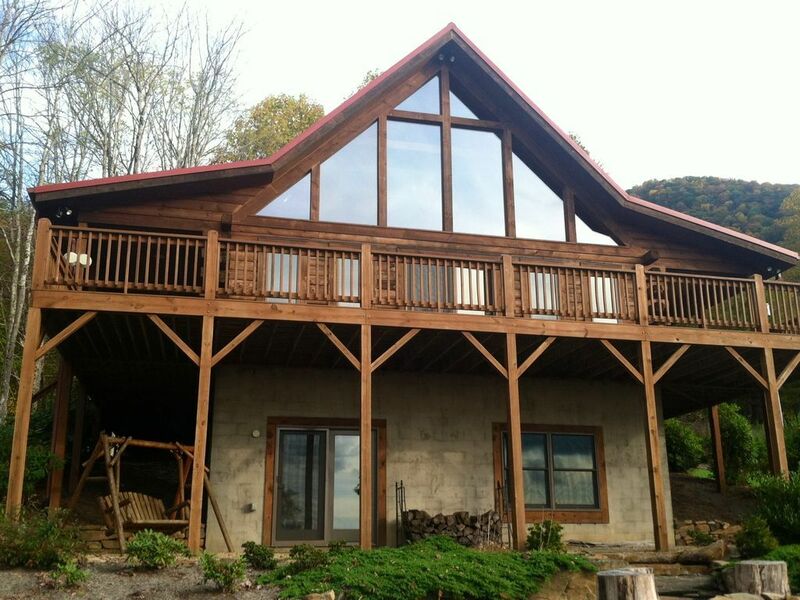 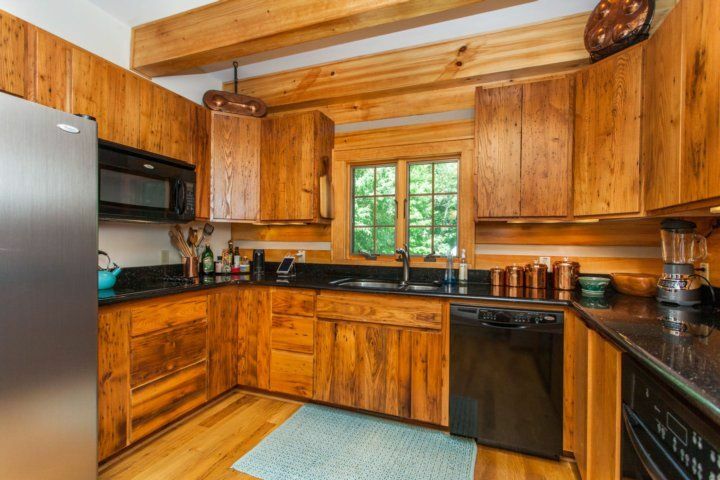 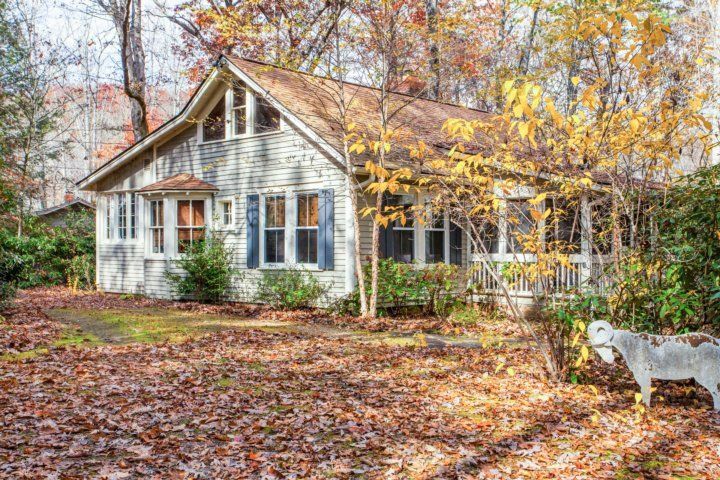 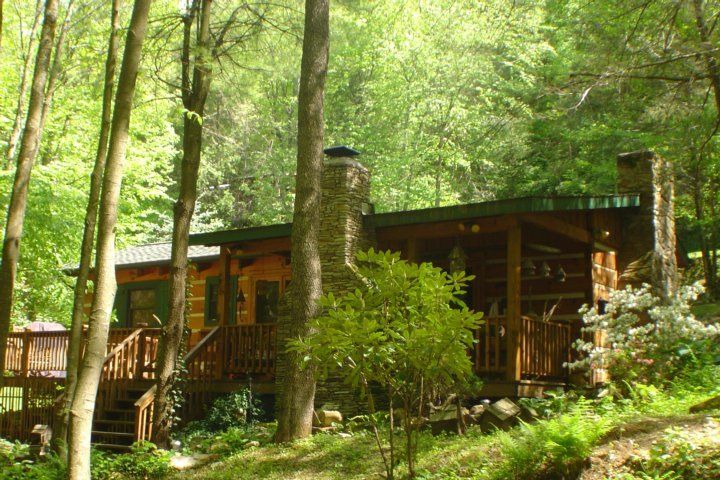 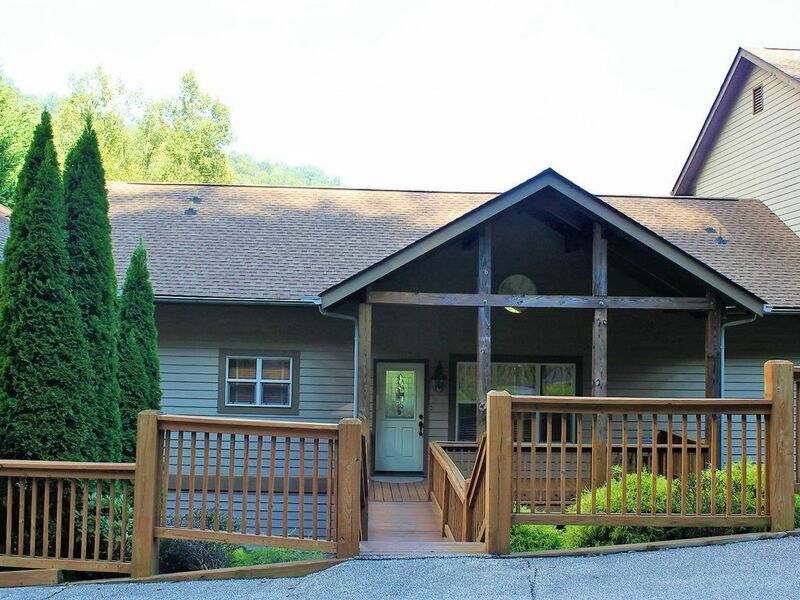 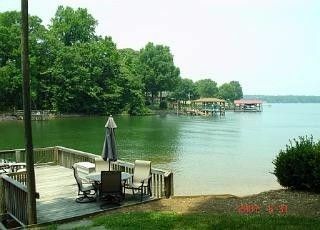 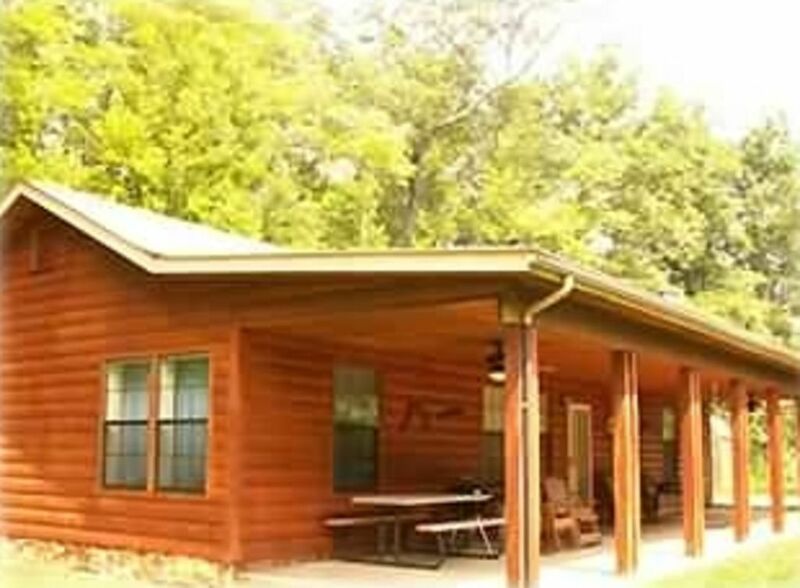 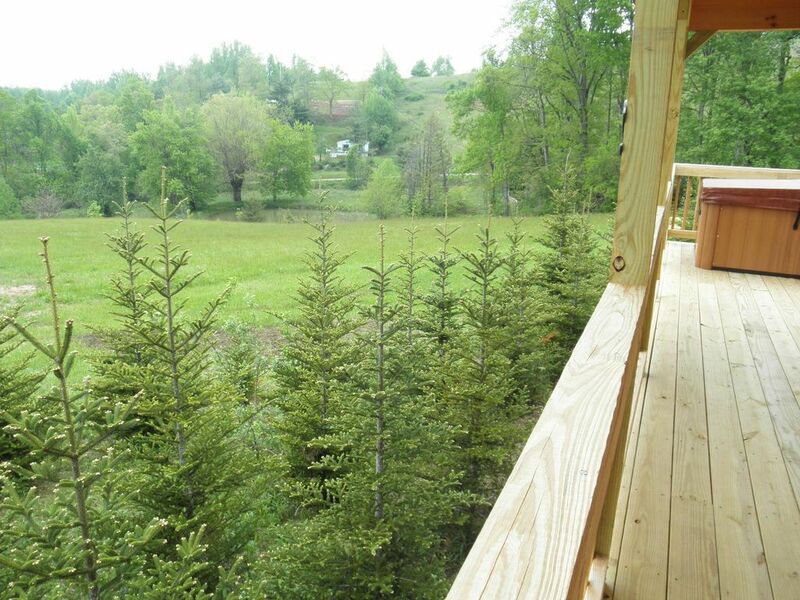 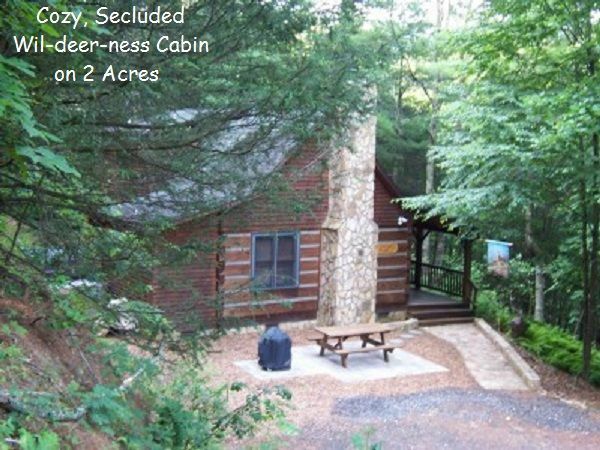 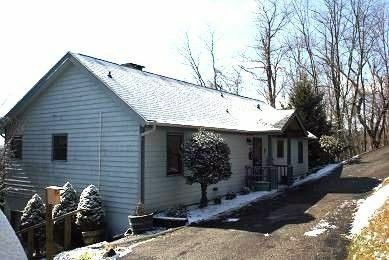 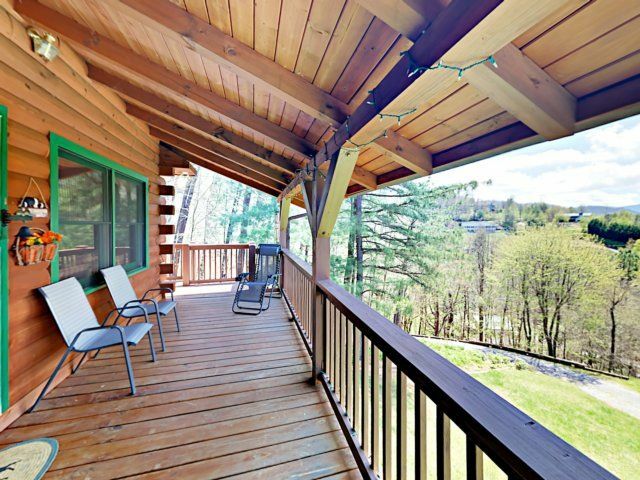 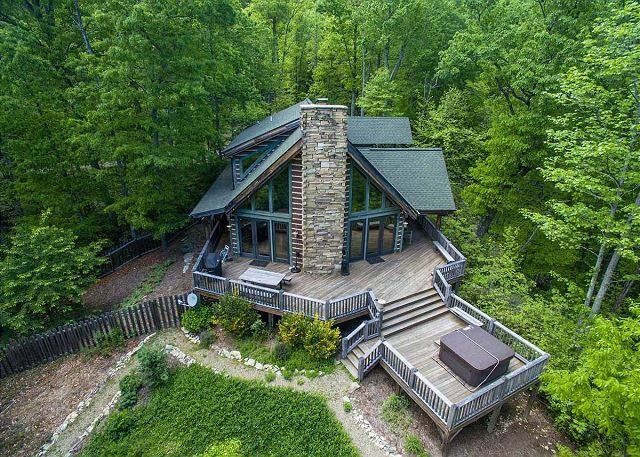 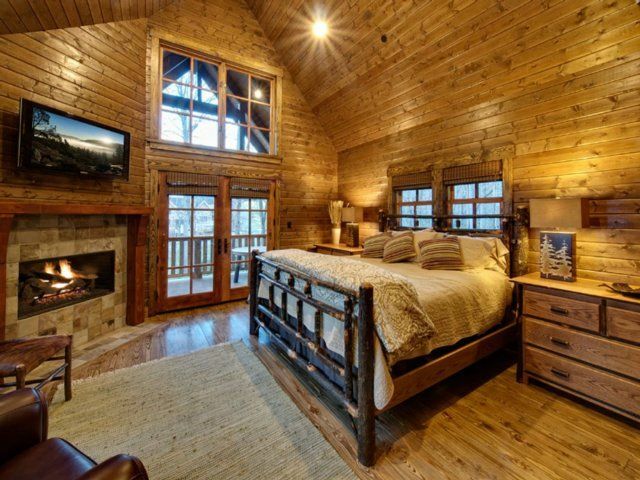 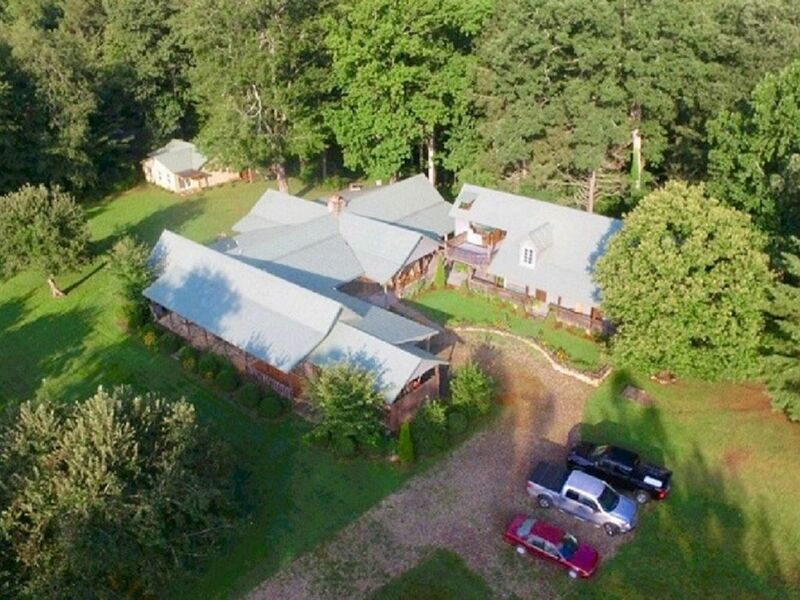 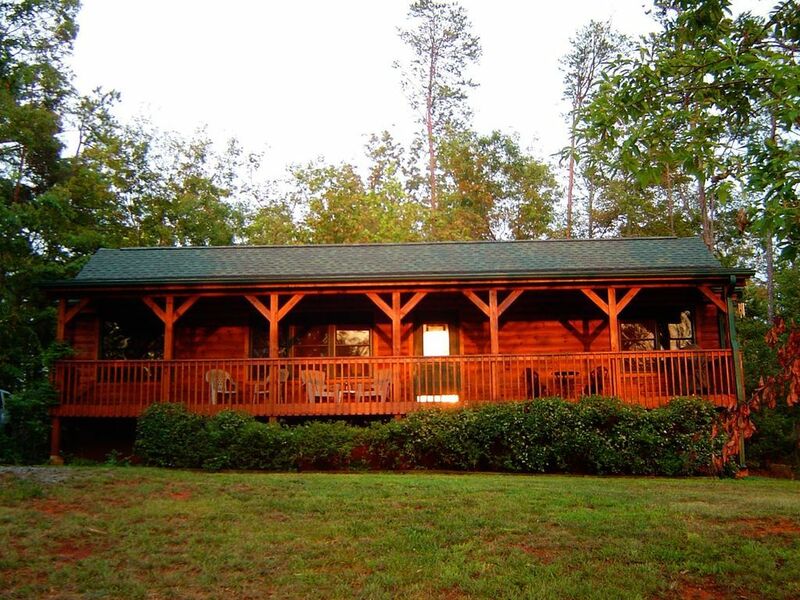 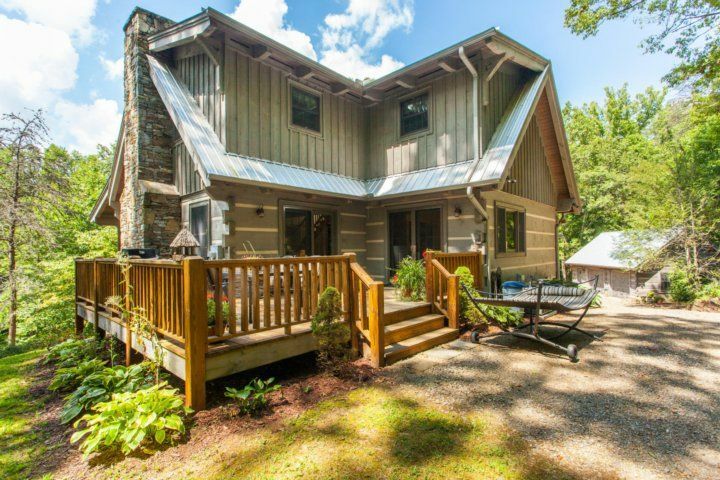 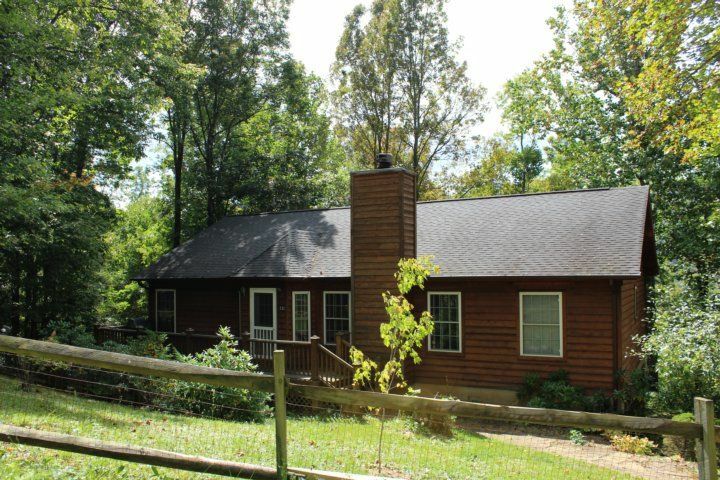 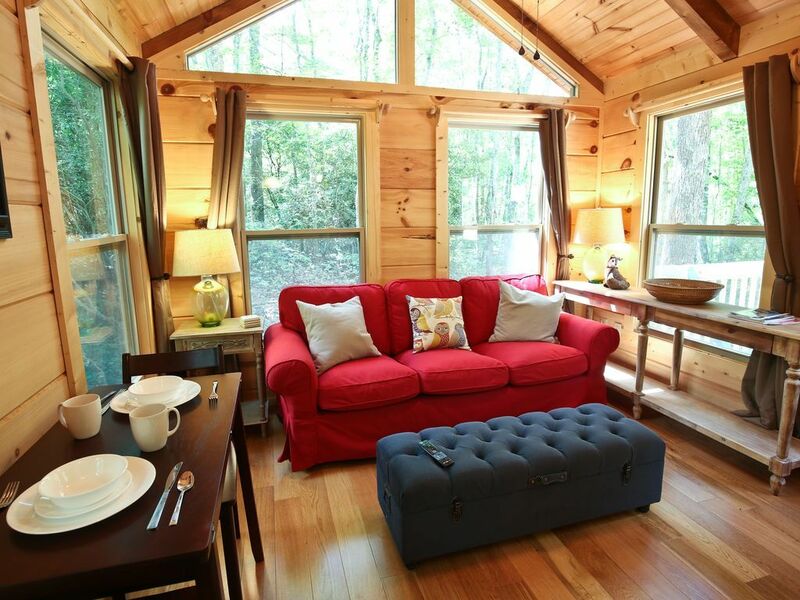 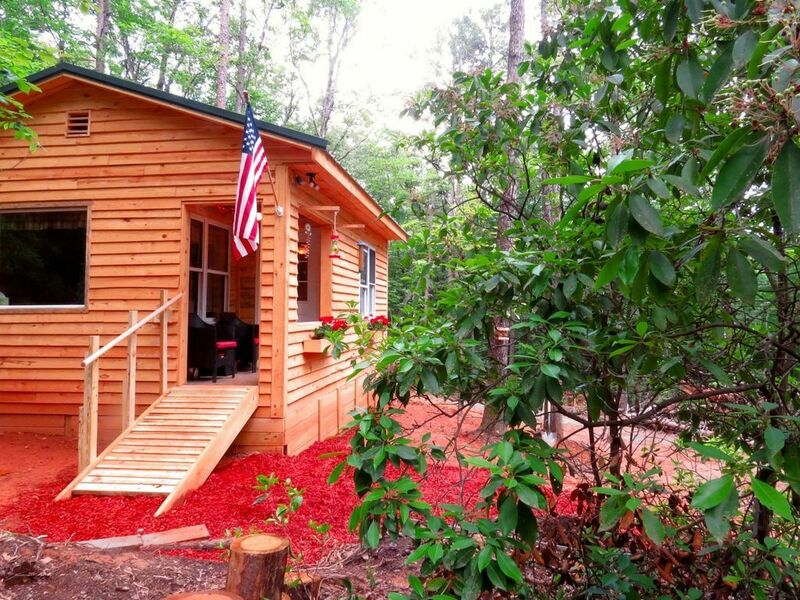 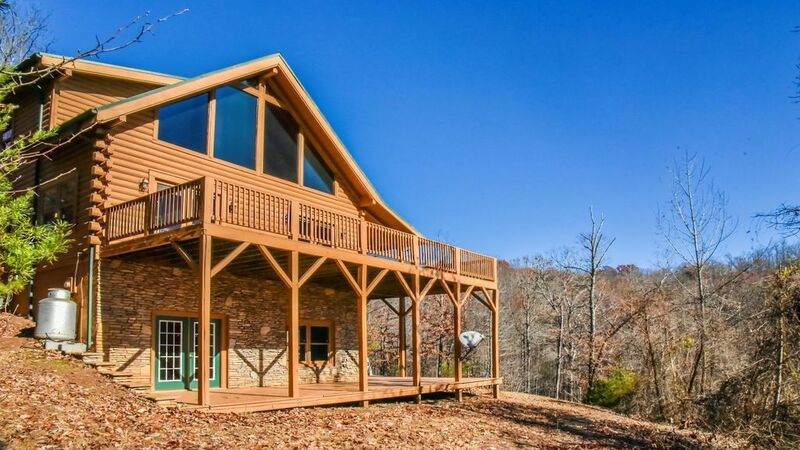 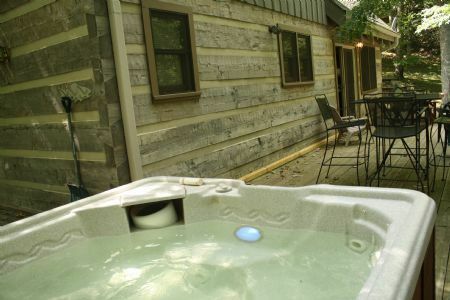 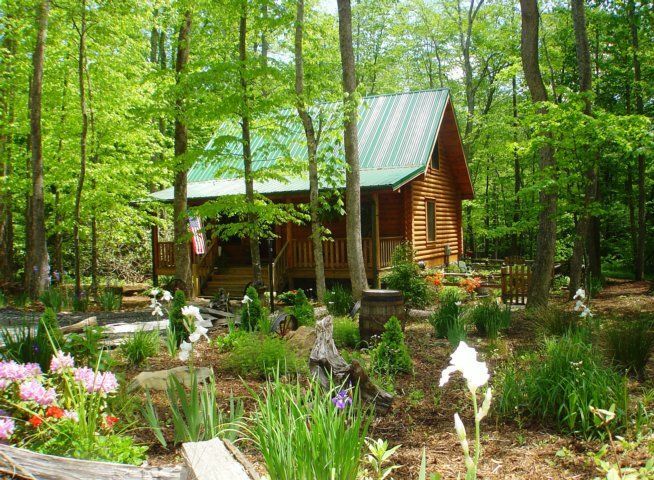 You can look forward to a relaxing retreat at this beautiful 4BR/3.5BA cabin nestled amongst the trees in Waynesville. 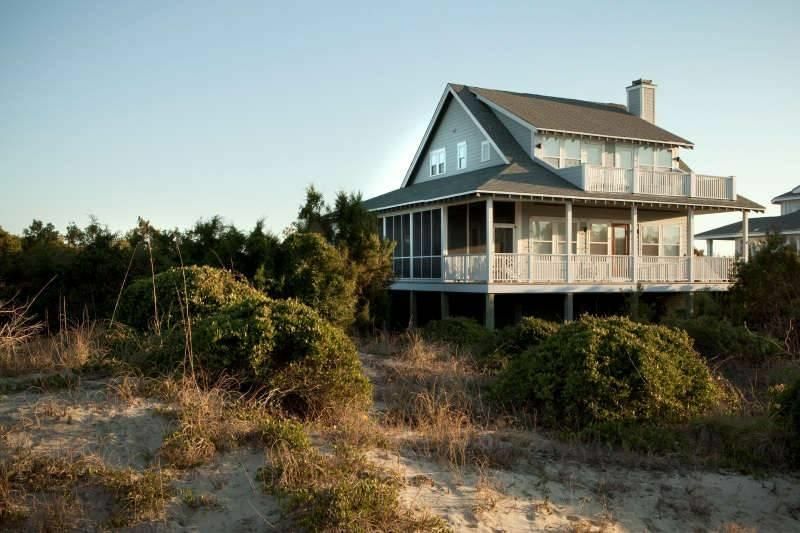 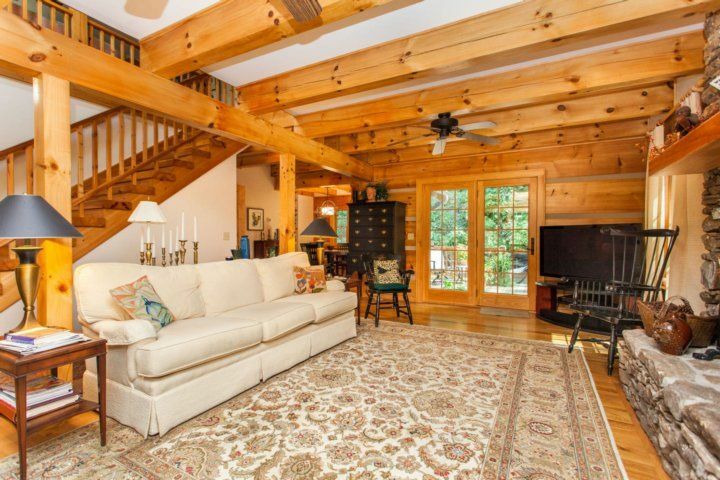 With gleaming hardwood floors and exposed beams, this rustic-chic home is a sure bet for a memorable holiday. 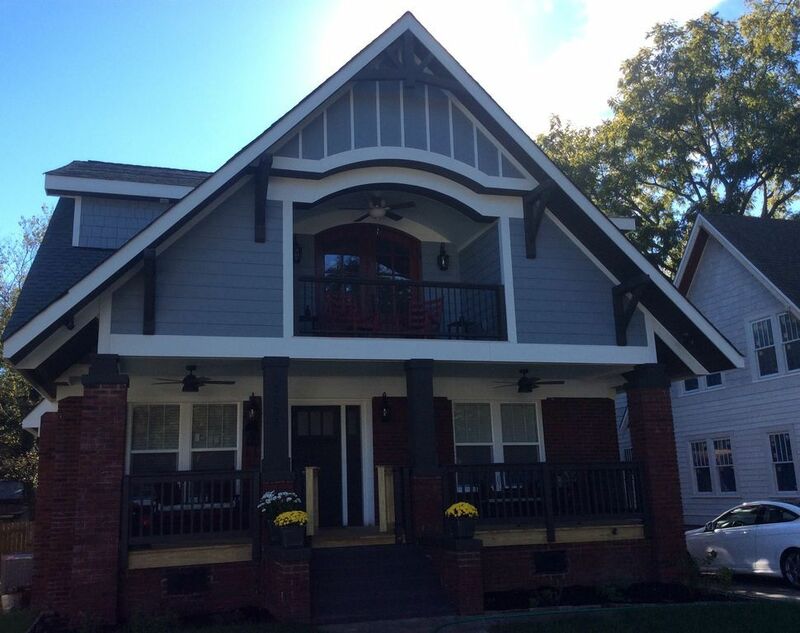 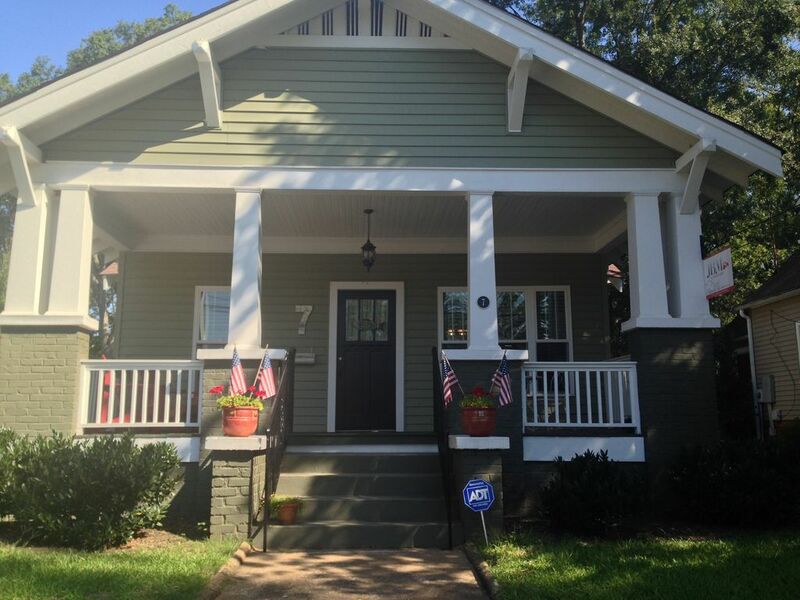 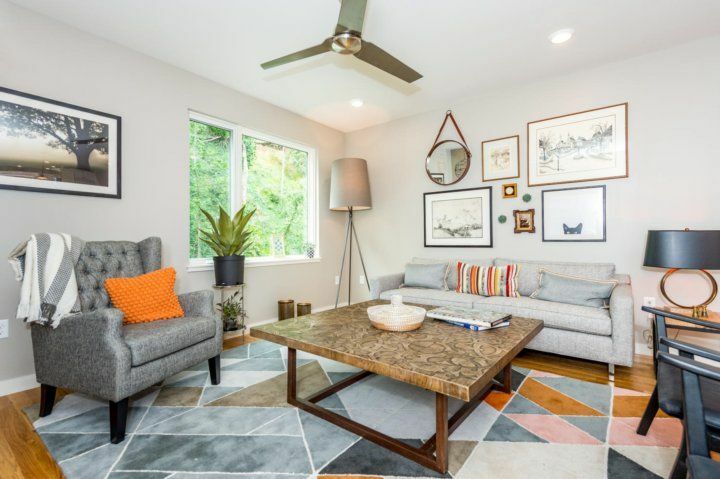 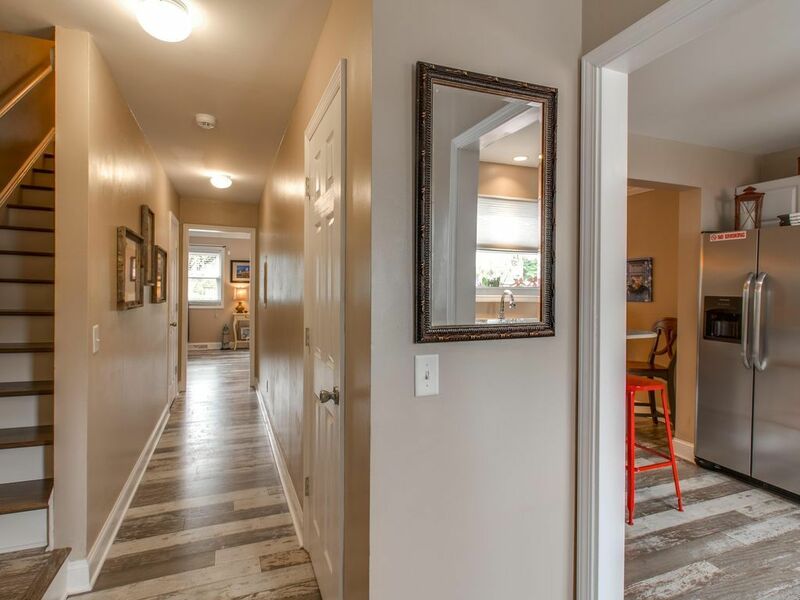 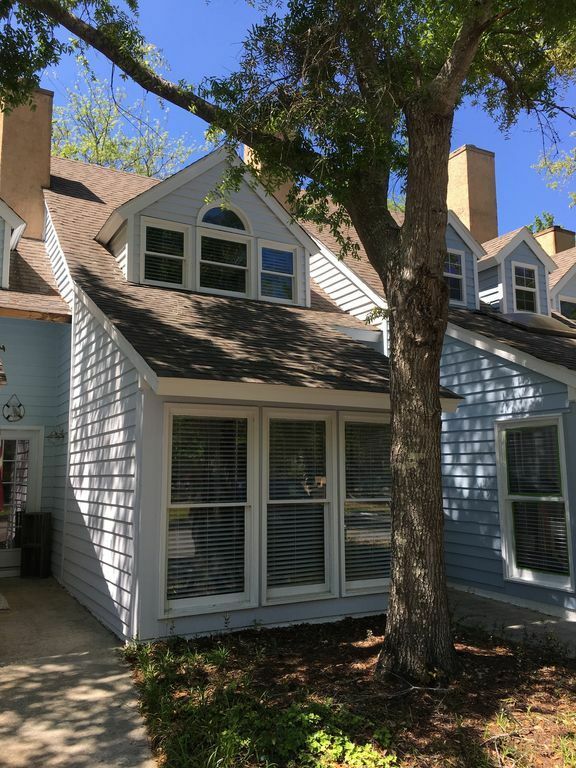 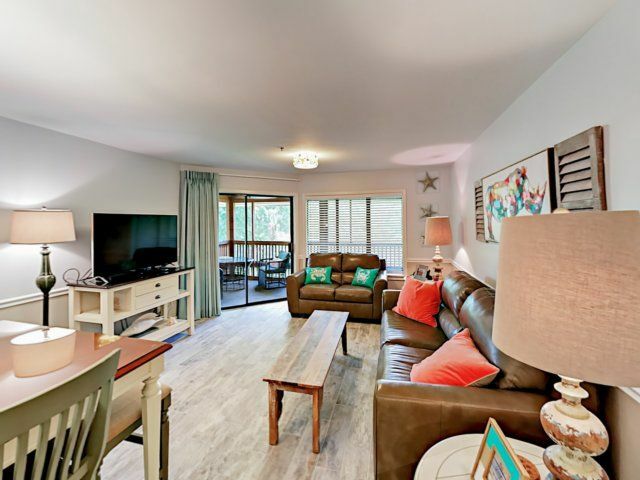 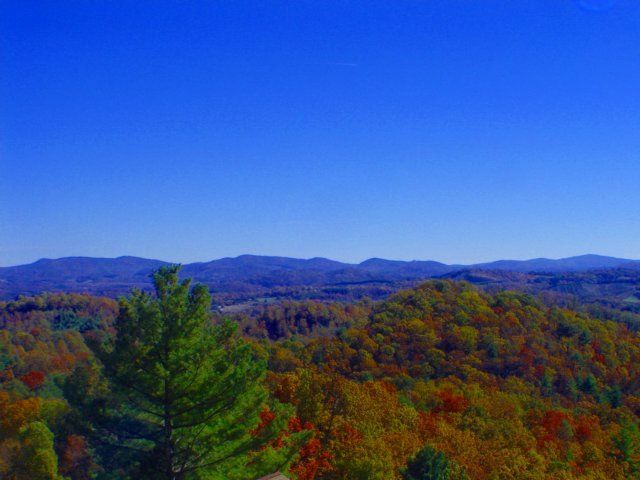 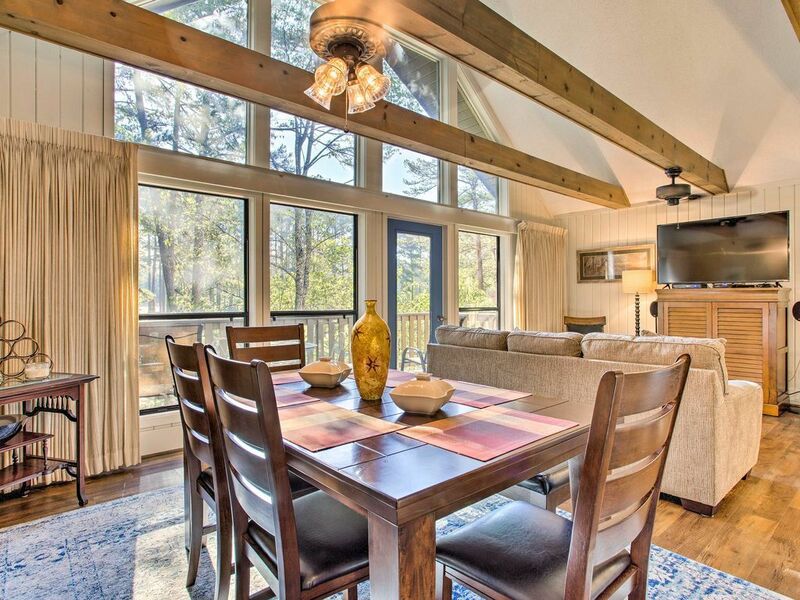 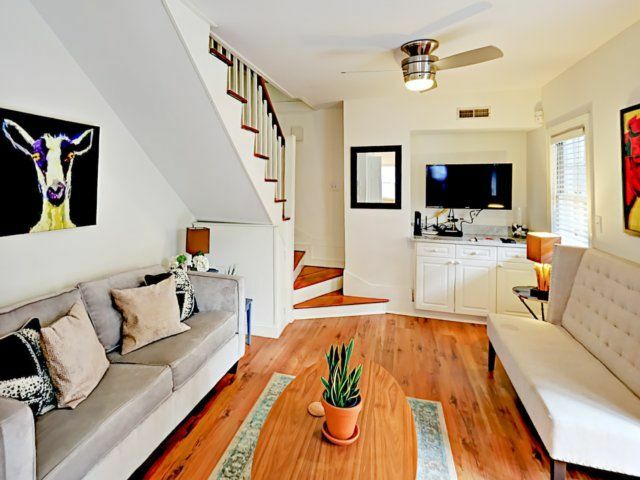 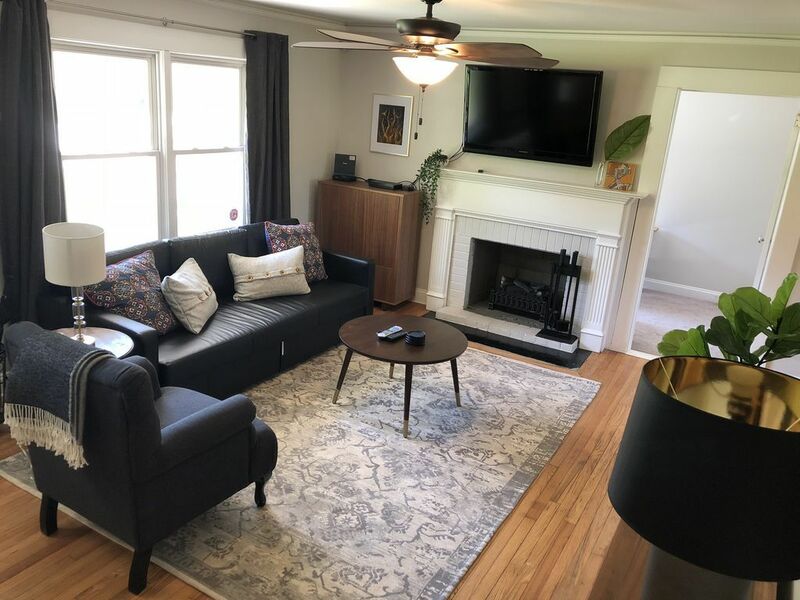 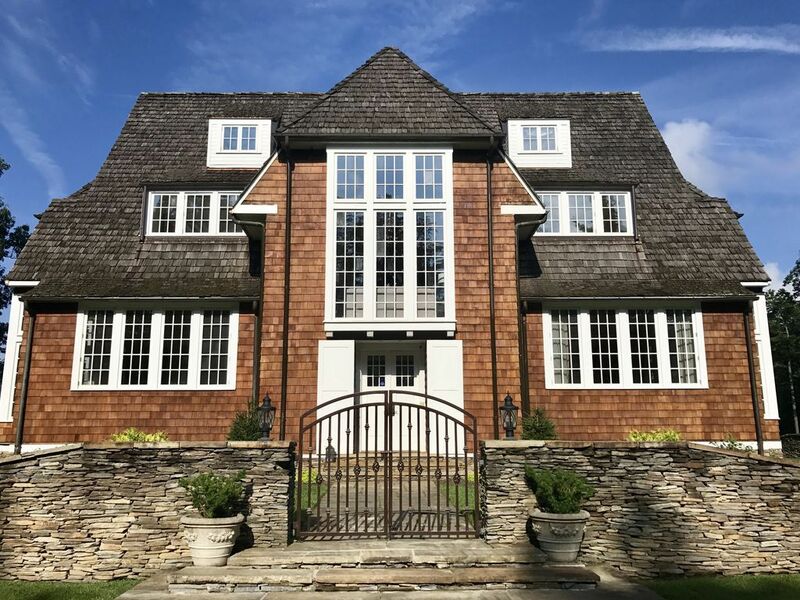 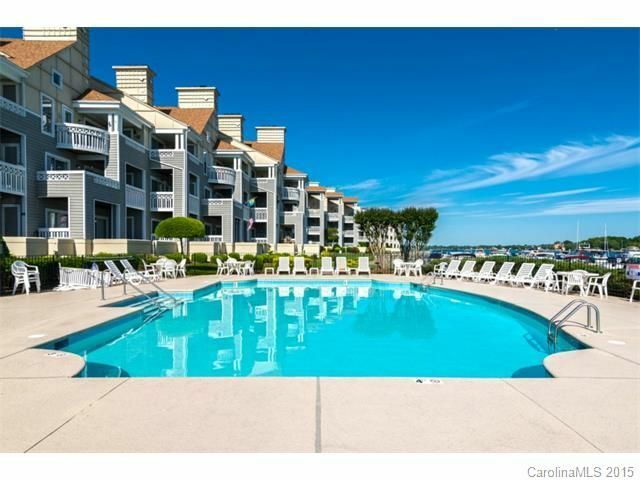 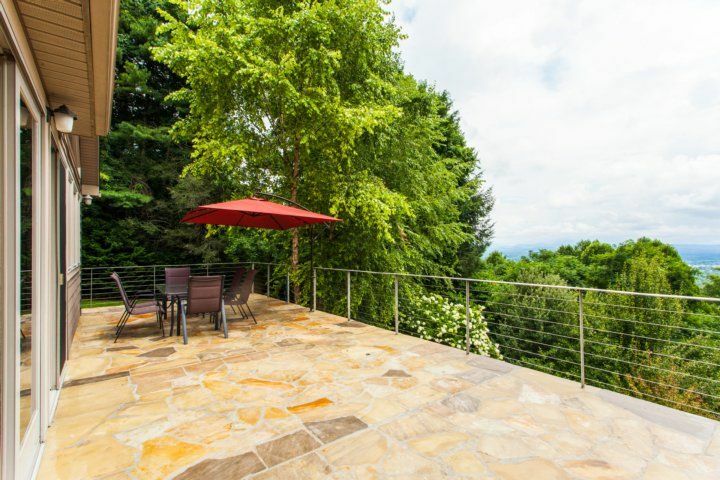 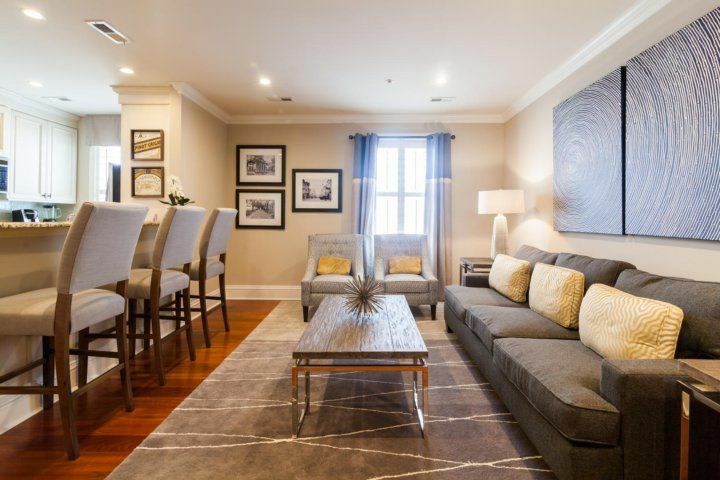 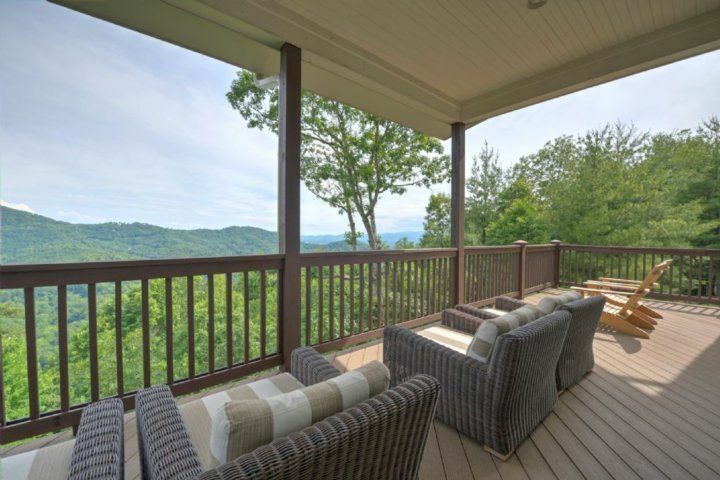 Enjoy a prime location close to a variety of destinations, including the Great Smoky Mountains National Park and downtown Asheville. 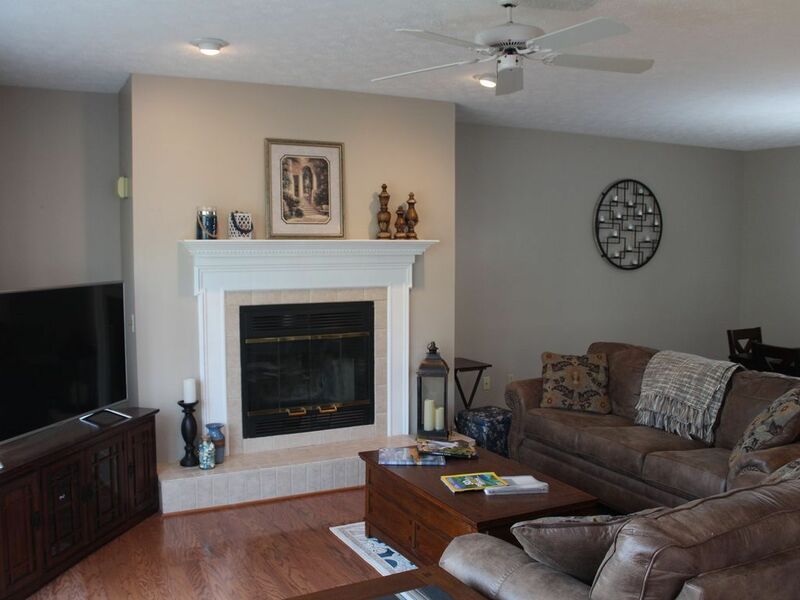 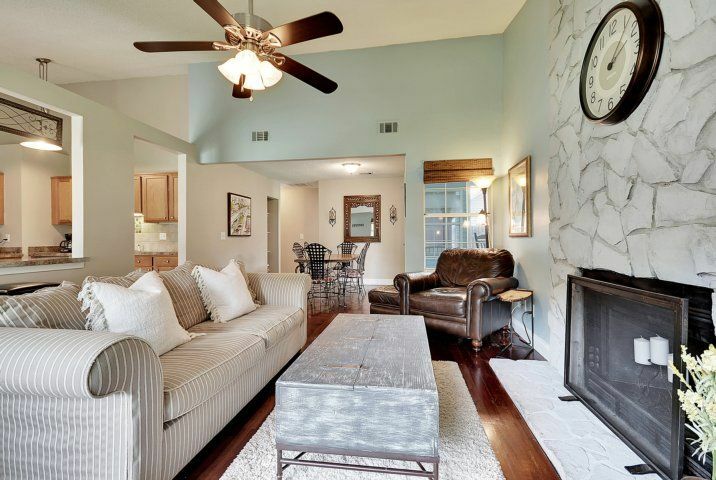 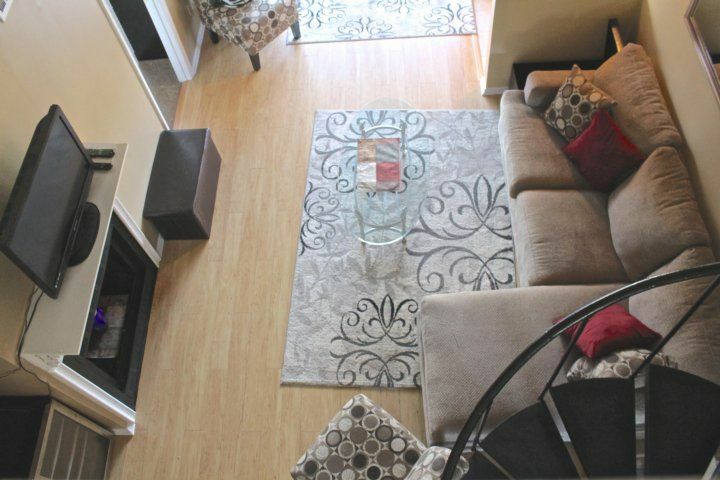 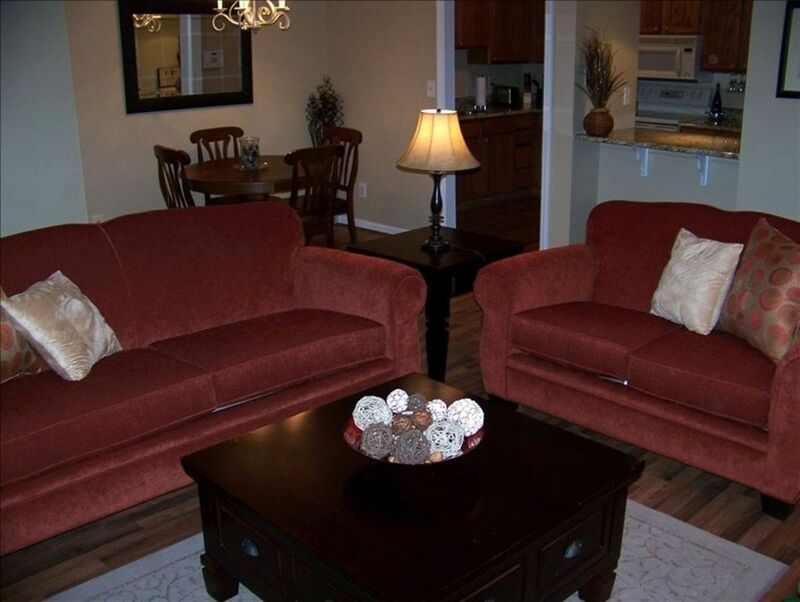 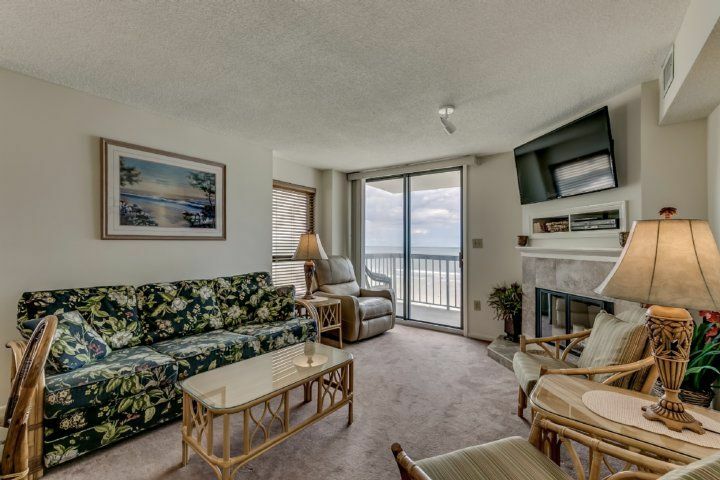 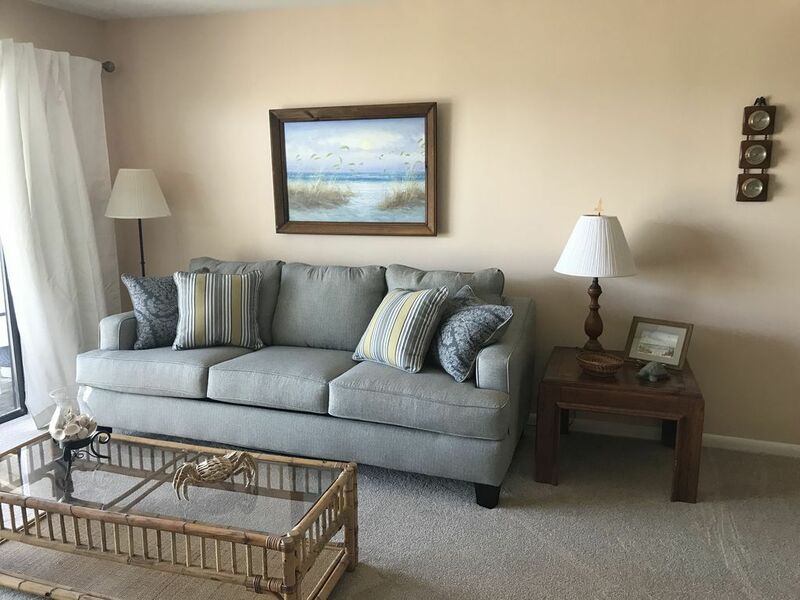 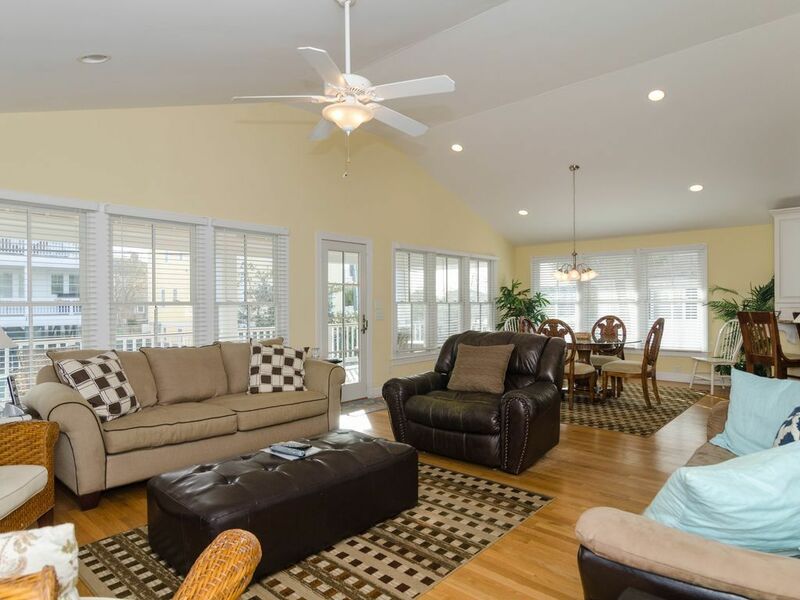 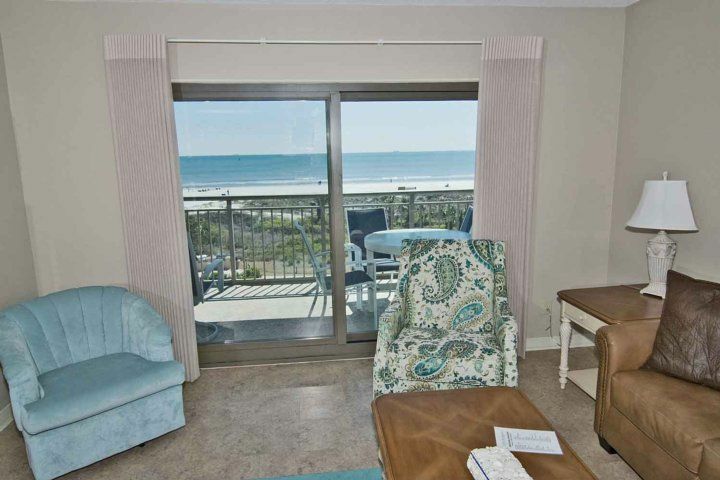 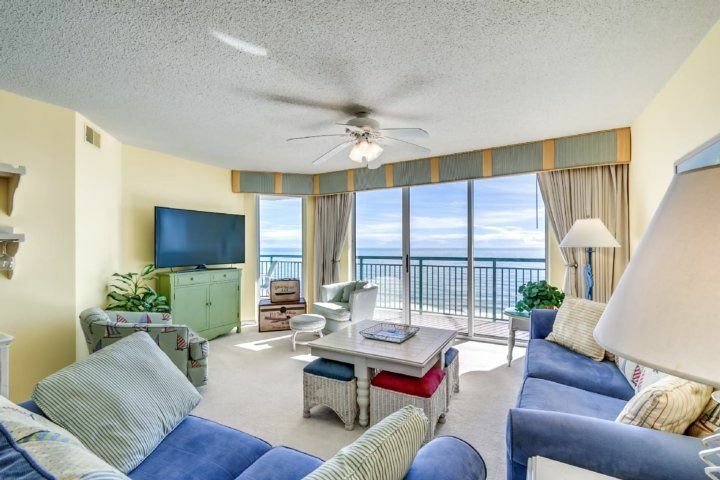 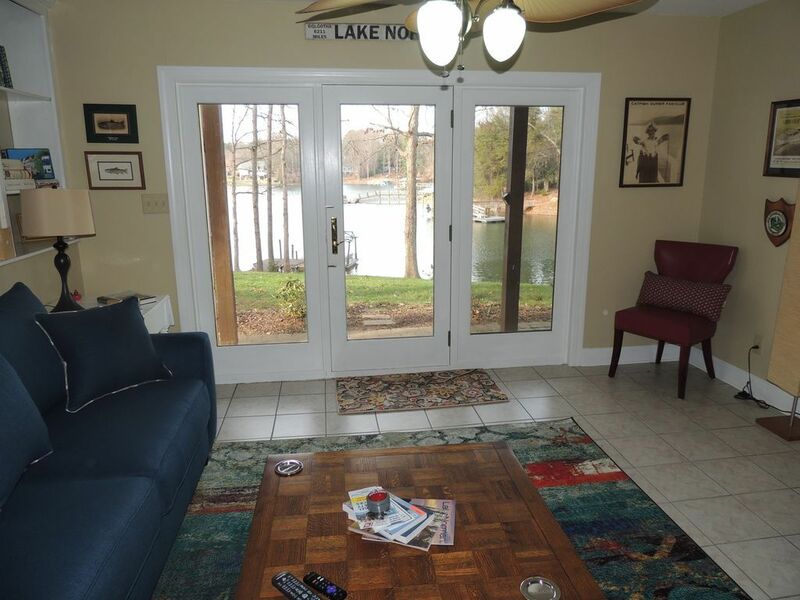 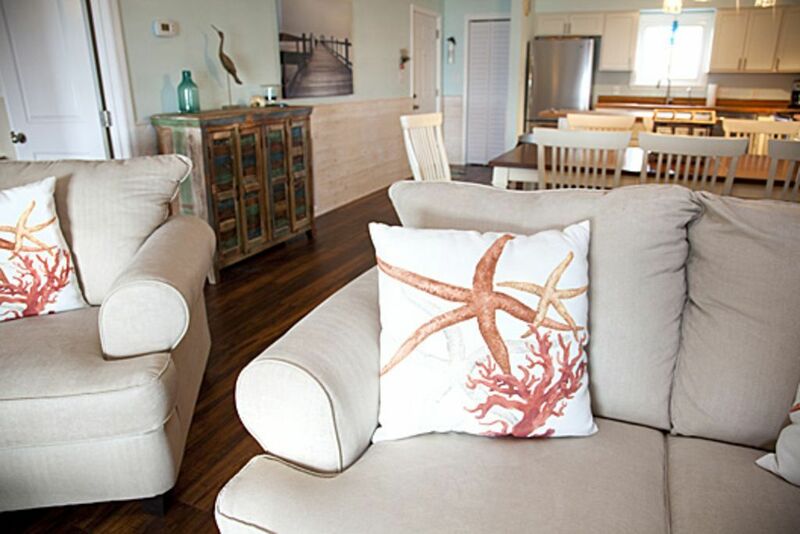 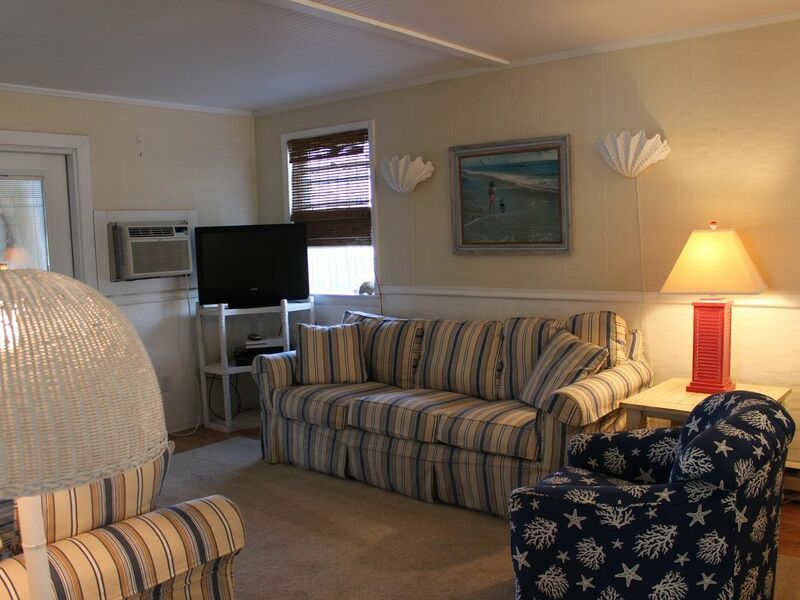 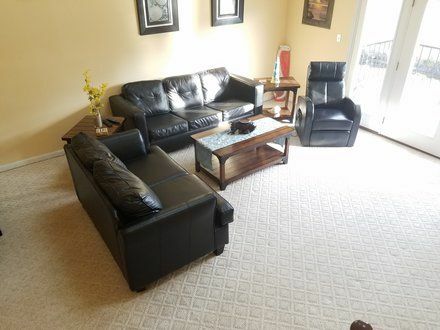 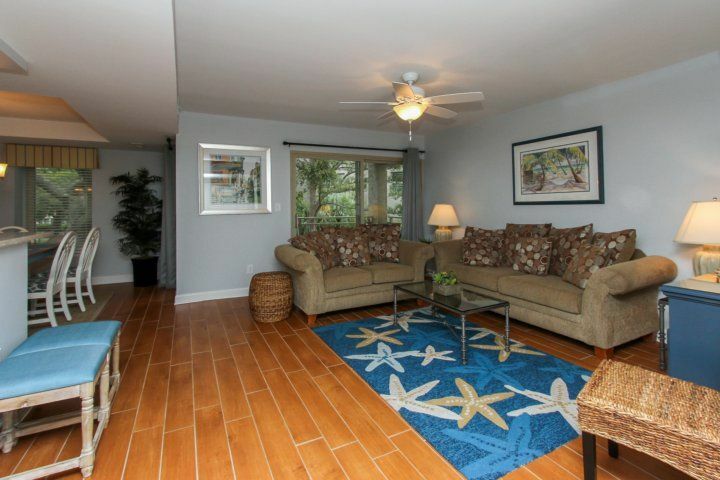 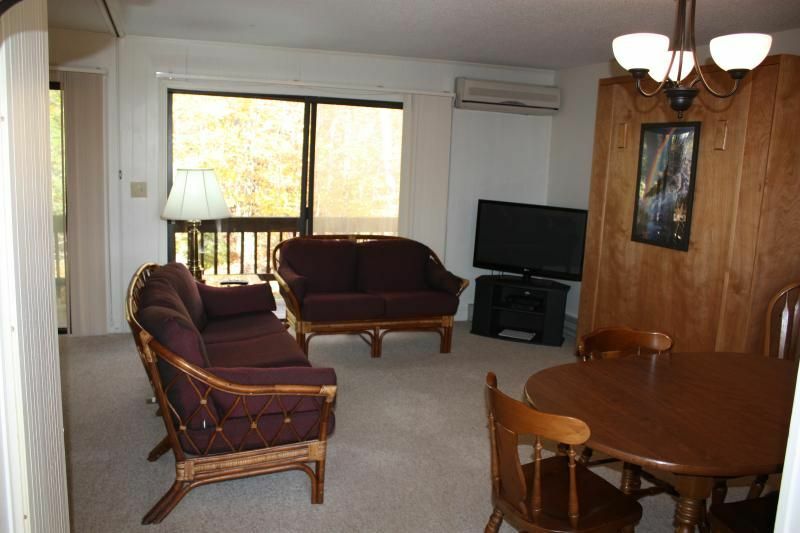 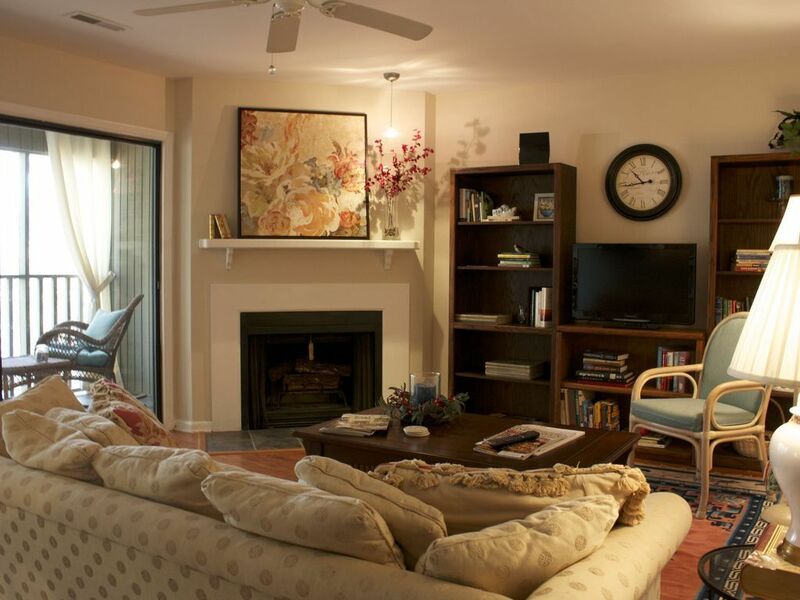 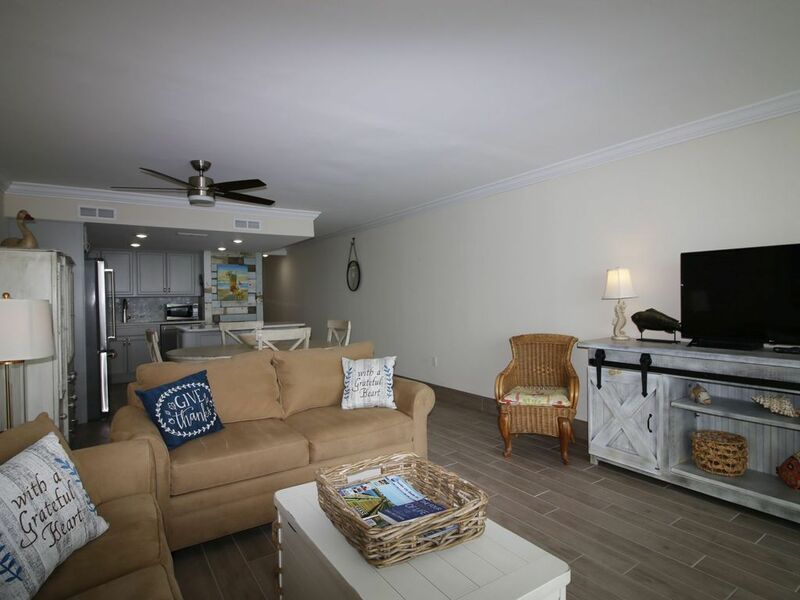 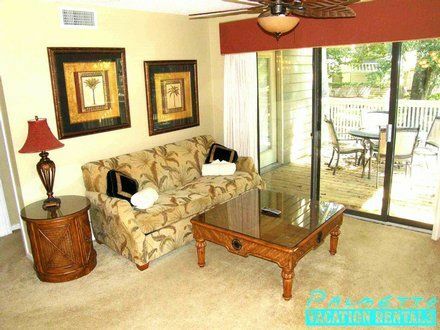 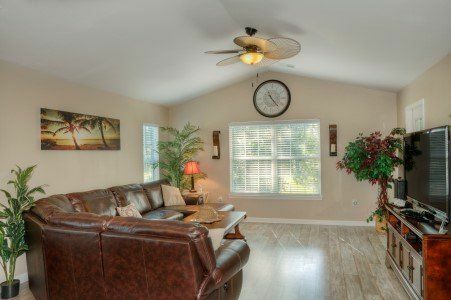 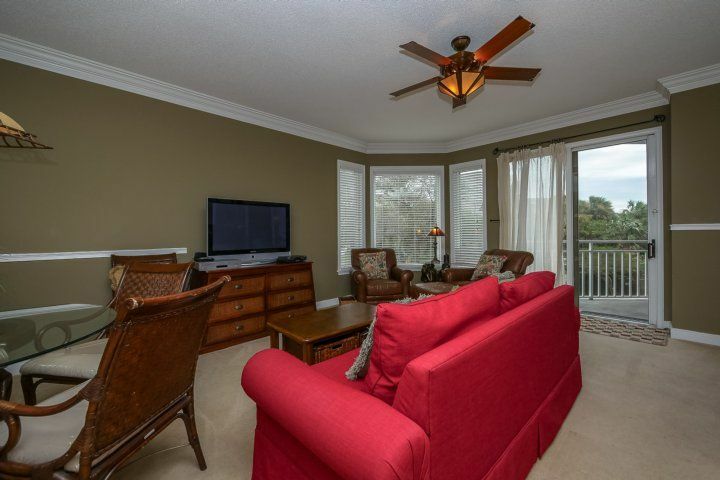 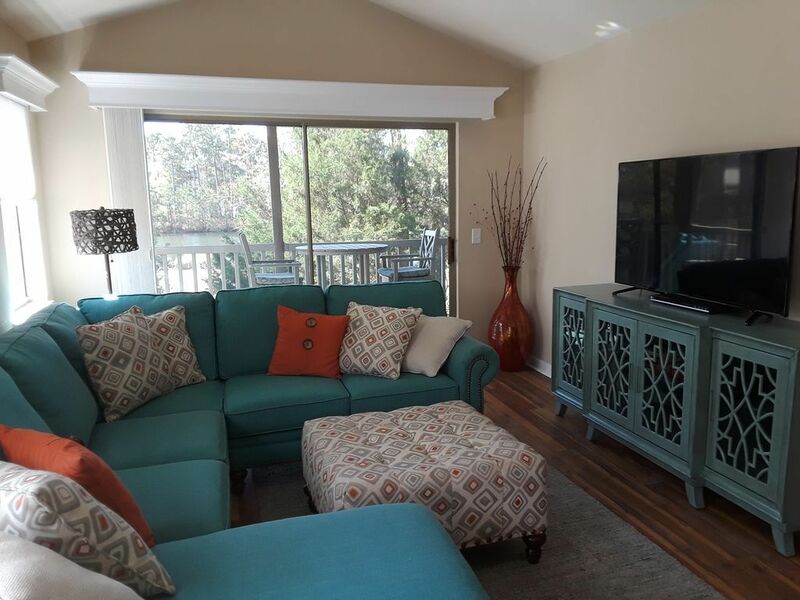 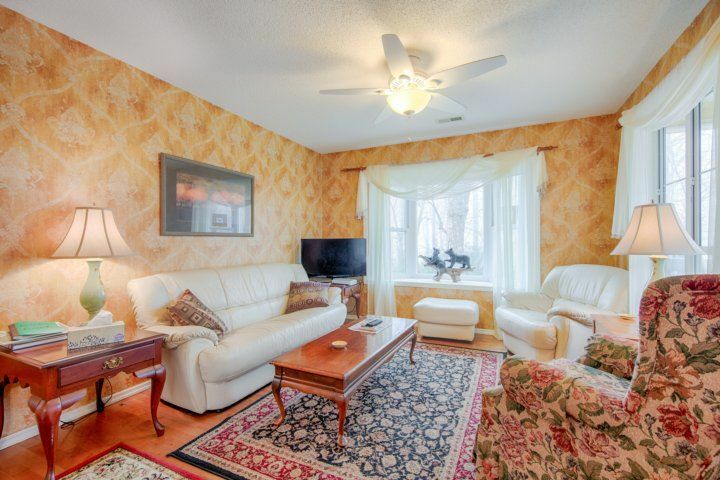 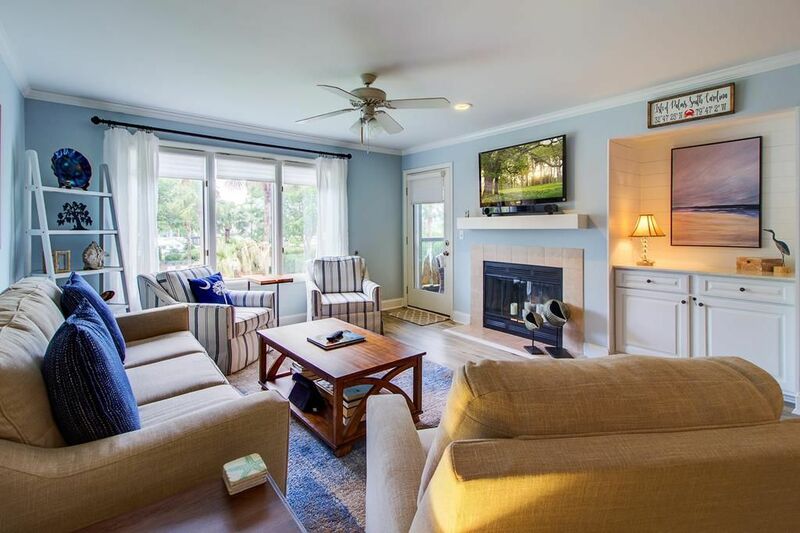 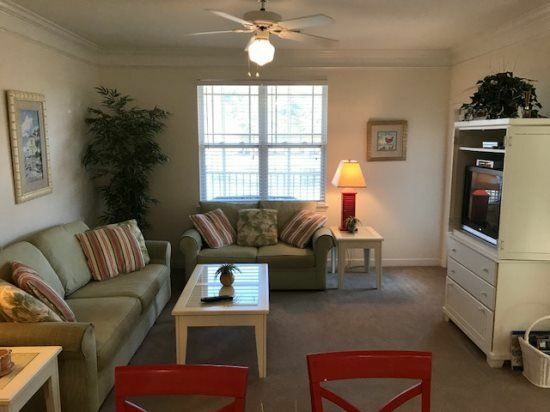 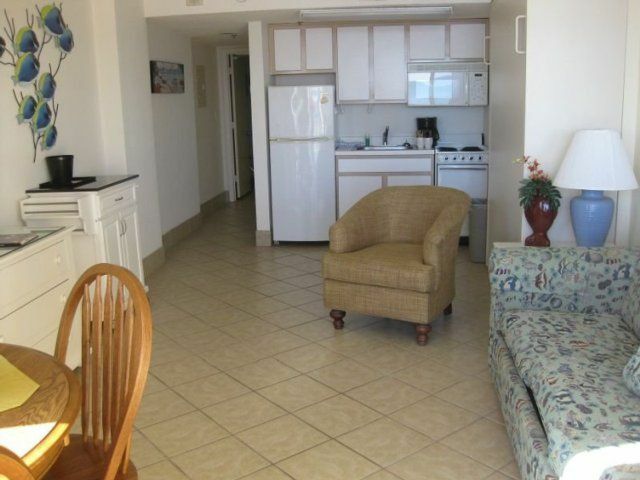 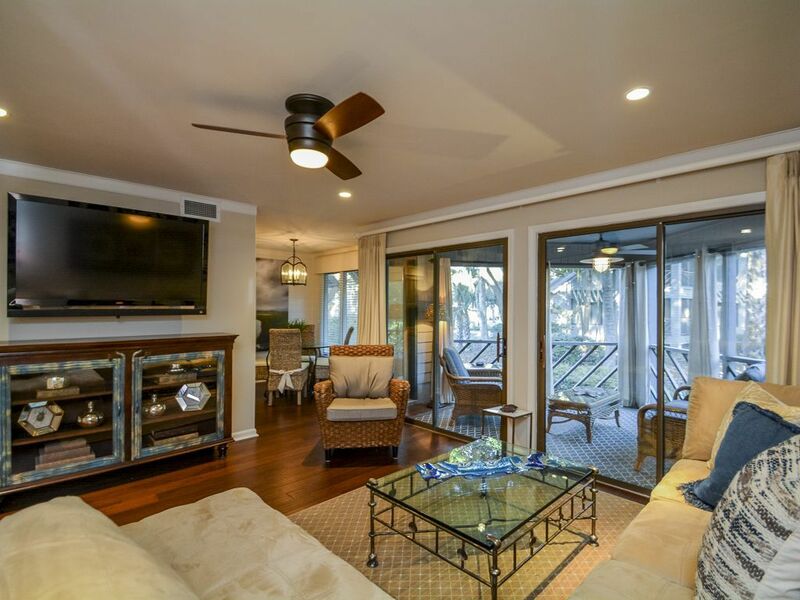 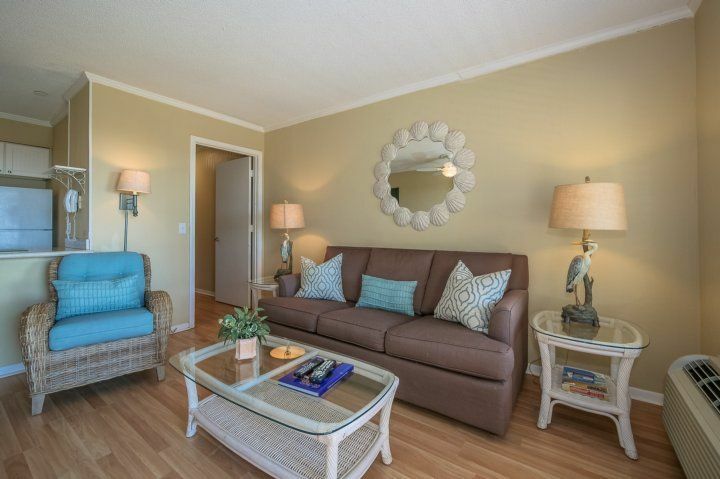 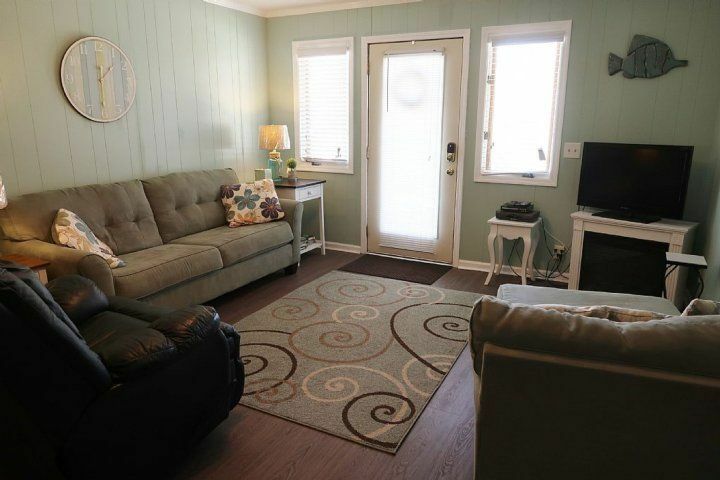 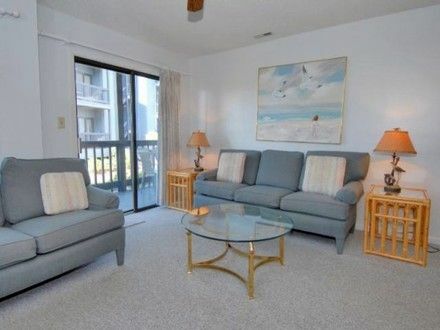 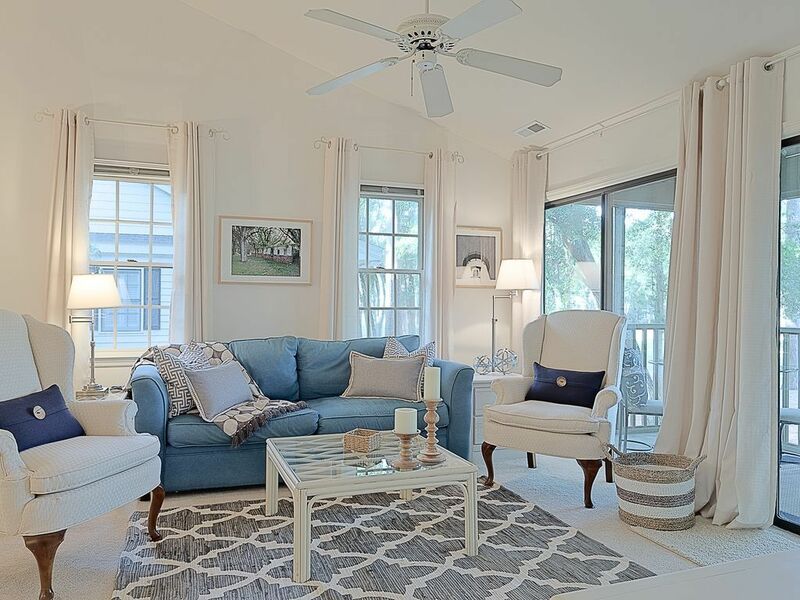 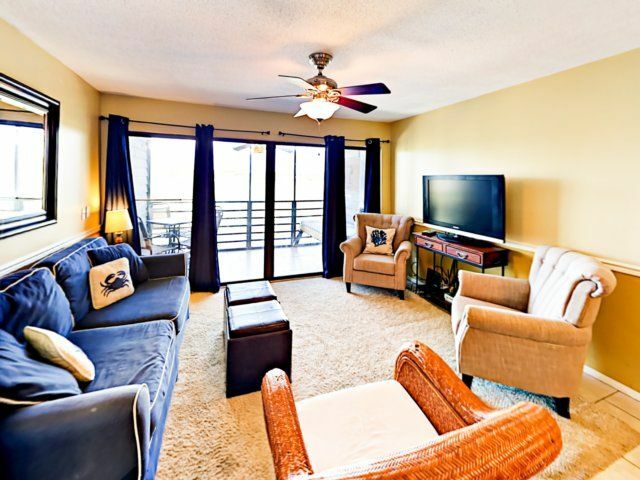 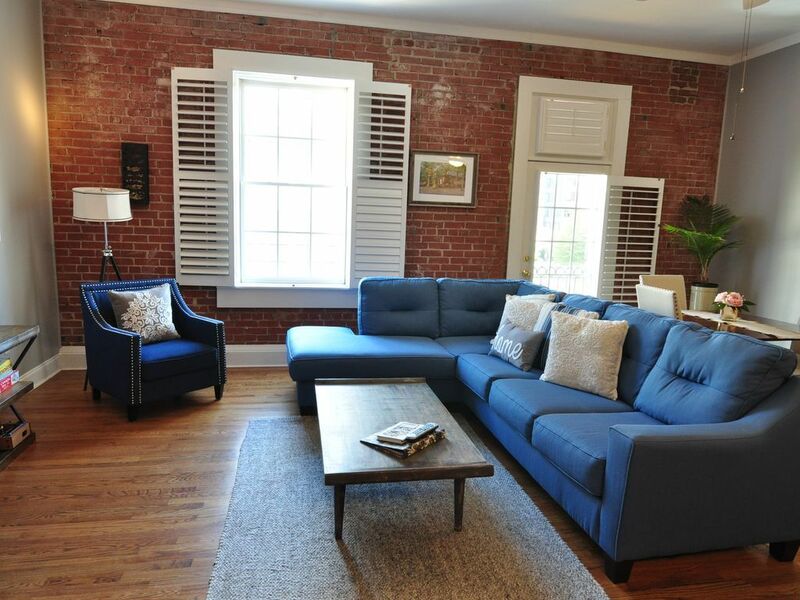 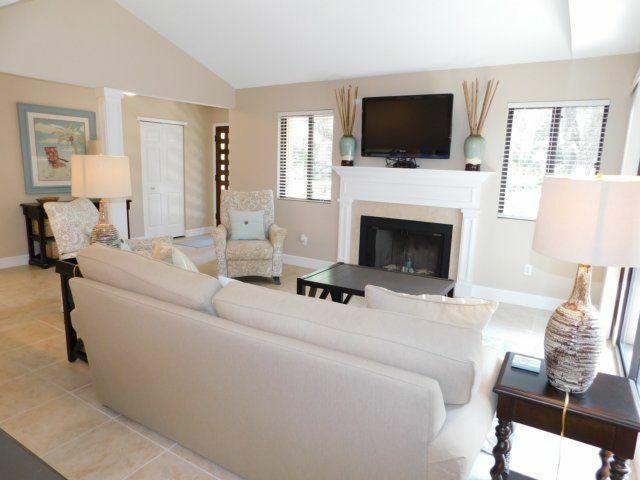 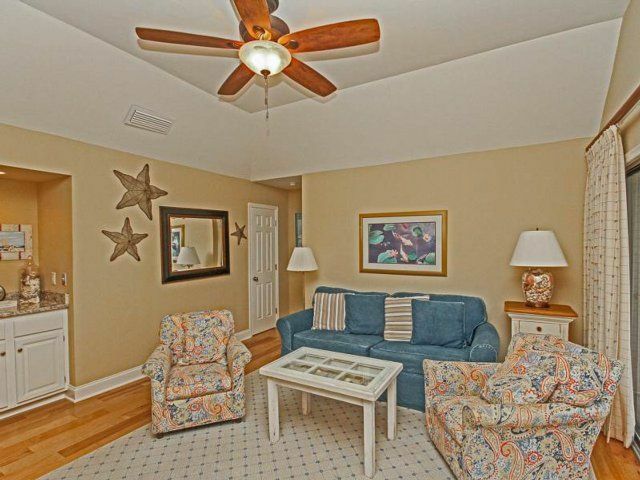 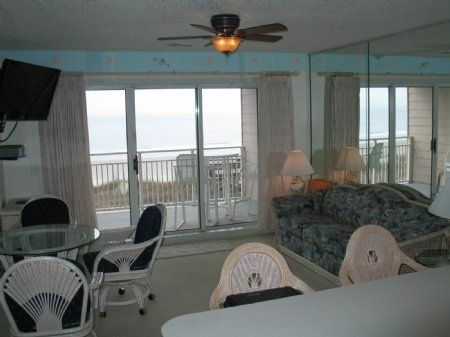 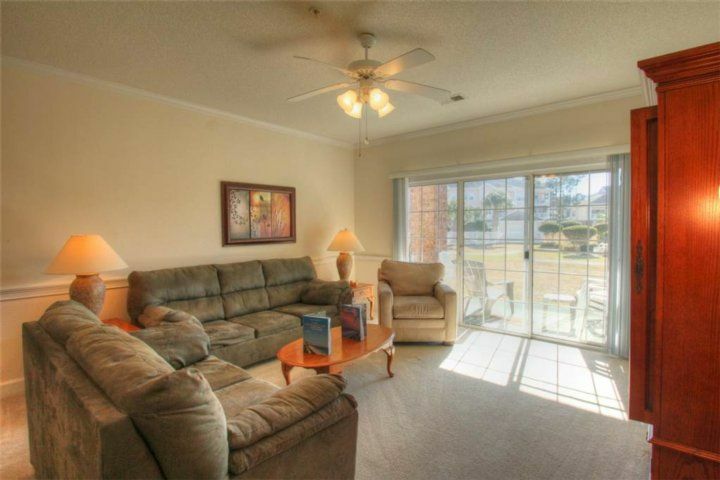 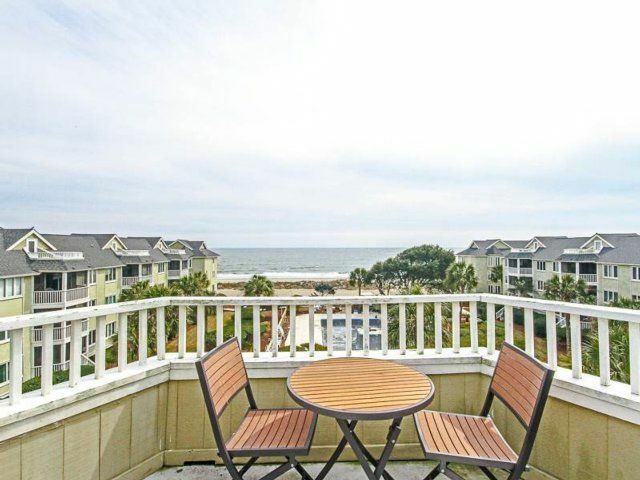 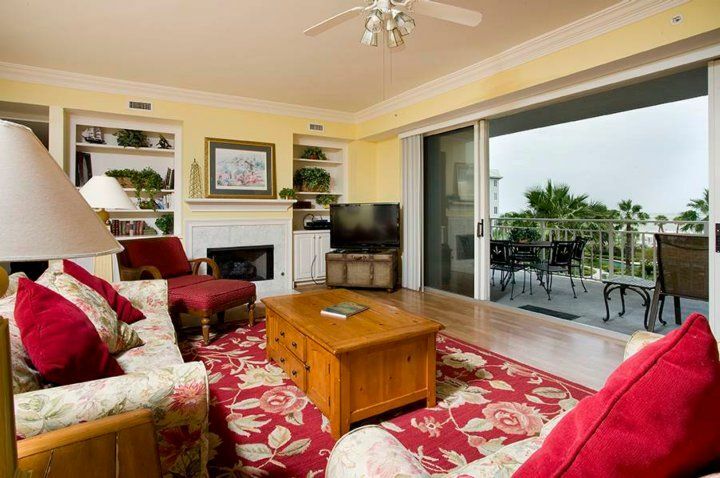 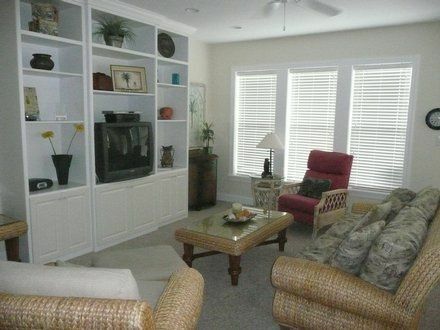 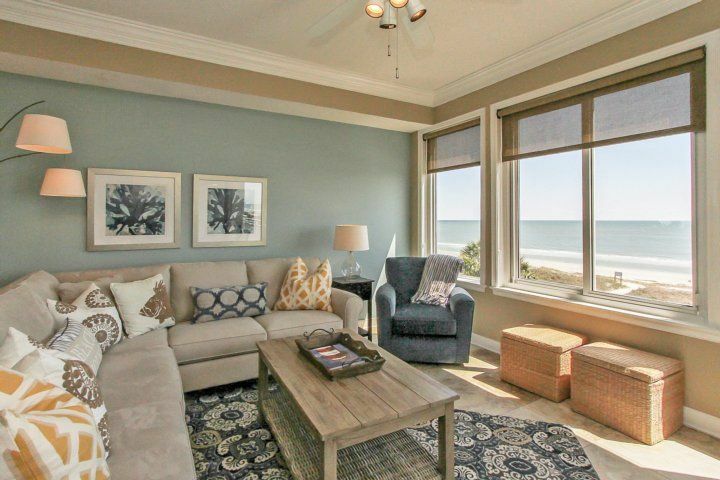 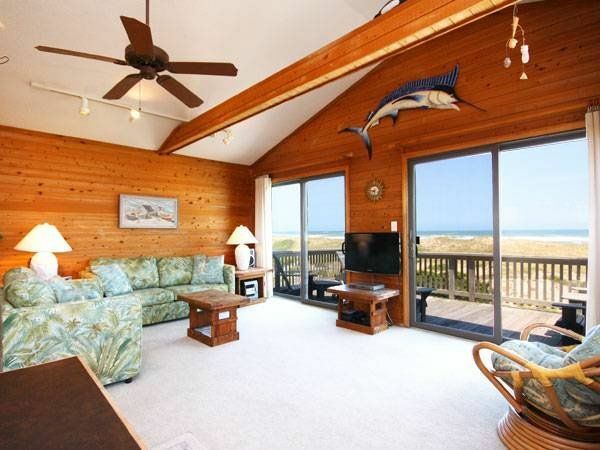 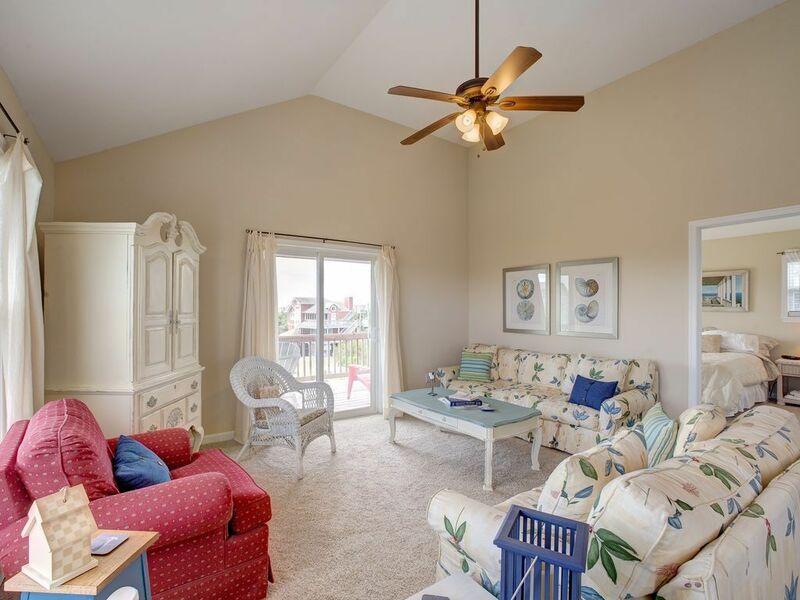 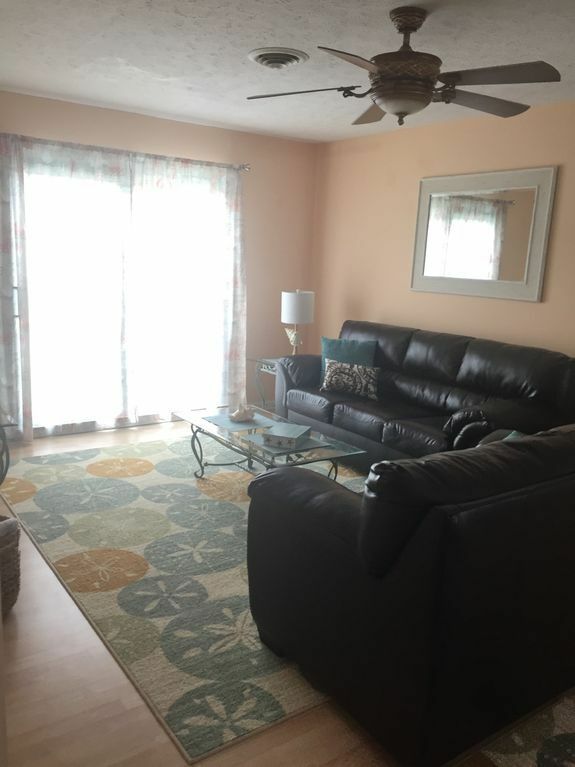 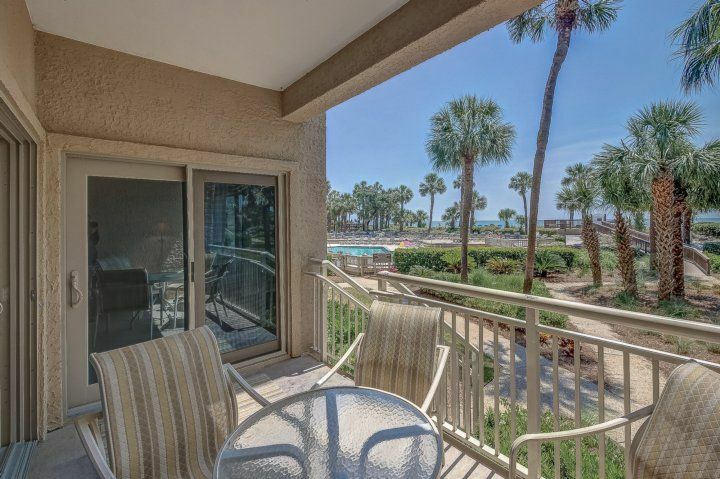 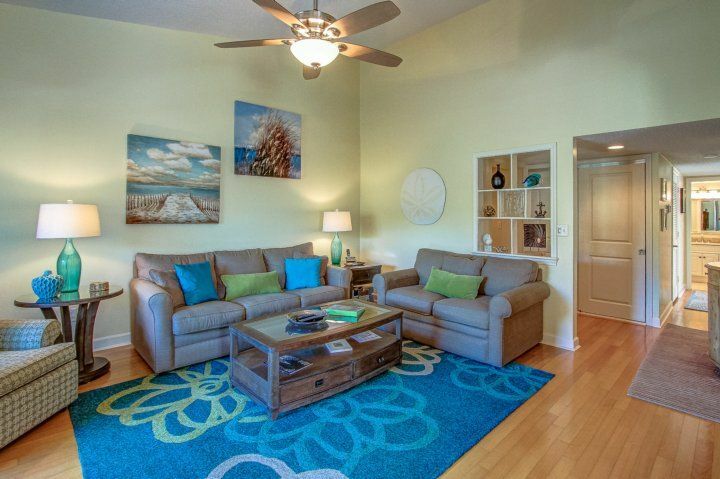 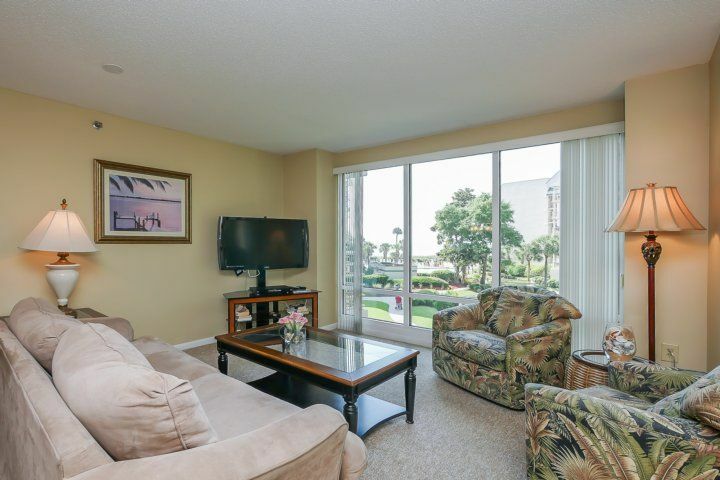 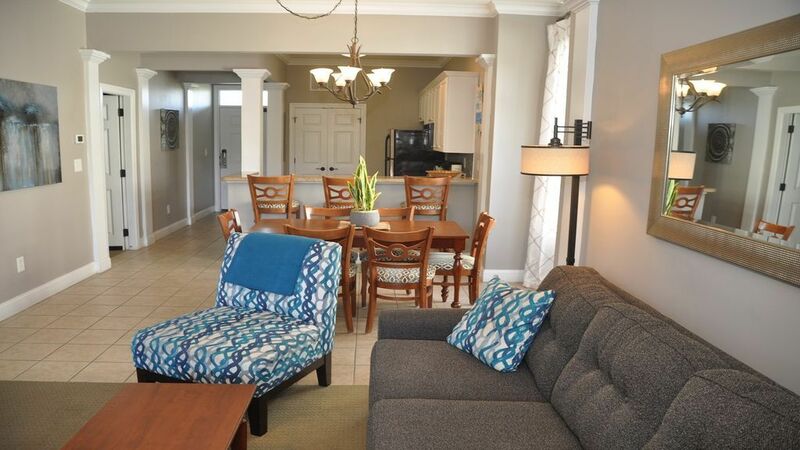 Unwind in the welcoming living room furnished with a sofa, two recliners, and three additional chairs. 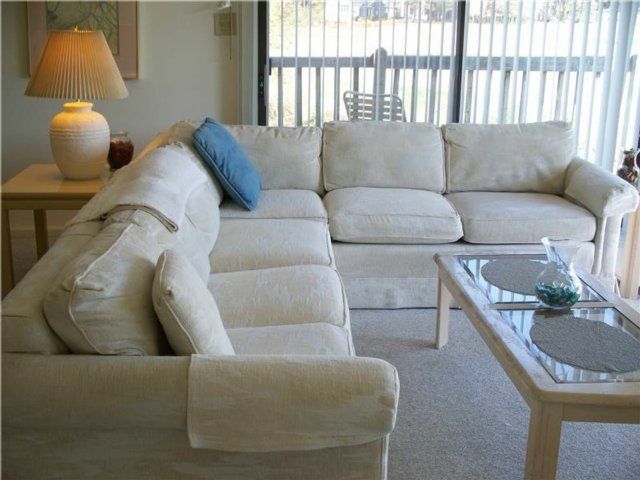 Watch movies on the 50? 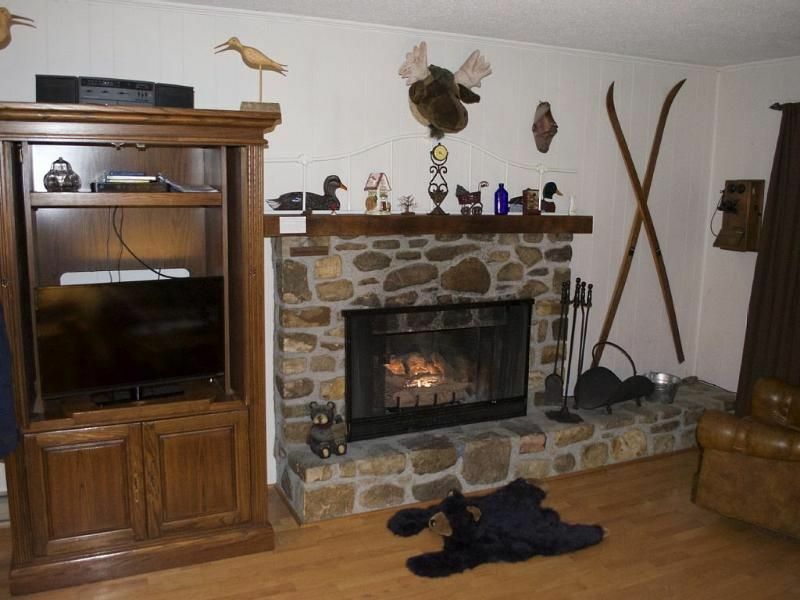 TV while enjoying the warm ambience of the wood-burning fireplace. 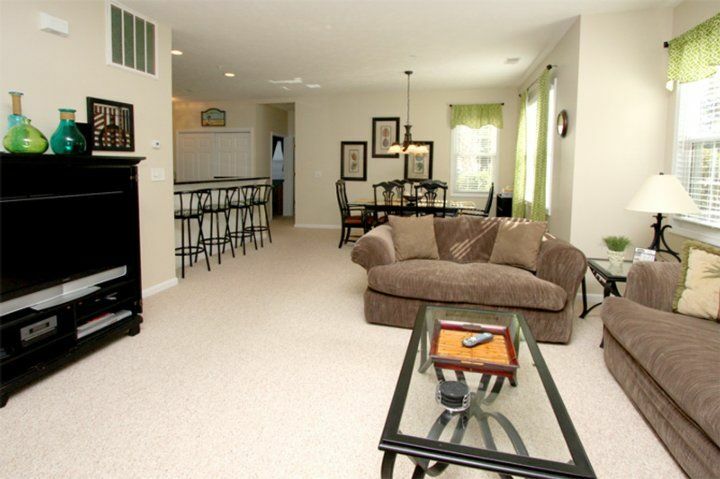 Downstairs, a second living room offers space in which to socialize. 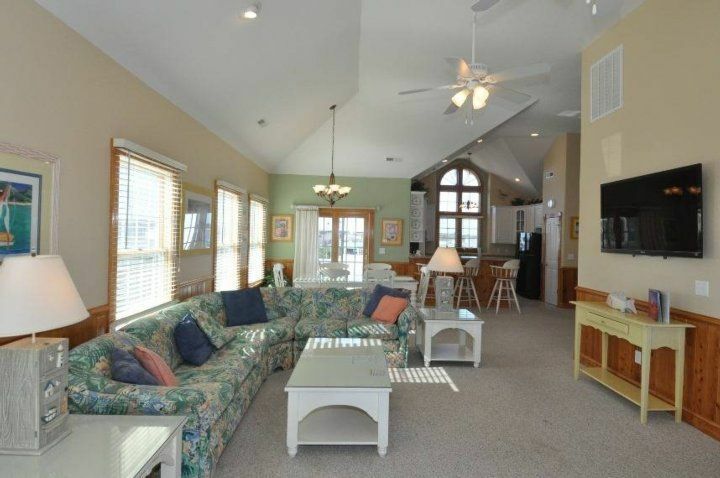 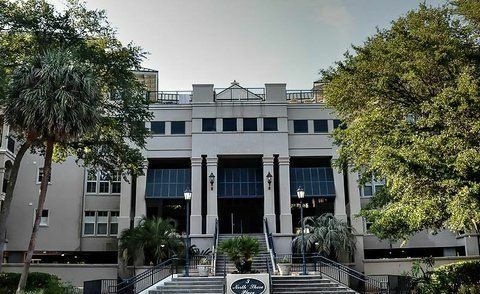 Tickle the ivories at the piano or play a game at the card table with seating for four. 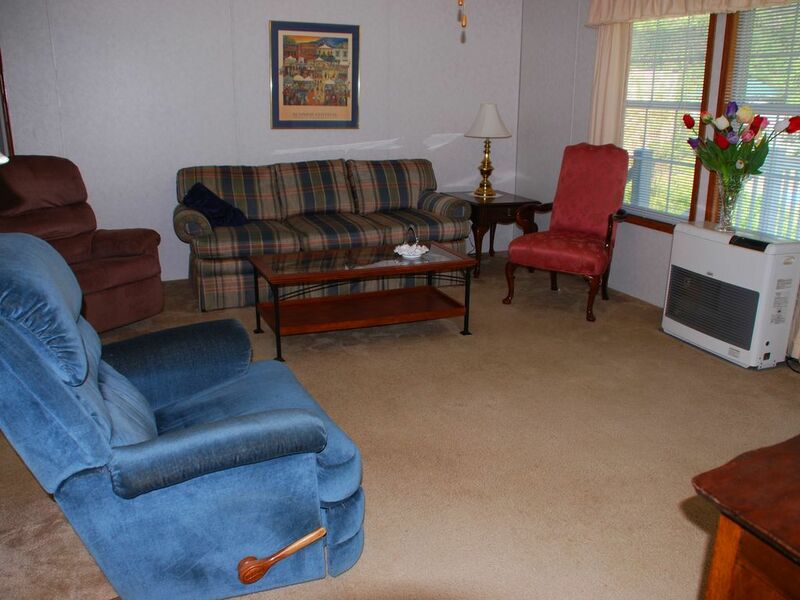 Sink into the plush sofa and catch up on favorite shows on the 42? 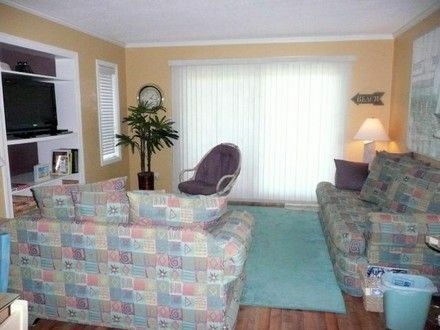 TV with cable. 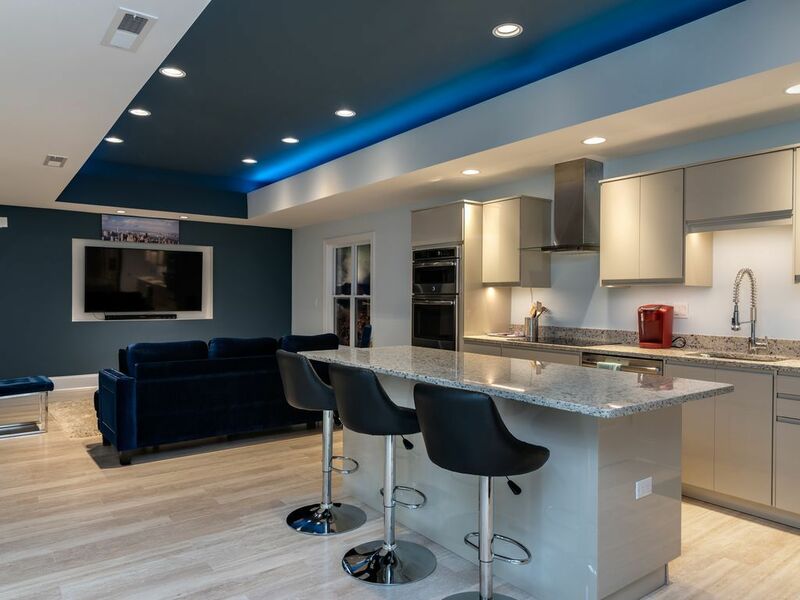 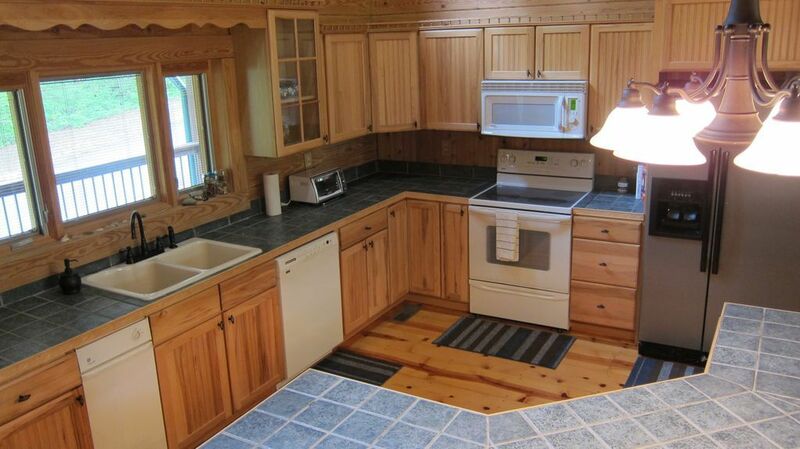 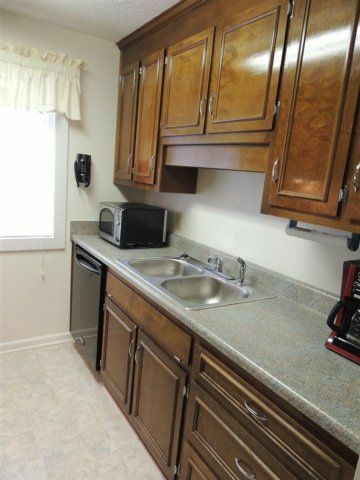 Whip up your favorite meals in the fully stocked kitchen, featuring gleaming black countertops and wood cabinets. 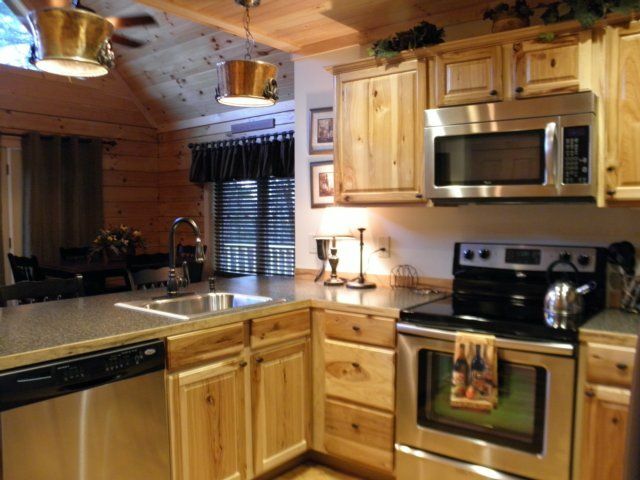 Keeping your group well-fed is easy thanks to helpful kitchen gadgets, including a blender, toaster oven, and coffee maker. 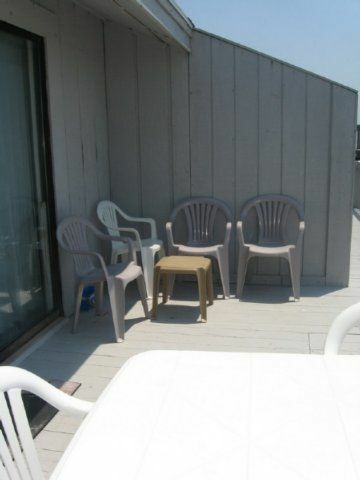 The dining room table has seating for six. 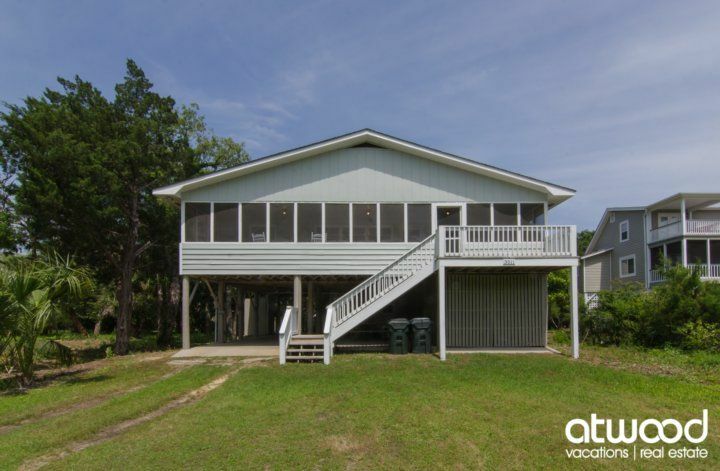 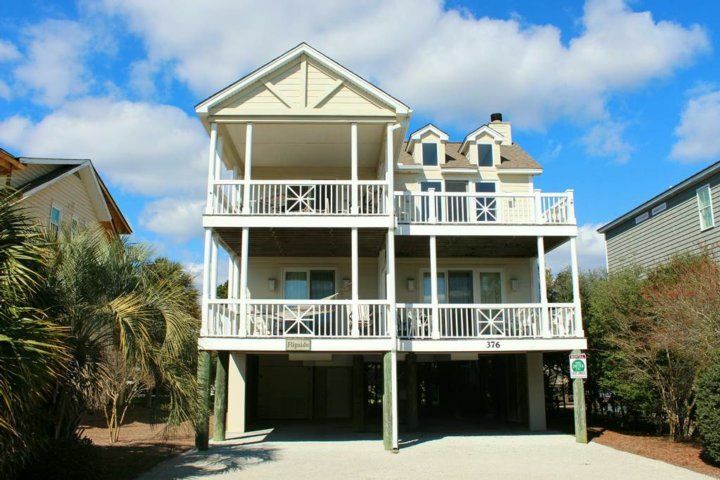 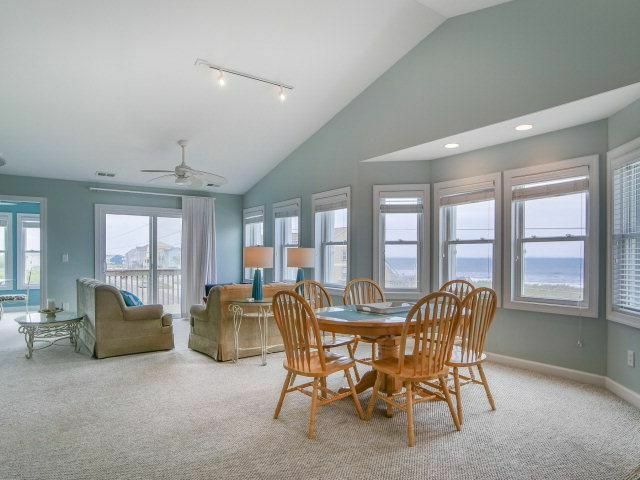 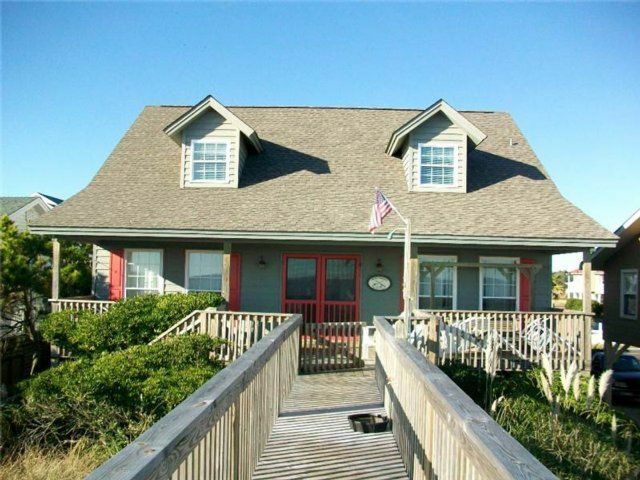 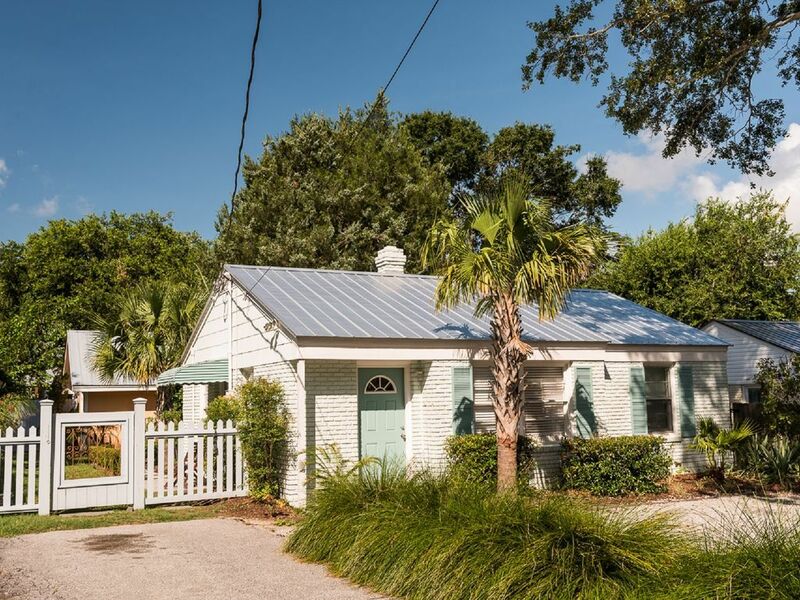 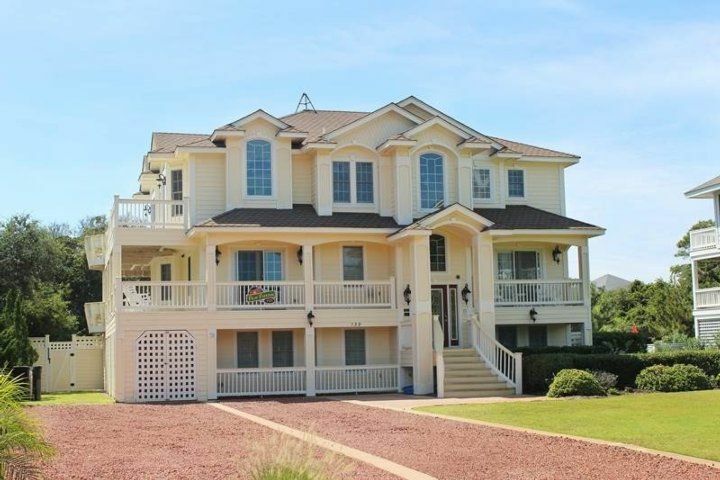 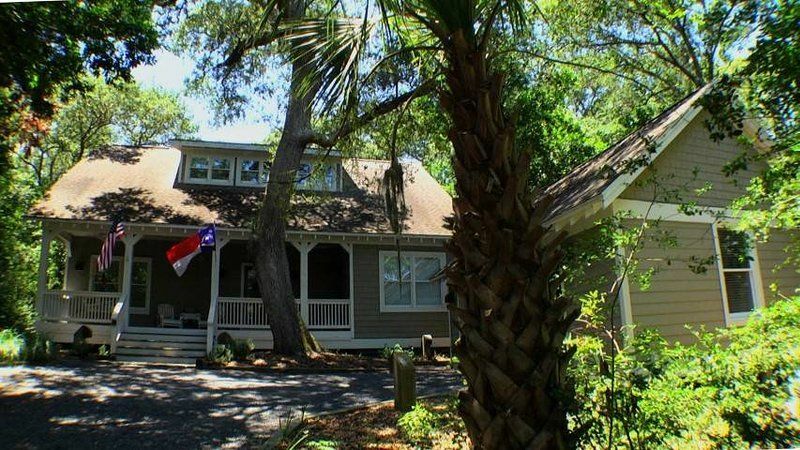 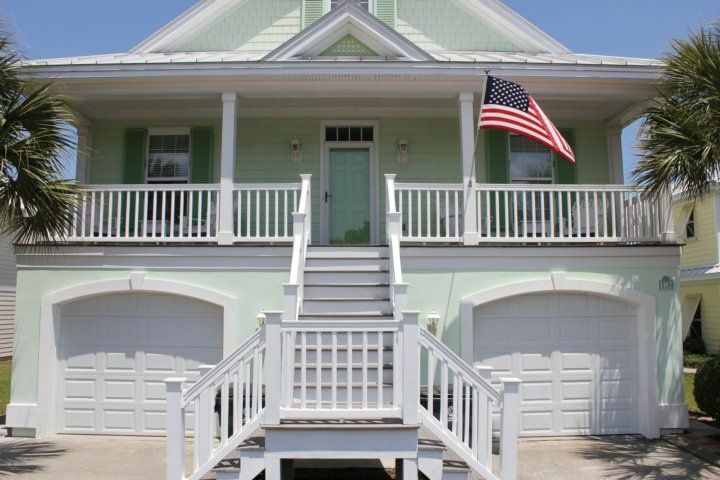 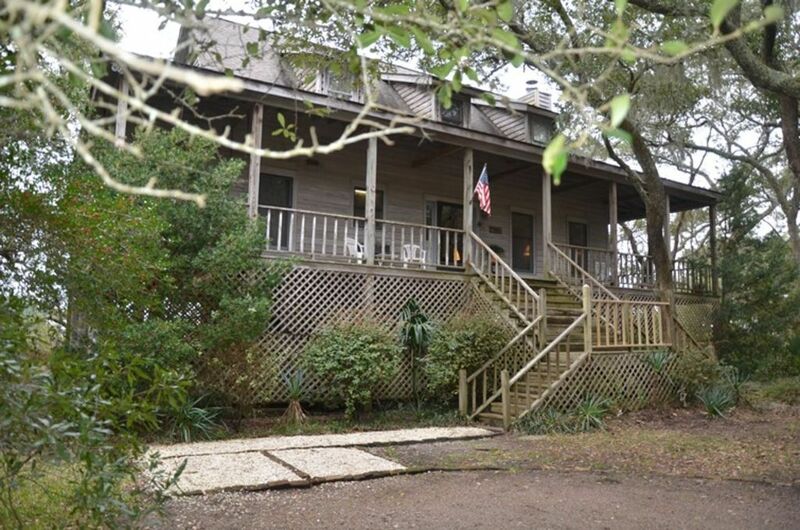 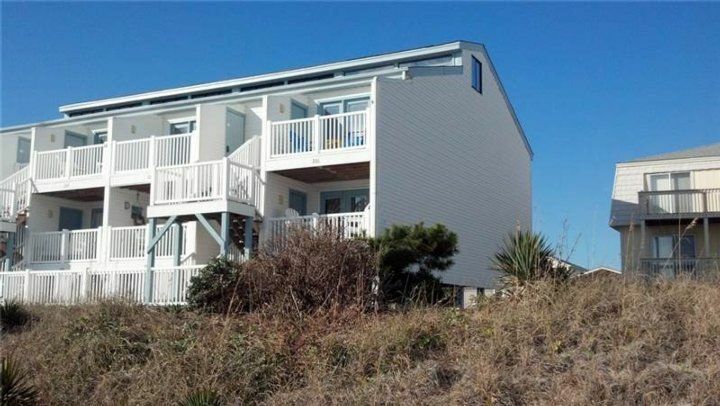 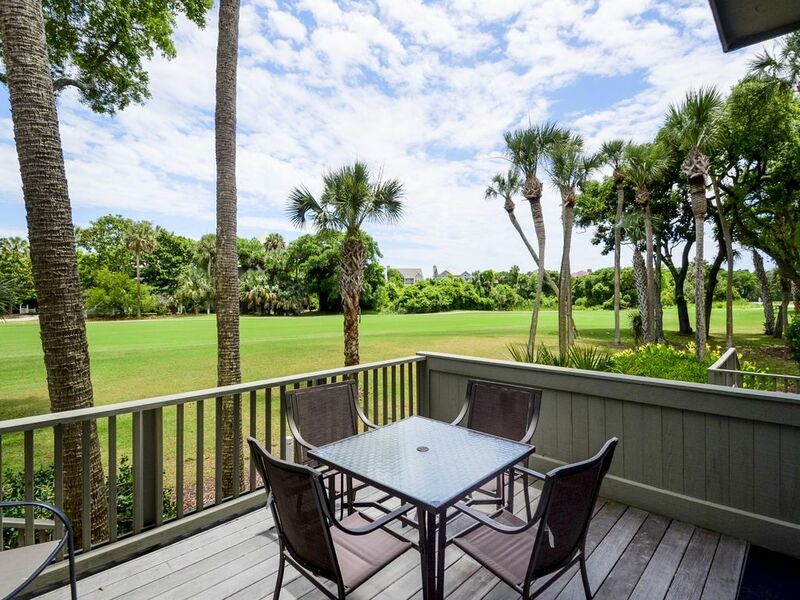 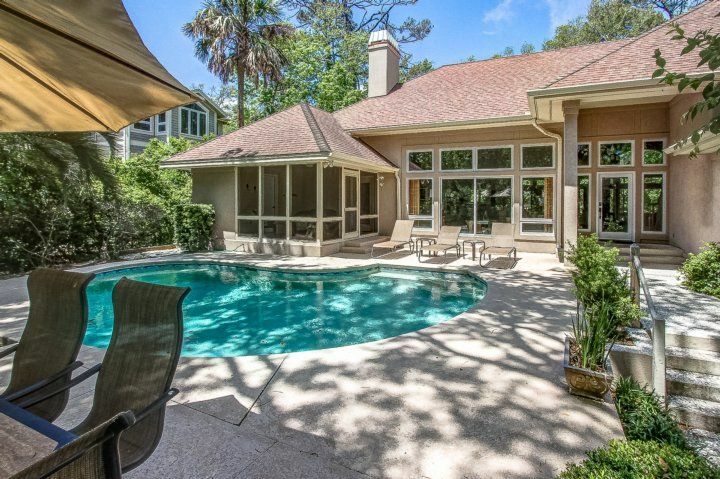 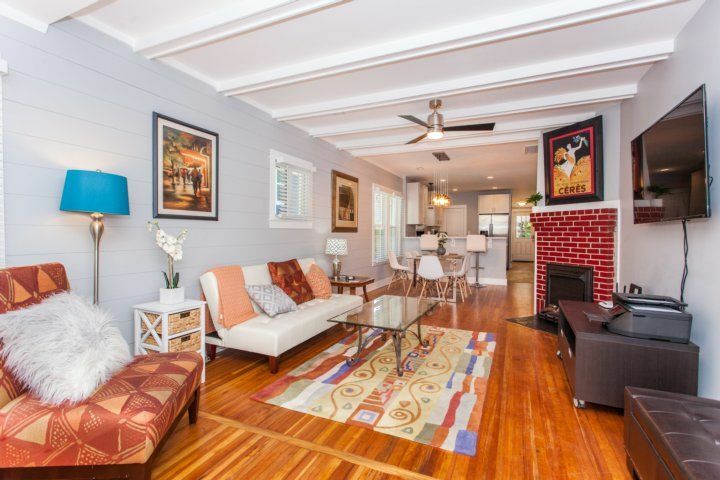 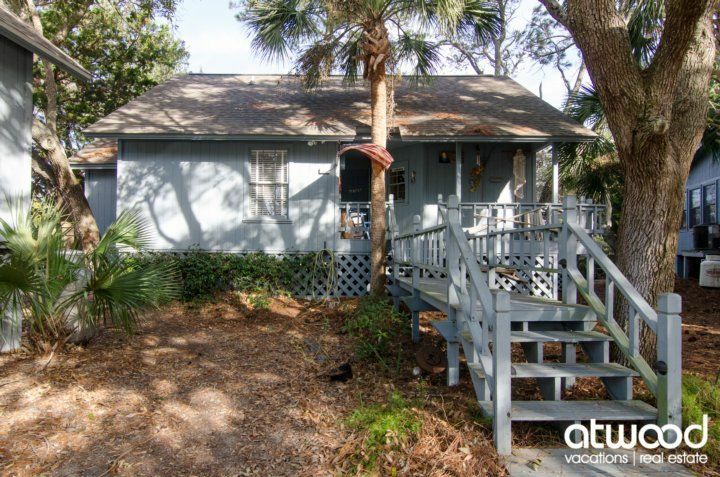 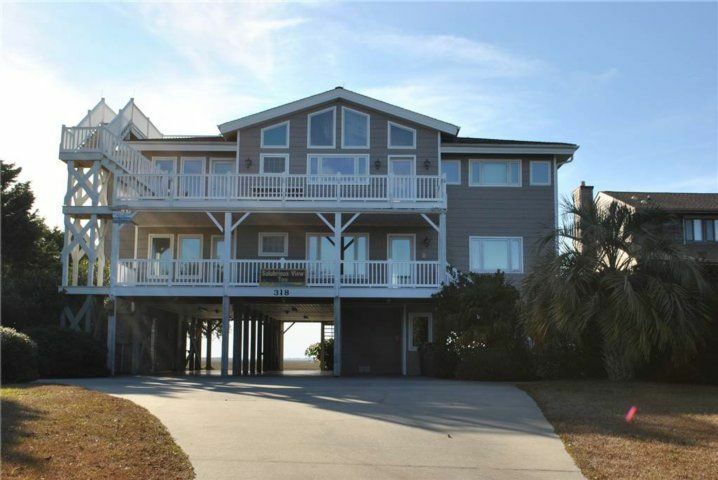 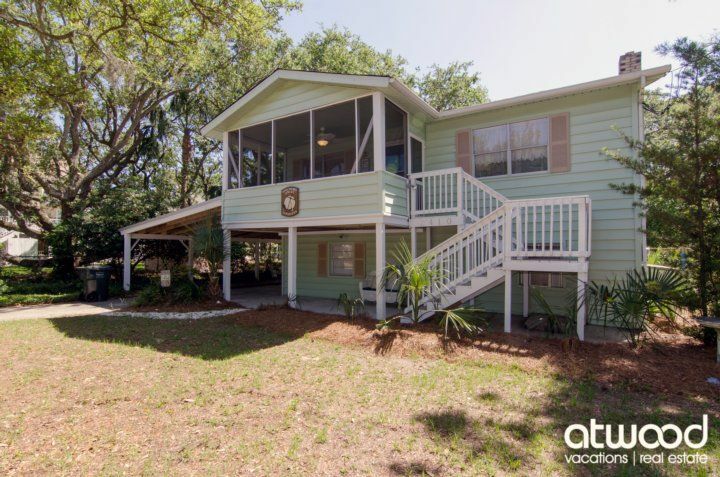 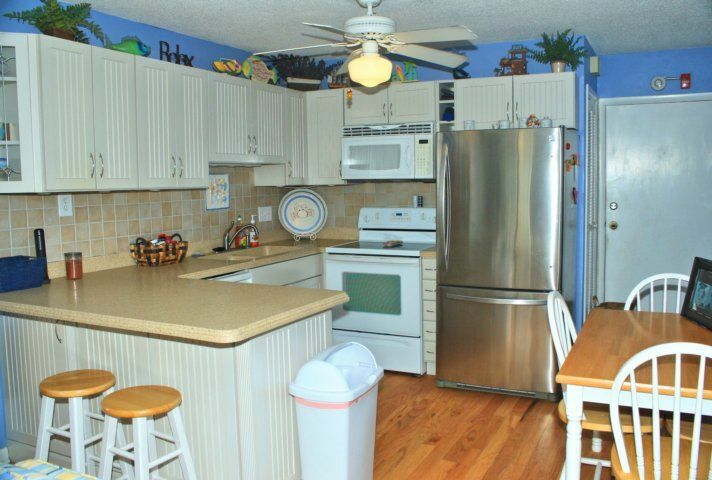 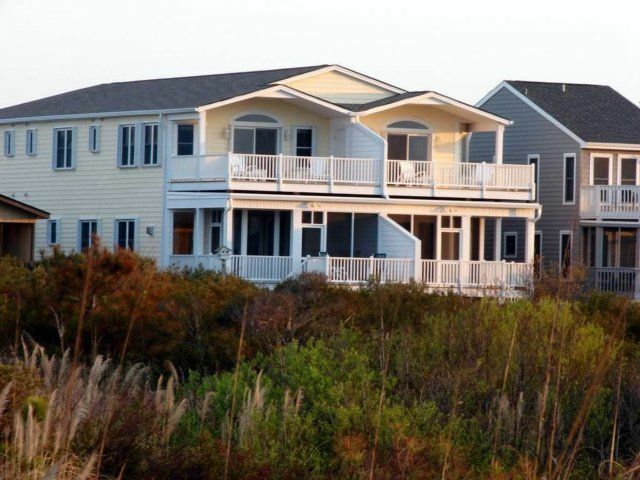 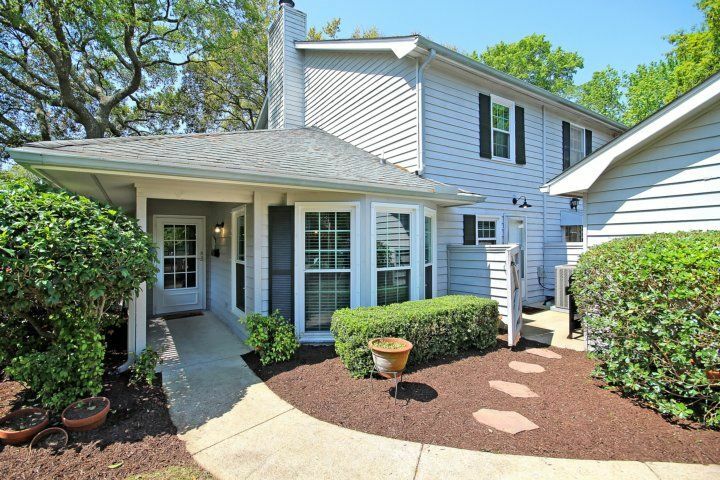 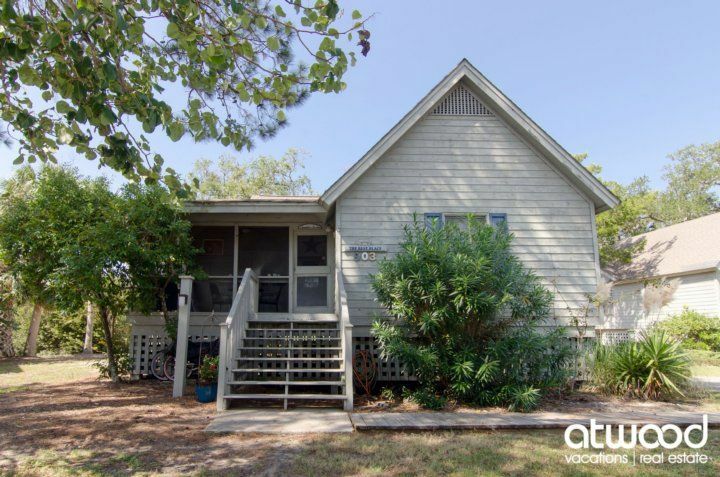 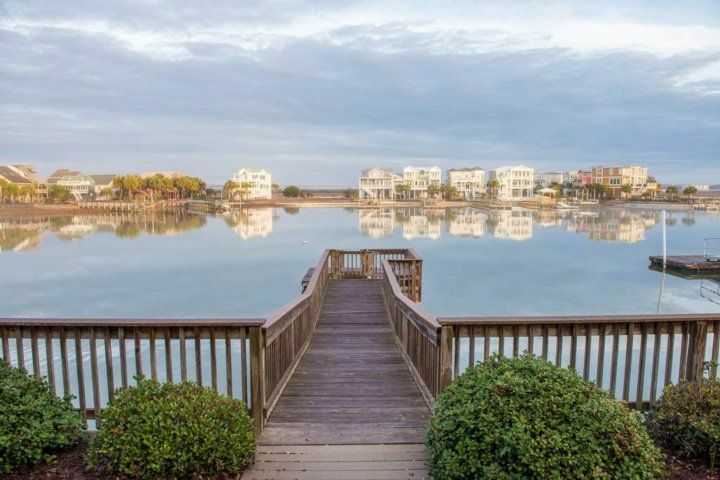 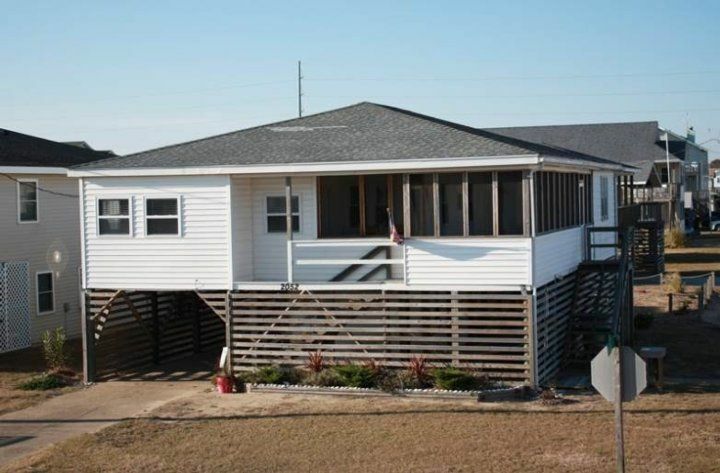 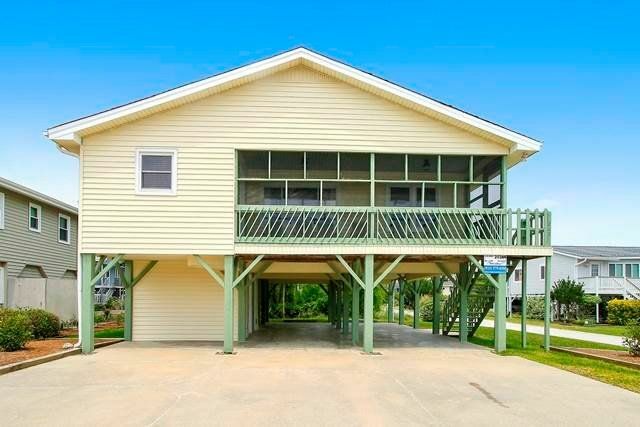 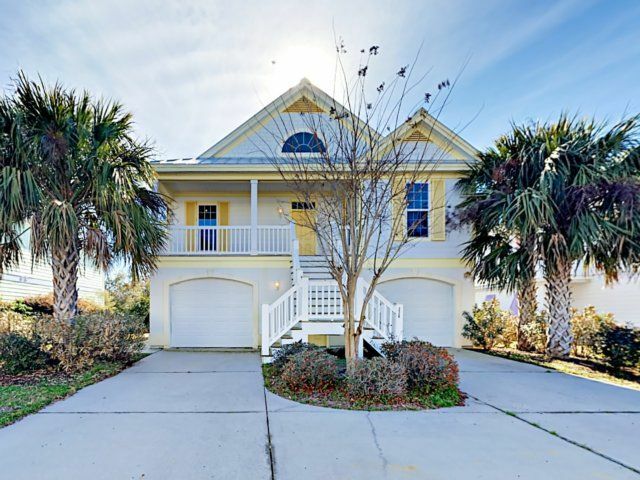 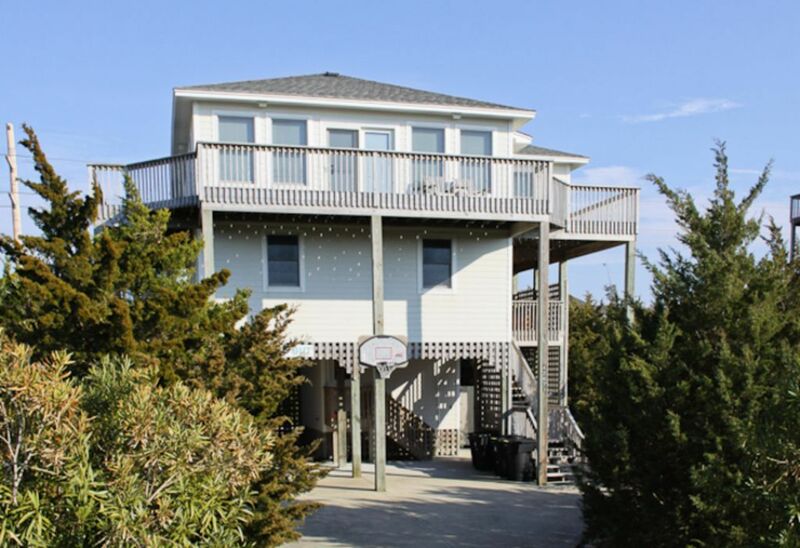 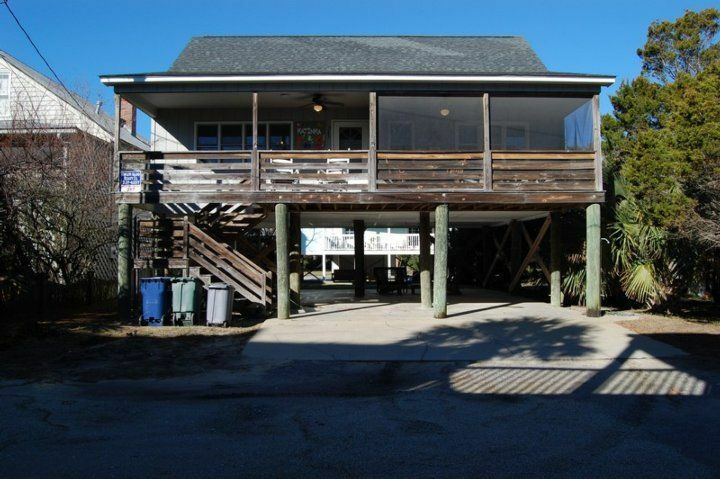 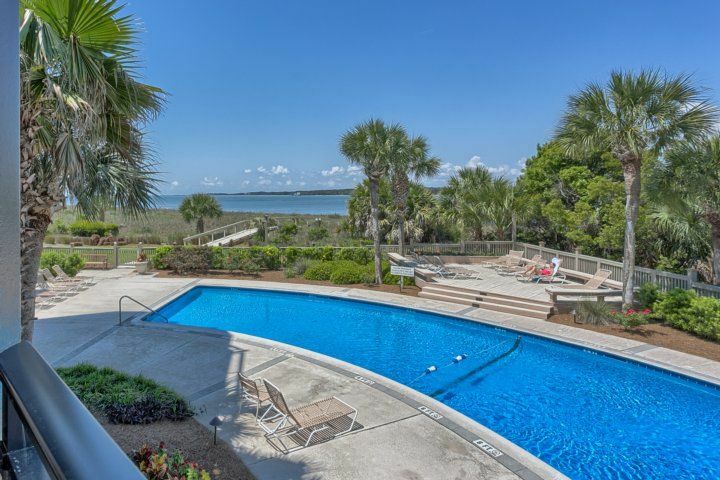 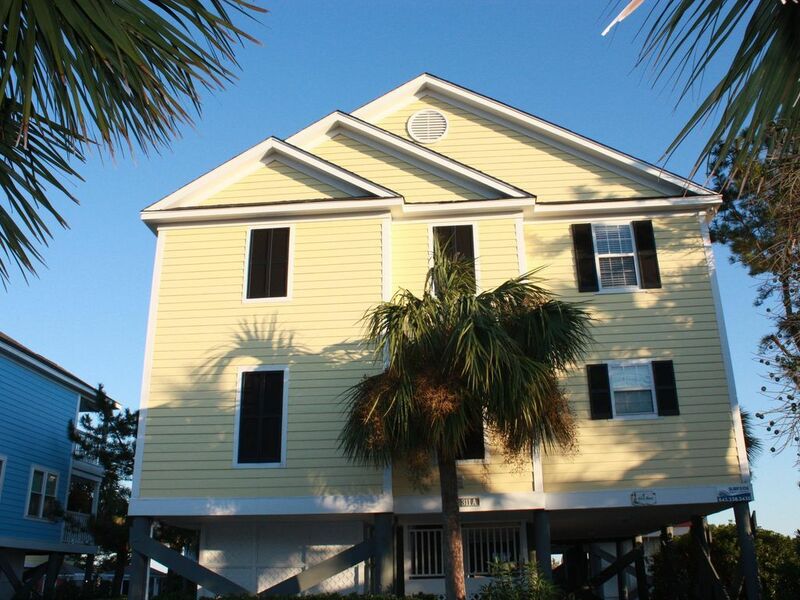 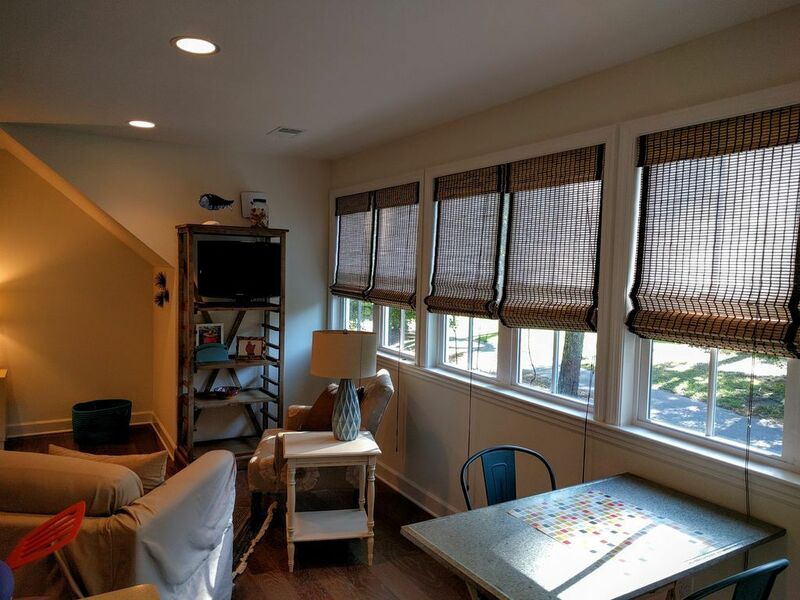 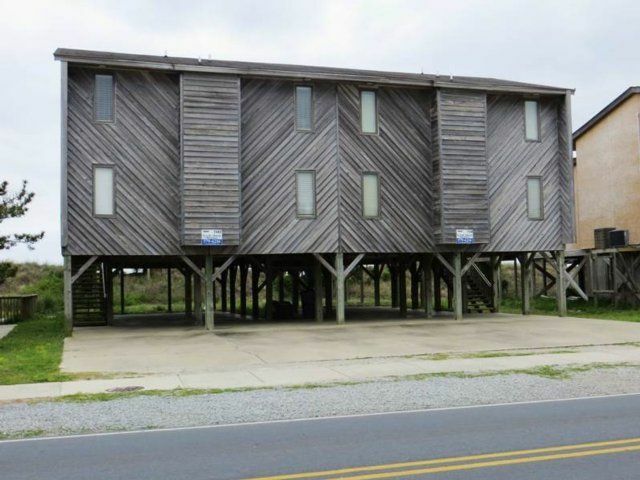 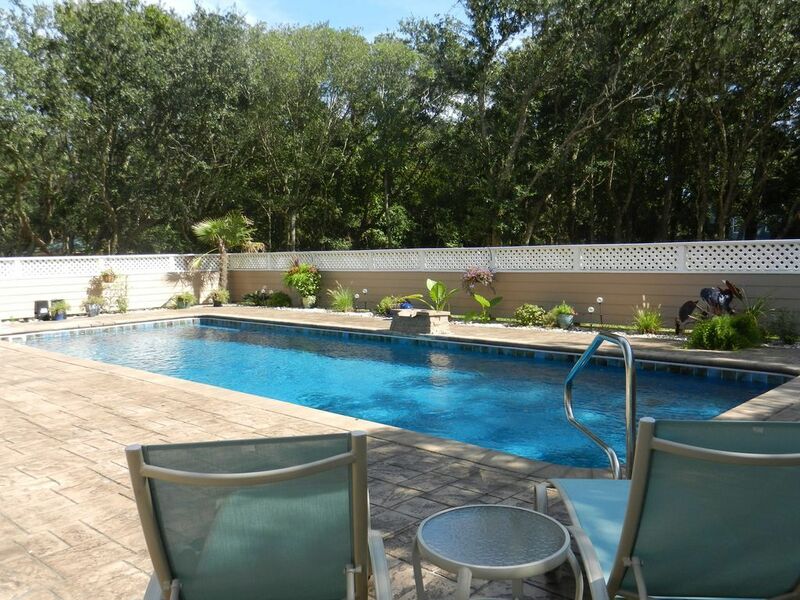 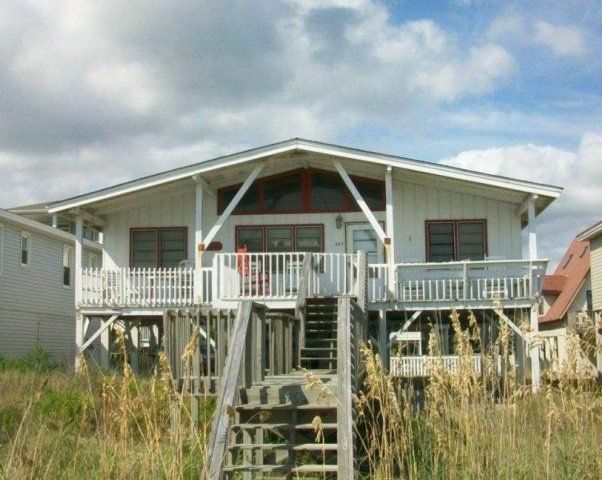 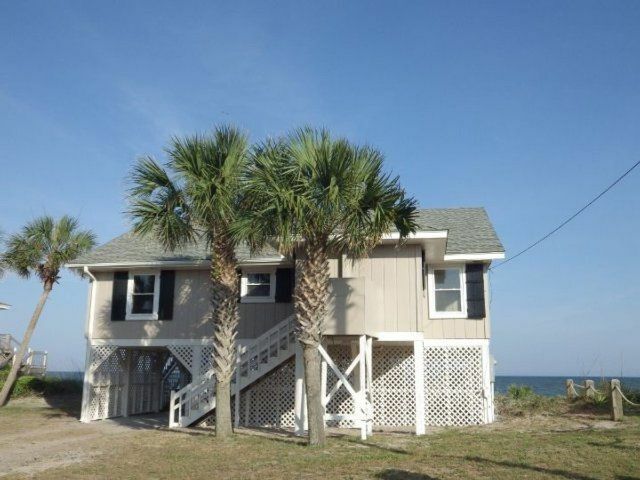 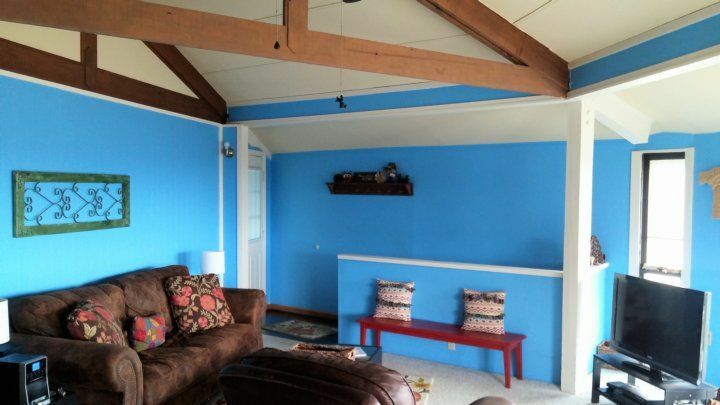 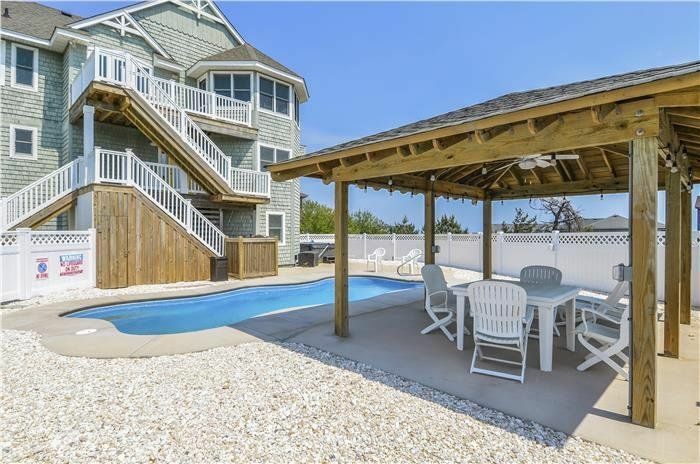 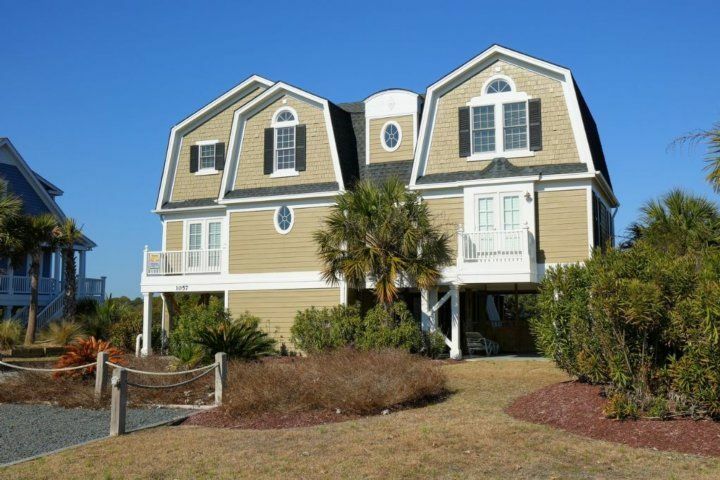 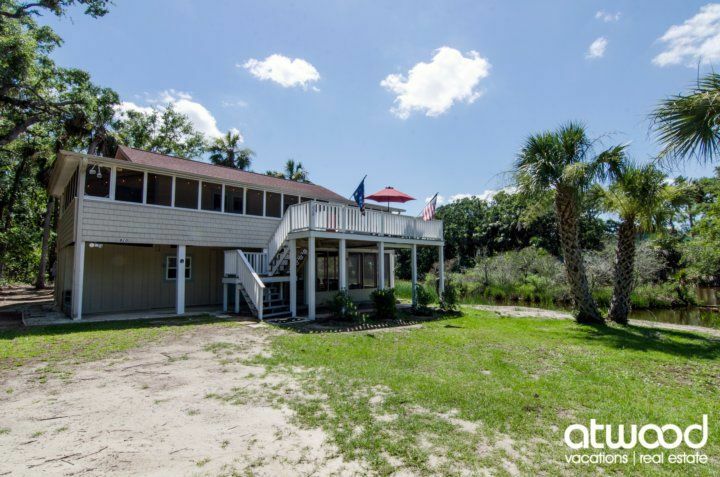 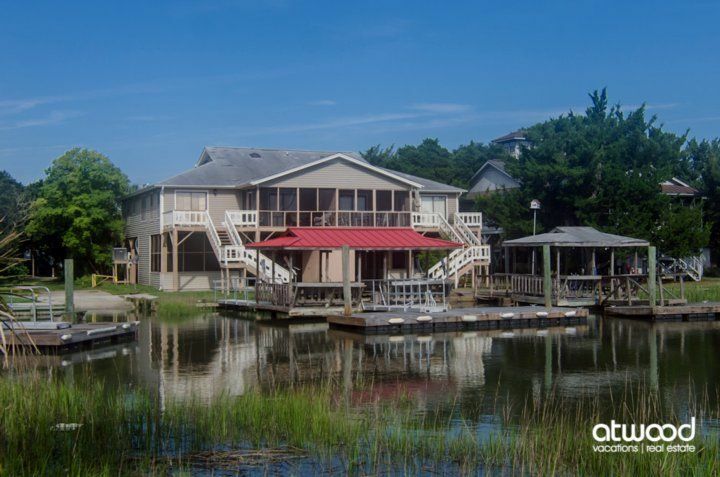 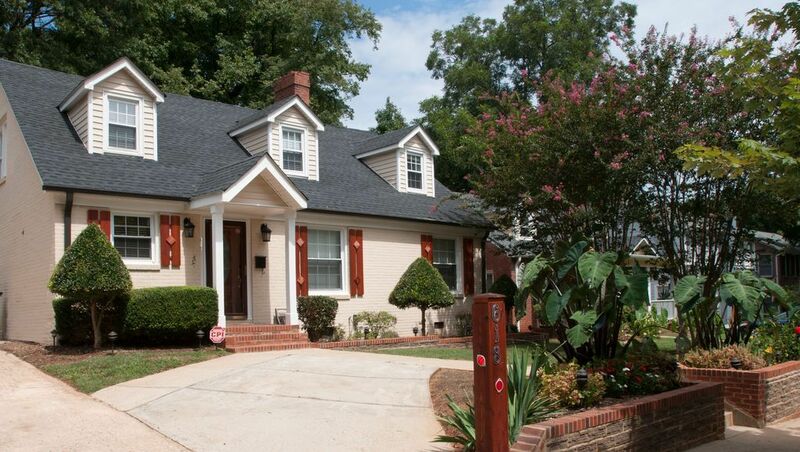 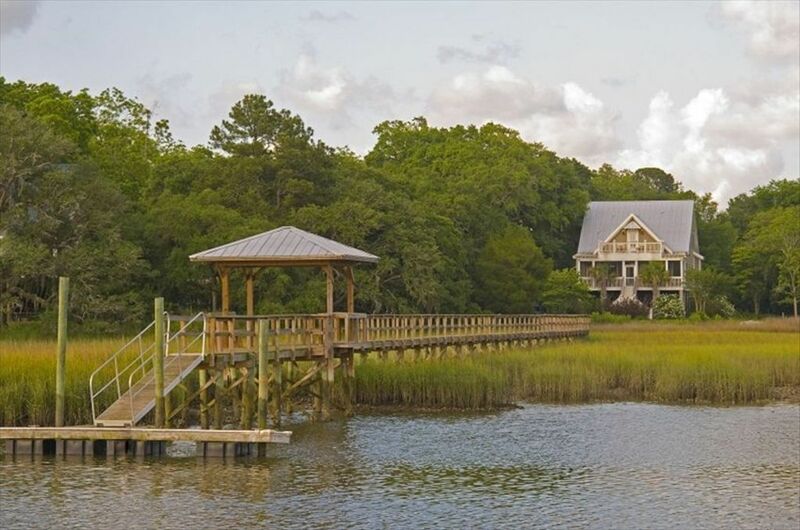 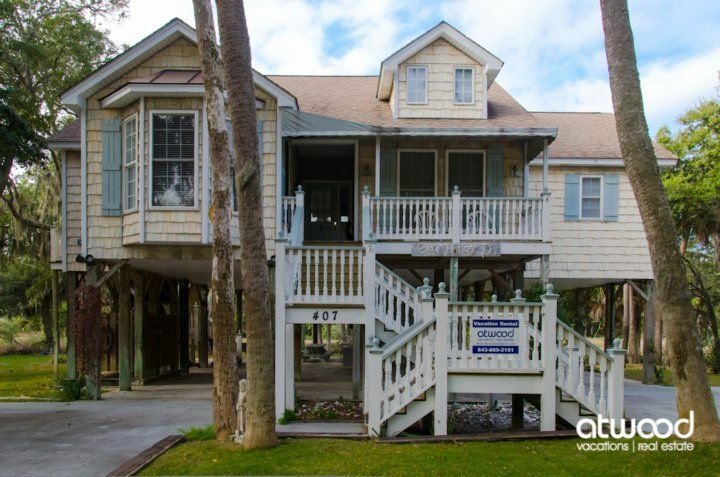 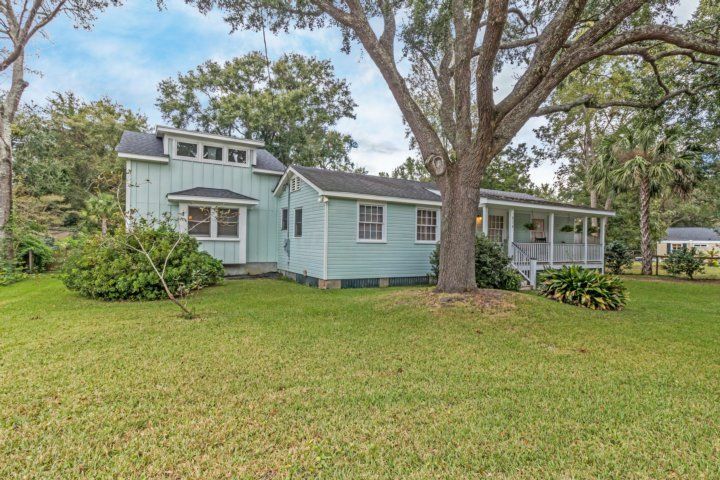 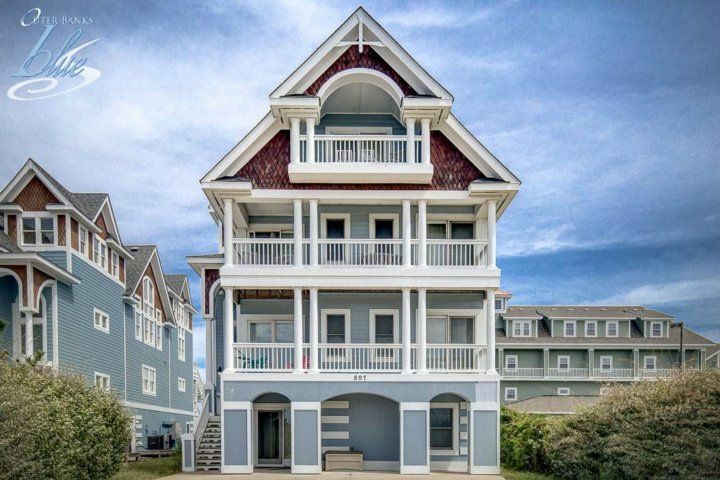 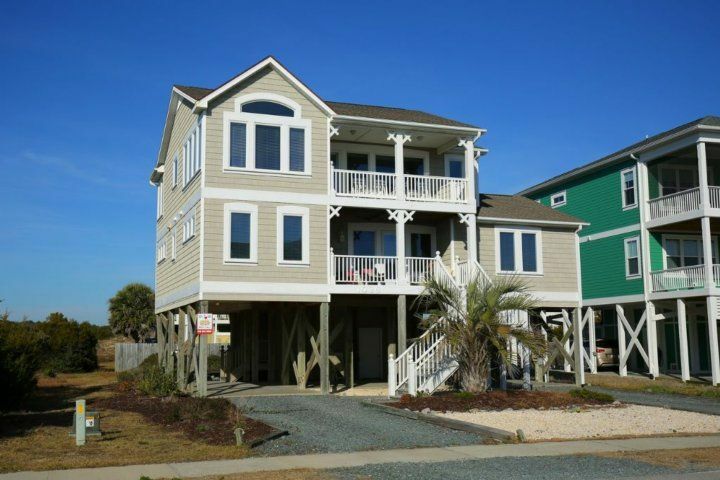 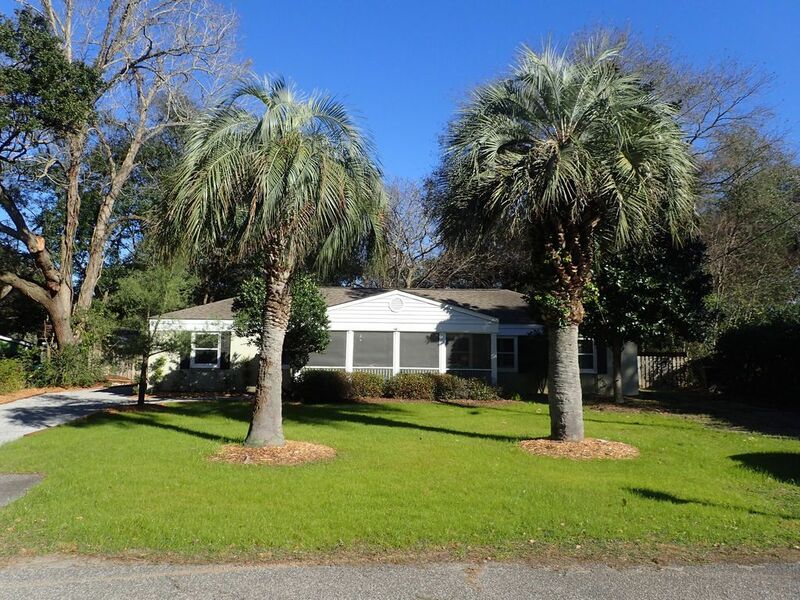 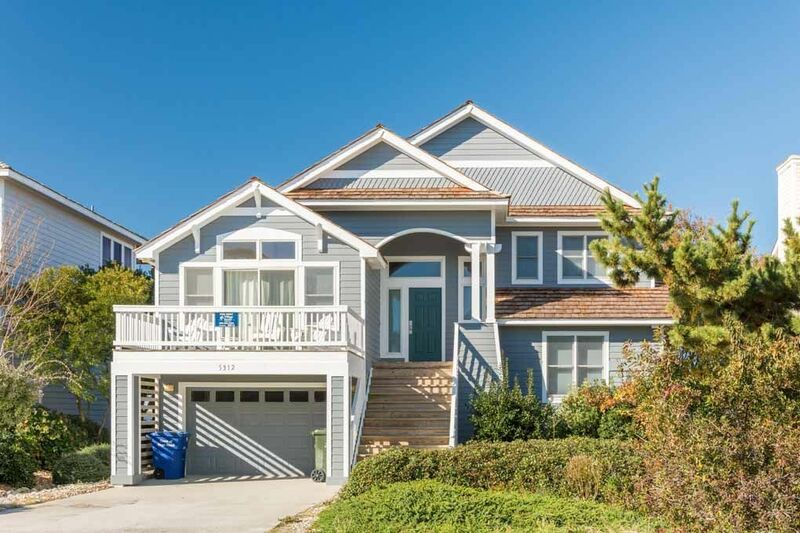 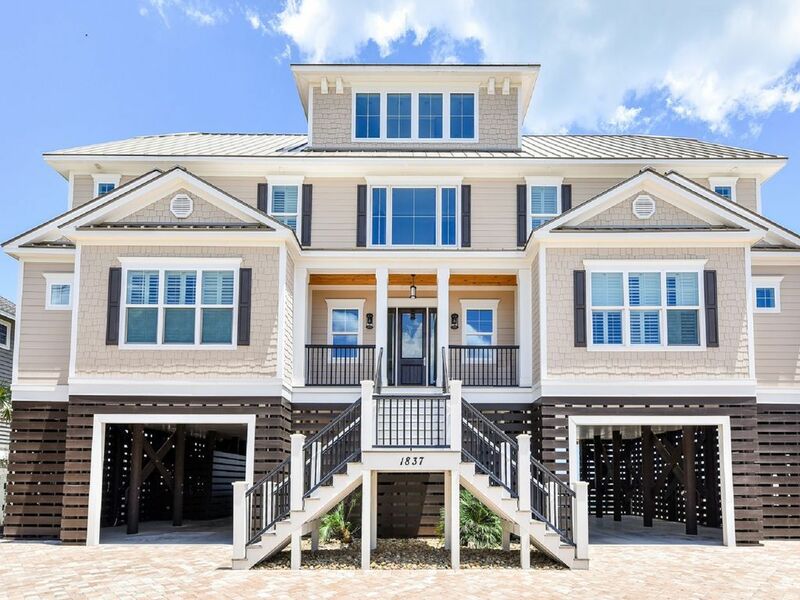 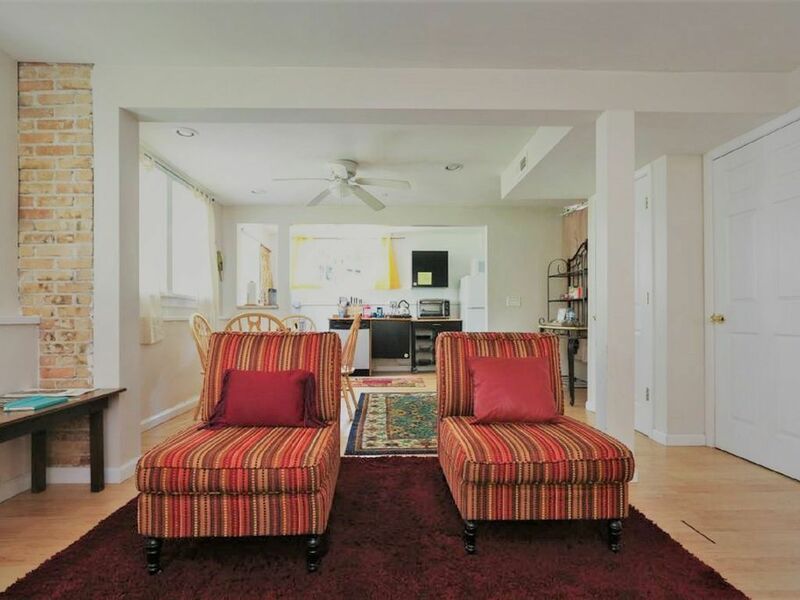 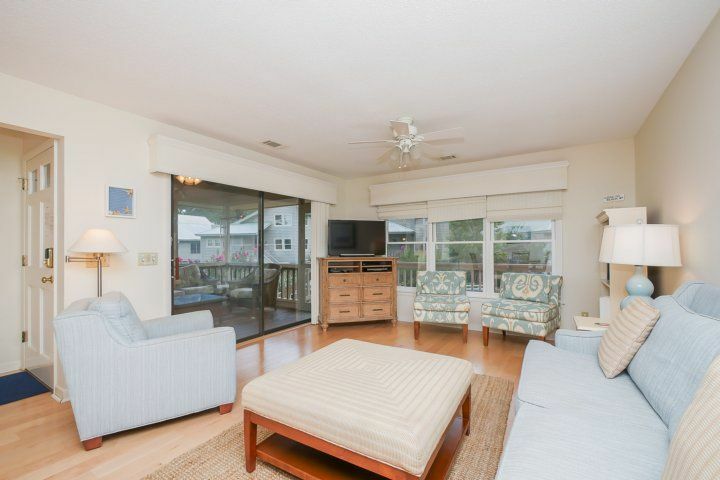 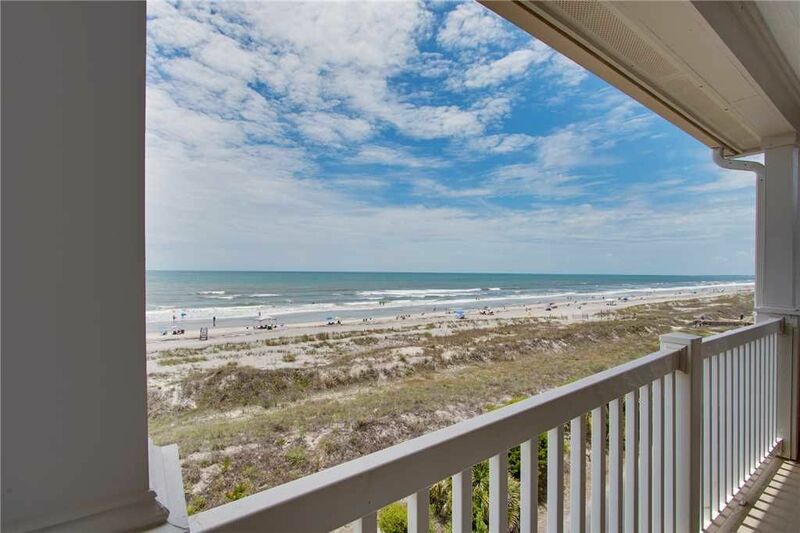 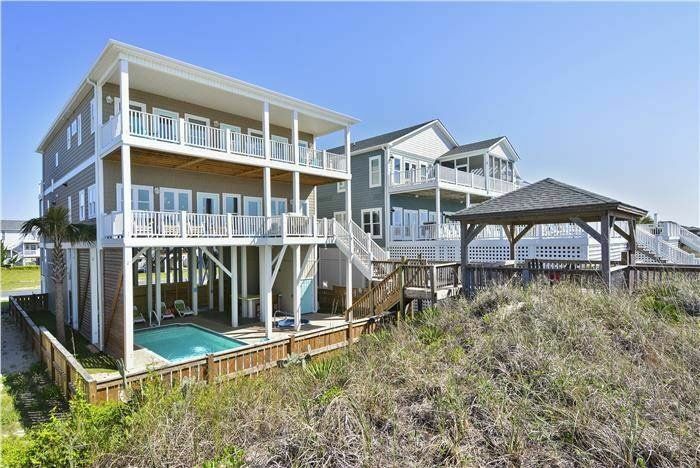 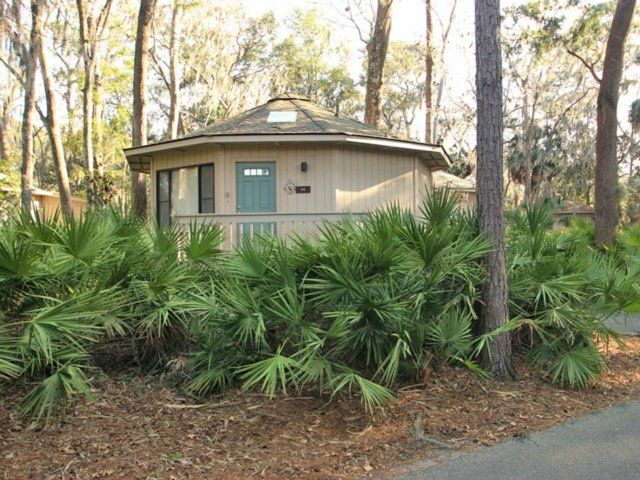 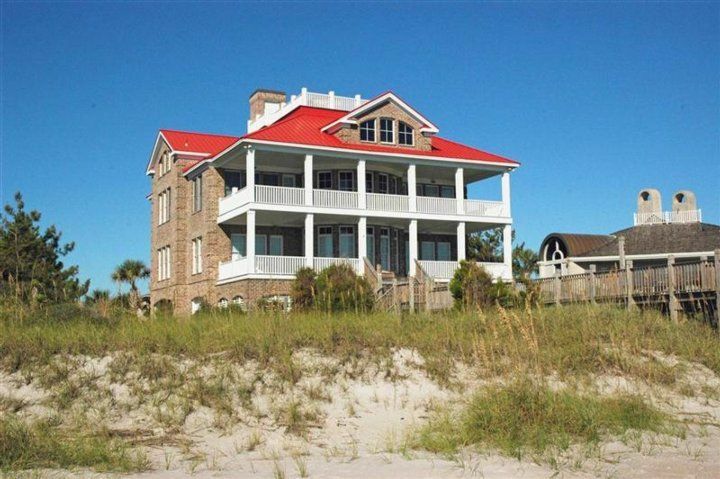 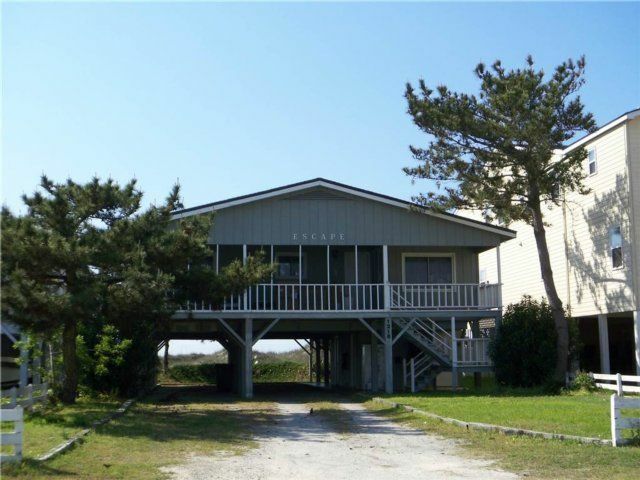 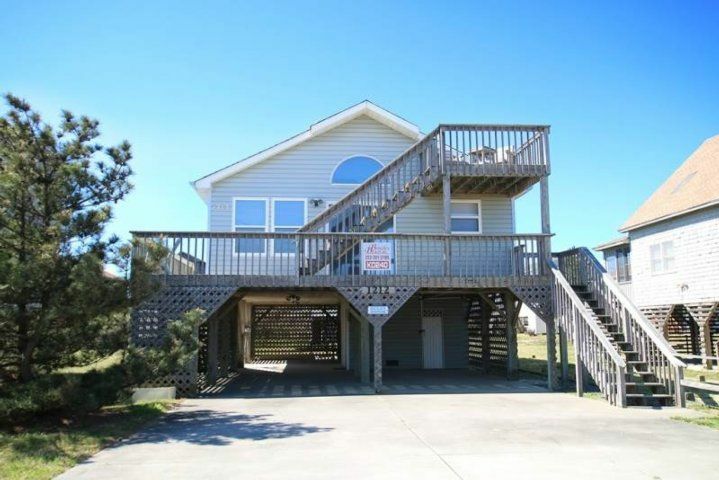 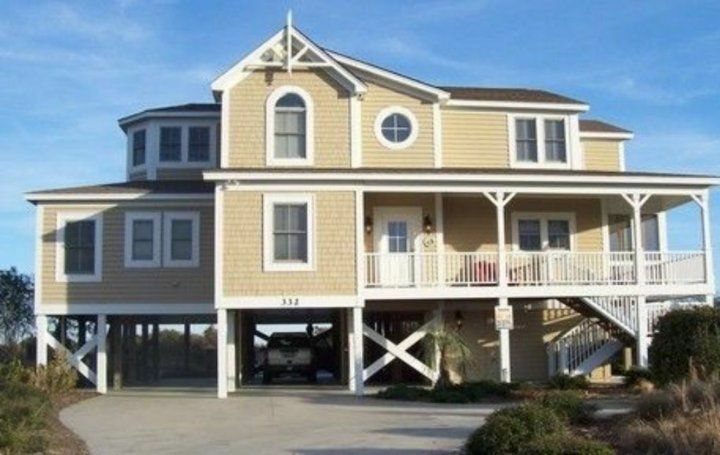 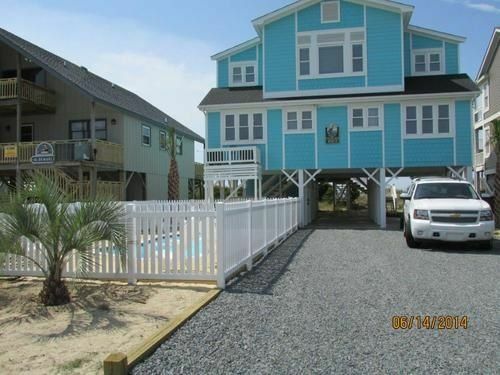 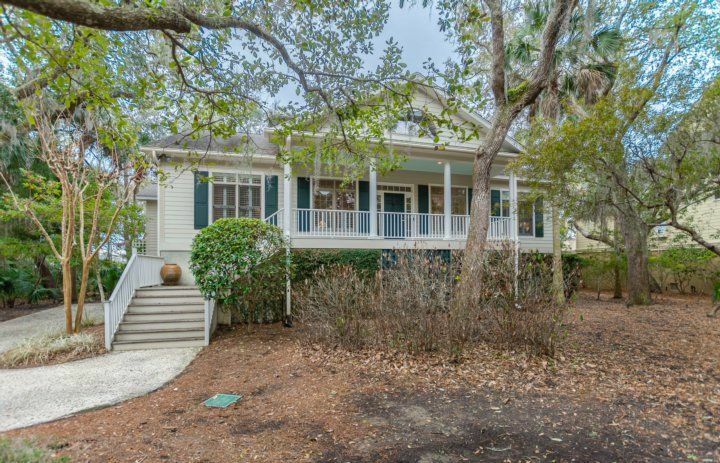 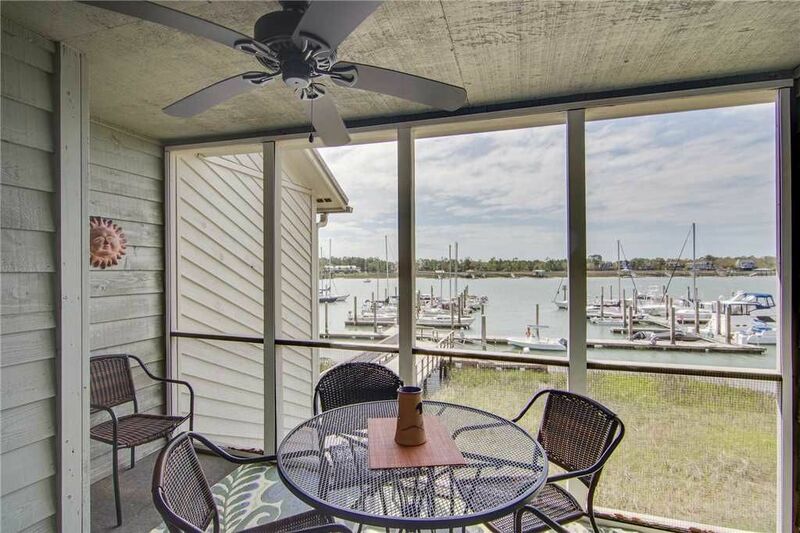 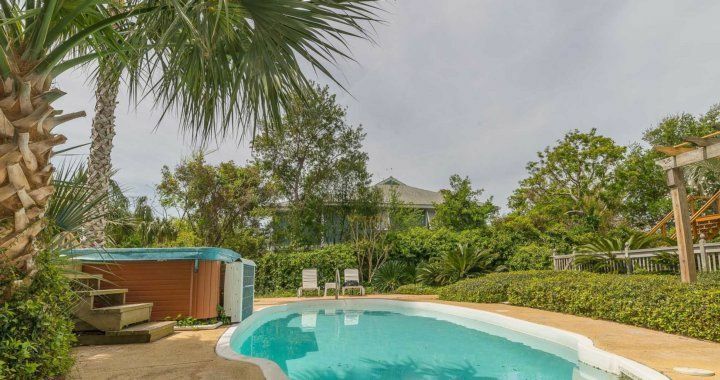 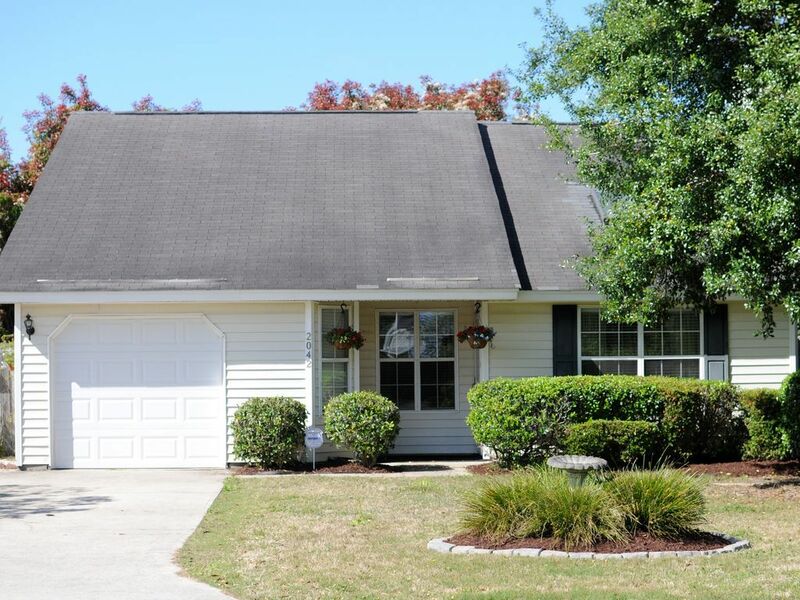 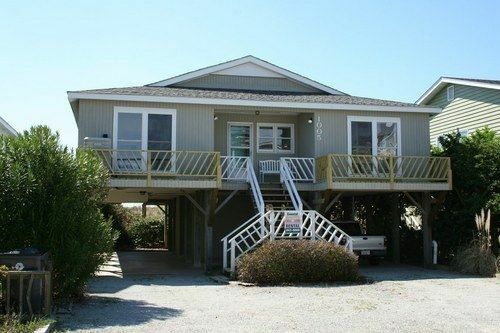 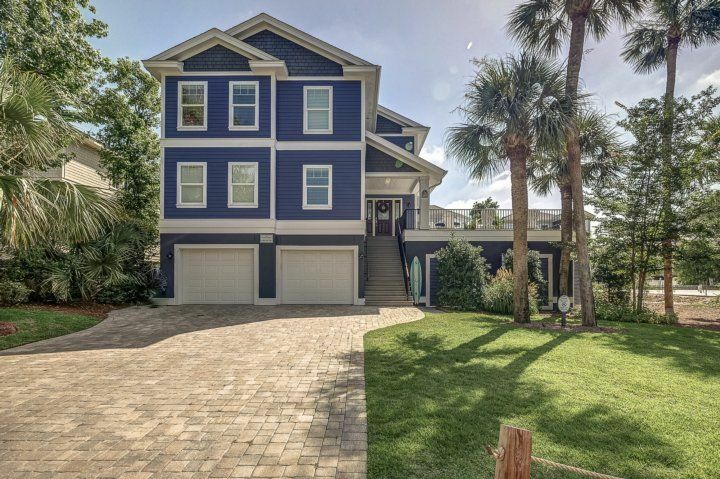 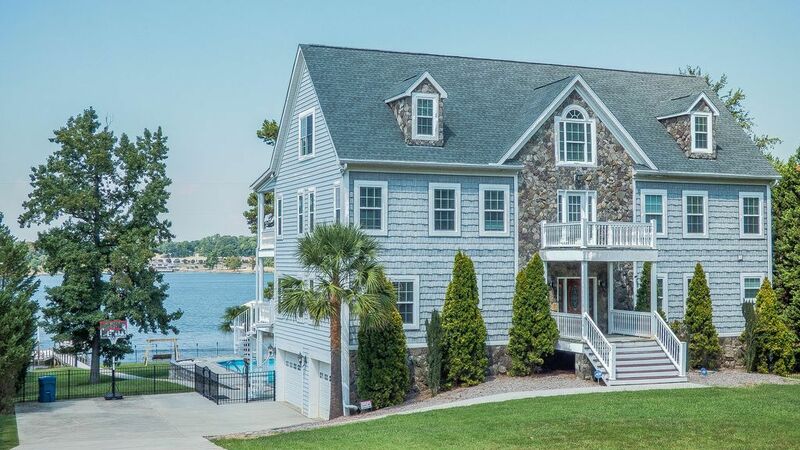 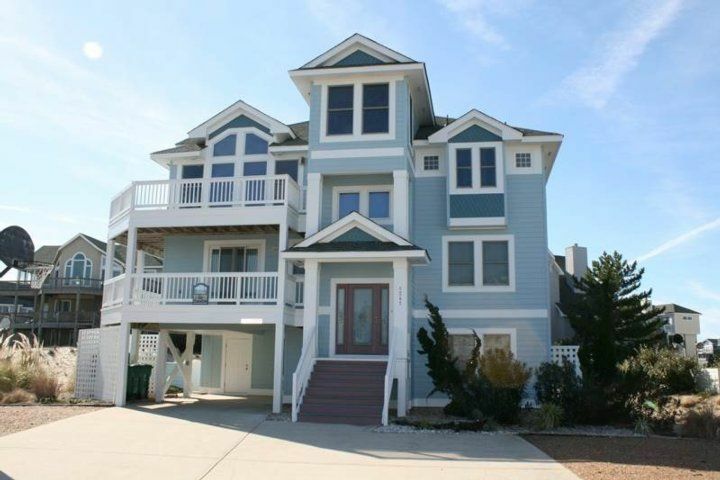 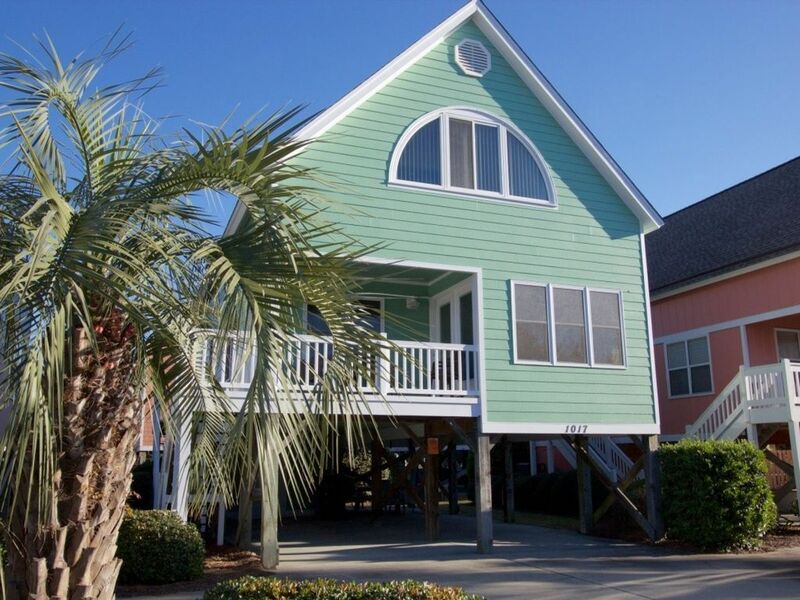 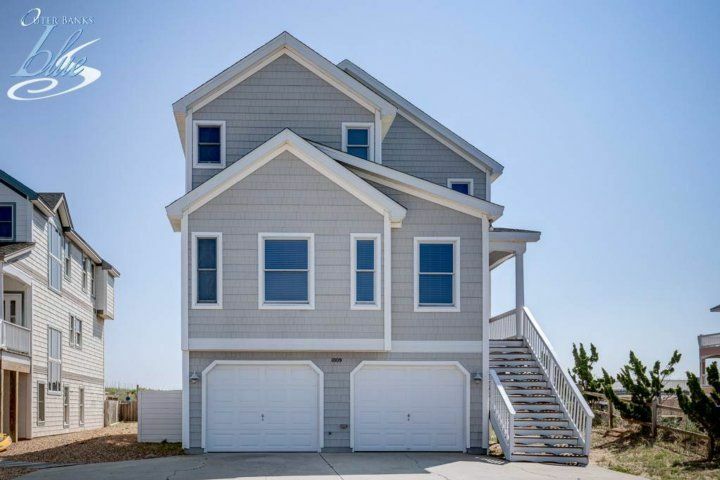 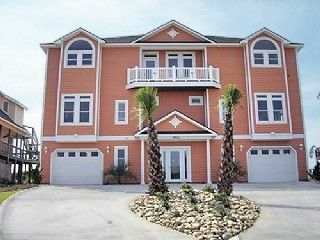 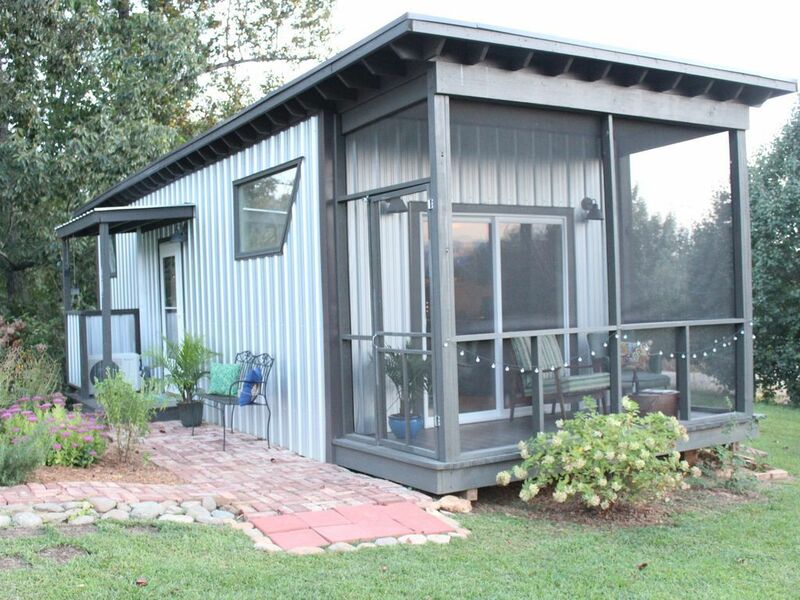 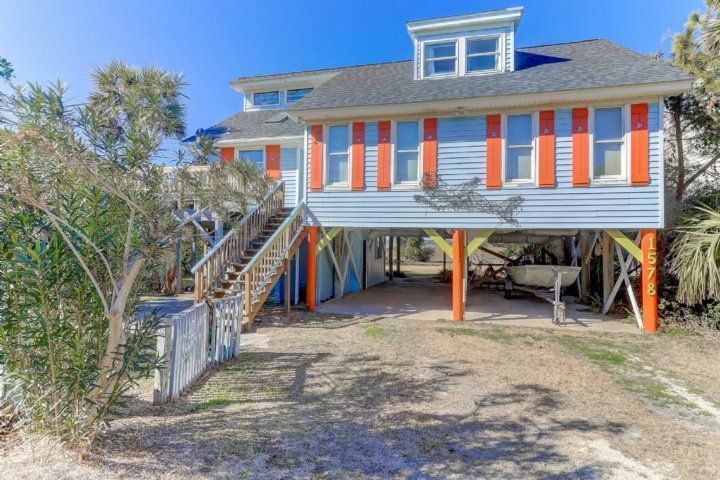 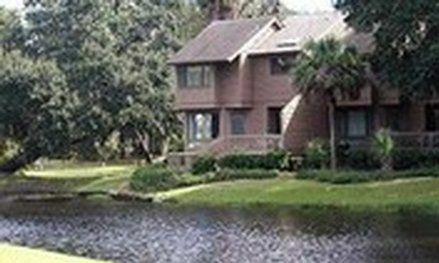 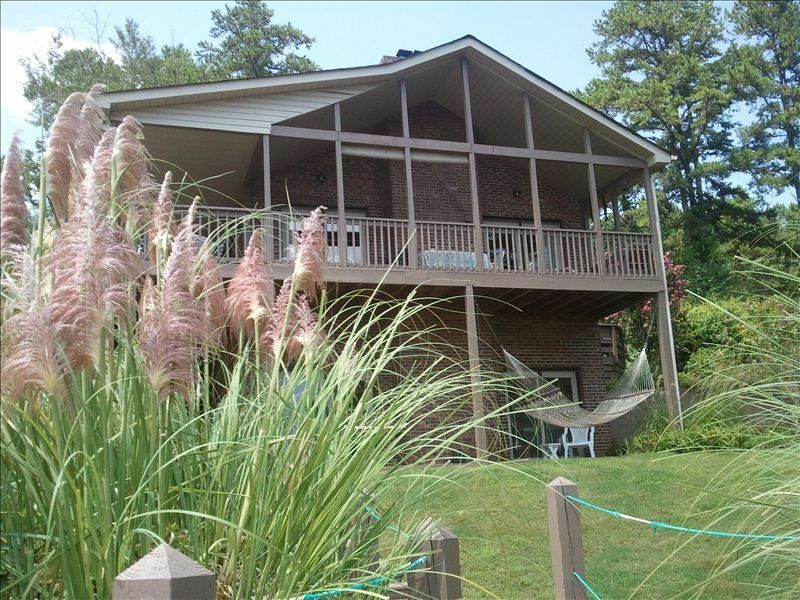 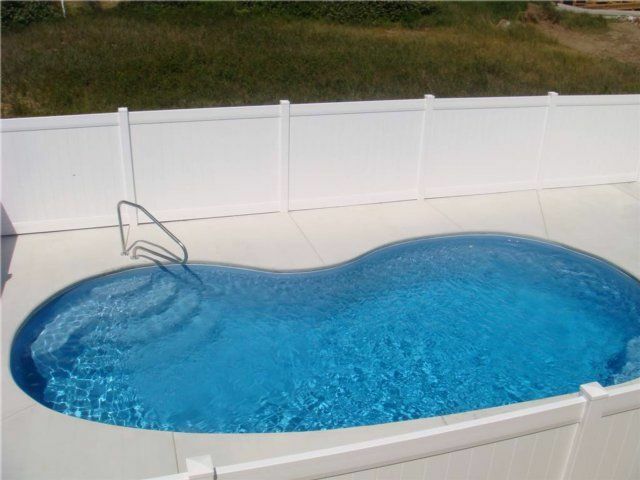 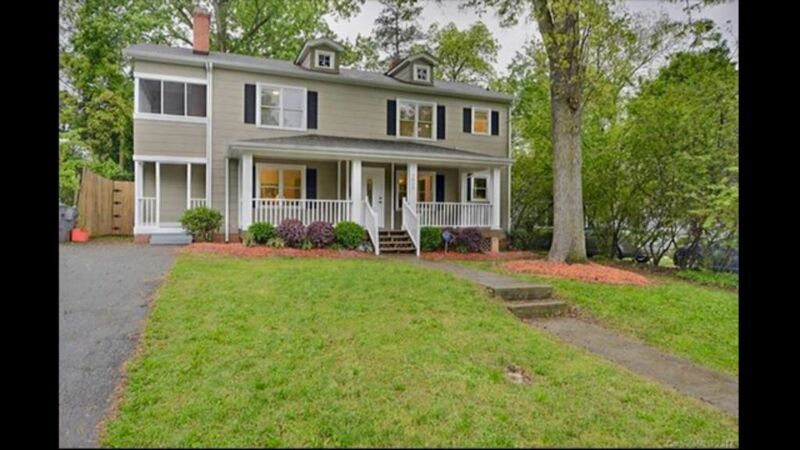 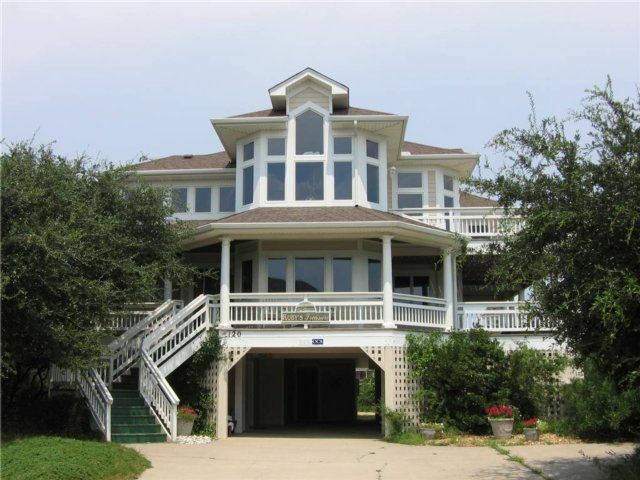 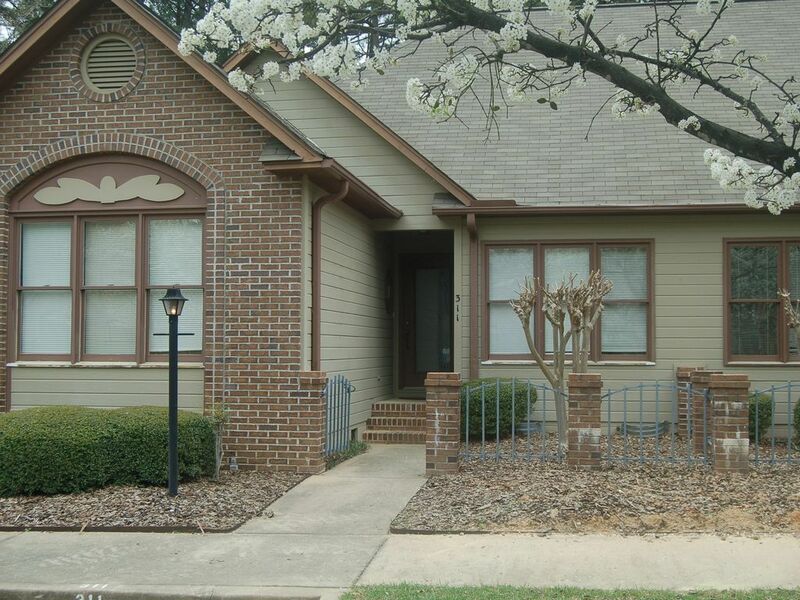 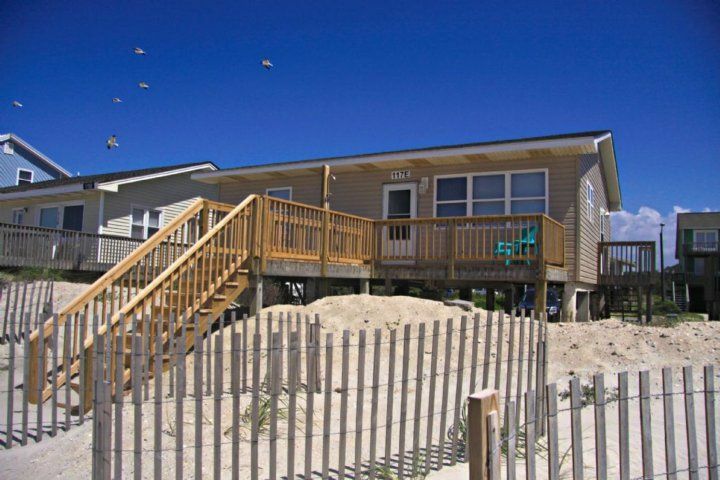 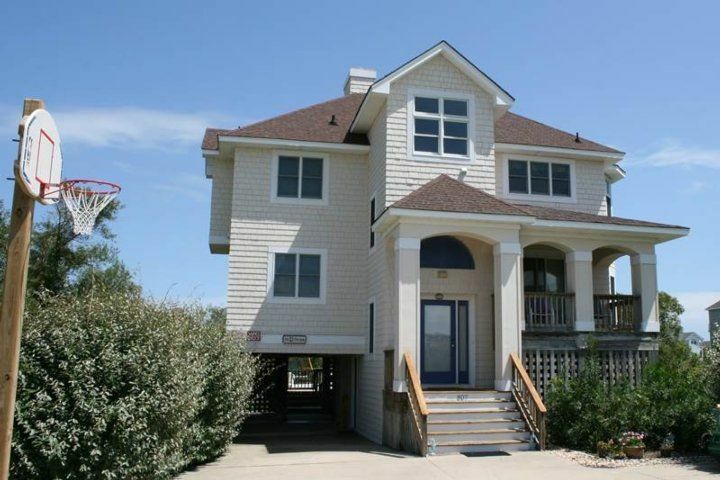 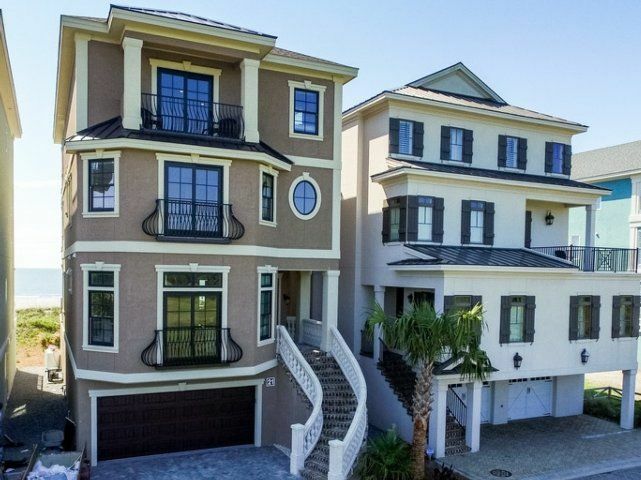 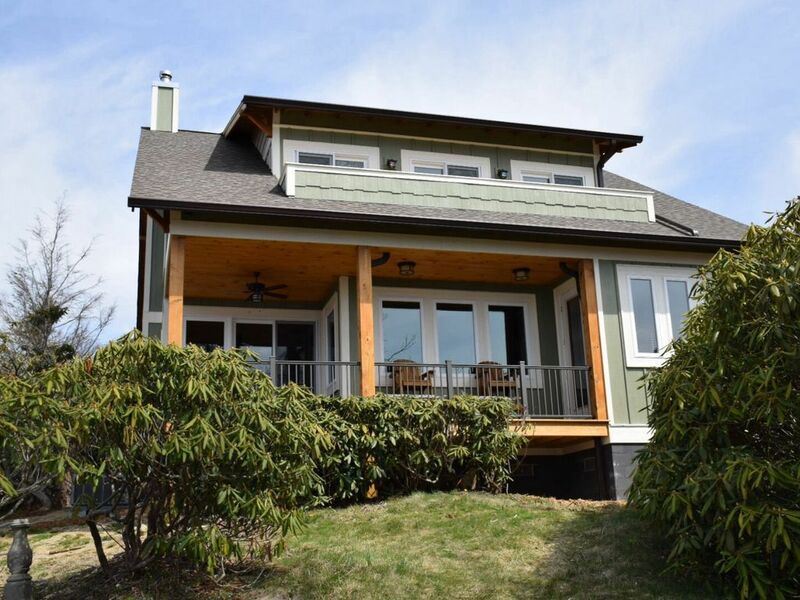 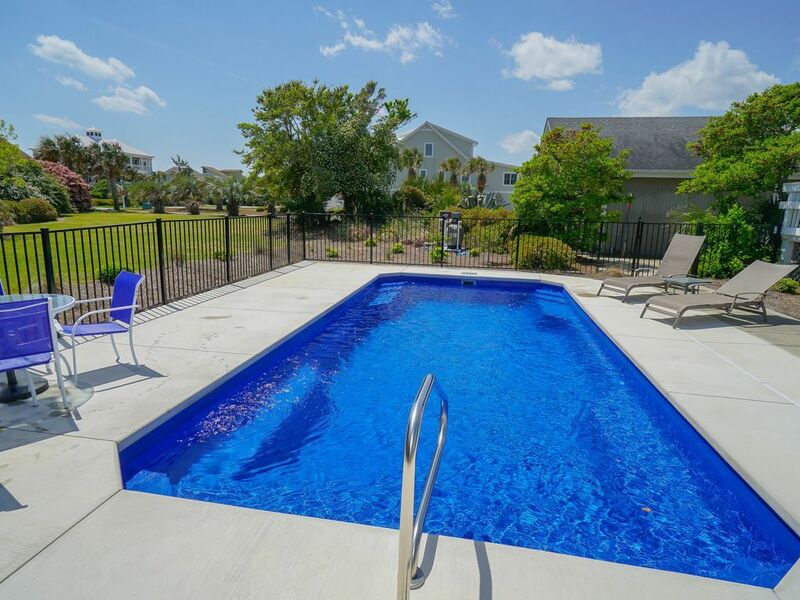 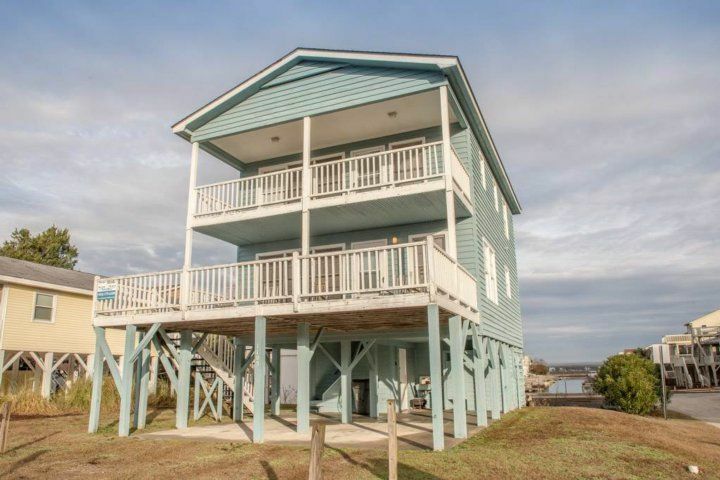 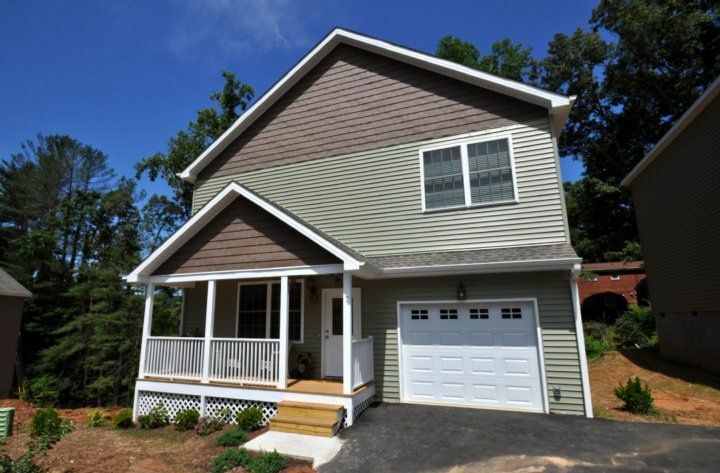 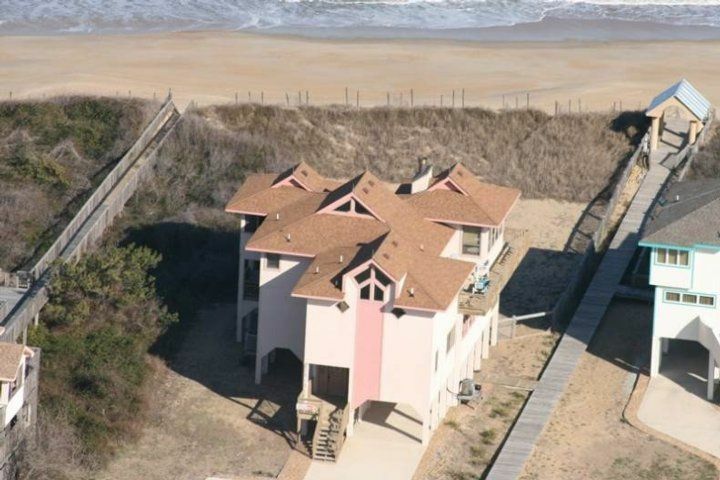 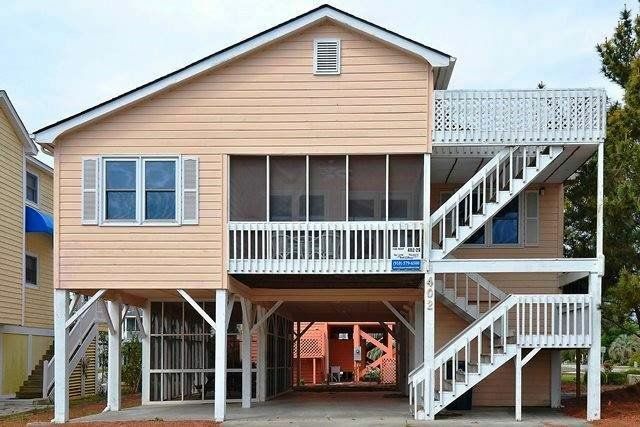 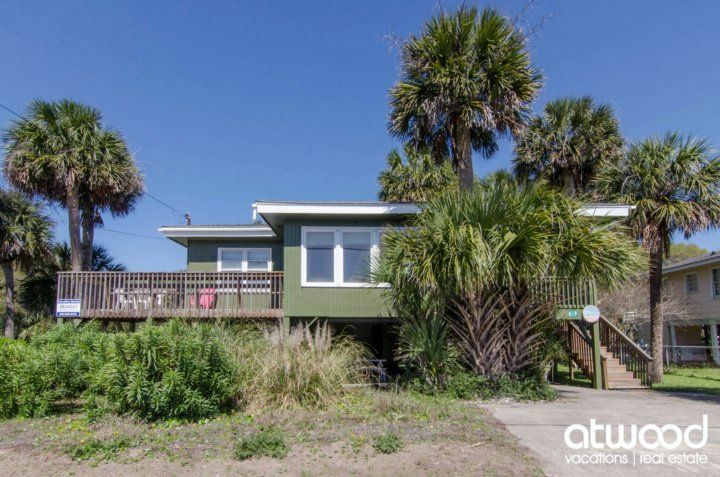 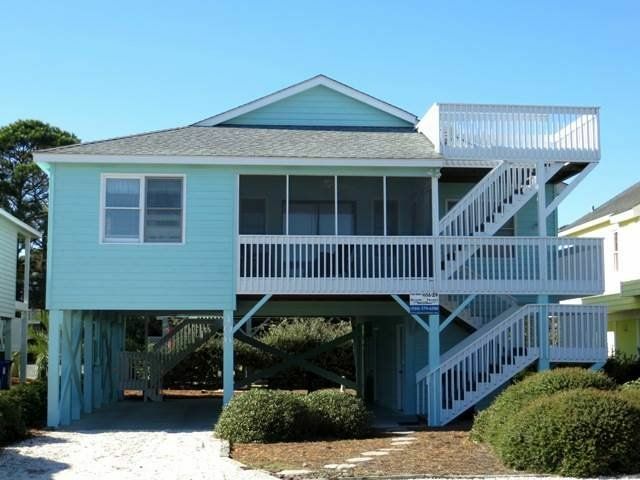 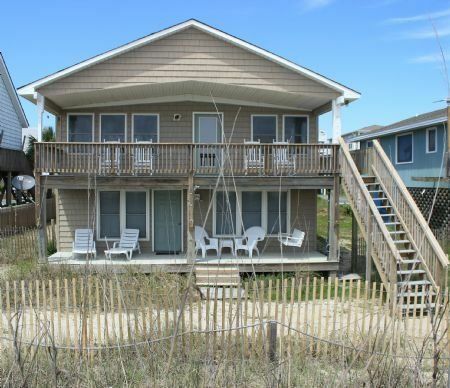 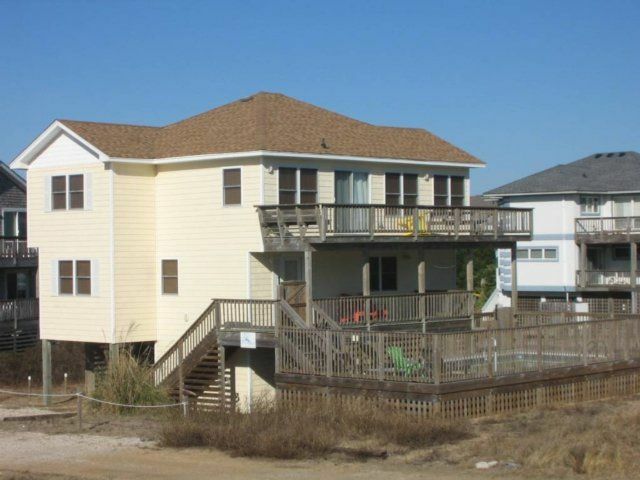 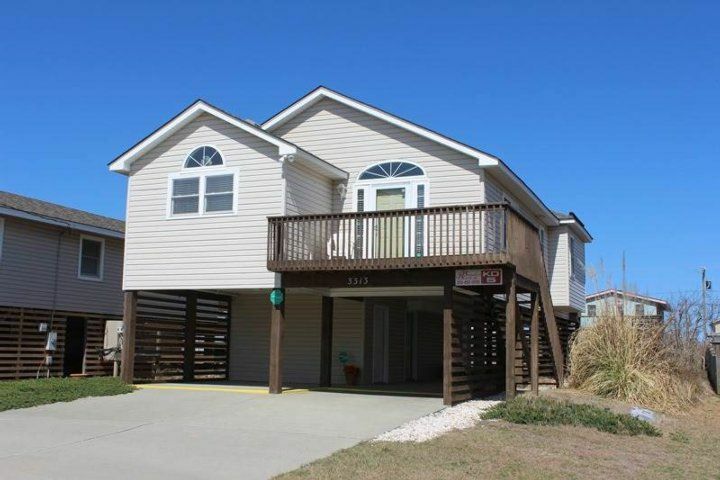 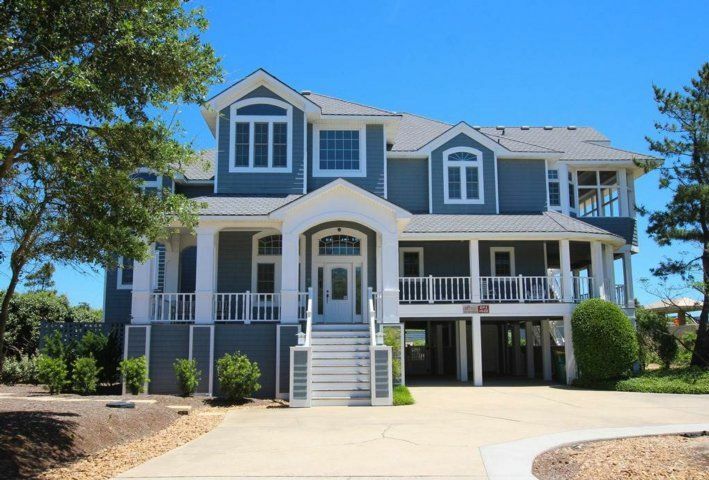 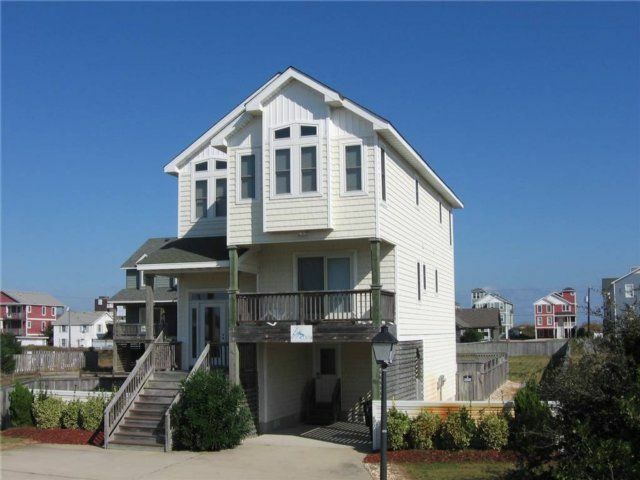 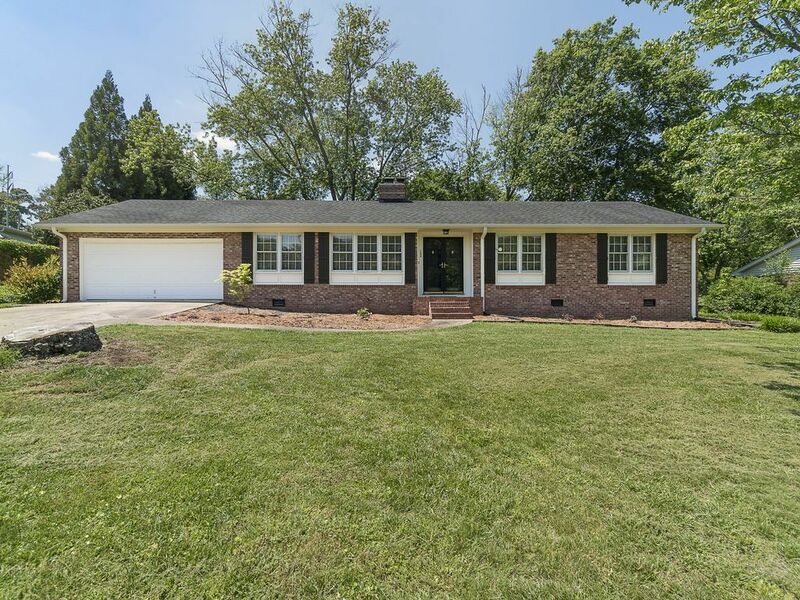 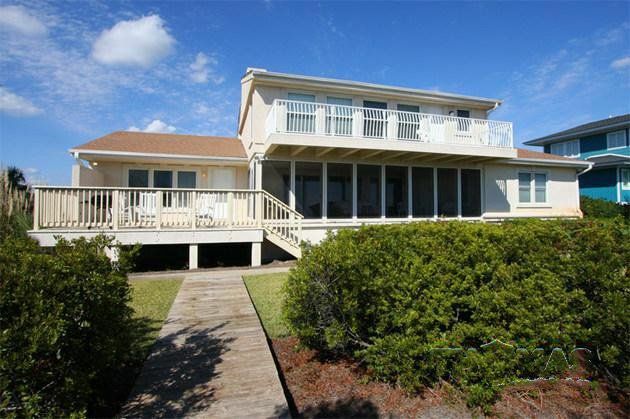 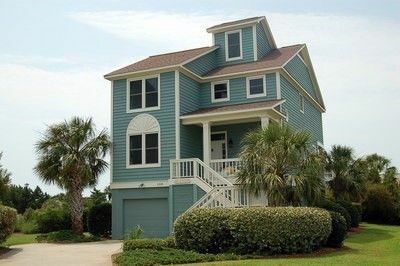 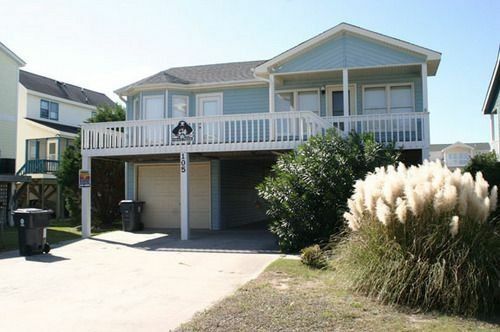 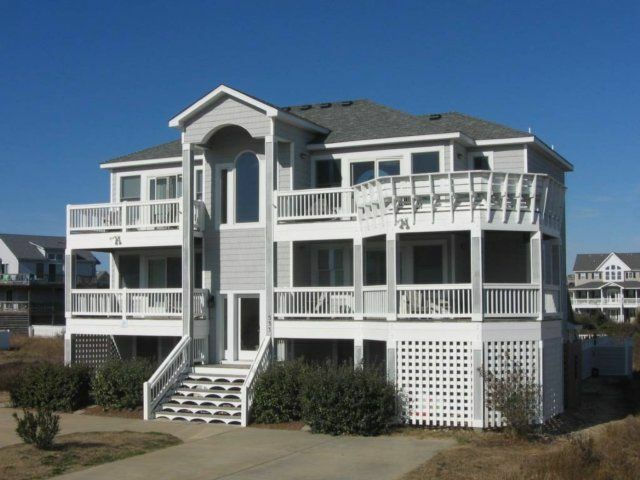 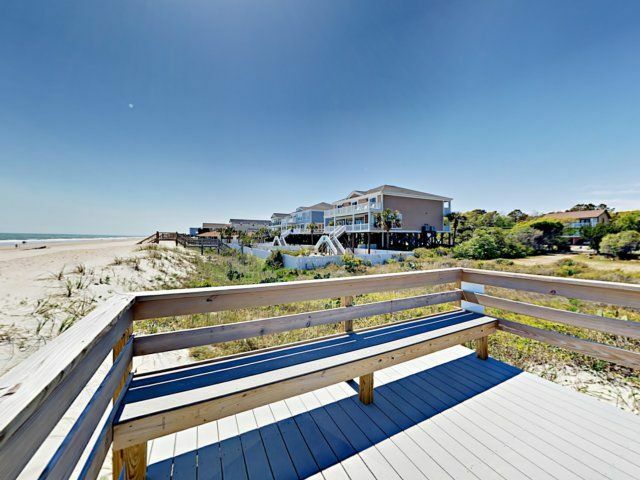 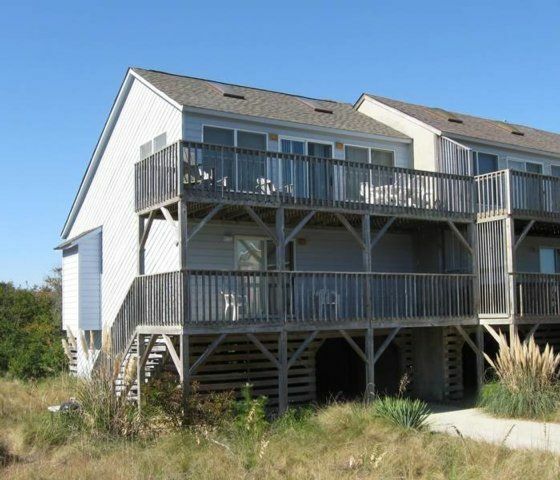 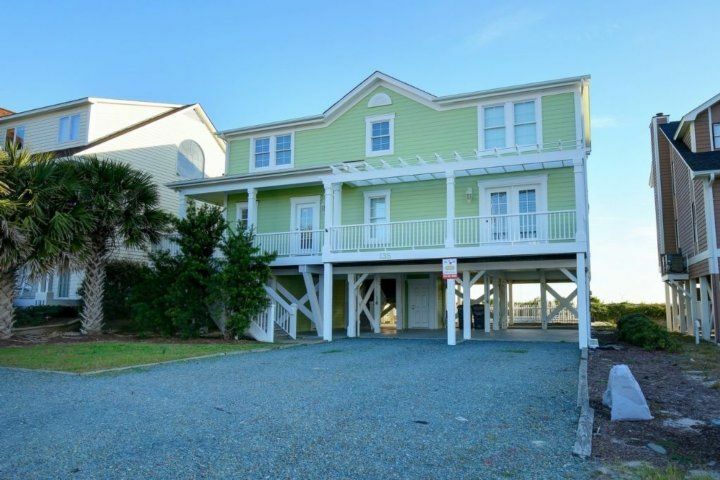 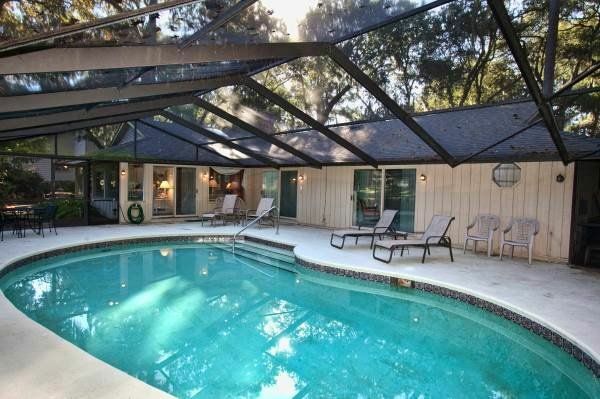 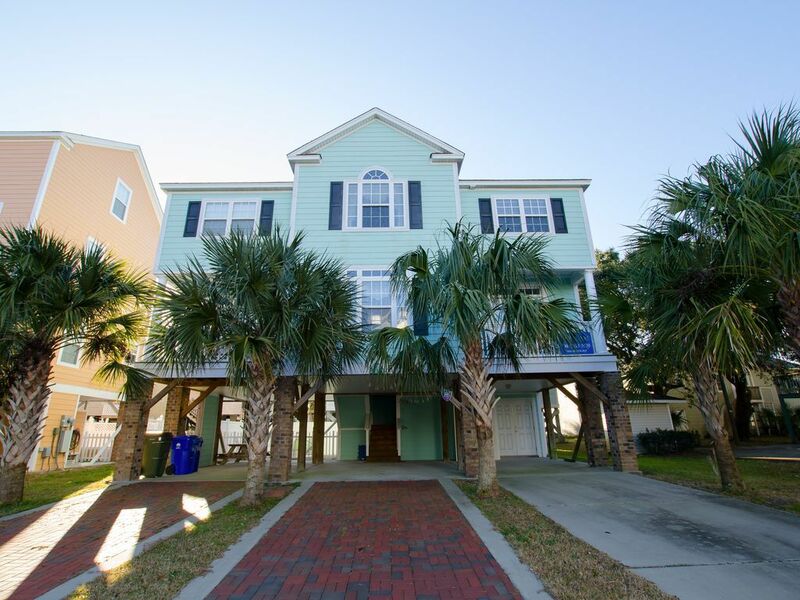 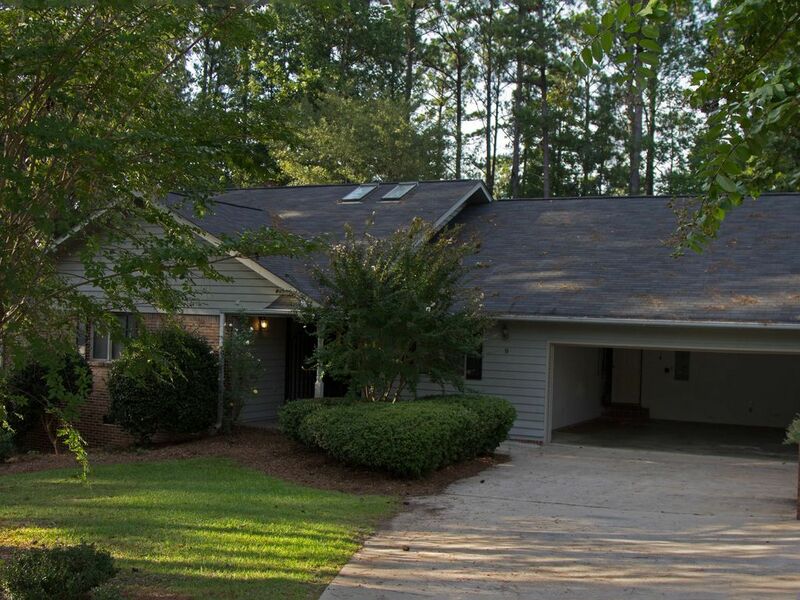 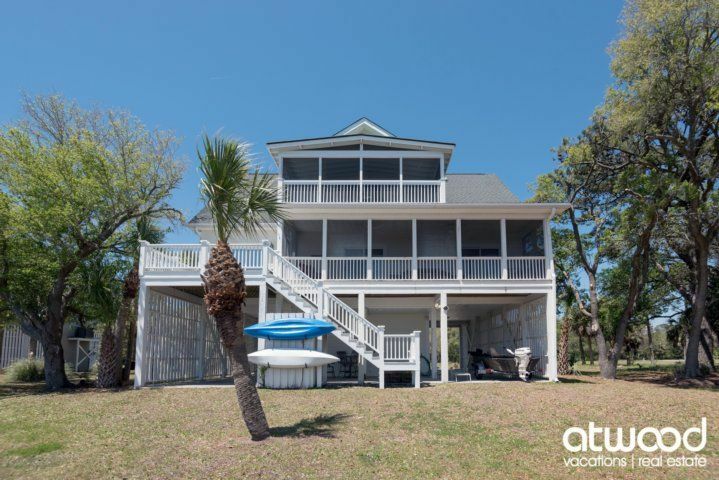 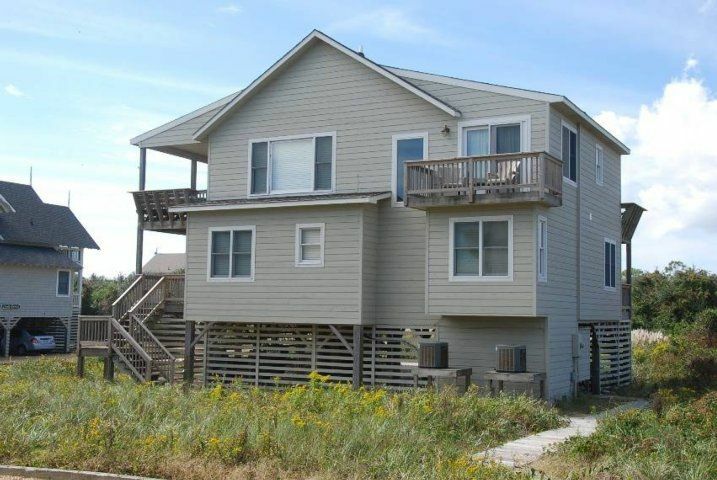 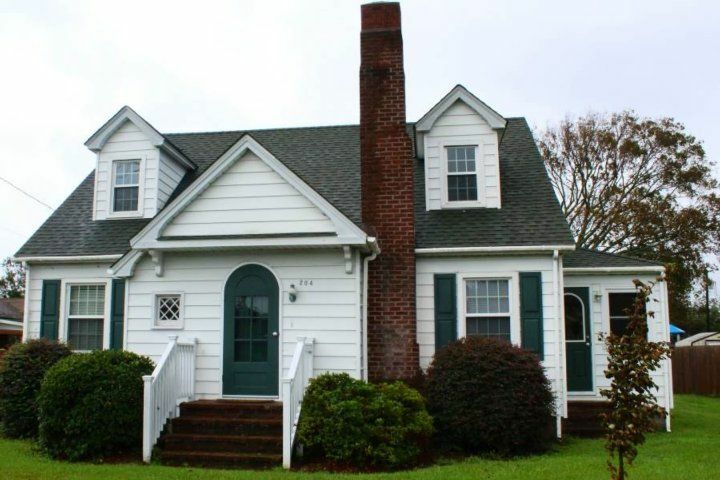 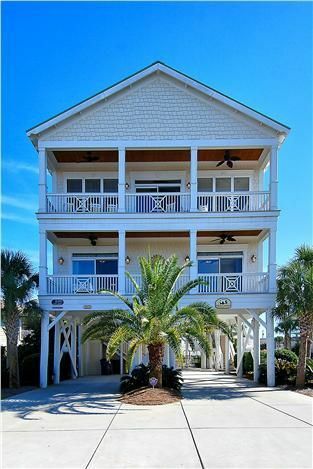 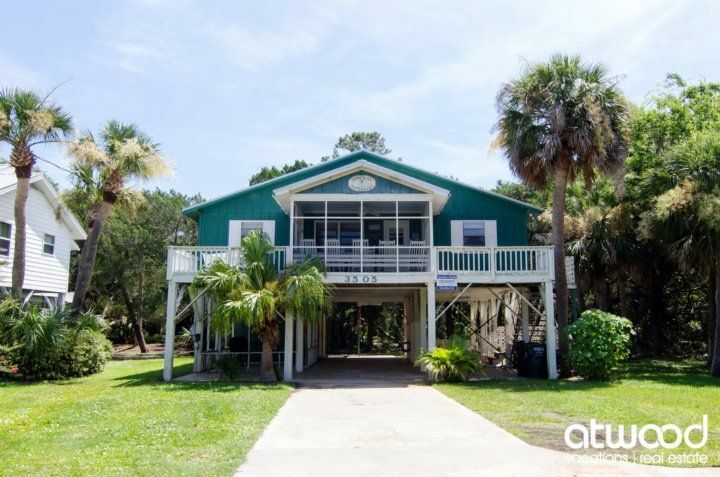 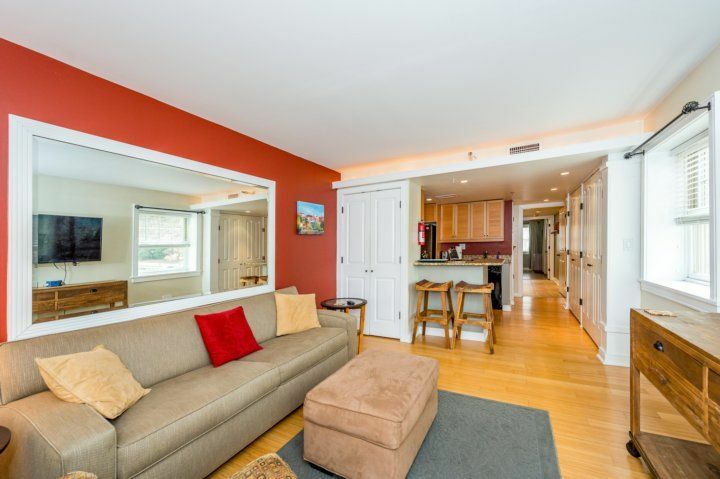 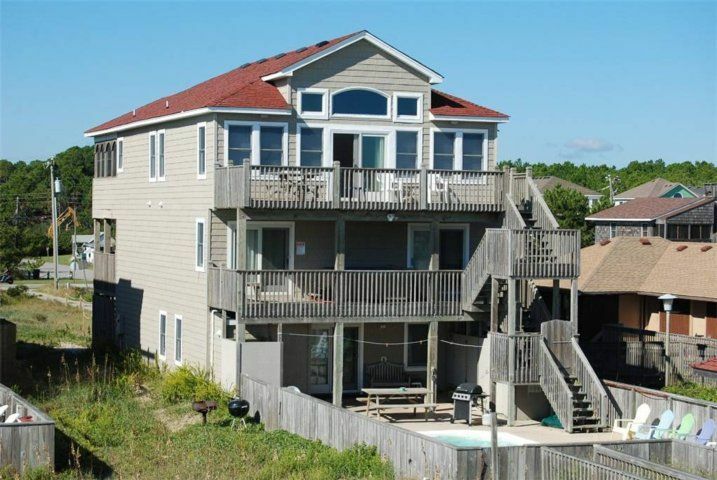 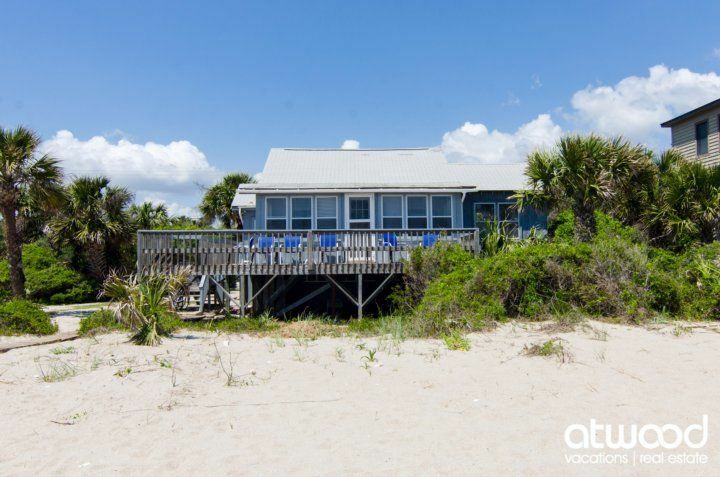 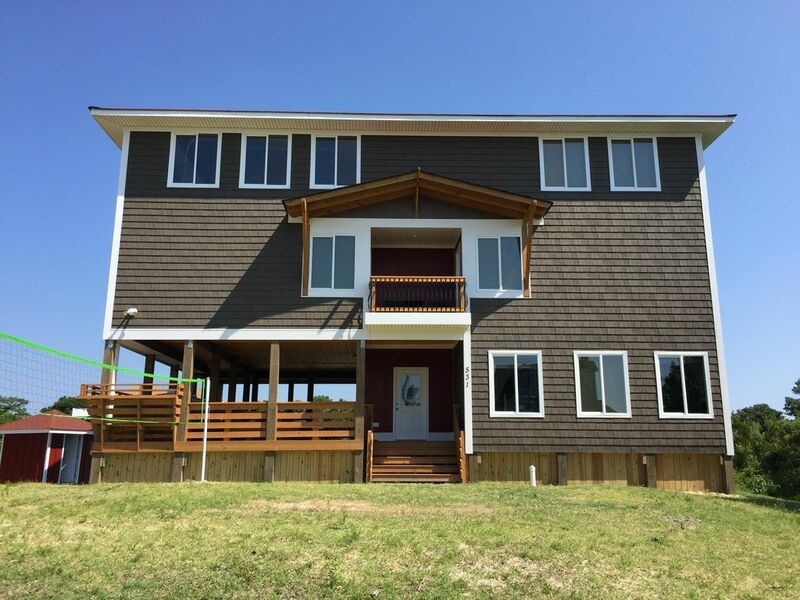 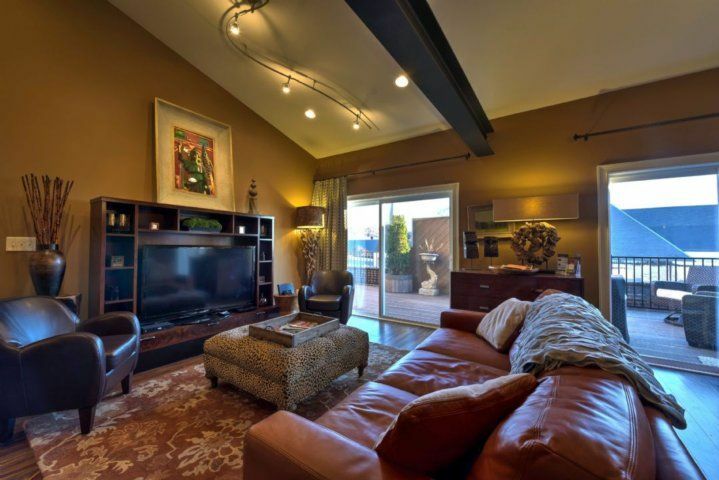 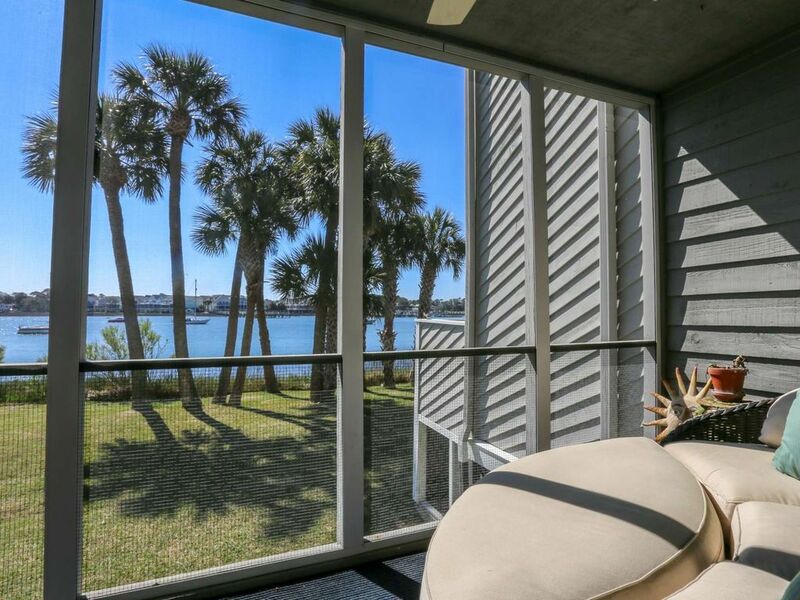 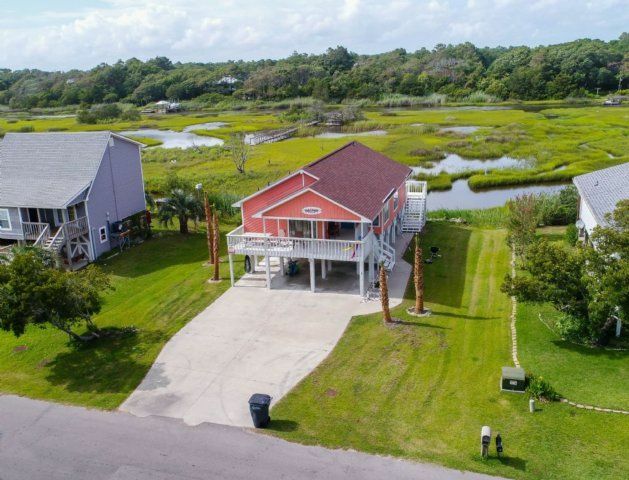 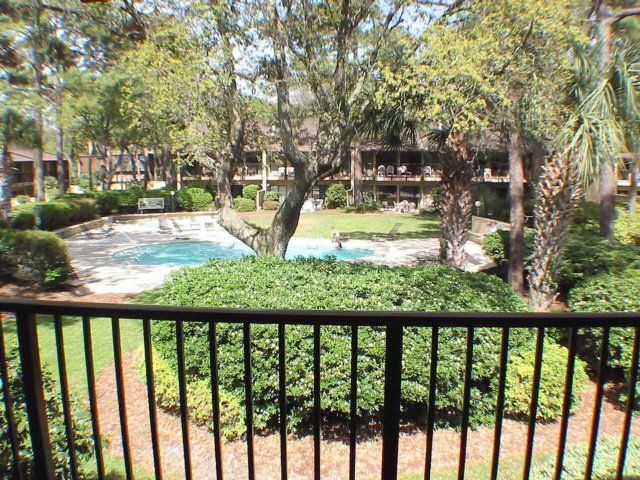 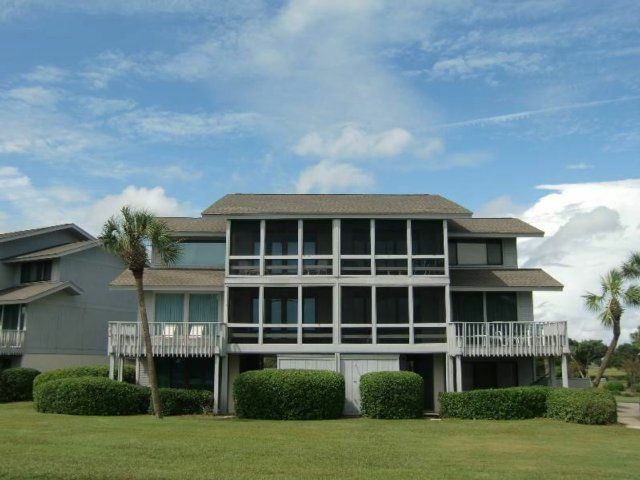 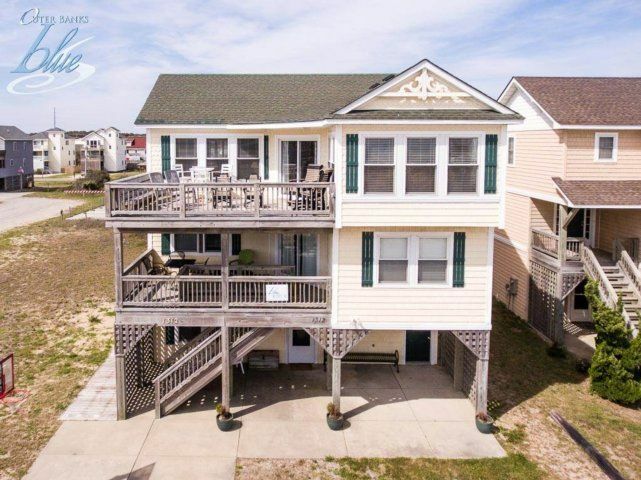 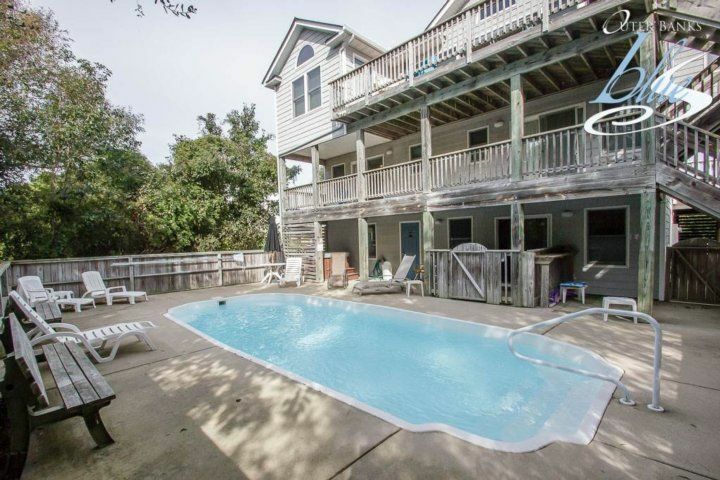 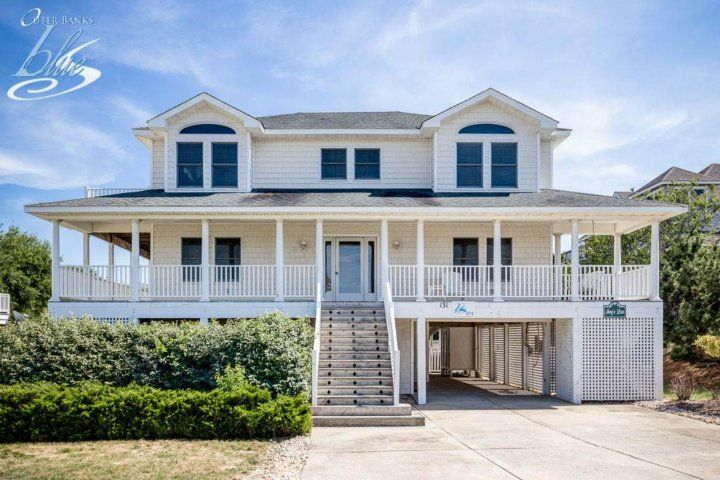 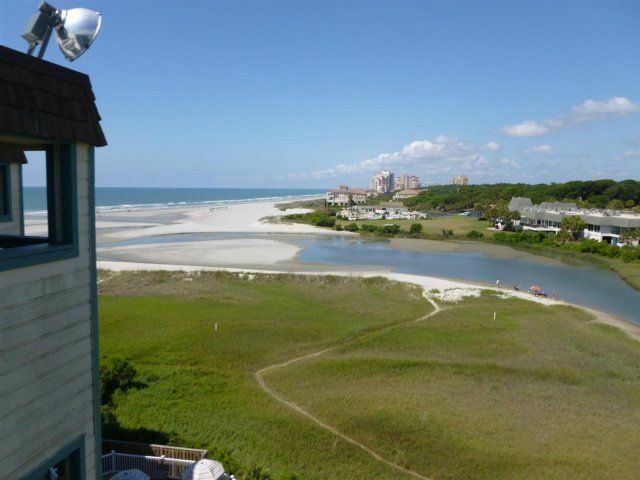 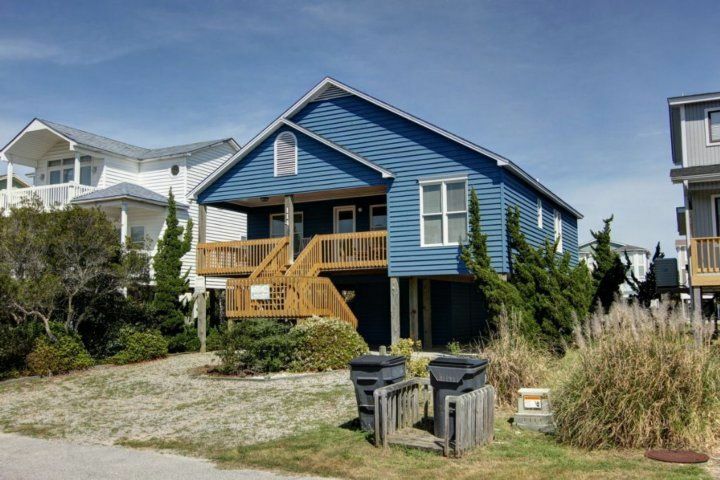 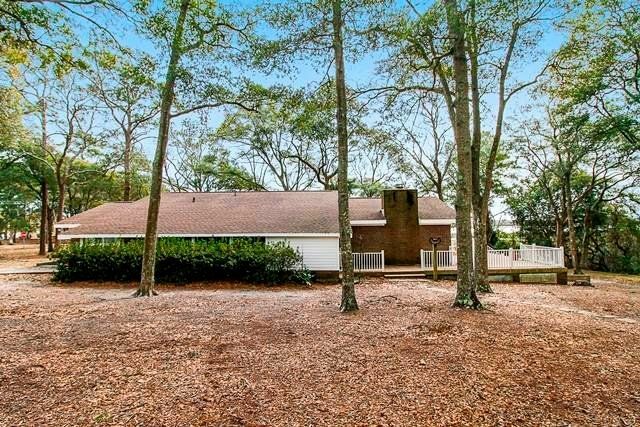 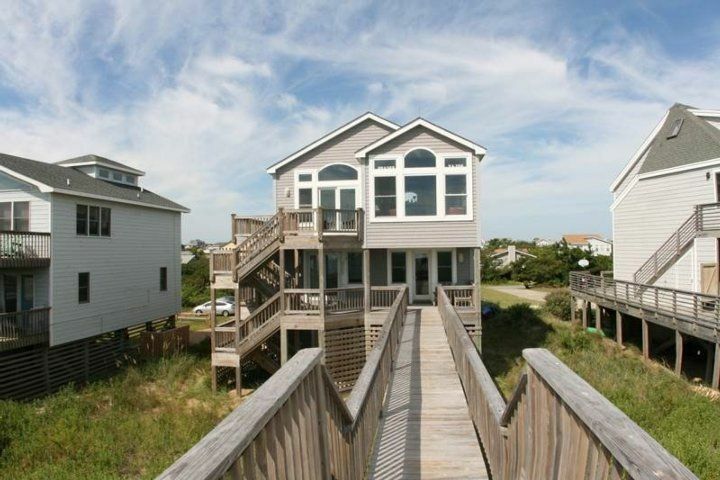 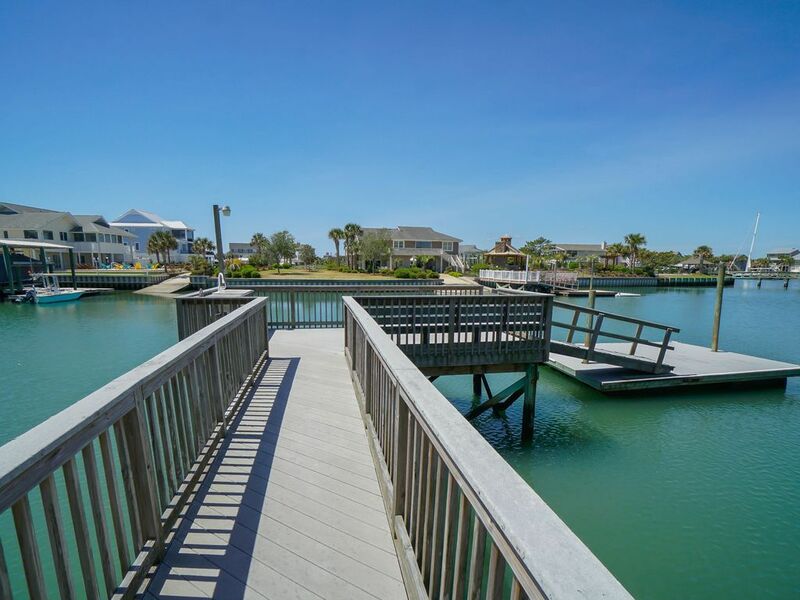 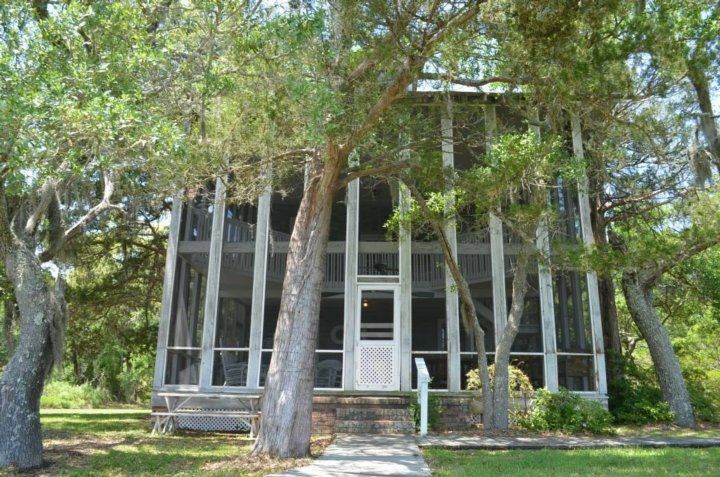 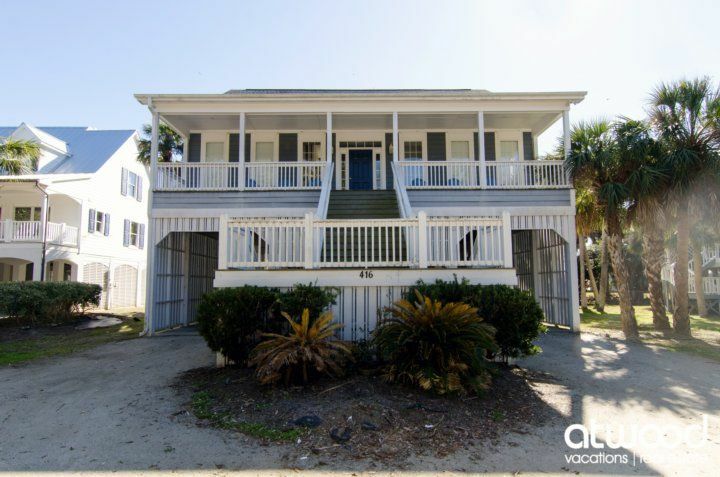 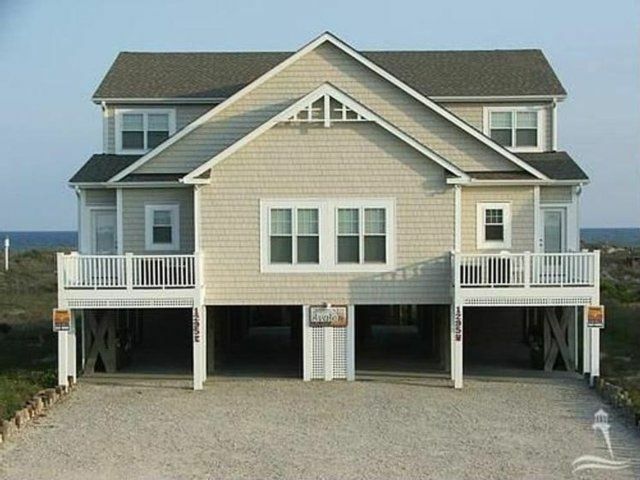 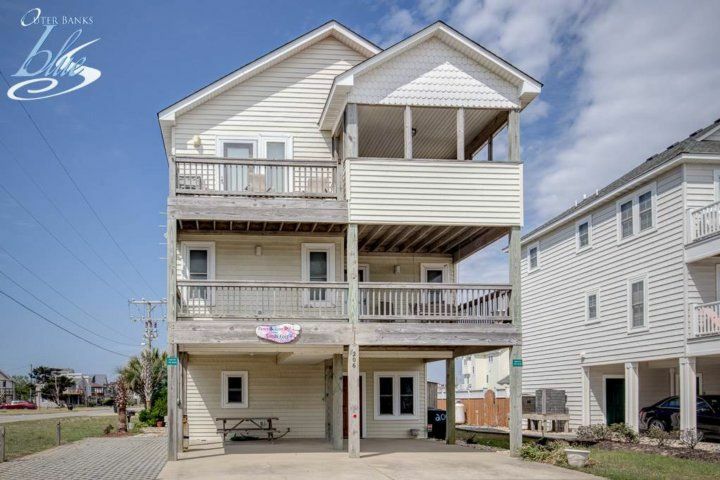 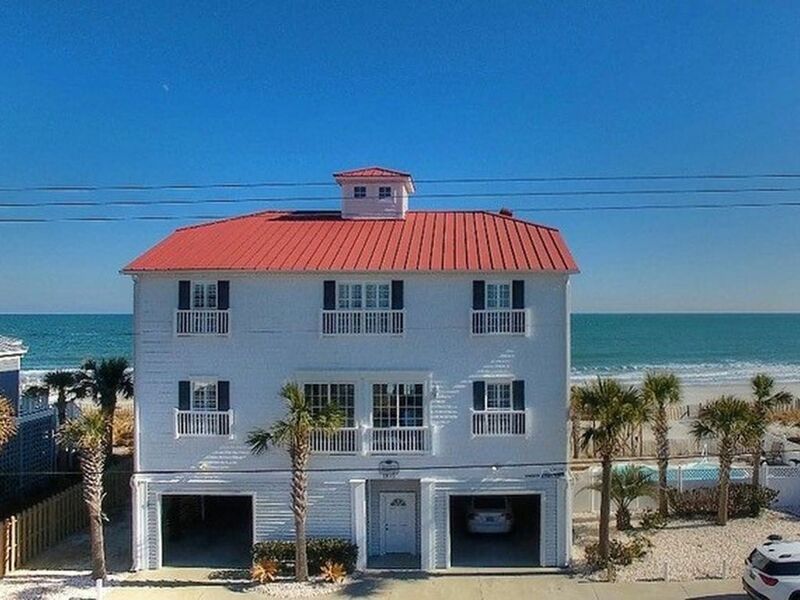 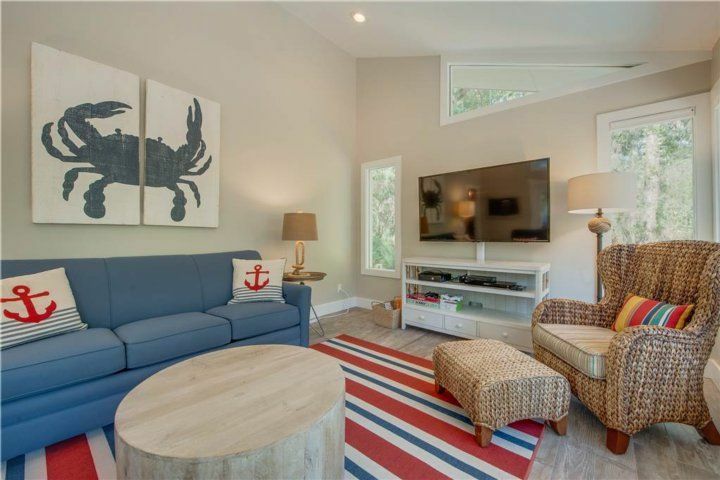 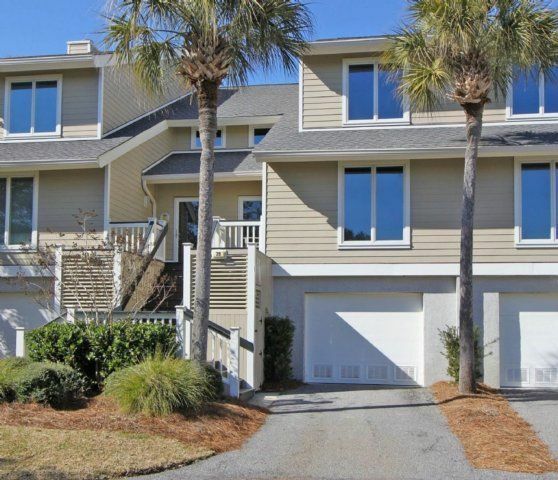 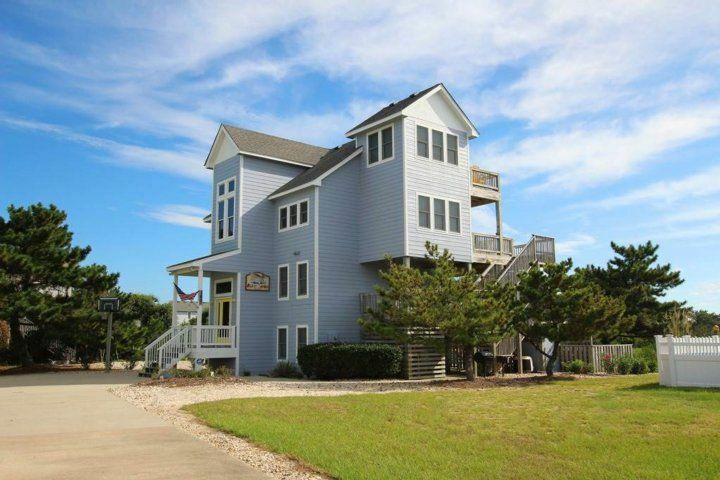 Spanning 2,750 square feet, this spacious home includes four bedrooms that sleep 10 total. 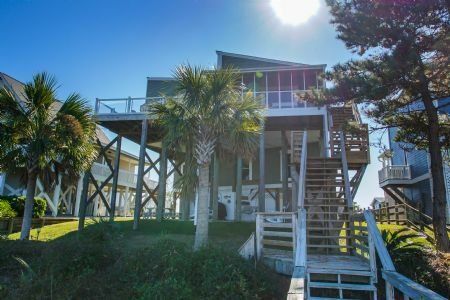 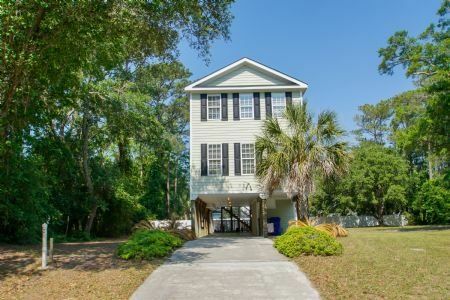 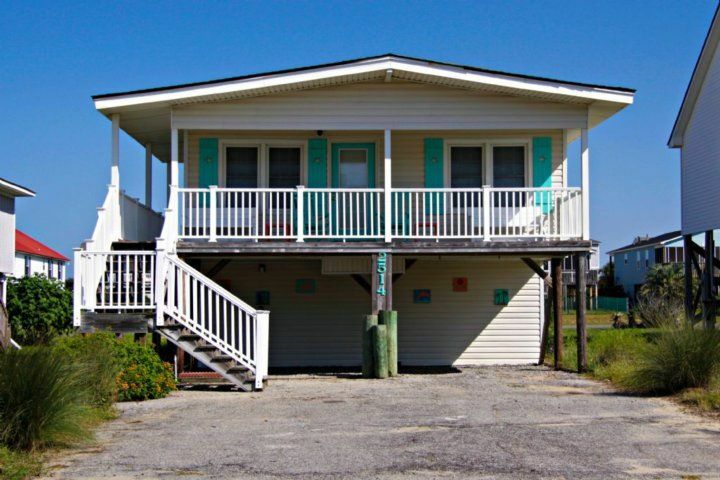 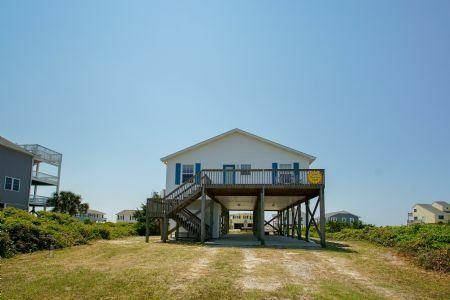 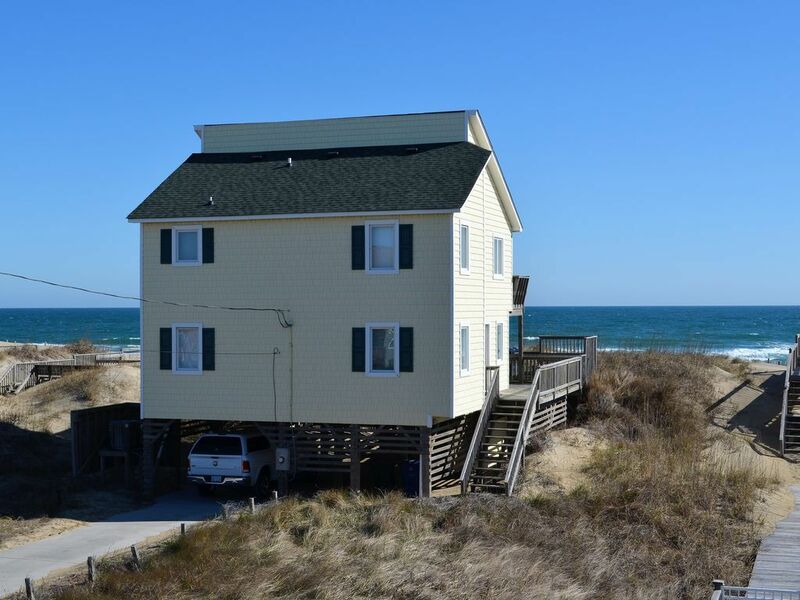 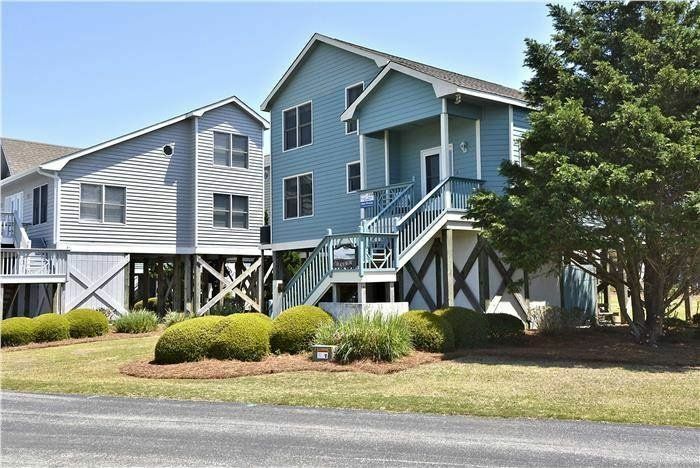 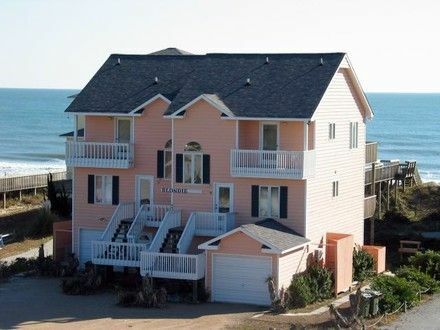 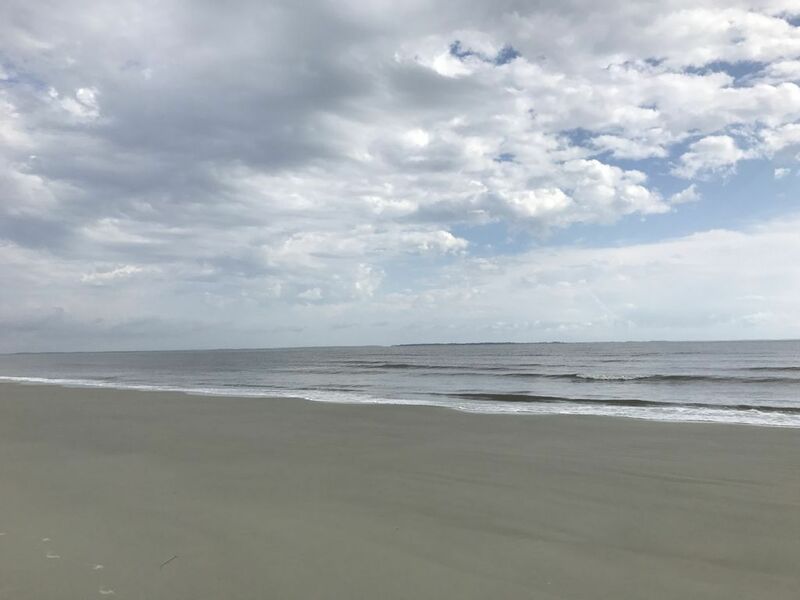 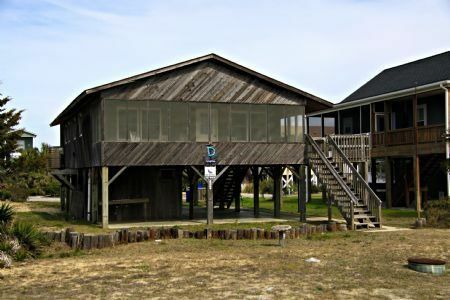 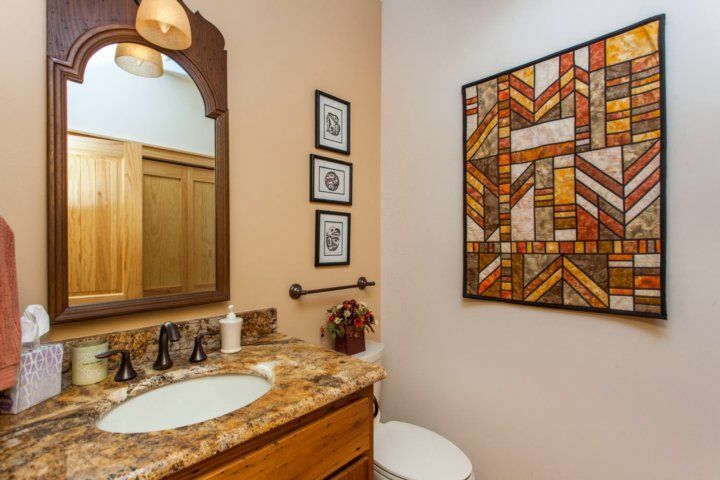 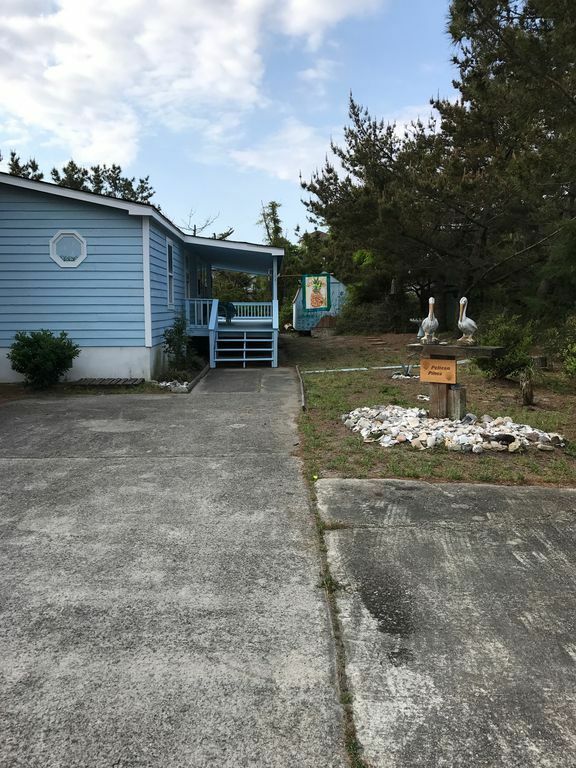 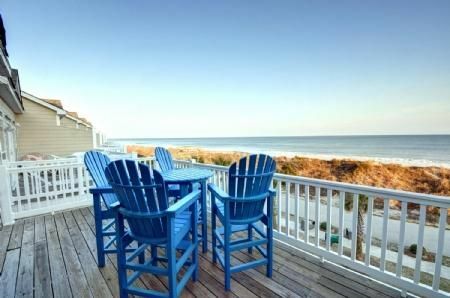 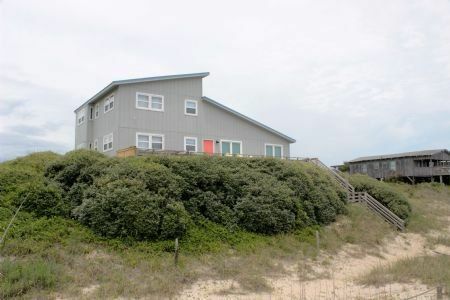 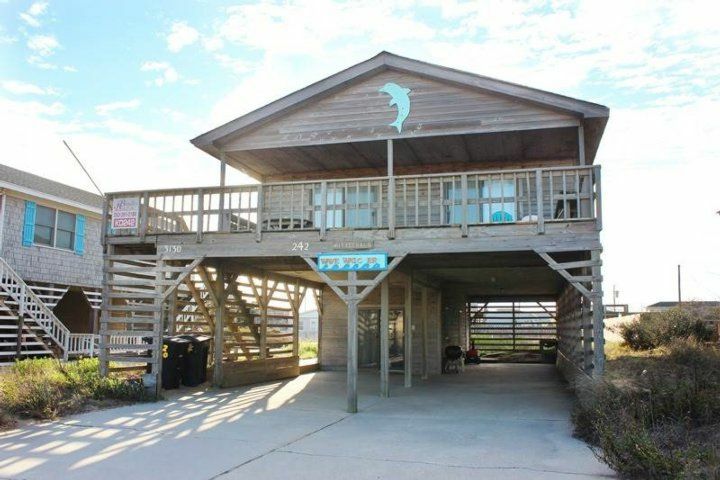 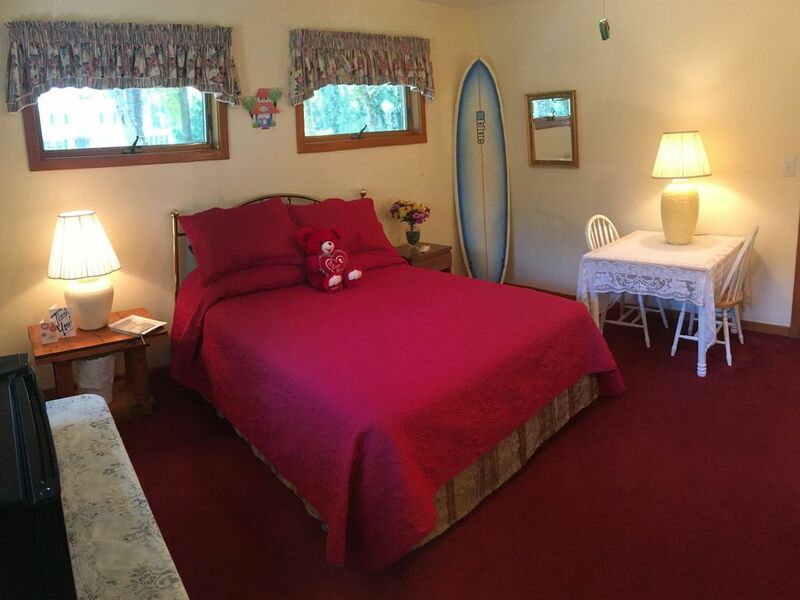 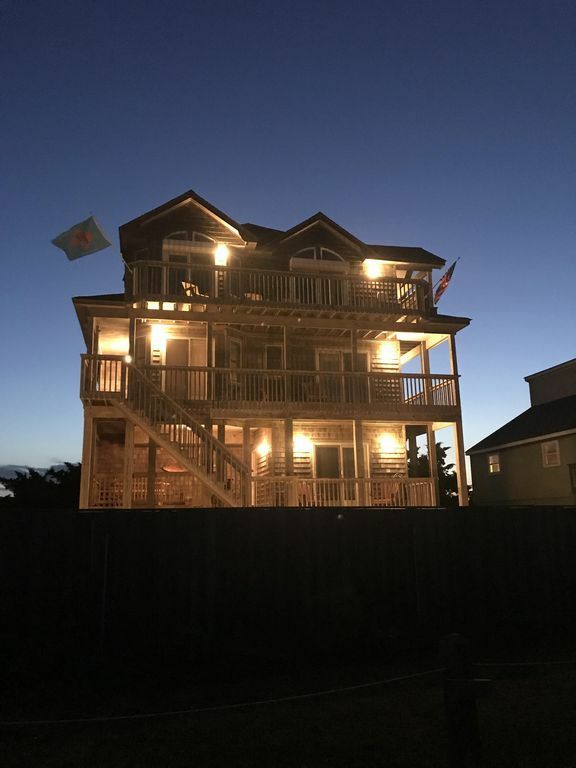 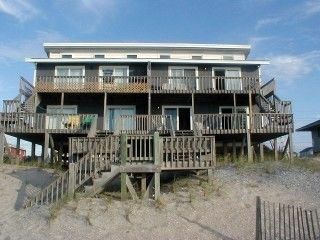 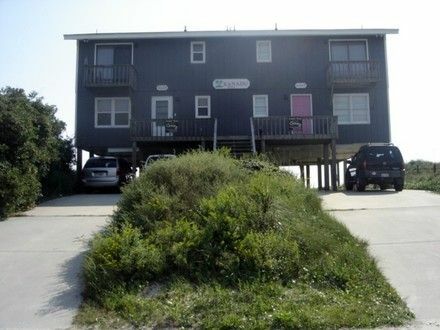 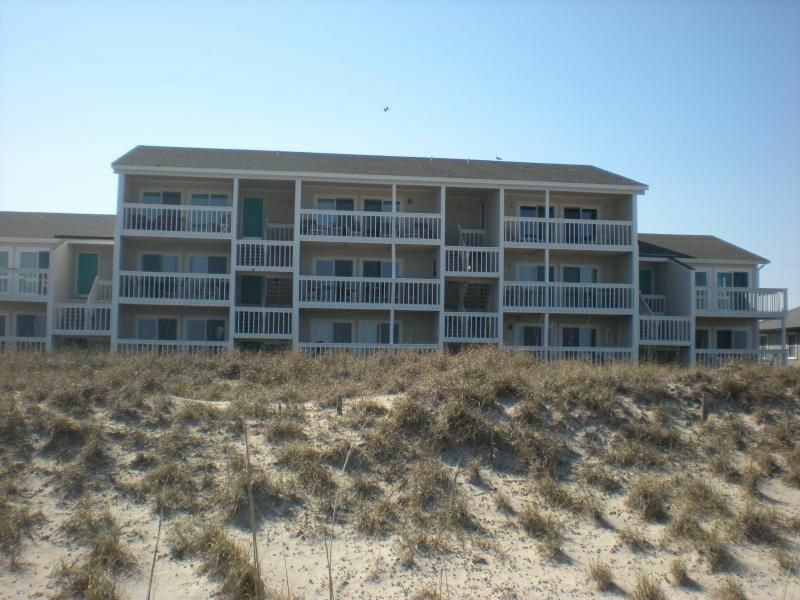 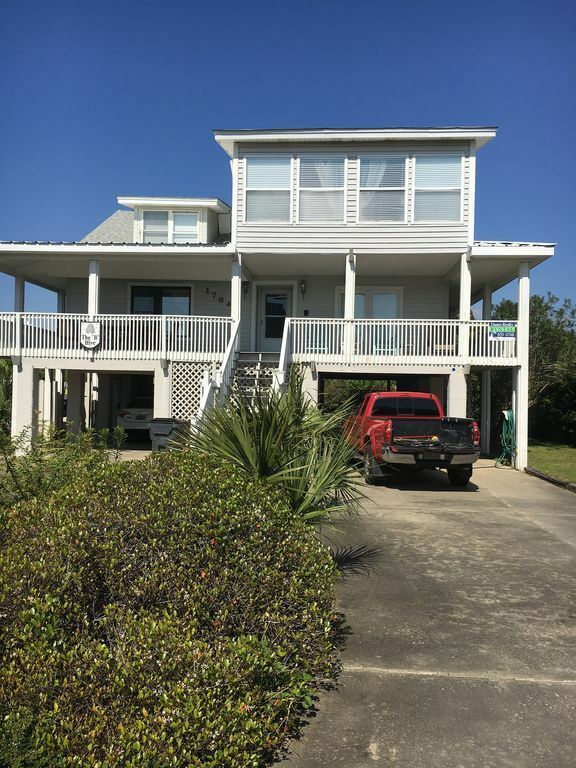 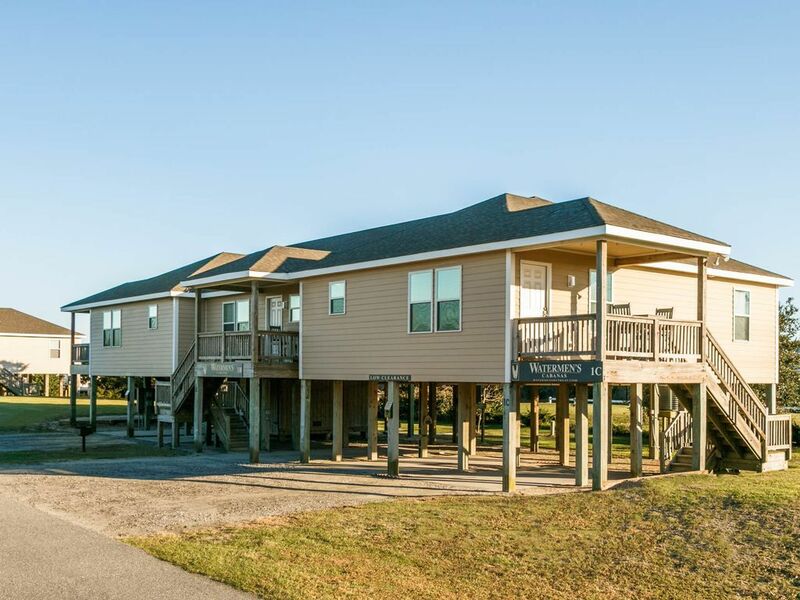 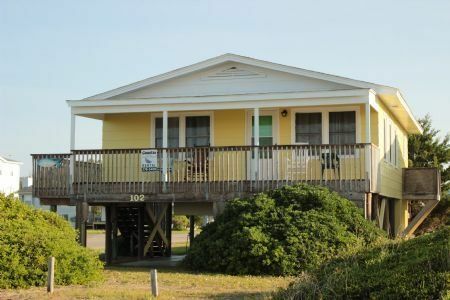 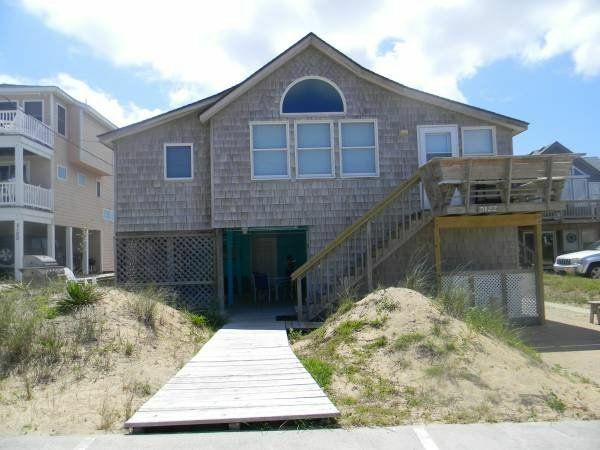 Three full bathrooms and a half bath are each stocked with a complimentary starter supply of toiletries and bath amenities. 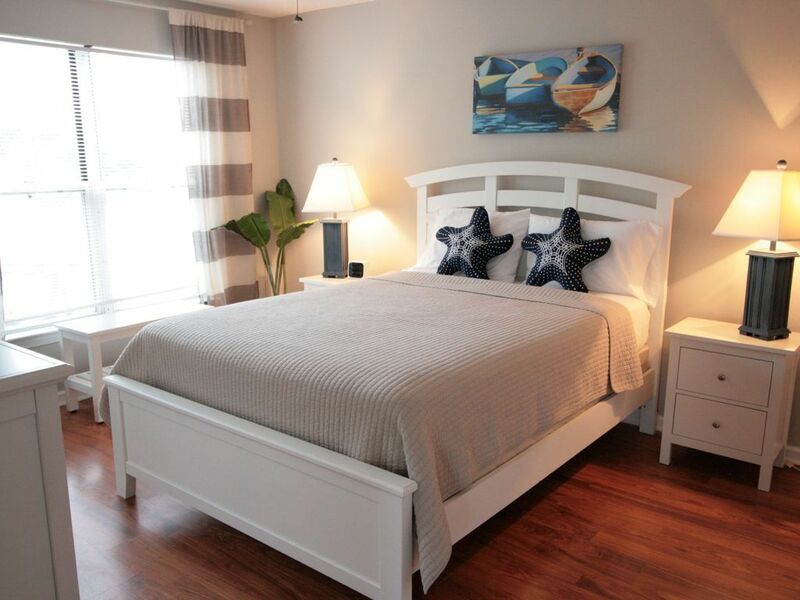 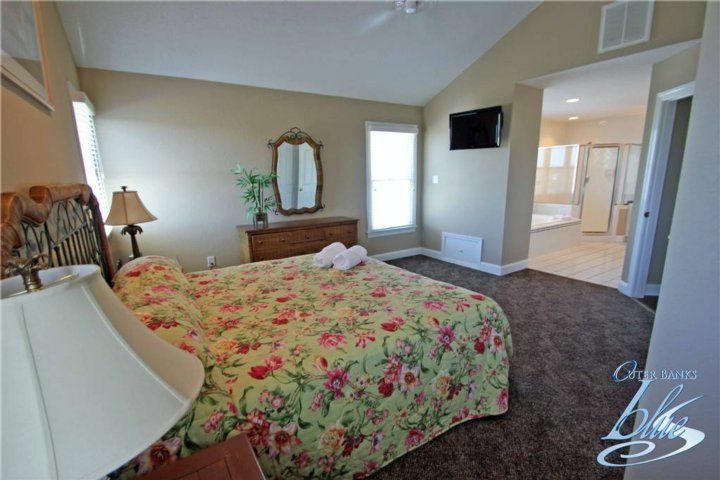 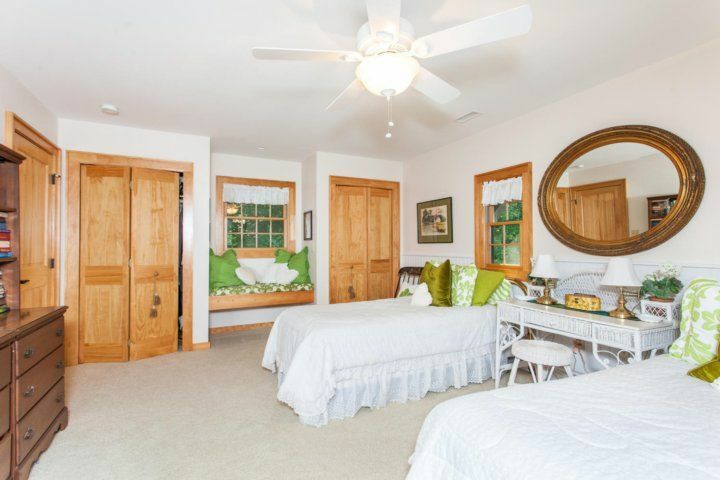 The luxurious master bedroom boasts a queen bed and an en-suite master bath with a walk-in shower. 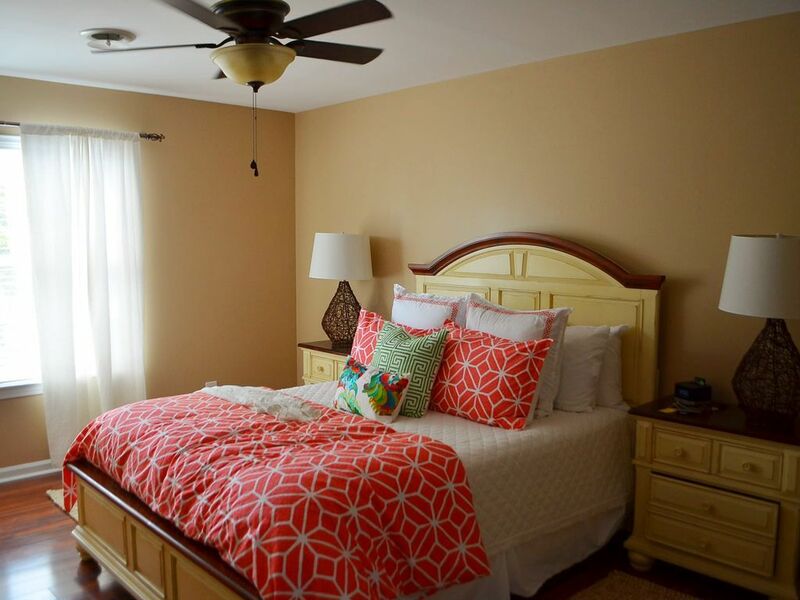 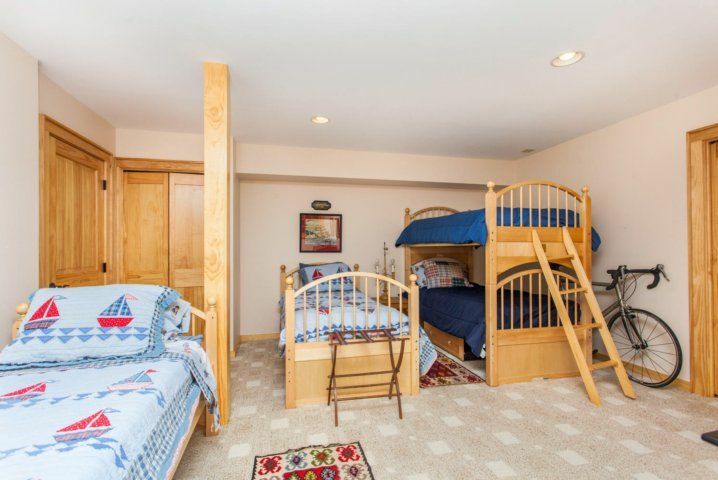 In the kid-friendly second bedroom, you?ll find two twin beds, a twin-over-twin bunk bed, and an armchair. 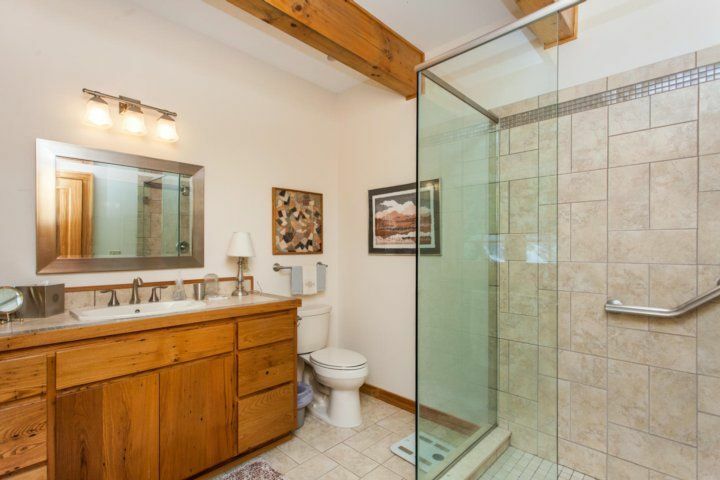 The en-suite bathroom has a walk-in shower. 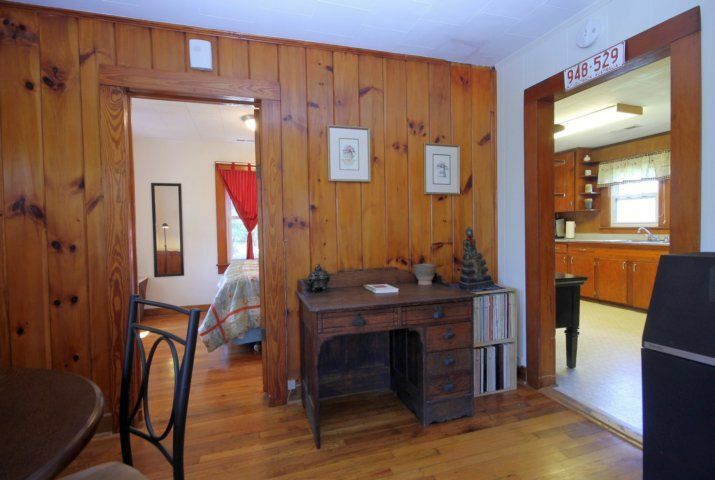 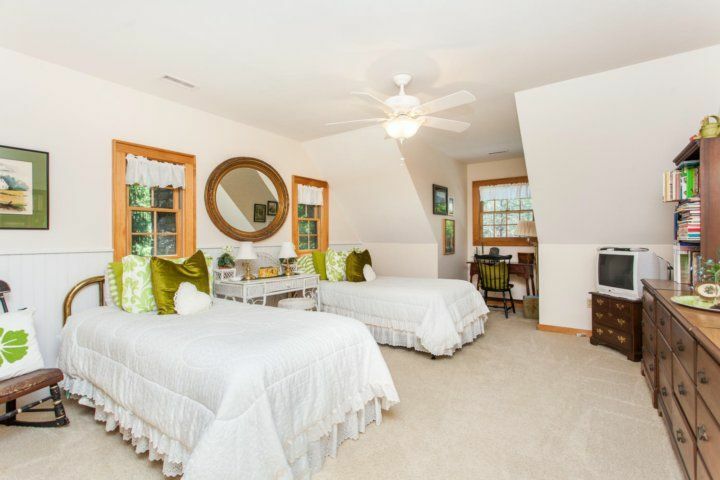 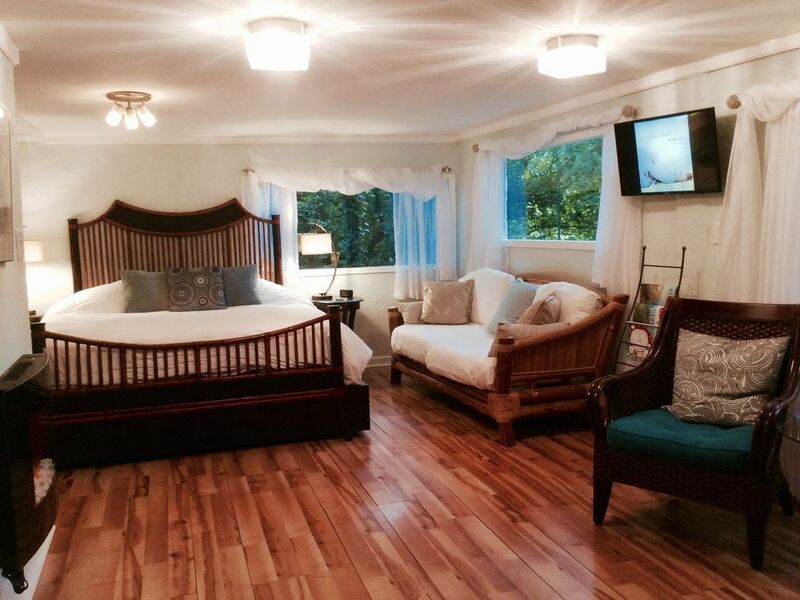 The third bedroom has two twins and a charming window nook, in addition to a TV with cable. 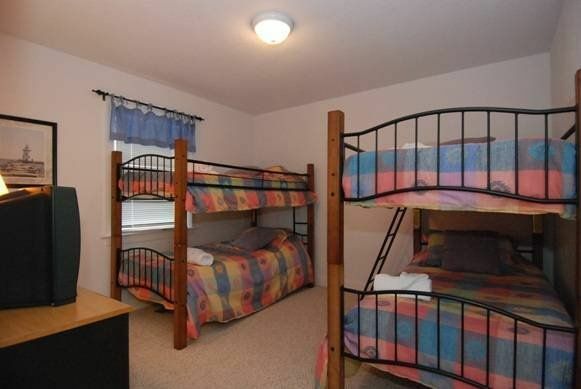 A fourth bedroom in the loft provides a queen bed, two sofas, an armchair, and a desk. 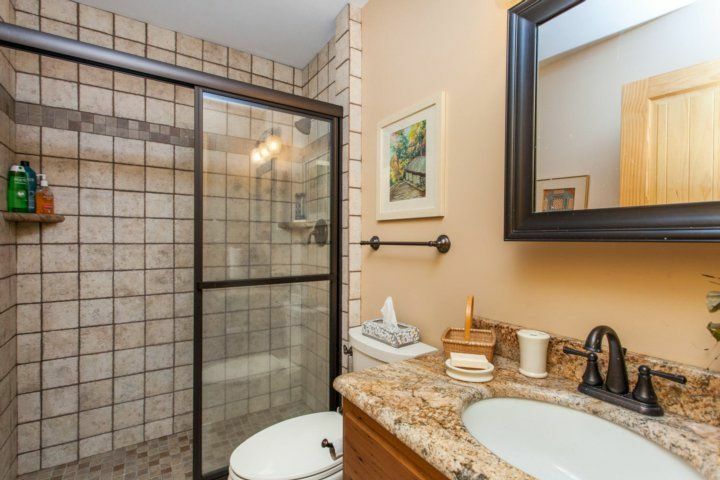 The third bathroom has a tub/shower combination, and a convenient half bath is located off the kitchen. 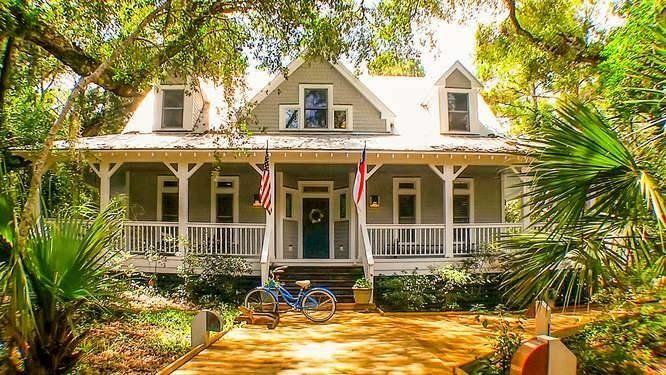 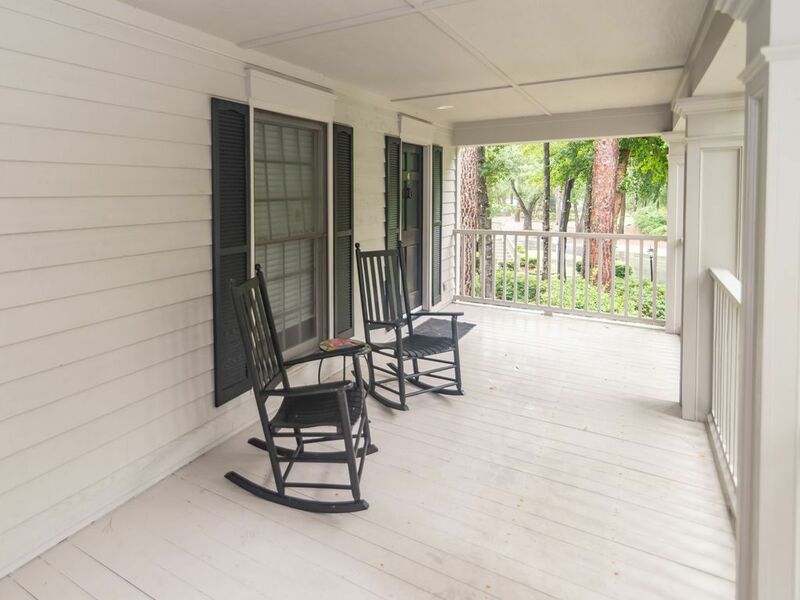 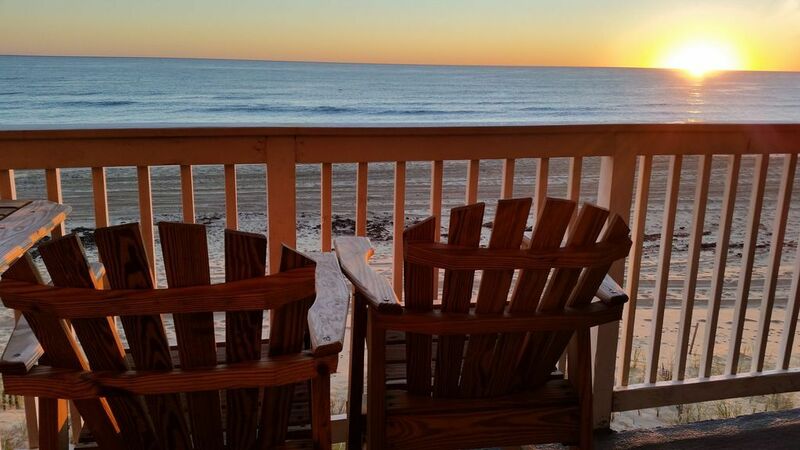 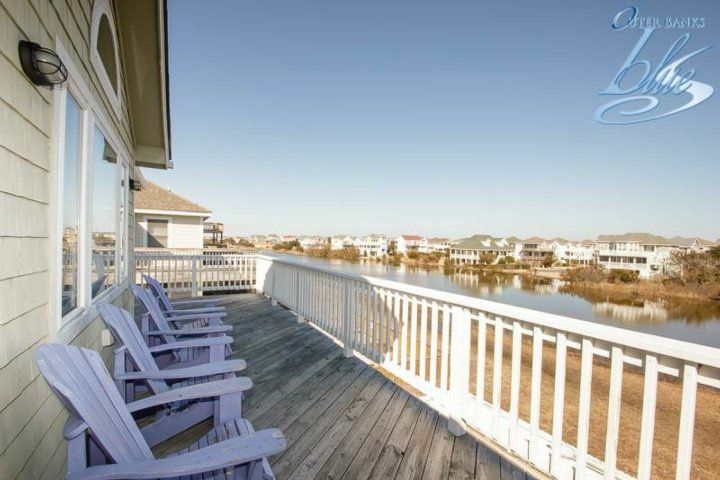 Spend lazy afternoons relaxing on the front porch, complete with four rockers and a porch swing. 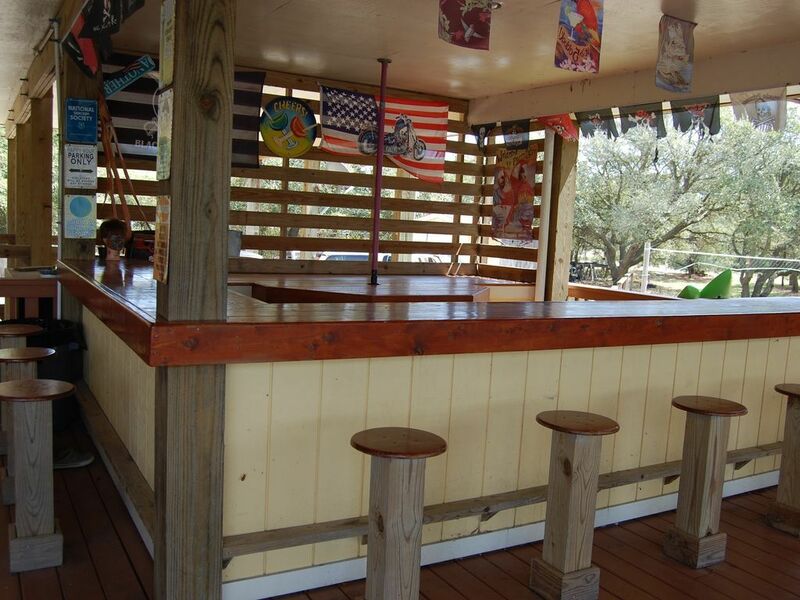 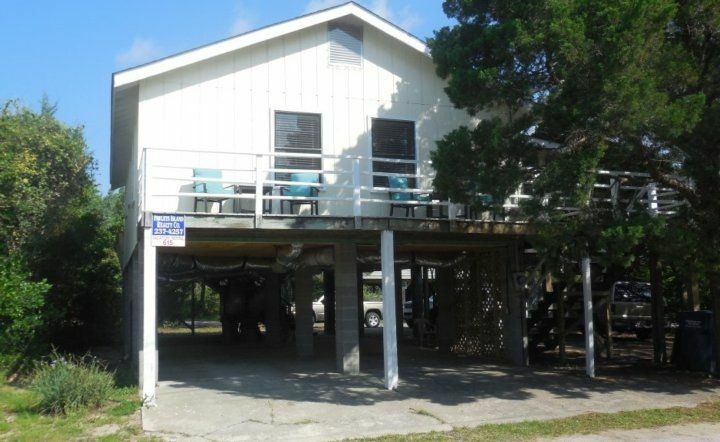 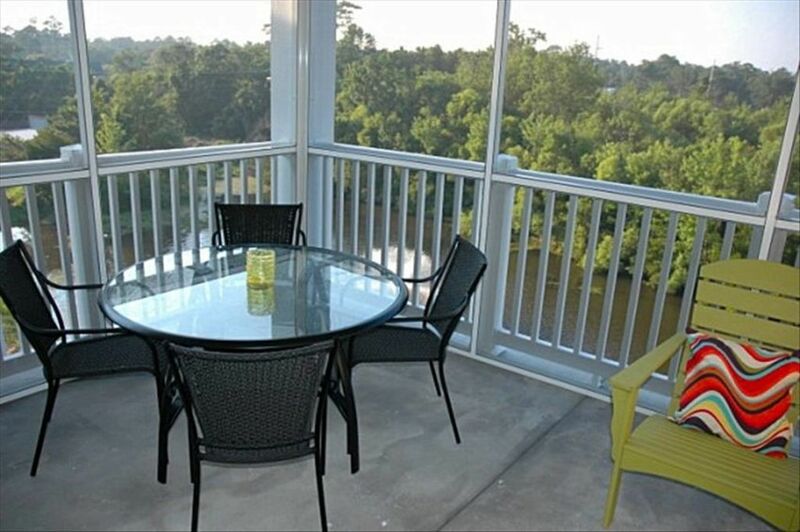 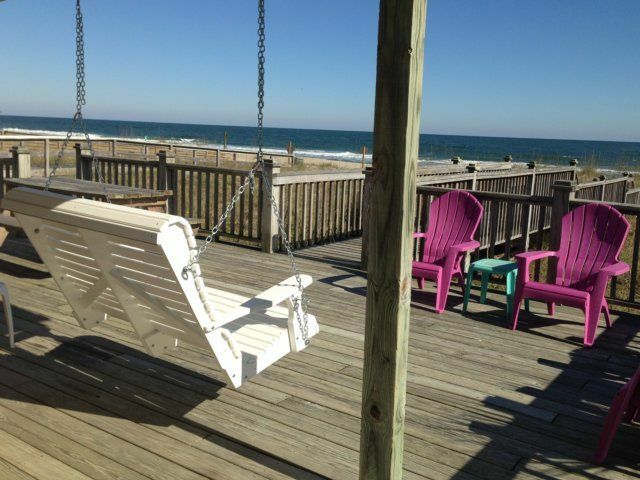 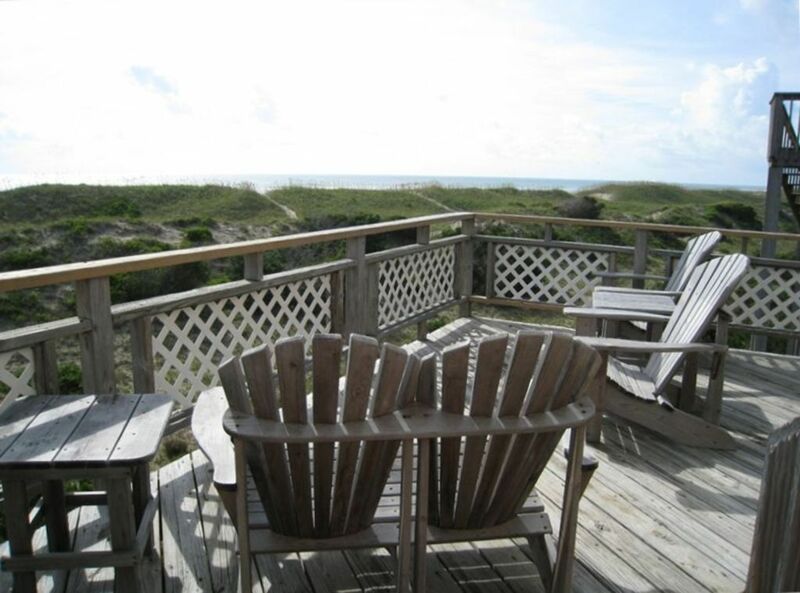 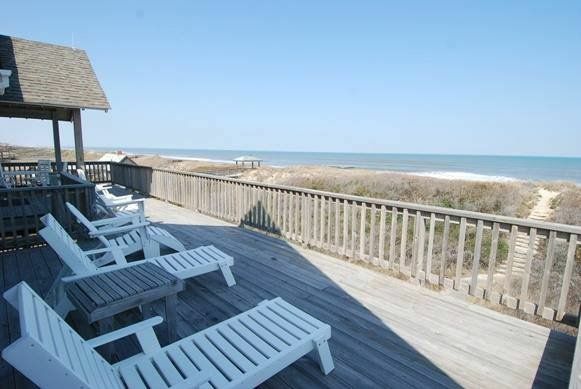 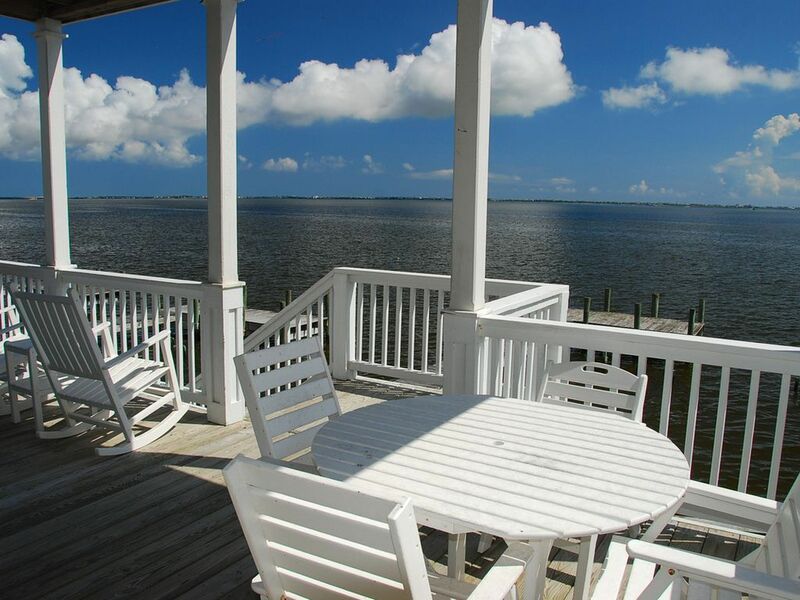 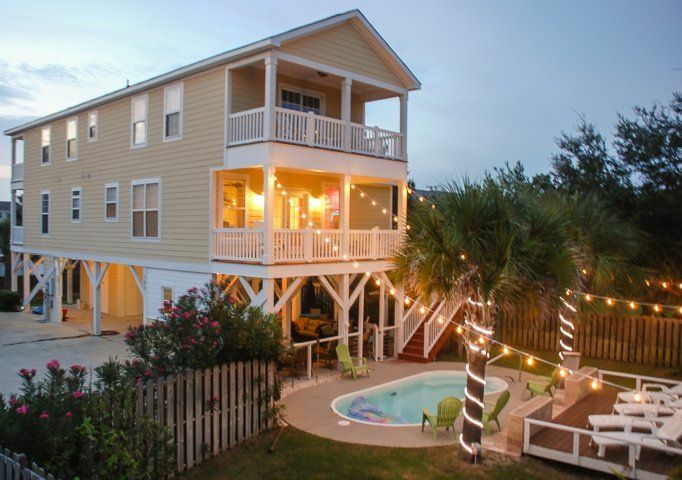 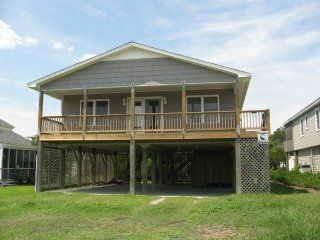 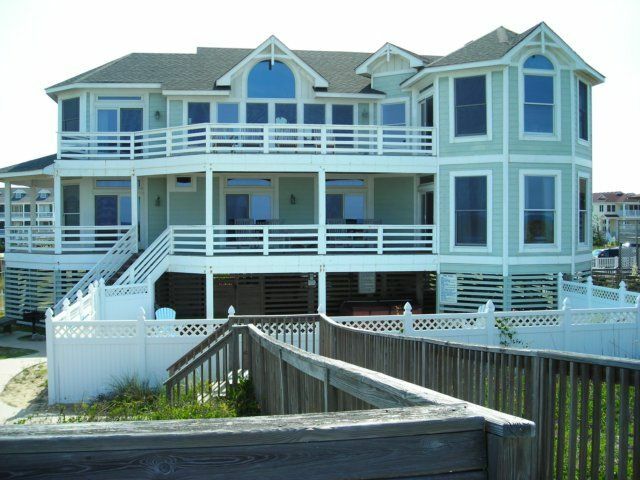 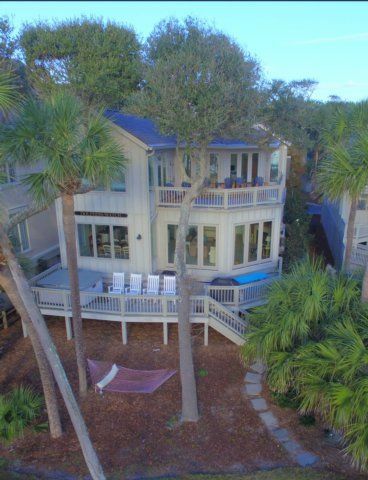 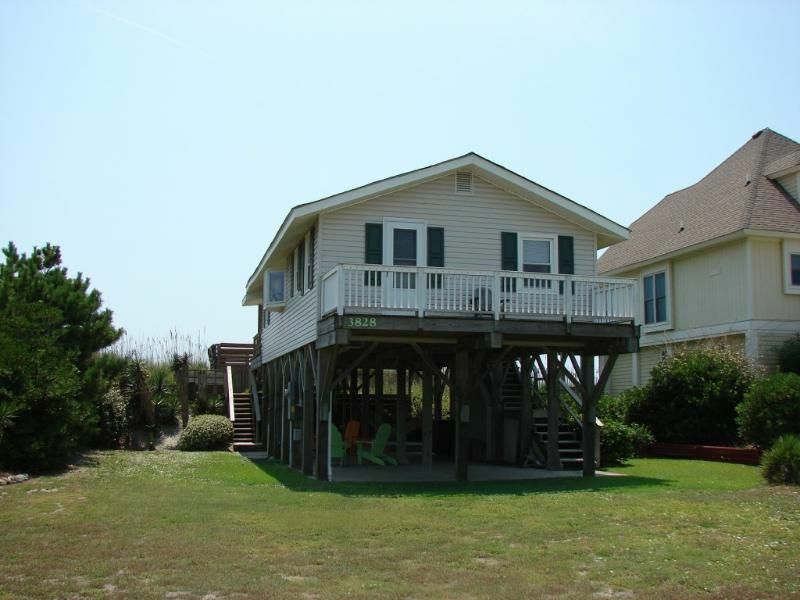 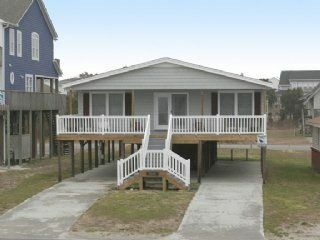 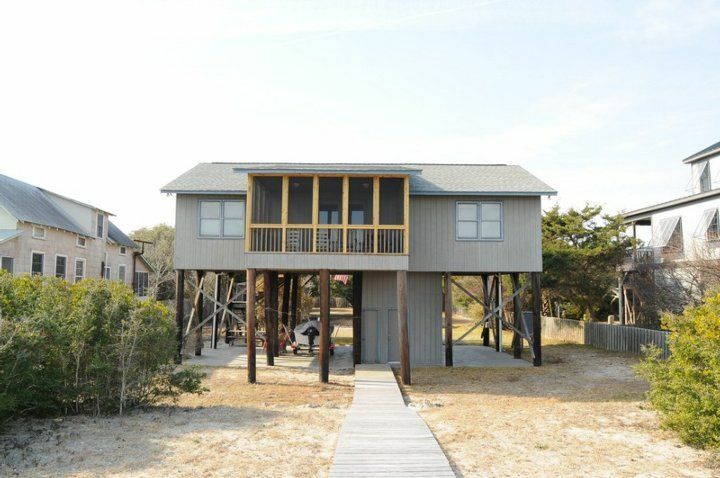 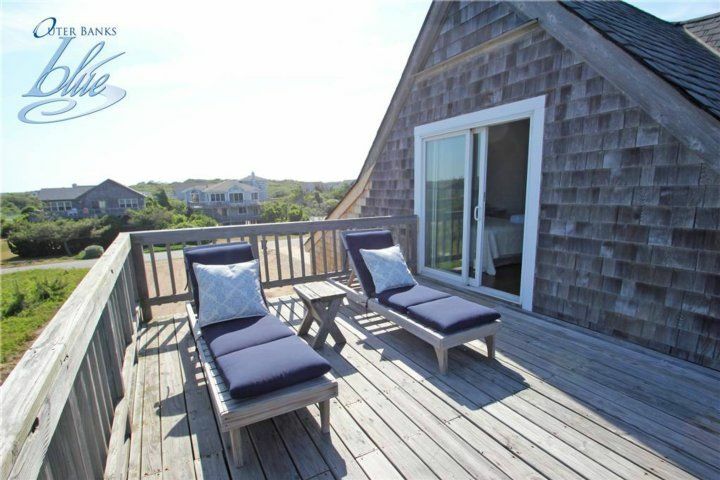 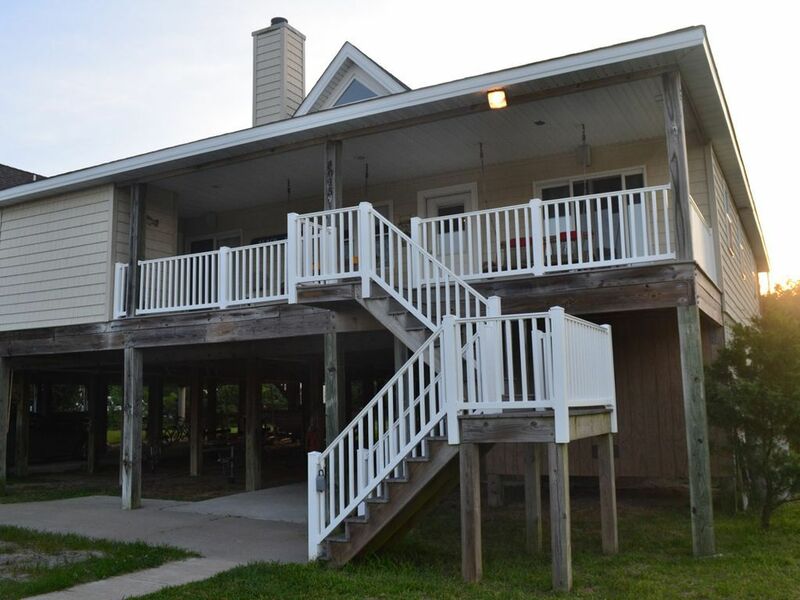 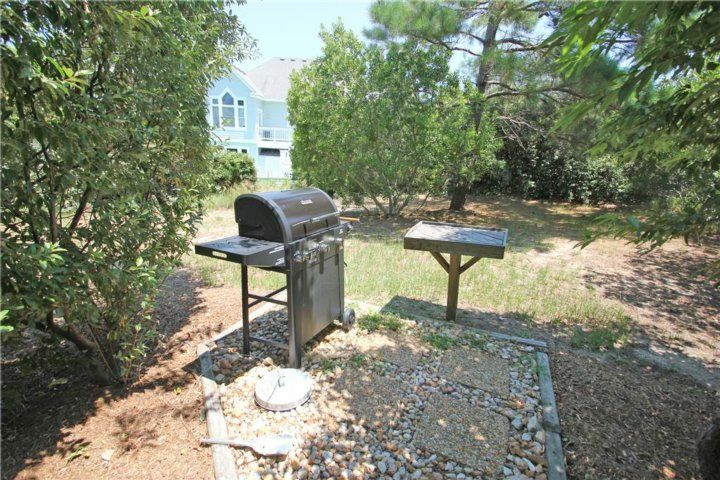 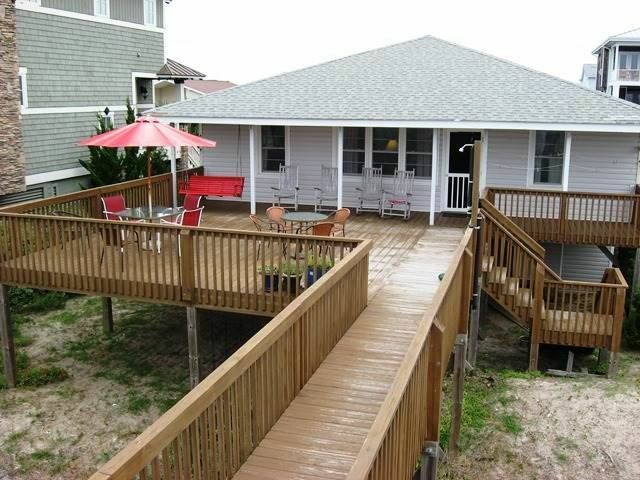 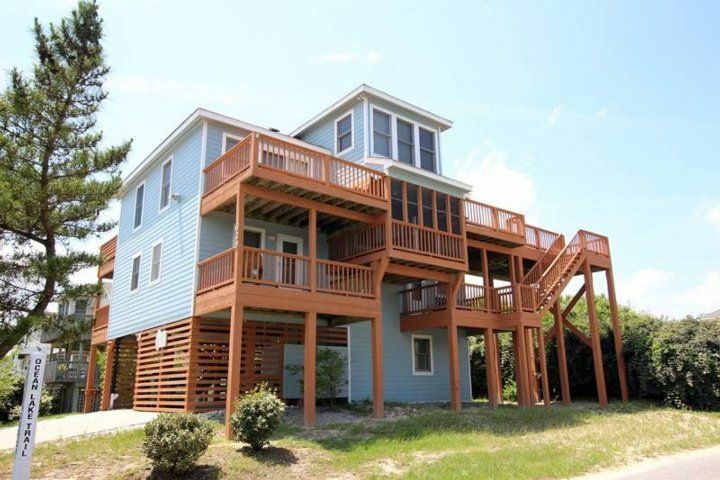 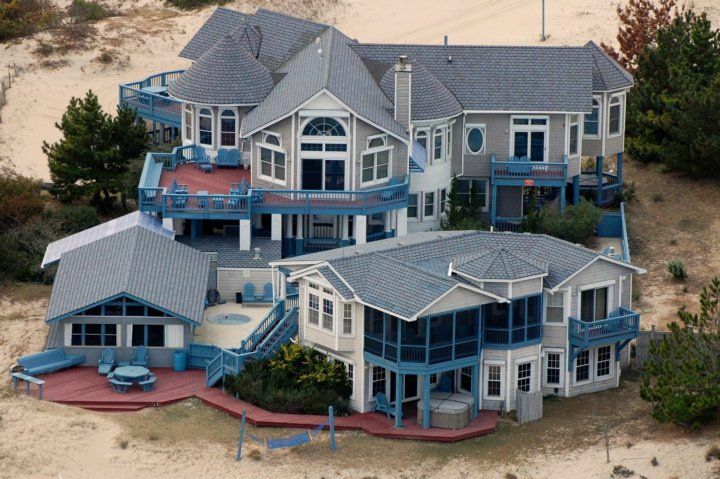 Out back, a large deck is furnished with a six-person table, a gas grill, and a hammock. 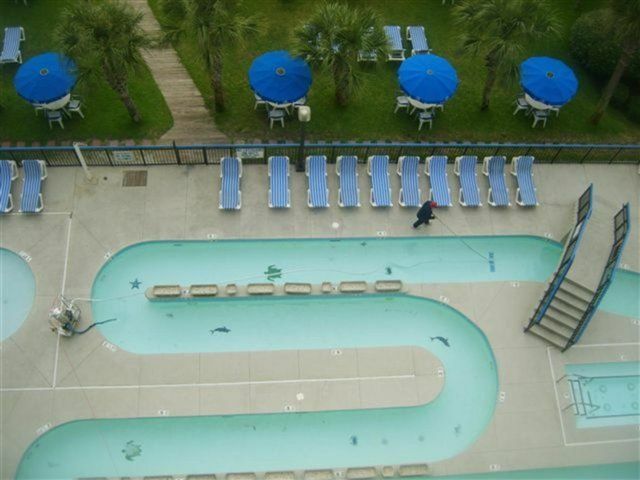 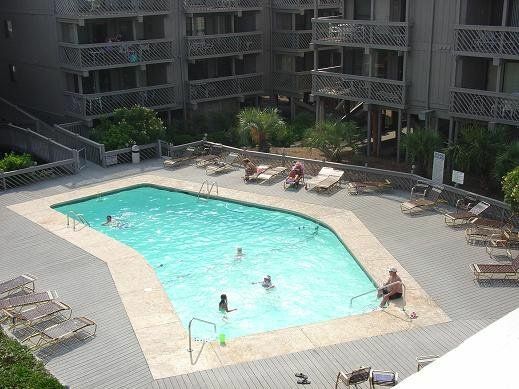 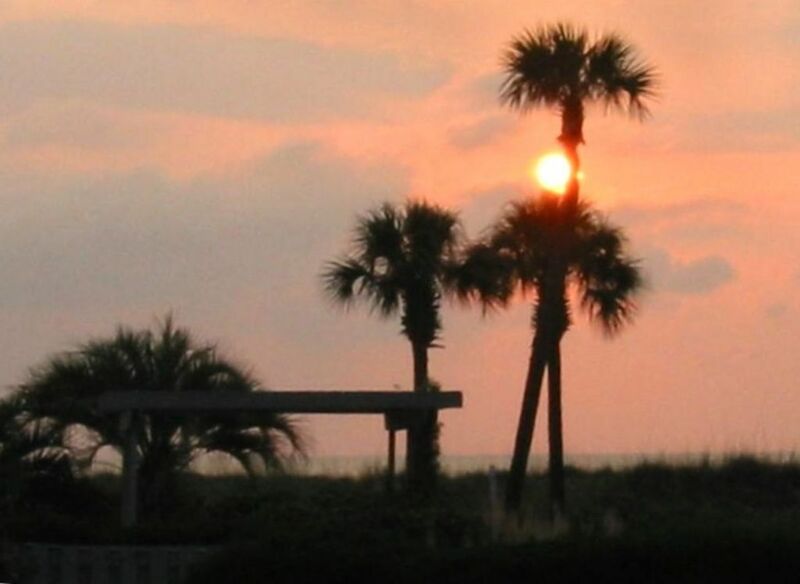 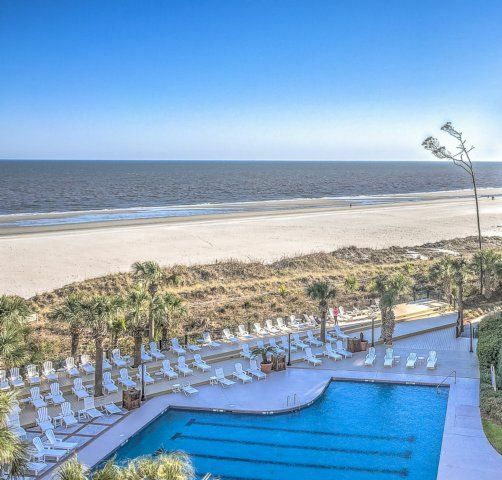 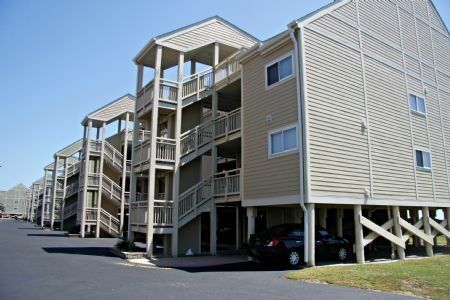 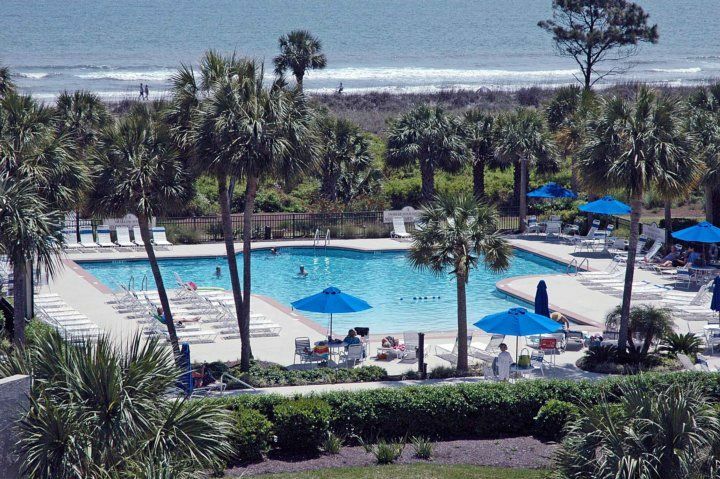 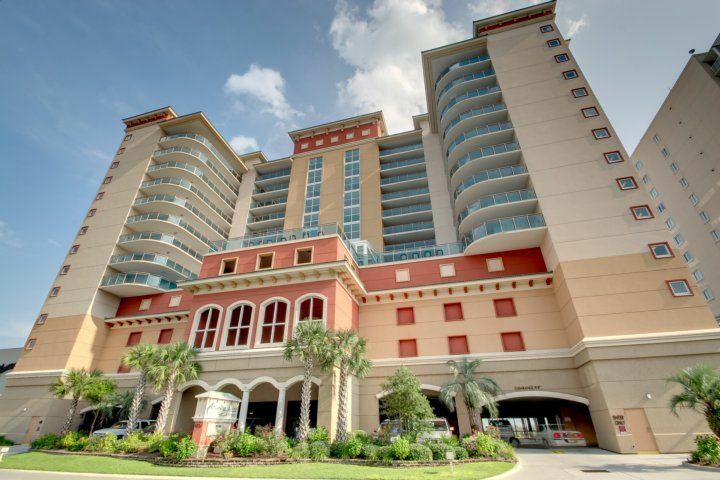 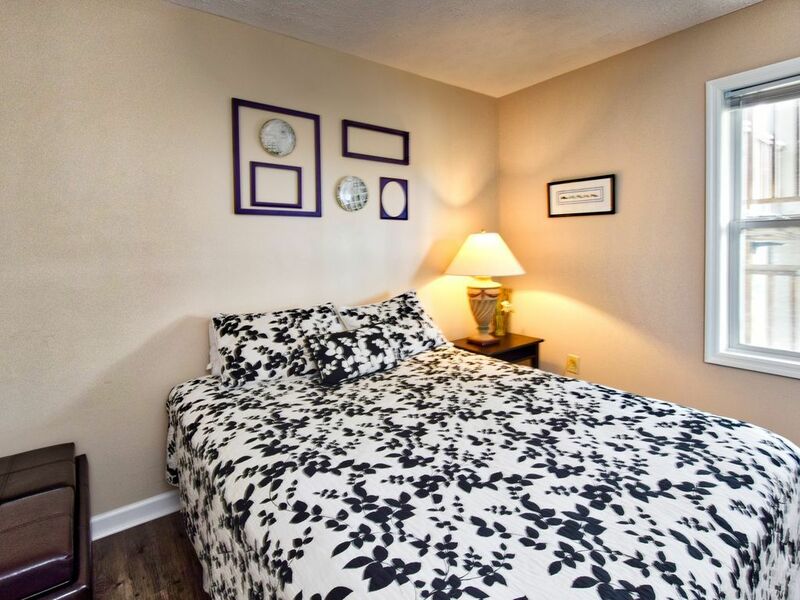 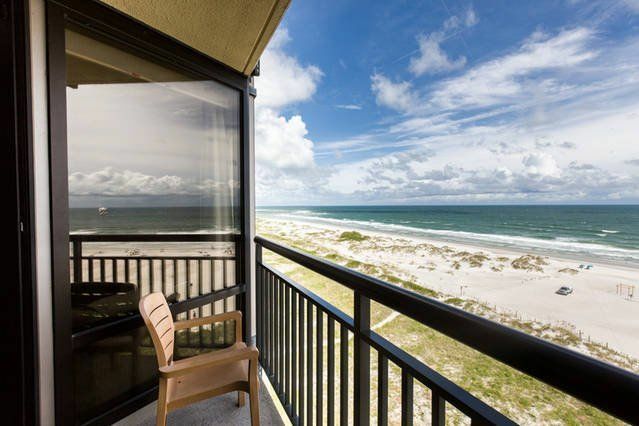 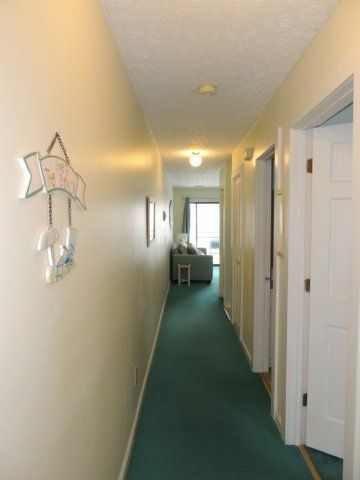 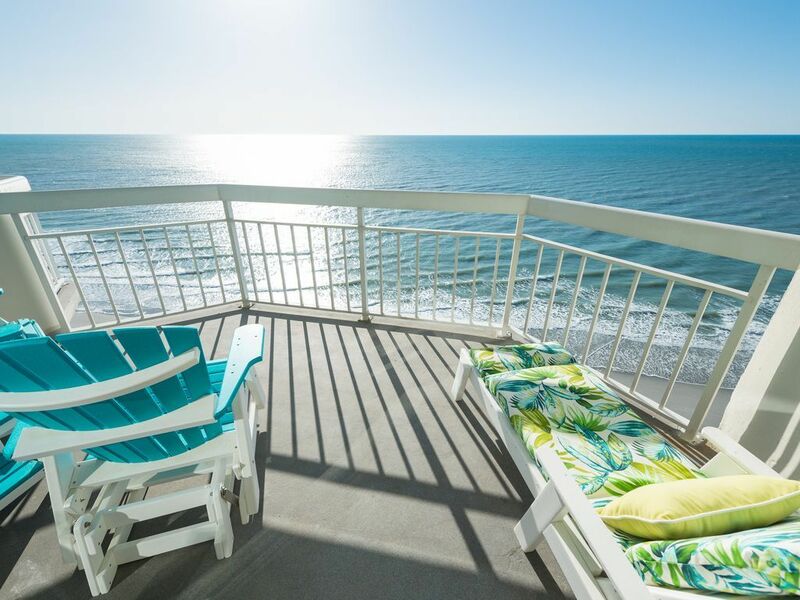 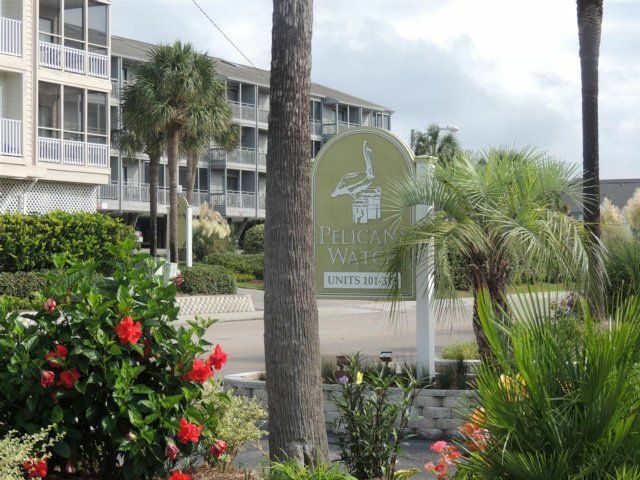 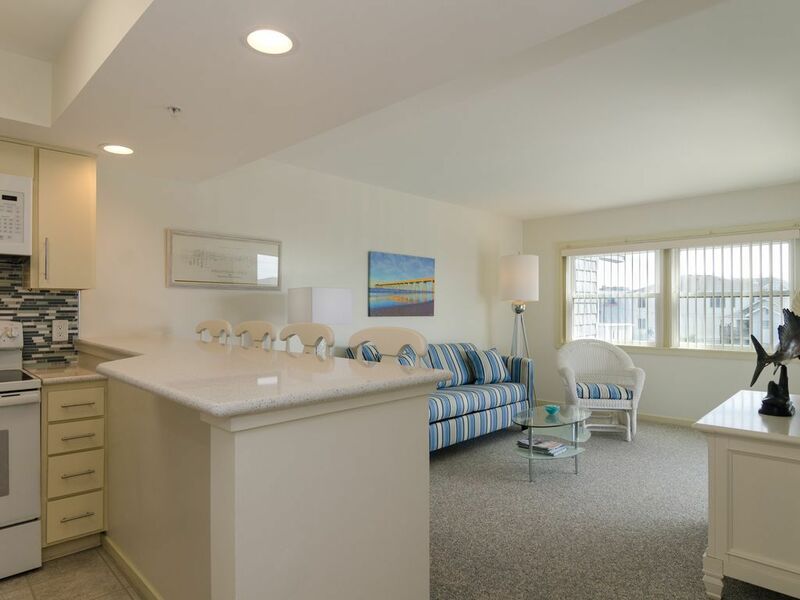 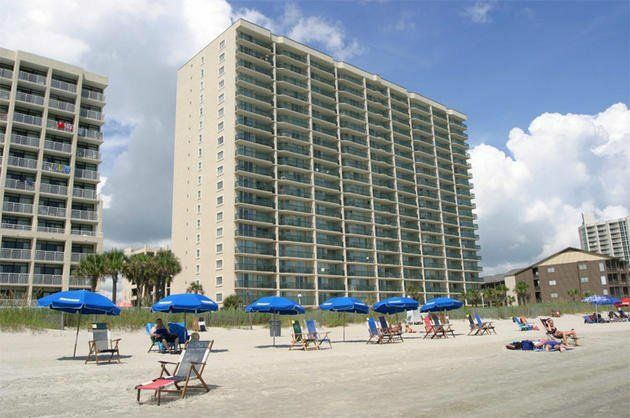 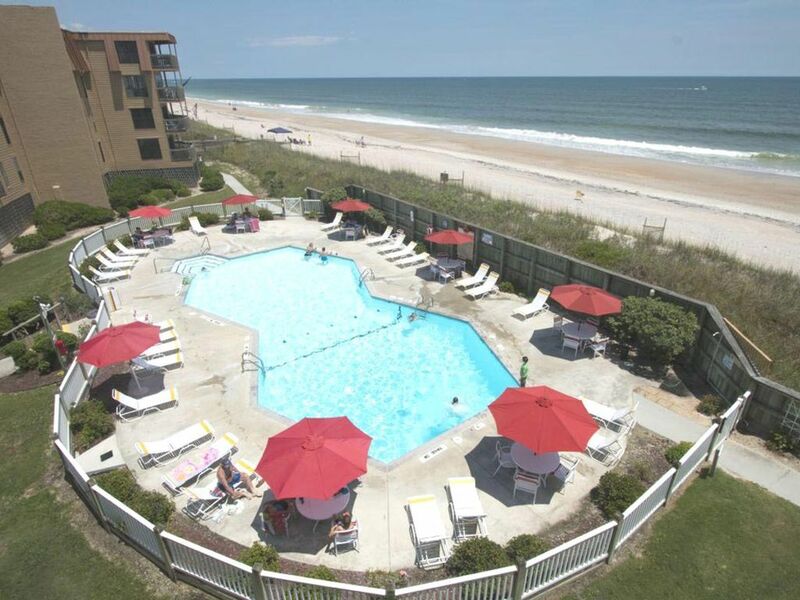 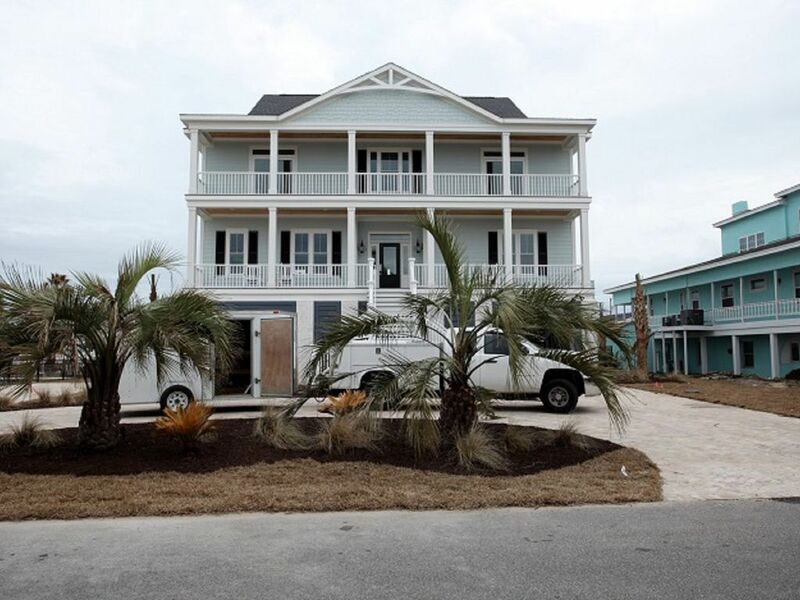 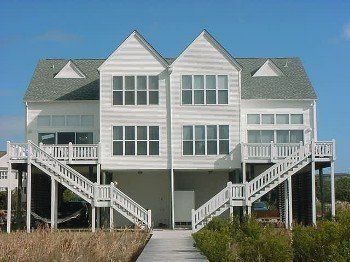 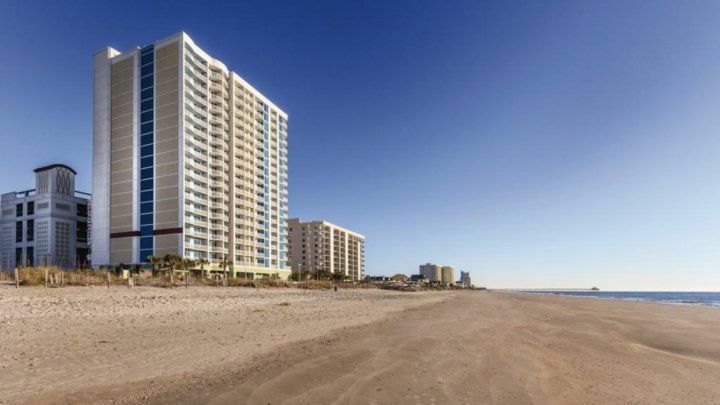 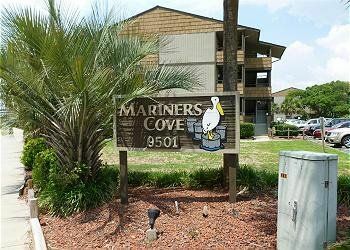 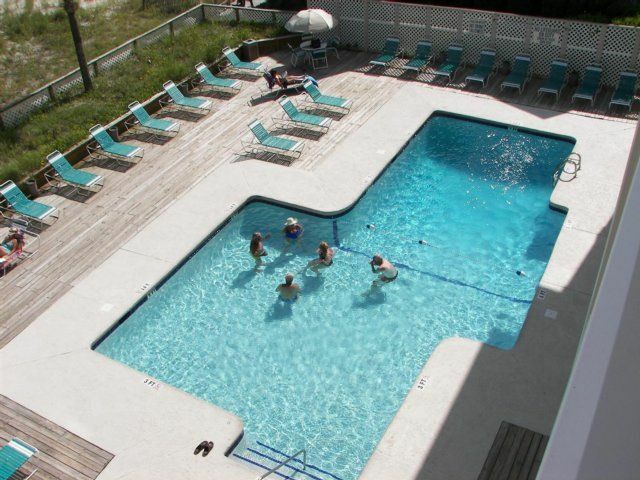 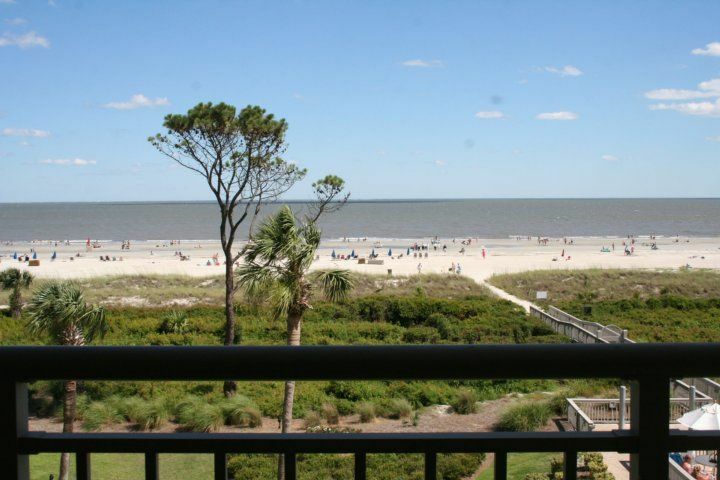 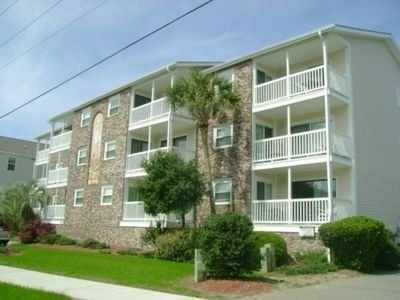 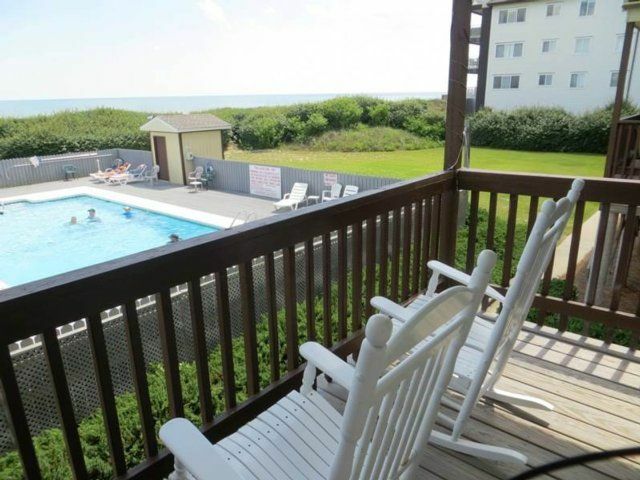 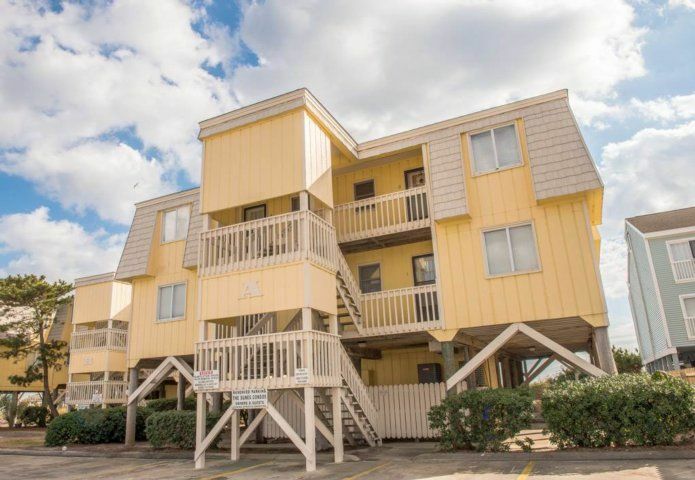 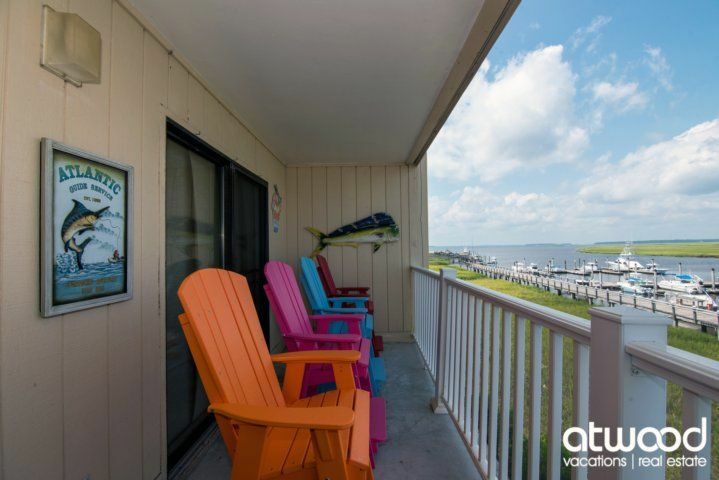 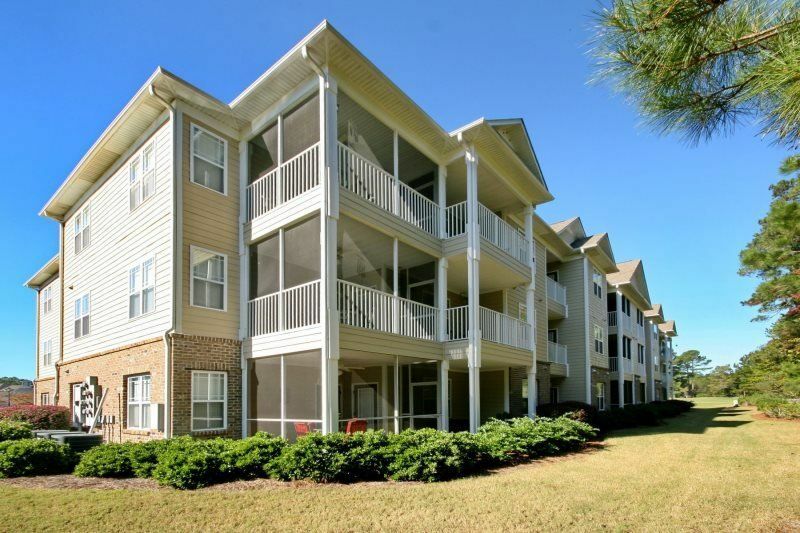 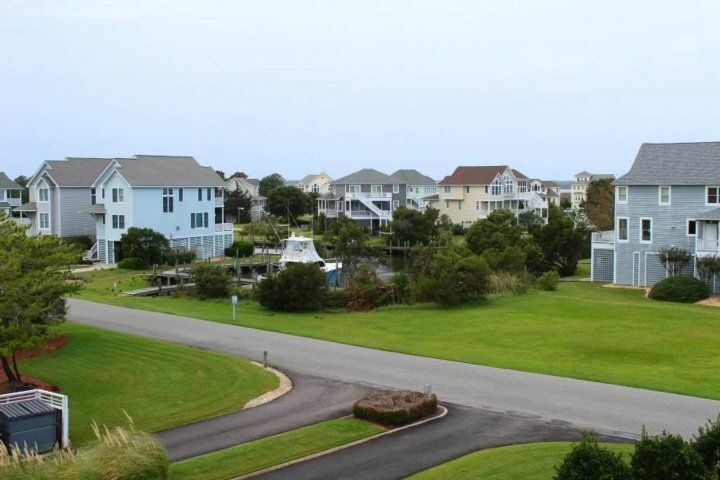 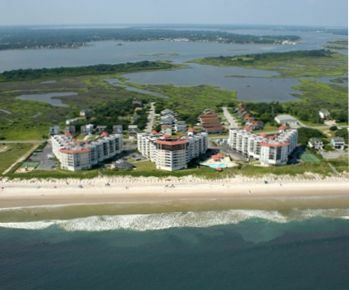 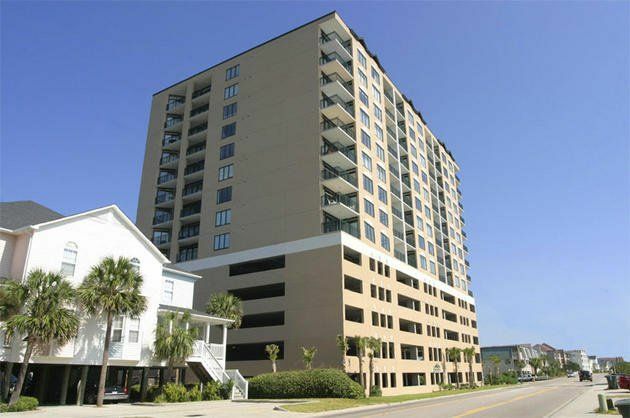 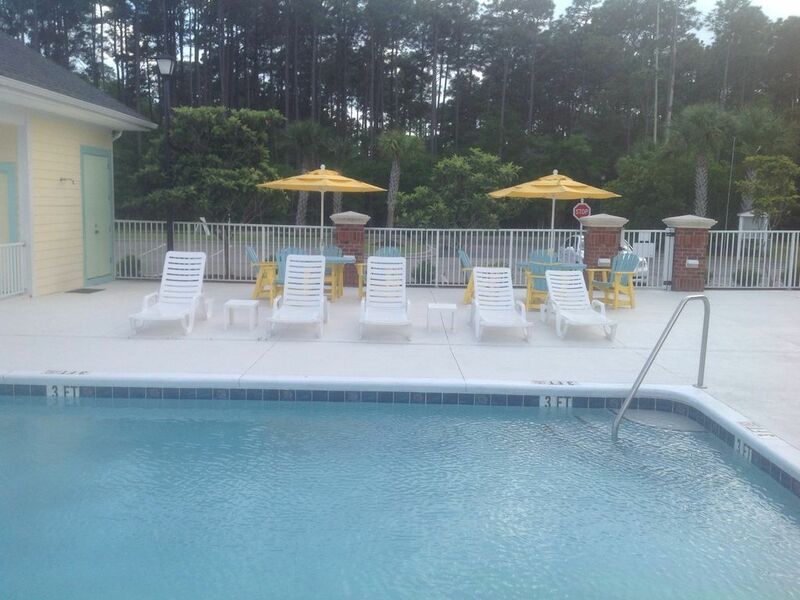 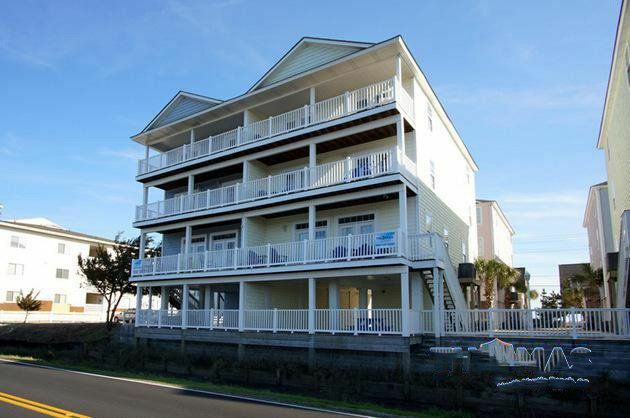 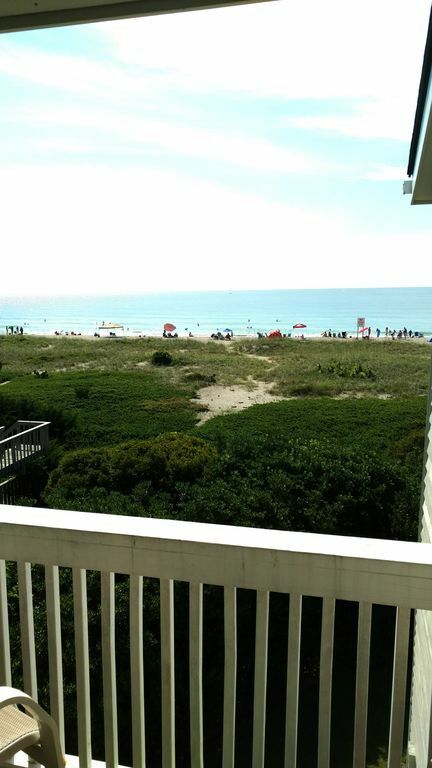 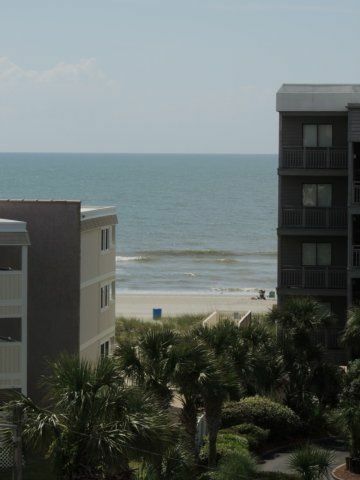 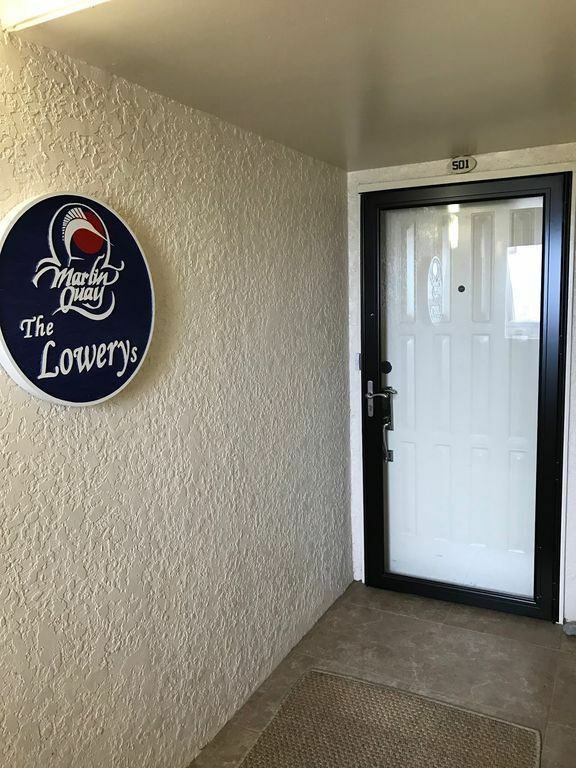 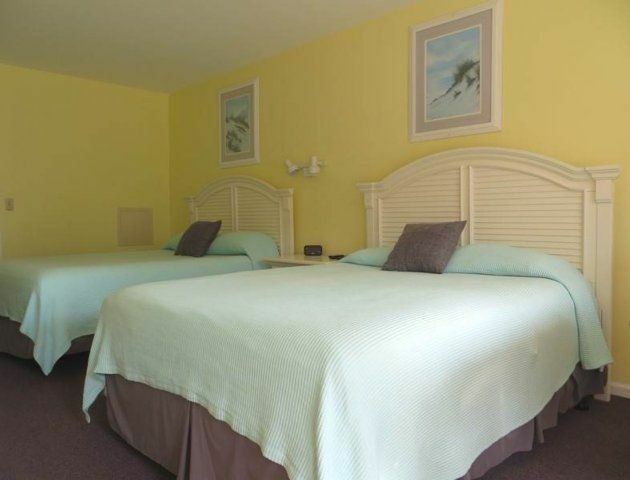 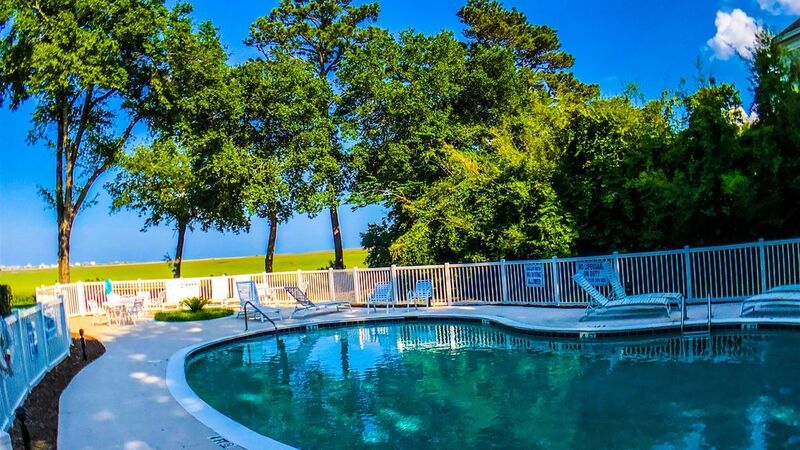 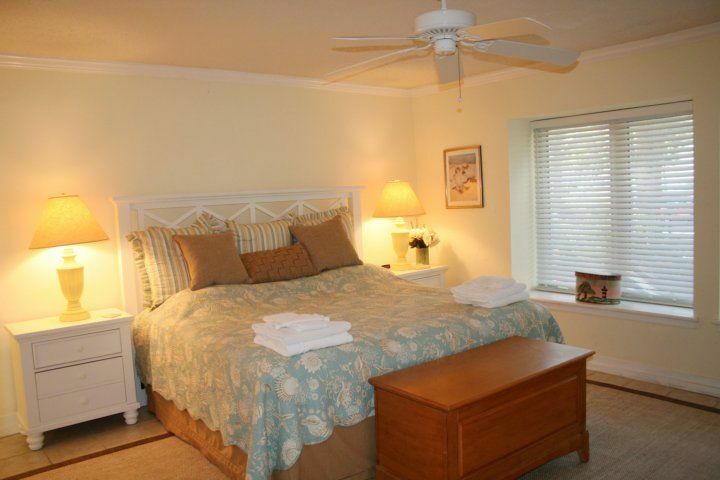 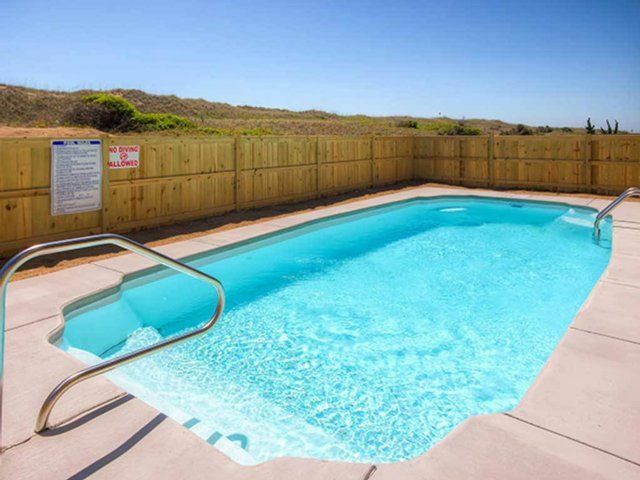 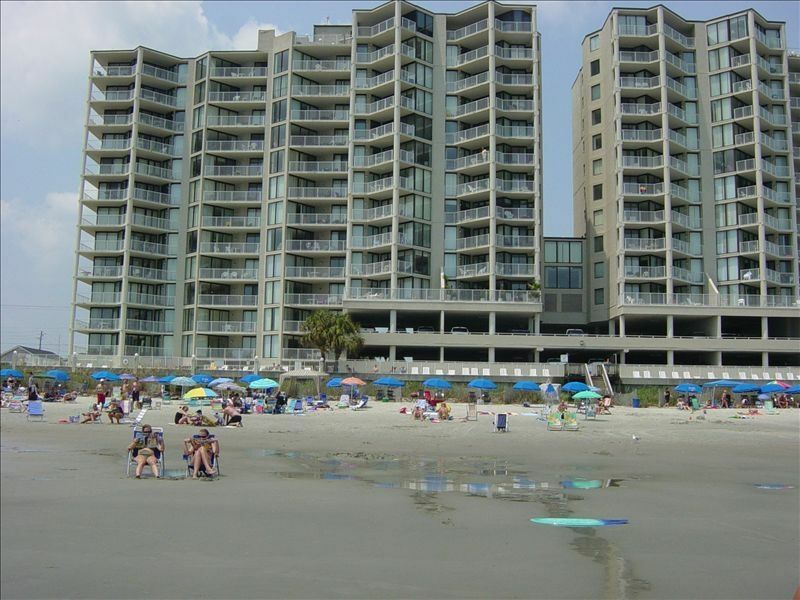 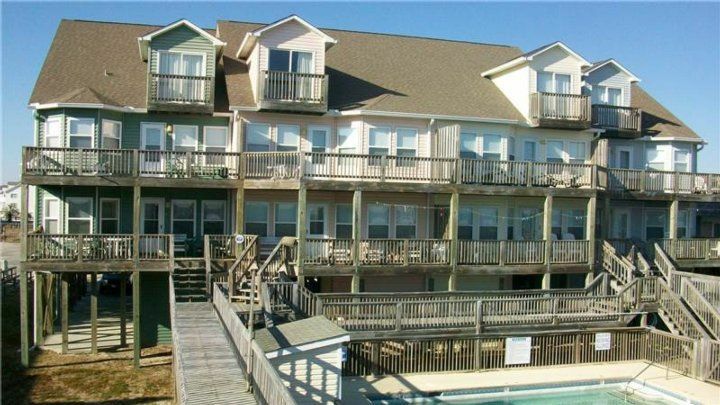 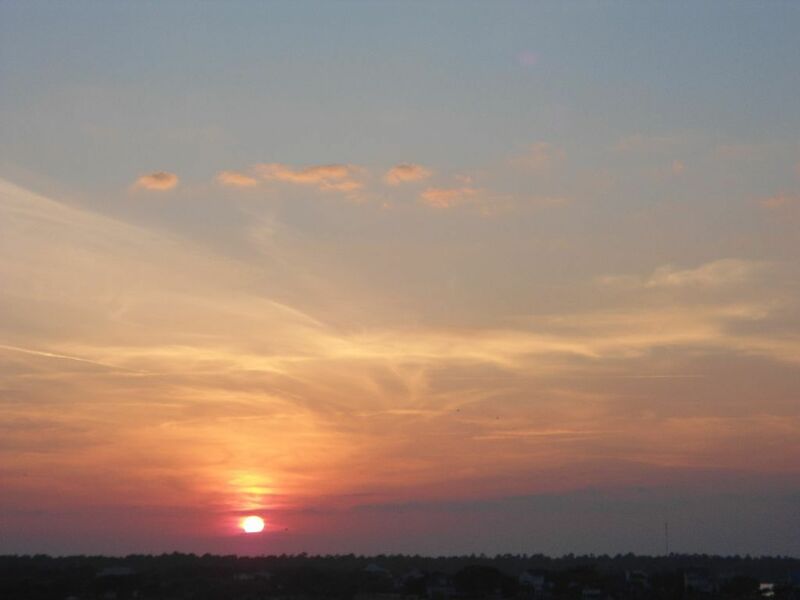 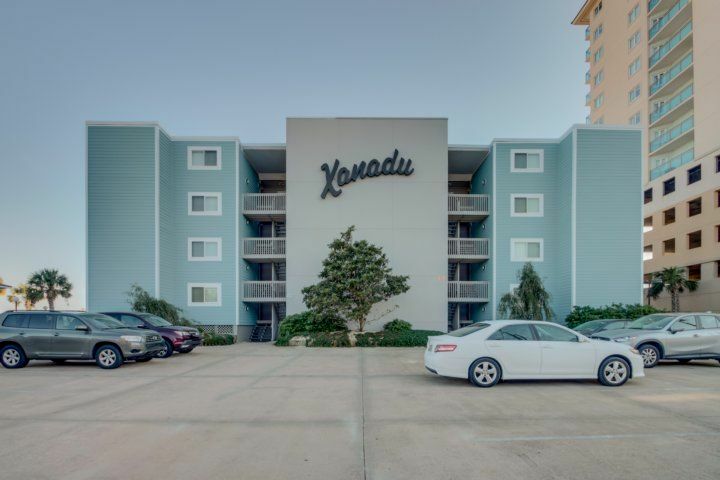 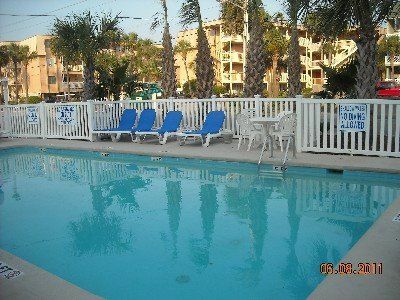 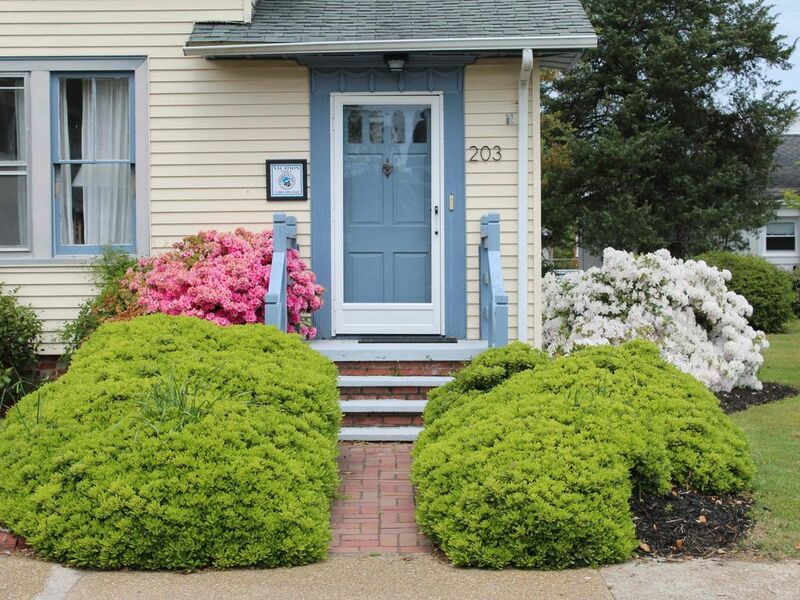 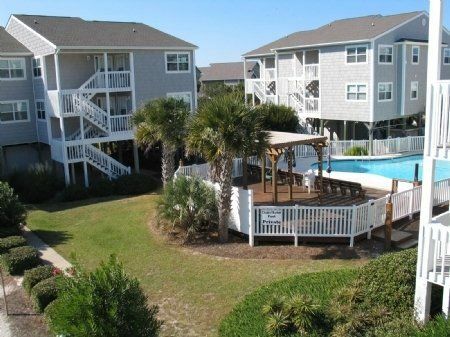 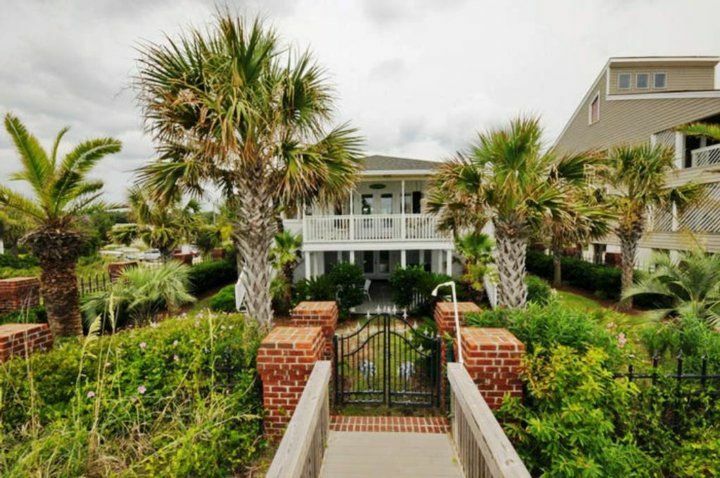 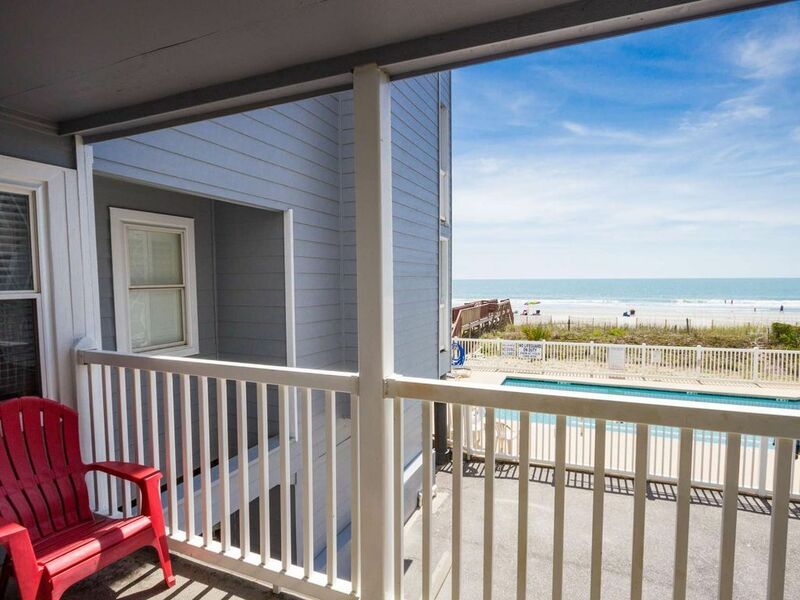 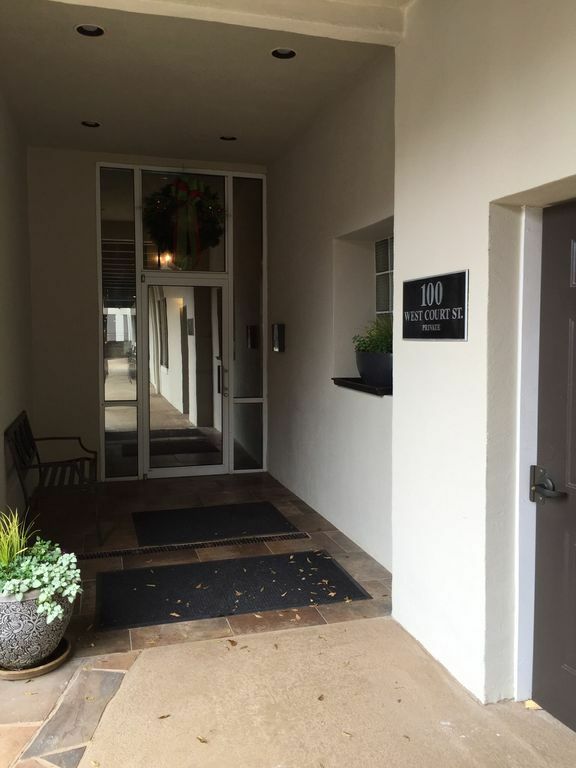 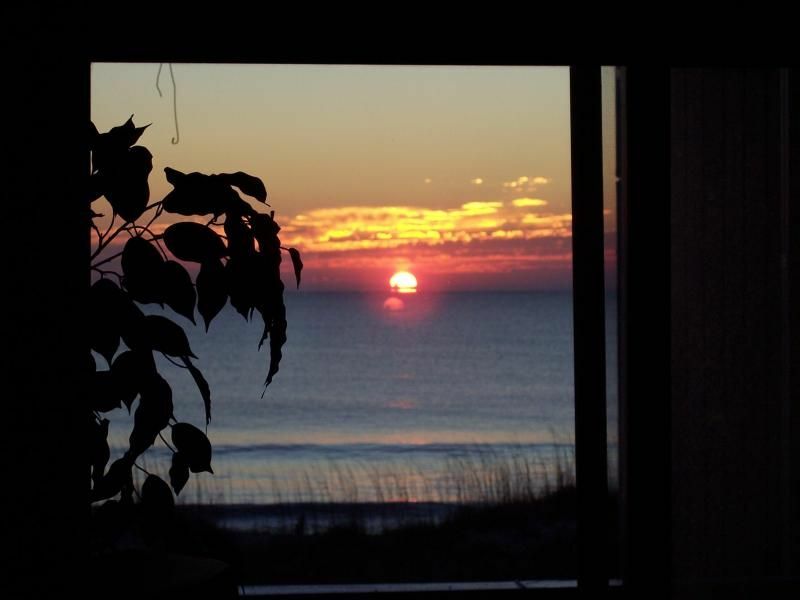 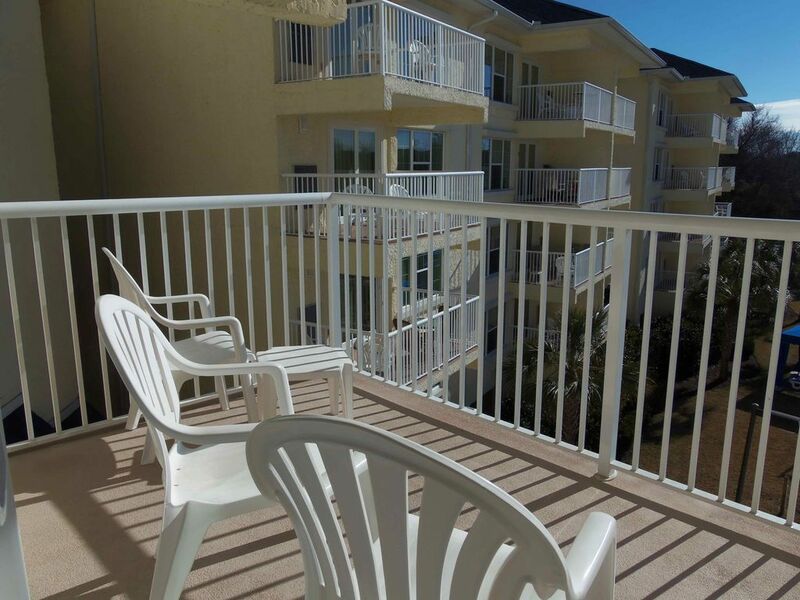 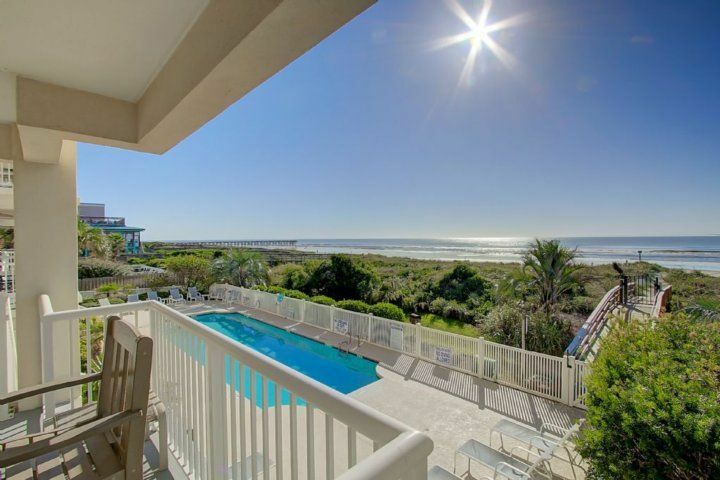 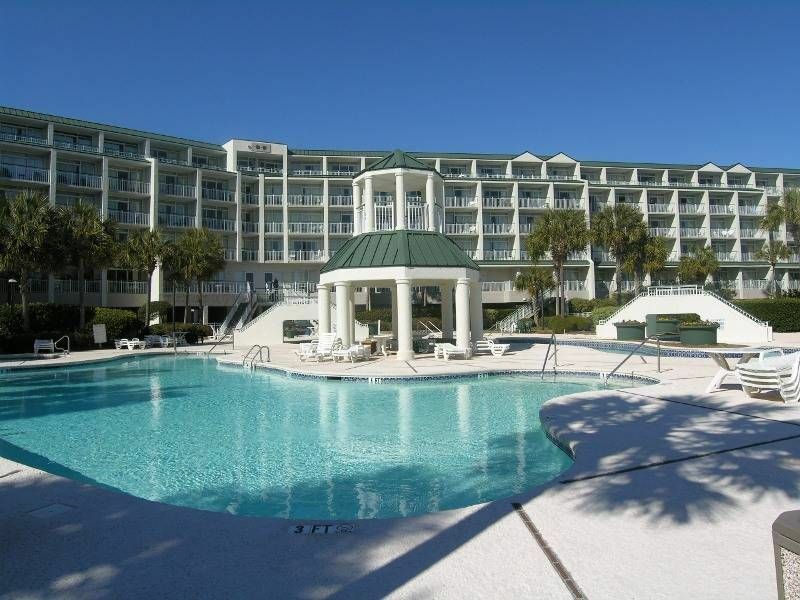 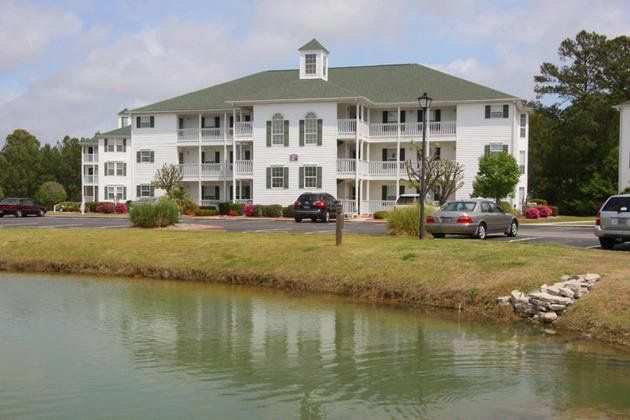 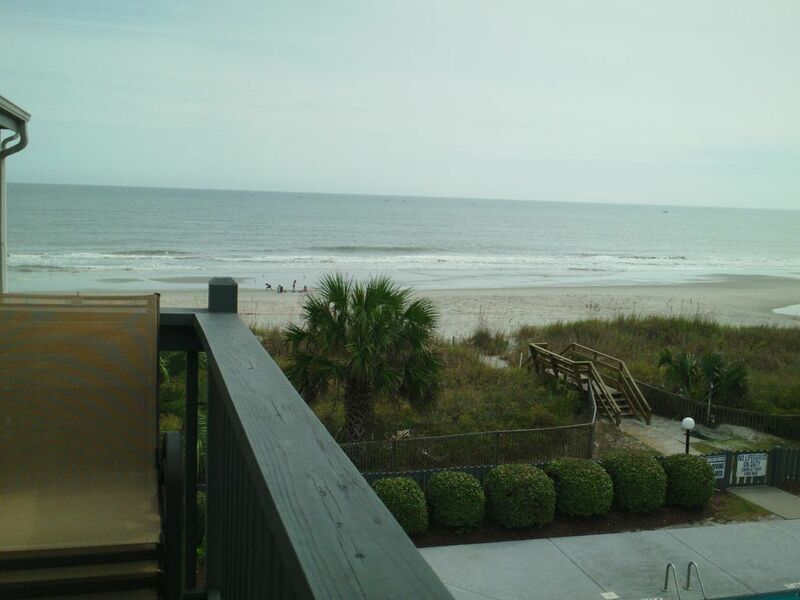 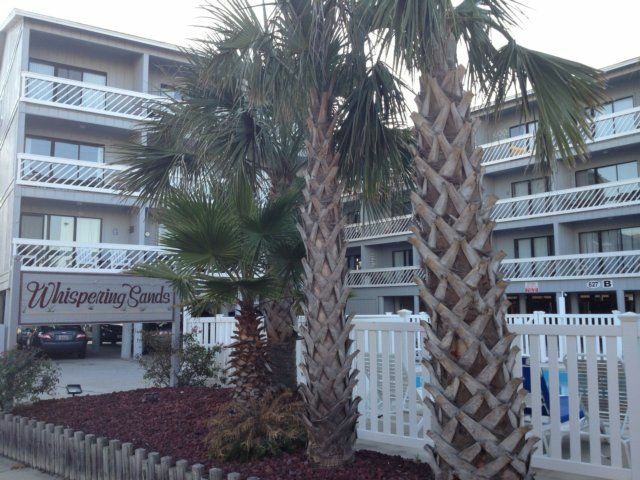 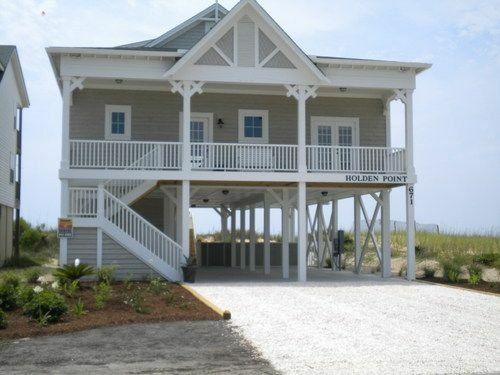 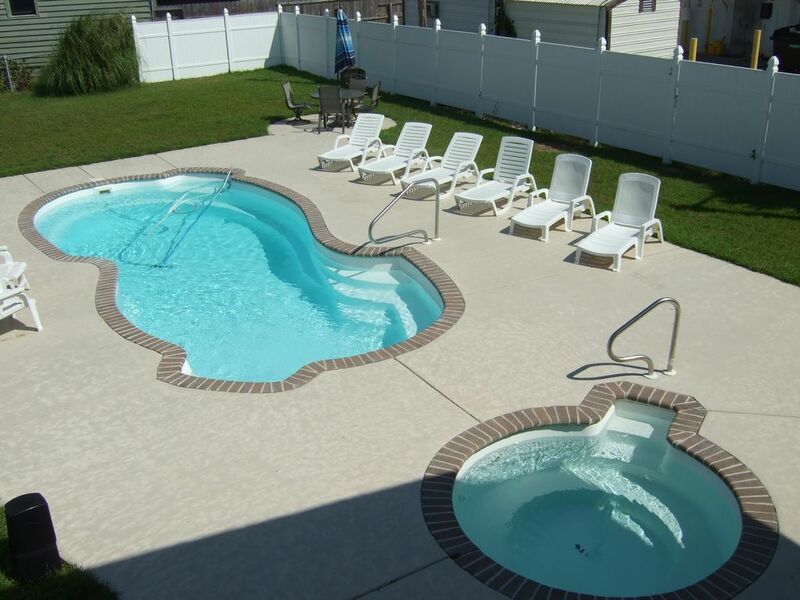 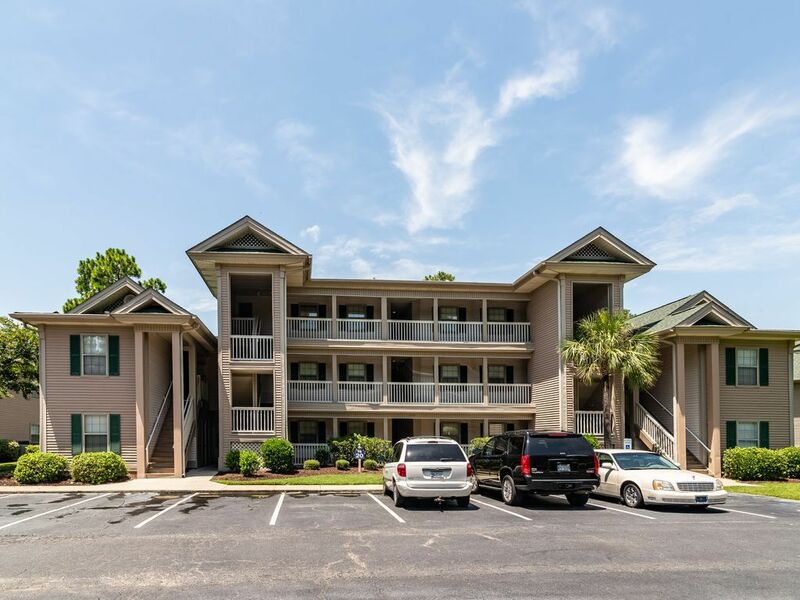 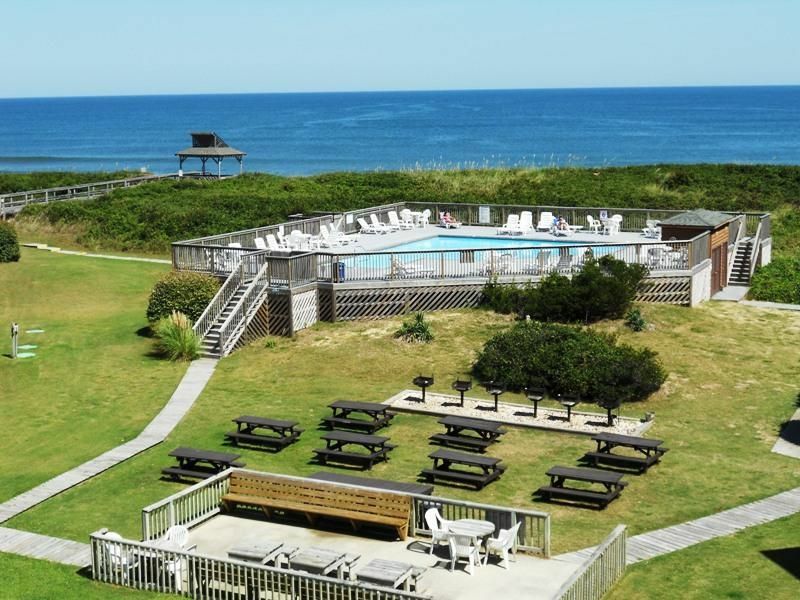 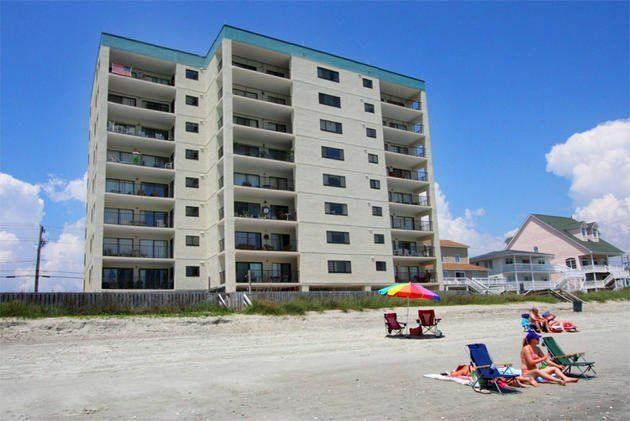 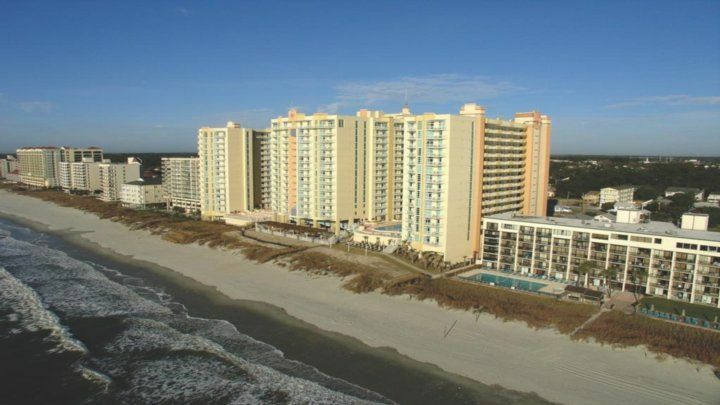 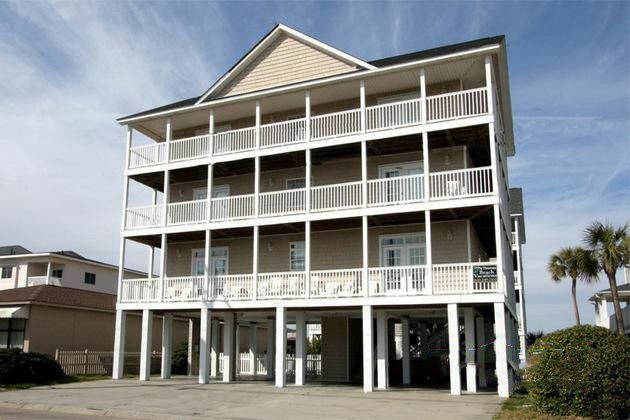 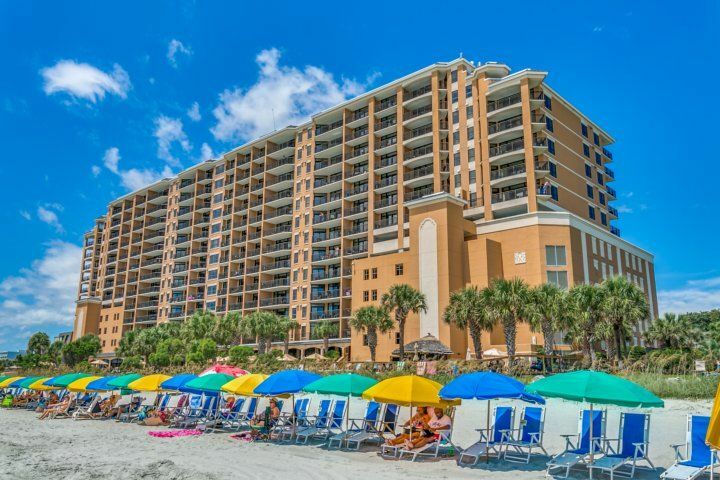 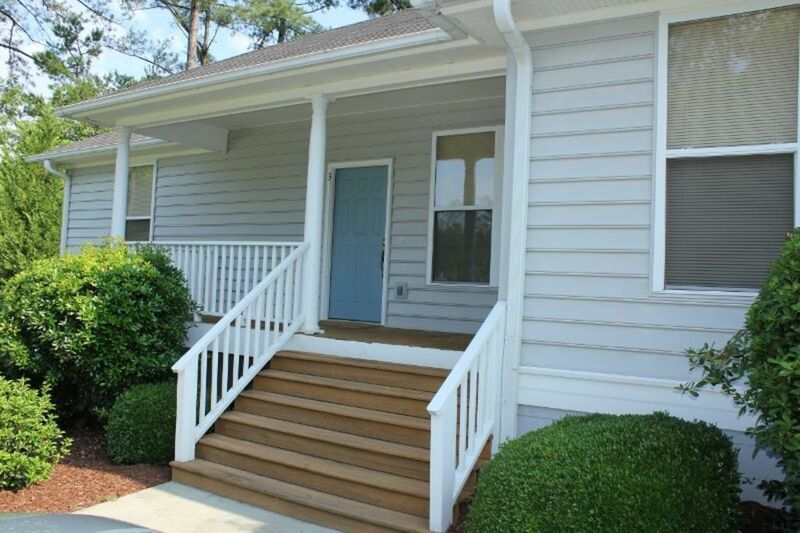 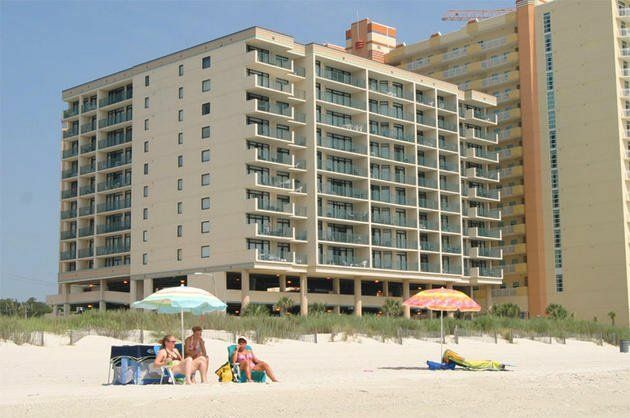 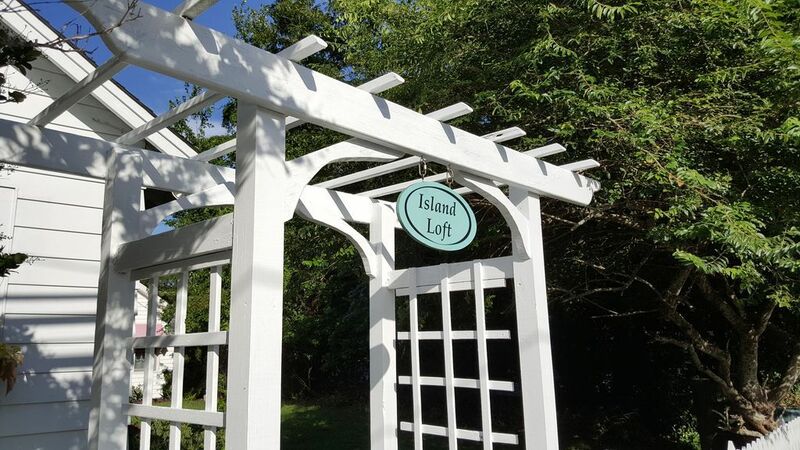 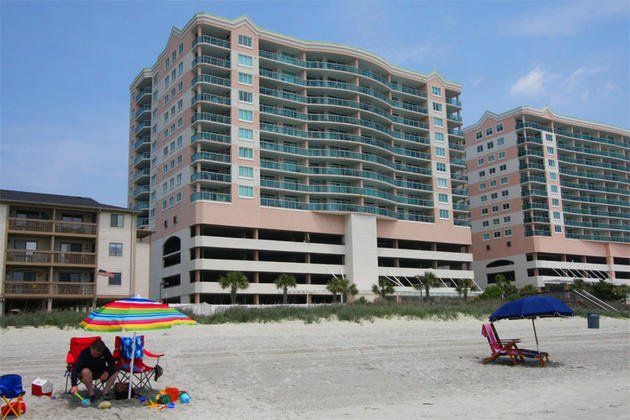 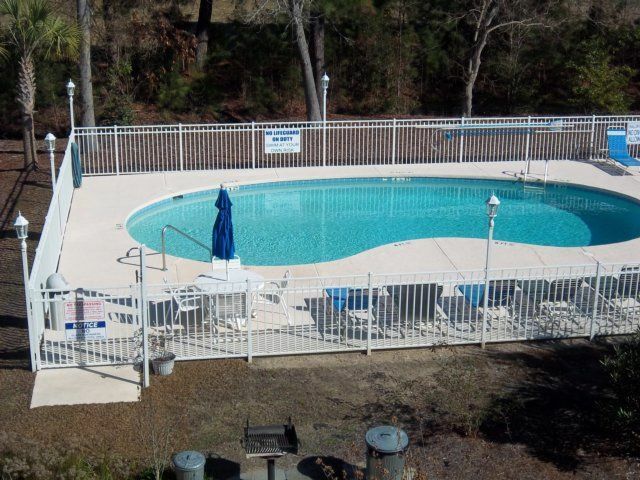 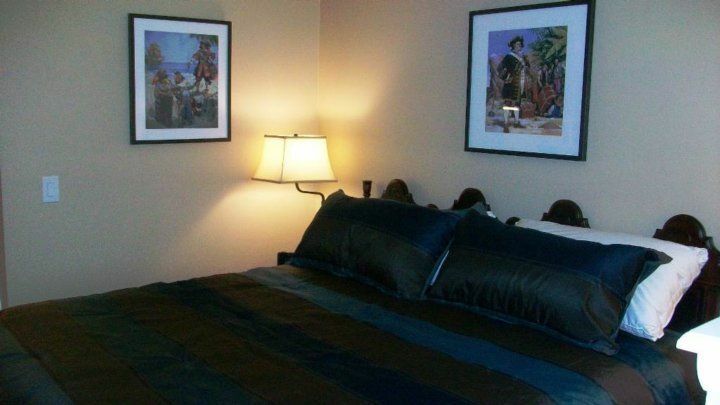 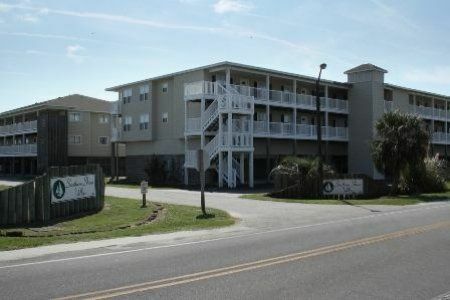 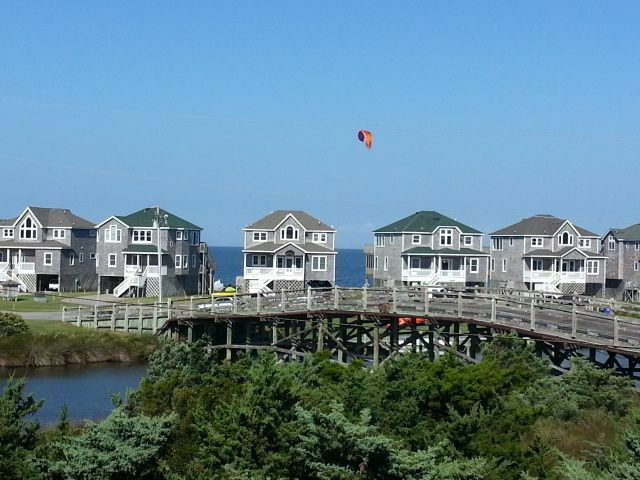 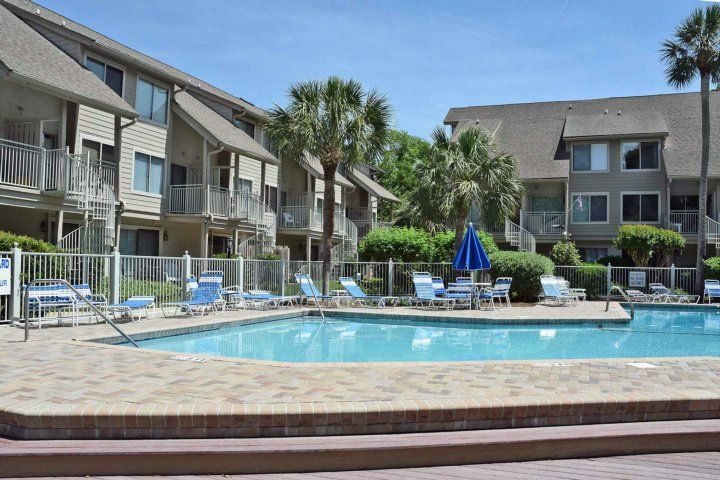 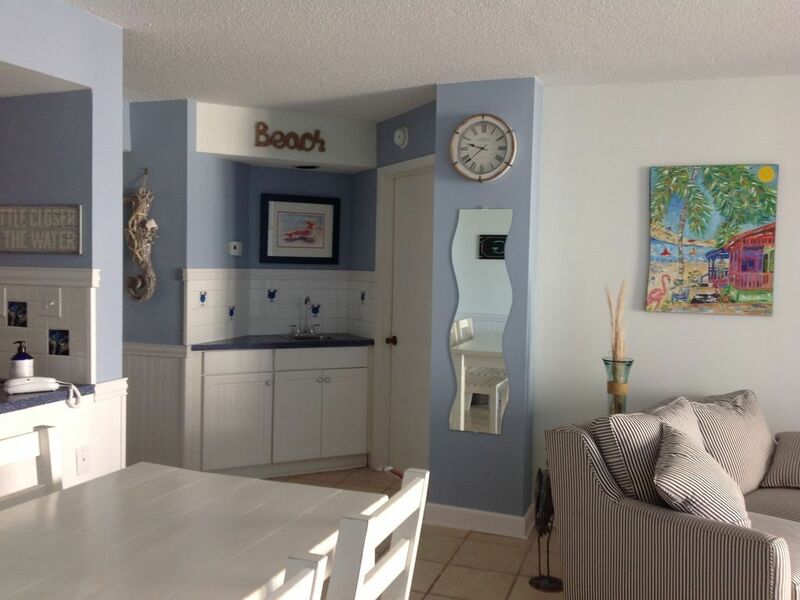 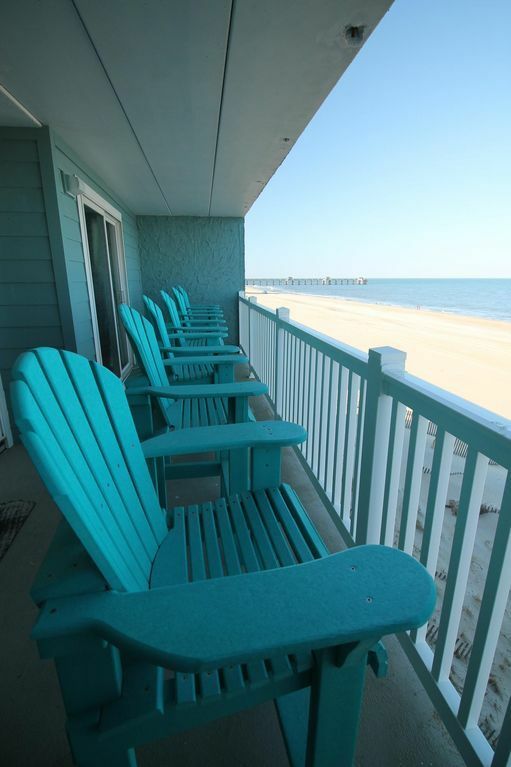 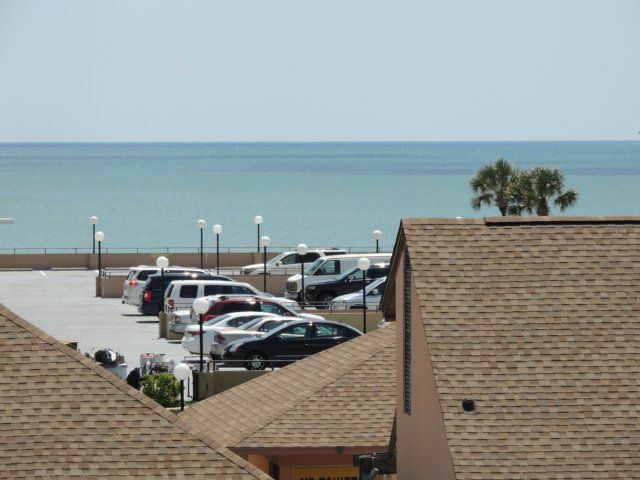 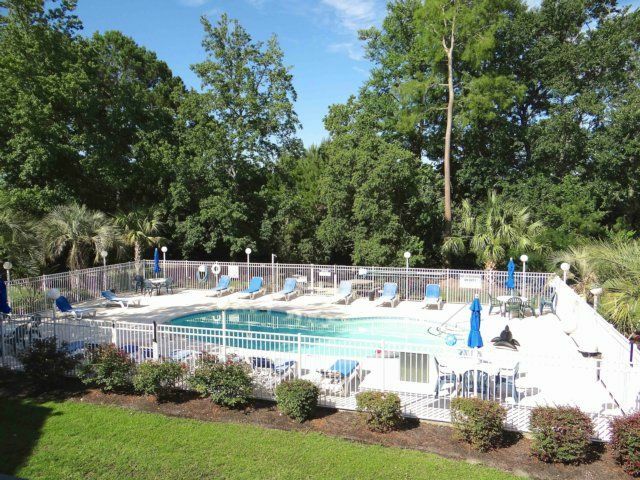 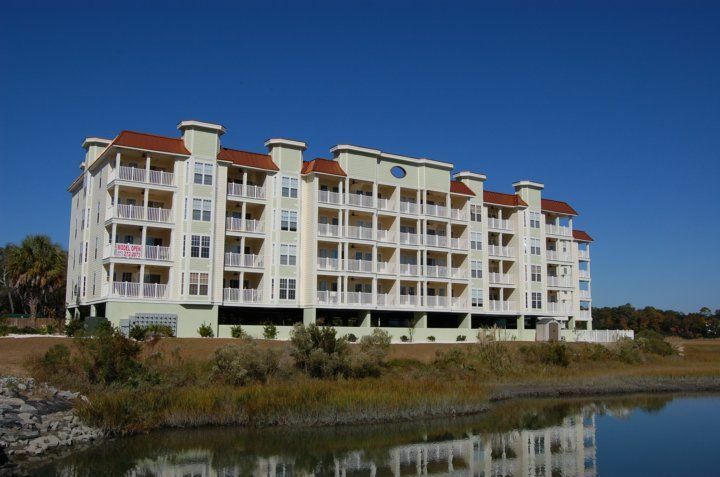 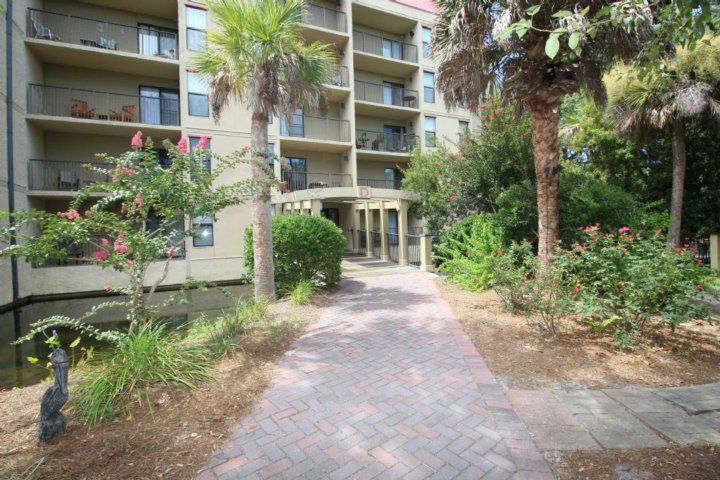 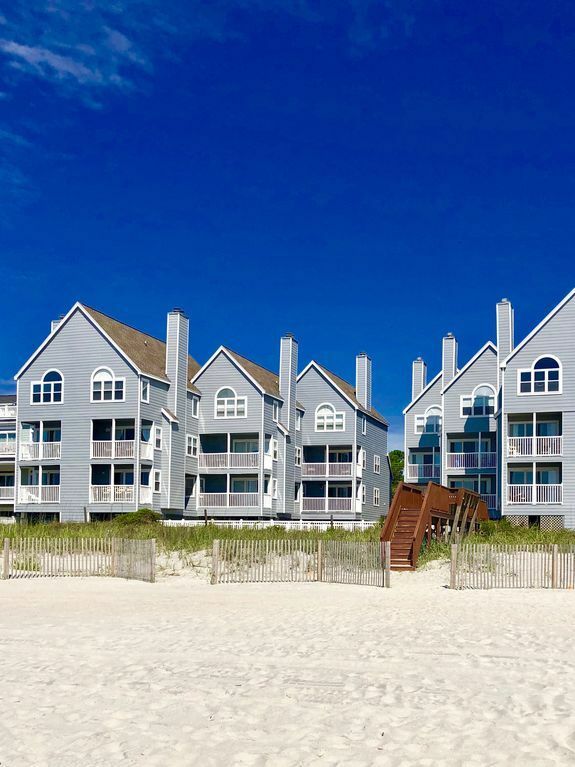 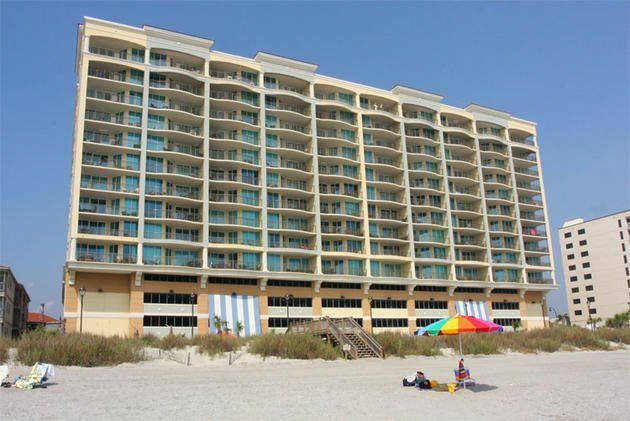 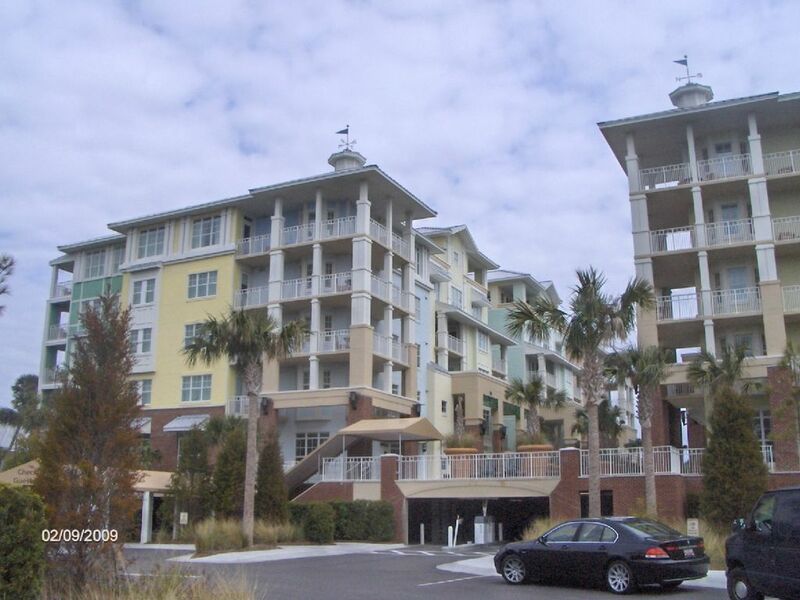 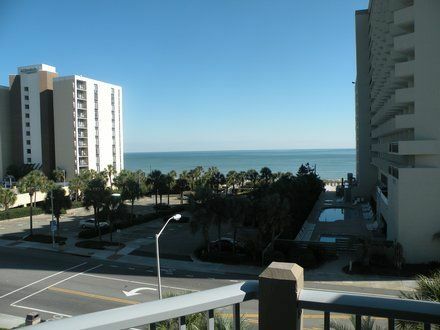 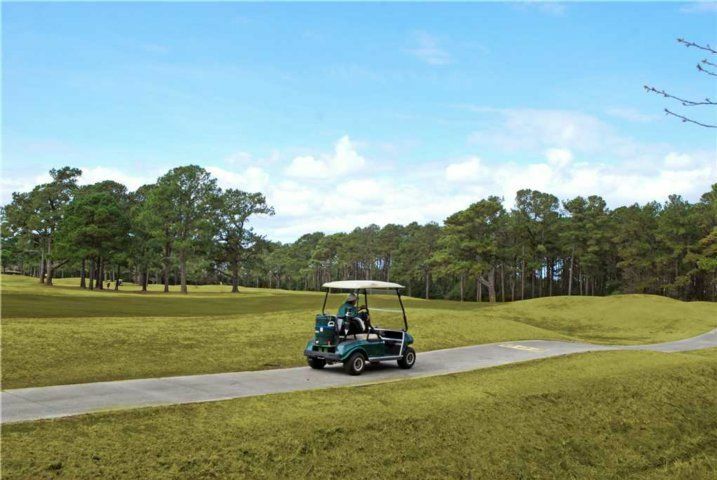 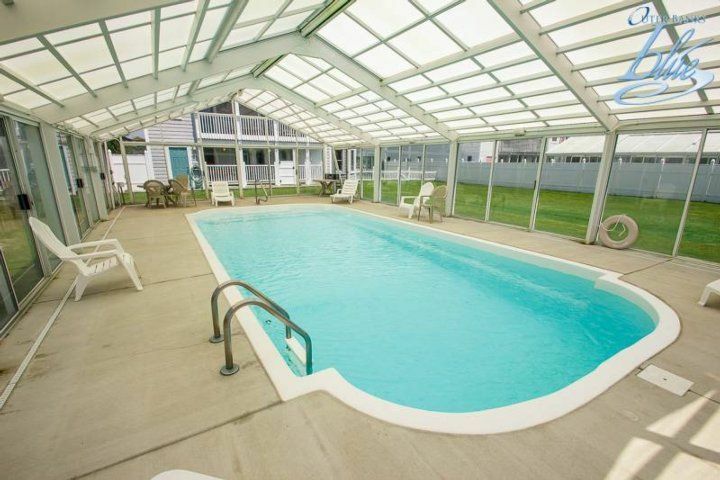 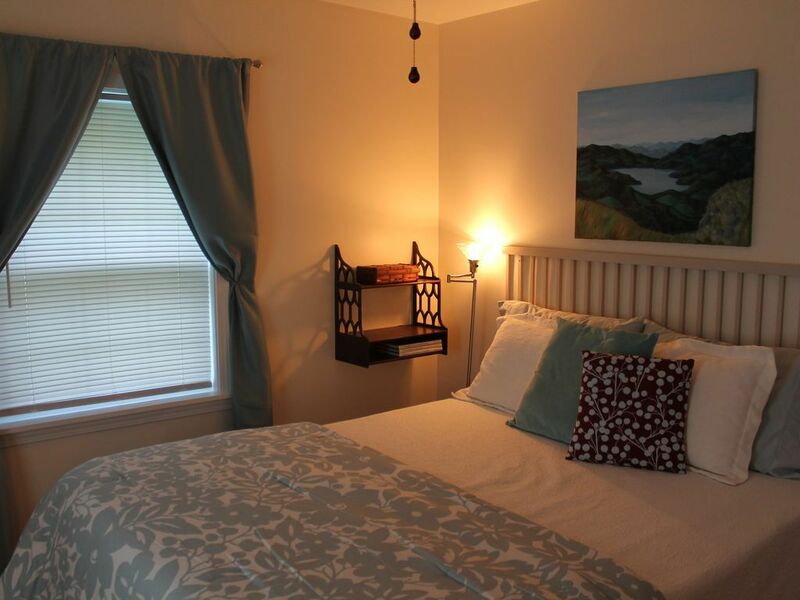 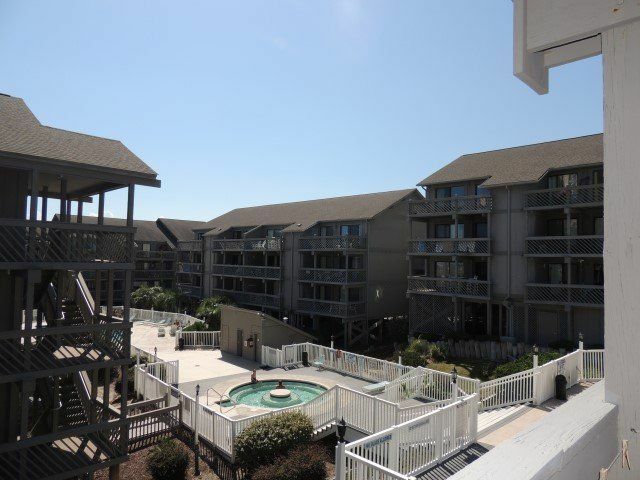 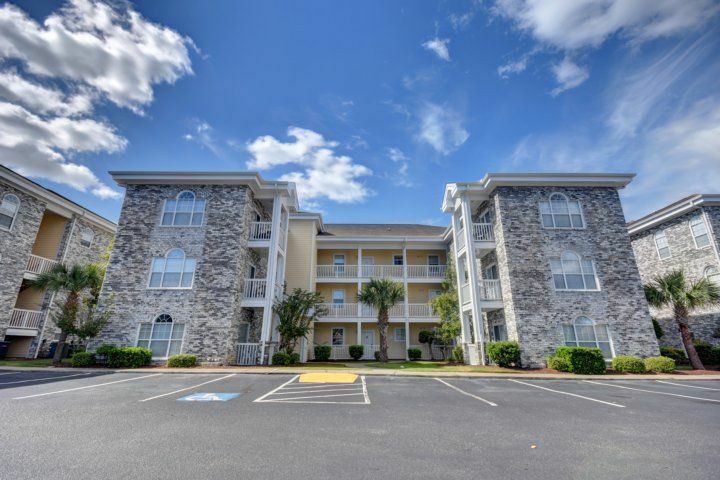 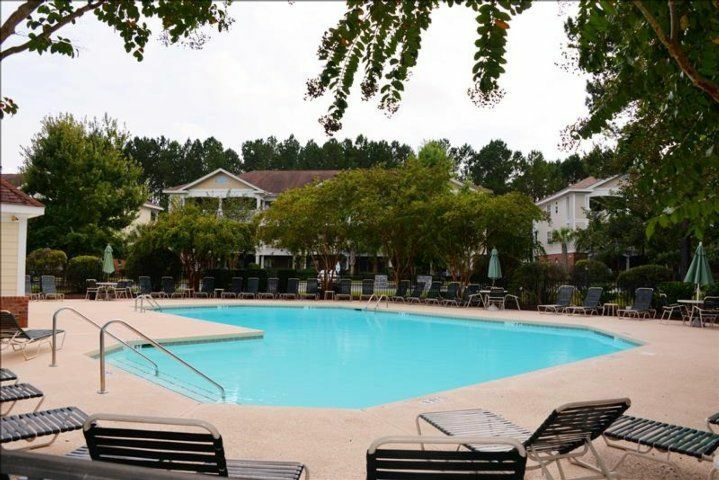 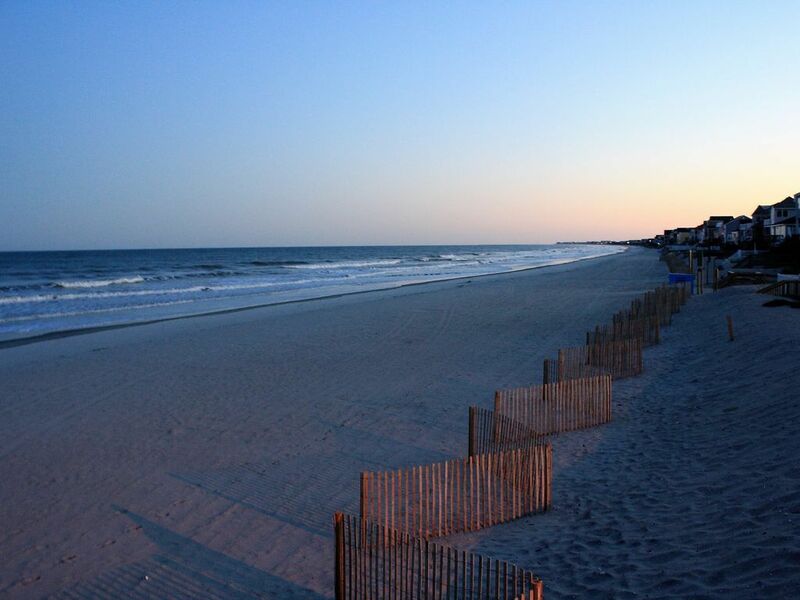 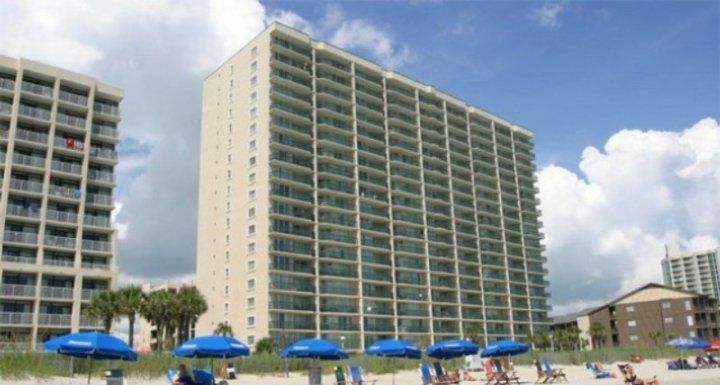 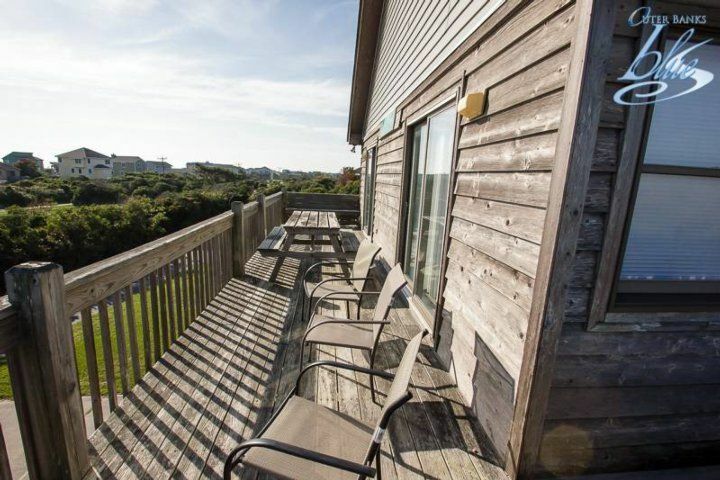 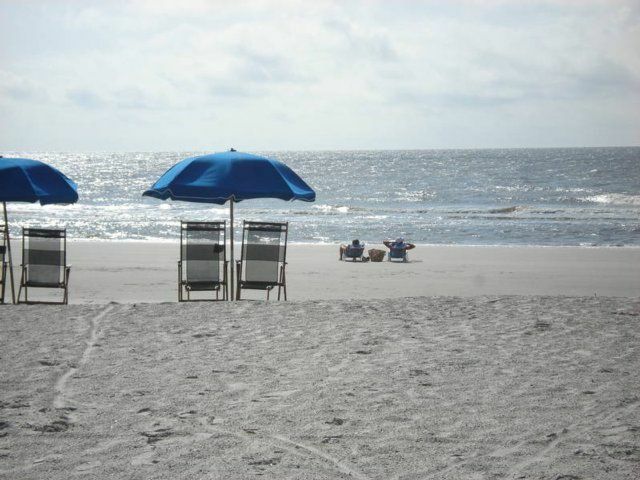 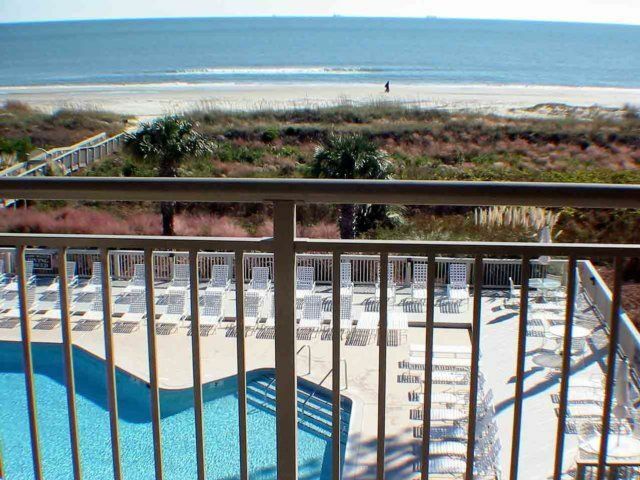 Guest amenities include complimentary Wi-Fi, a washer/dryer, and parking for four vehicles in the driveway. 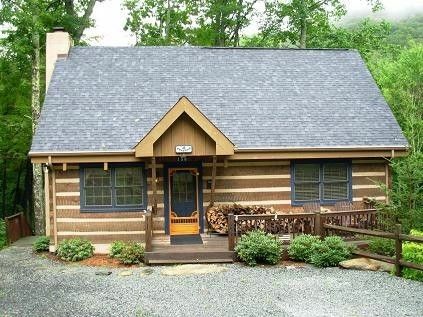 As an added convenience, firewood is provided for your use. 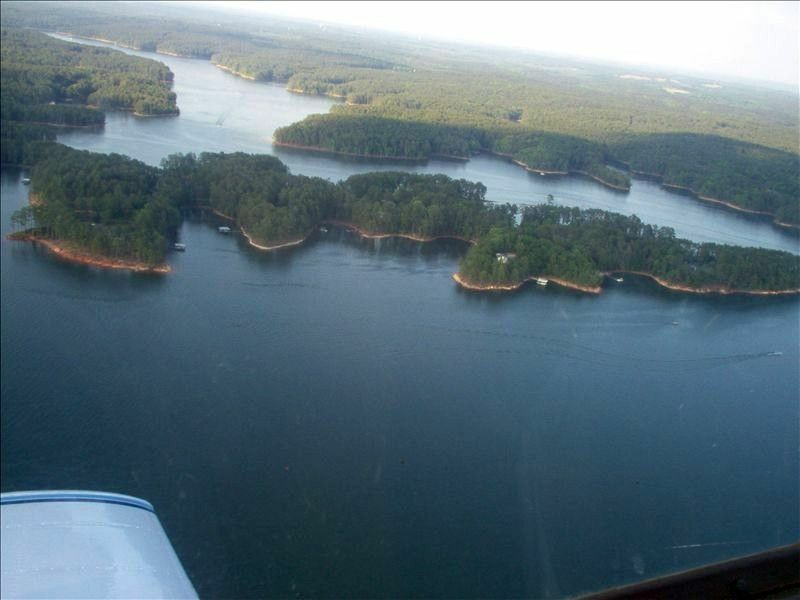 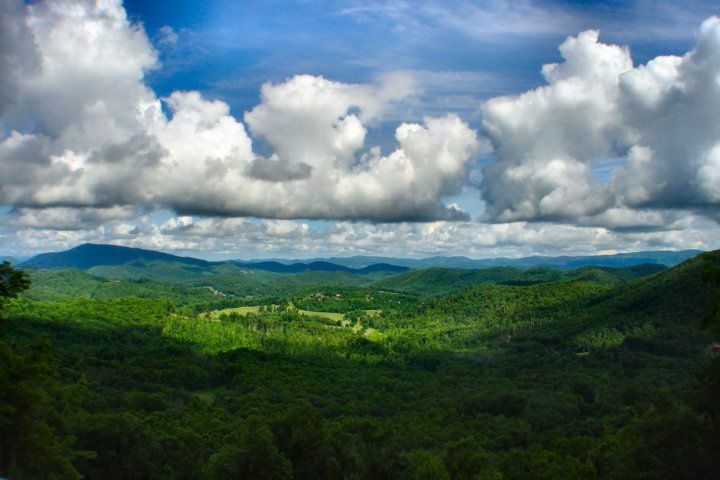 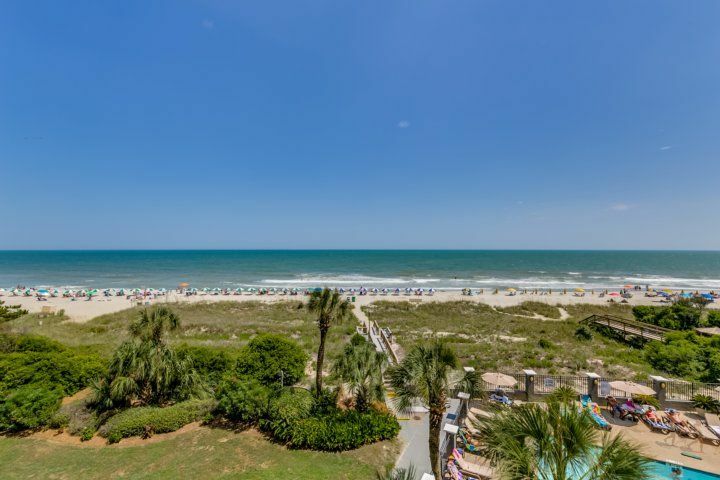 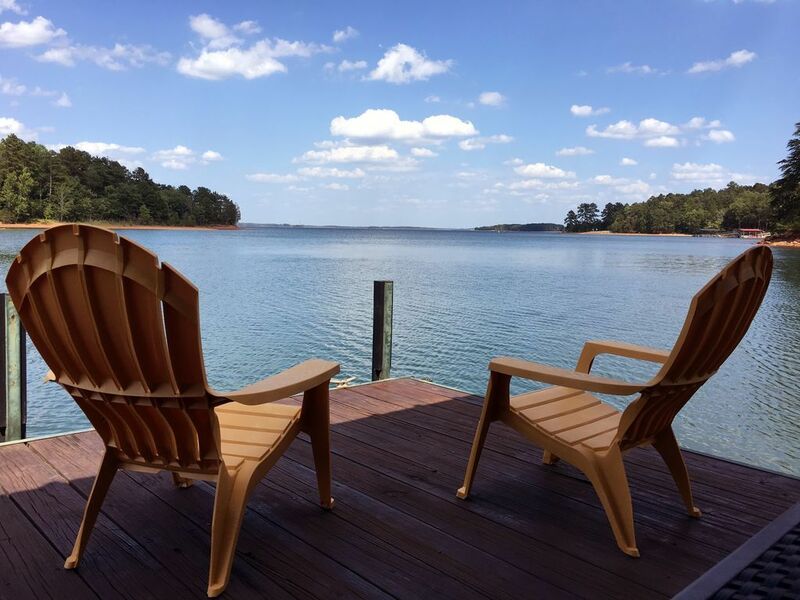 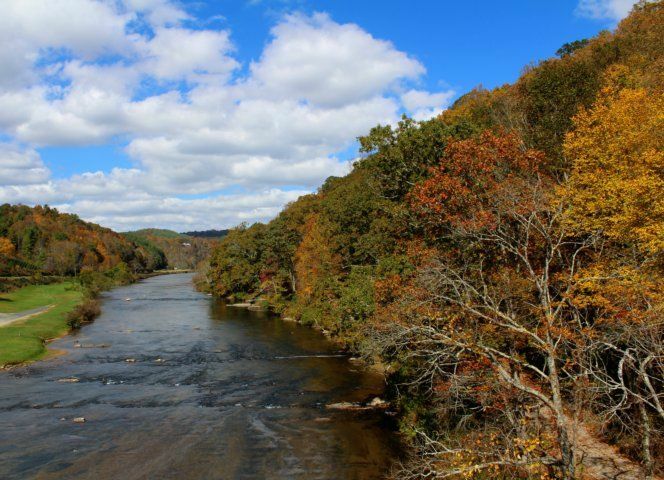 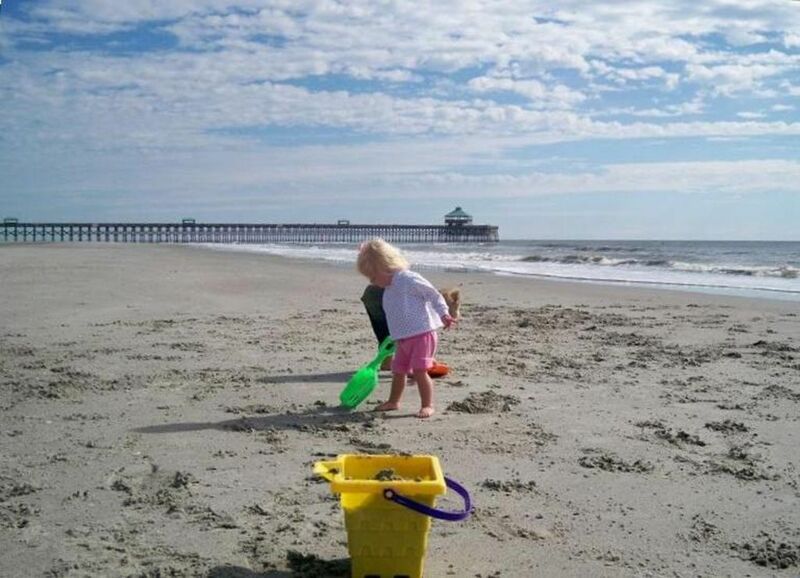 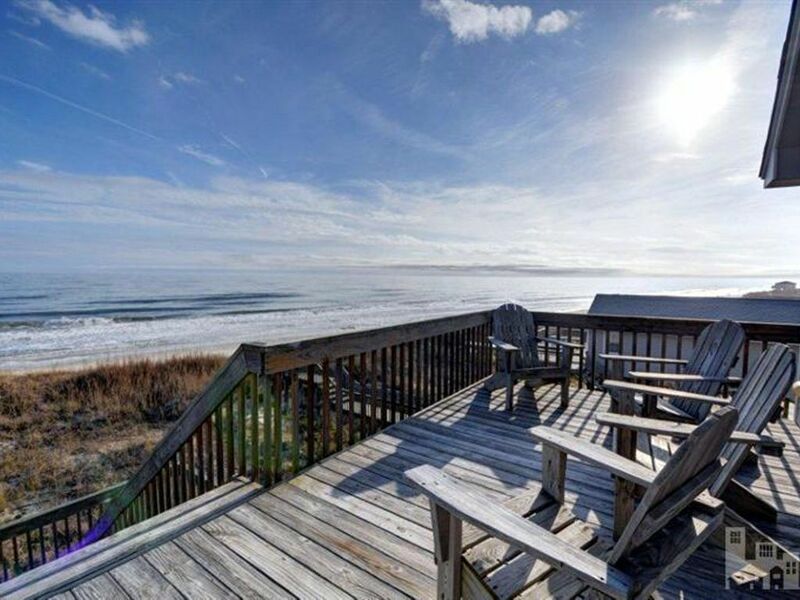 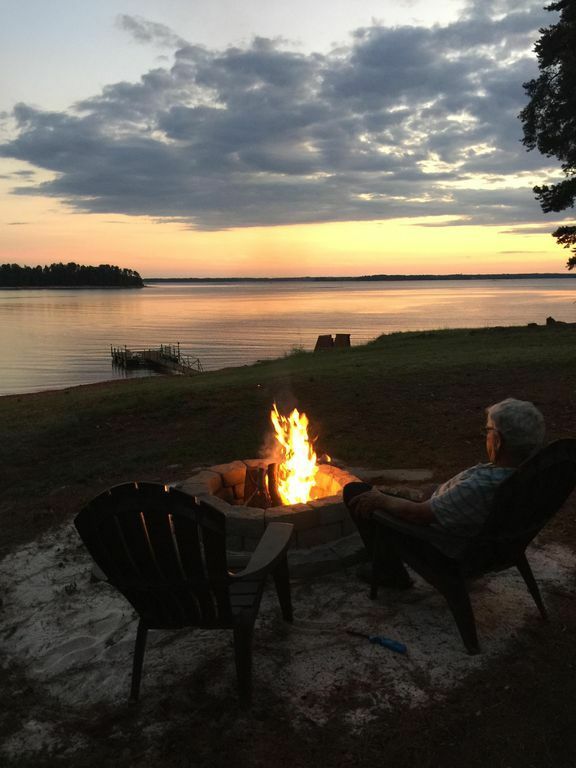 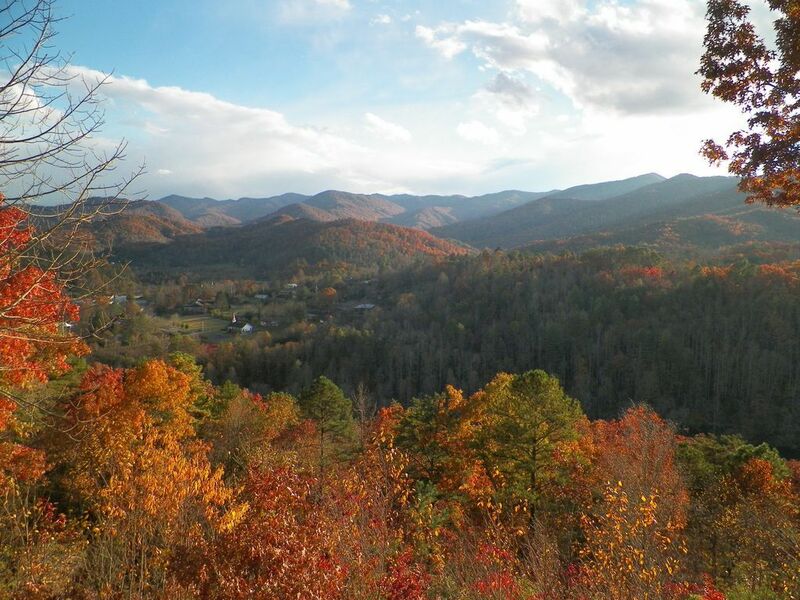 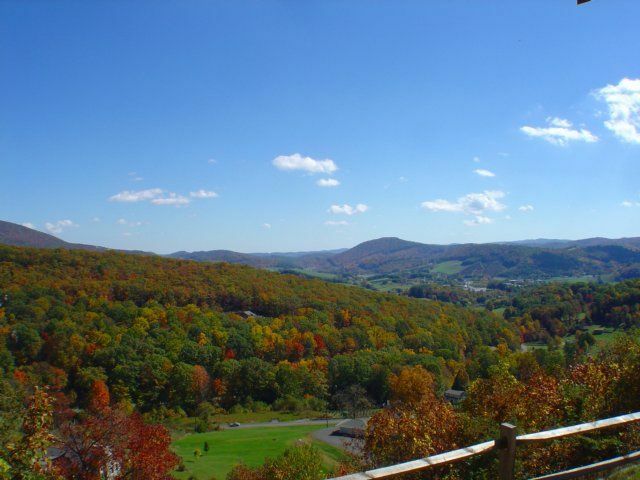 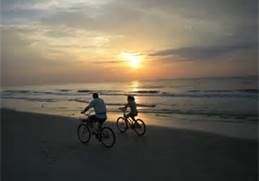 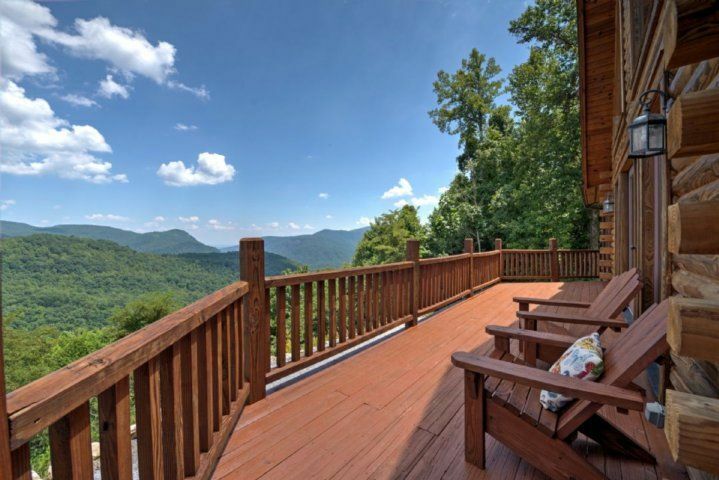 This popular area of North Carolina is known for top-notch restaurants, abundant craft breweries, Cataloochee Ski Resort, Harrah's Cherokee Casino, and scenic hiking. 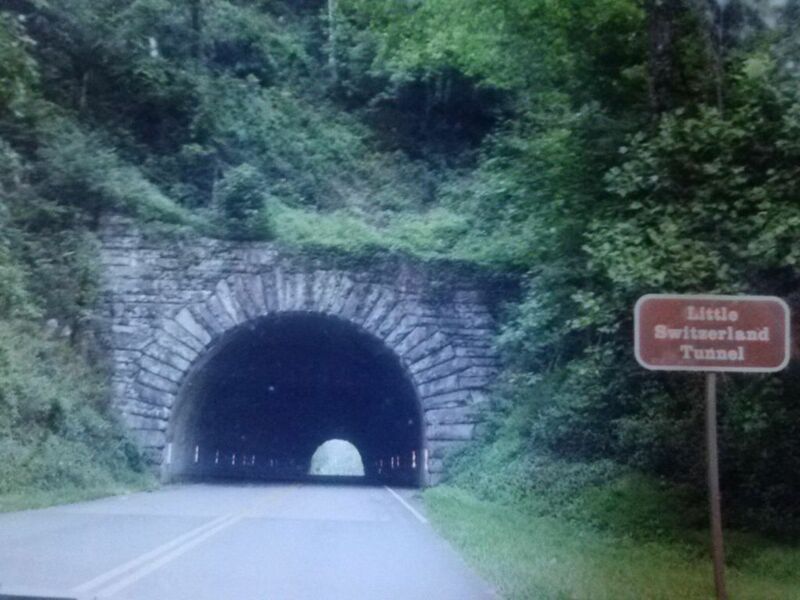 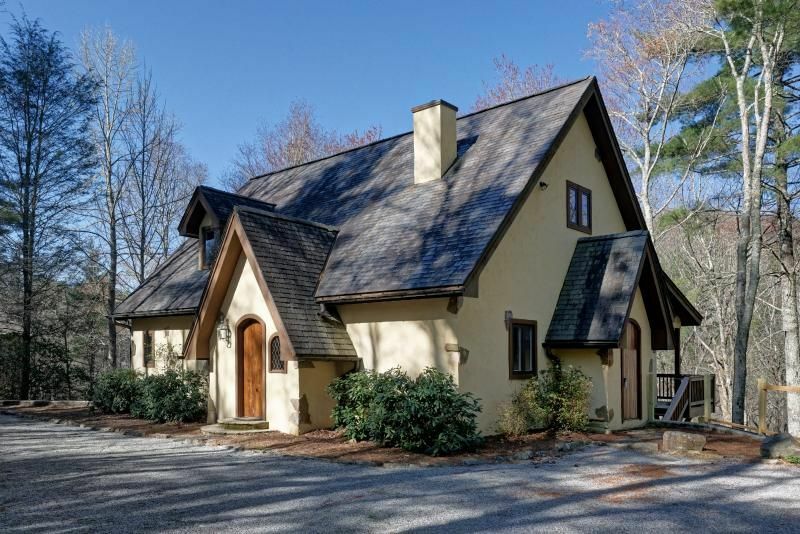 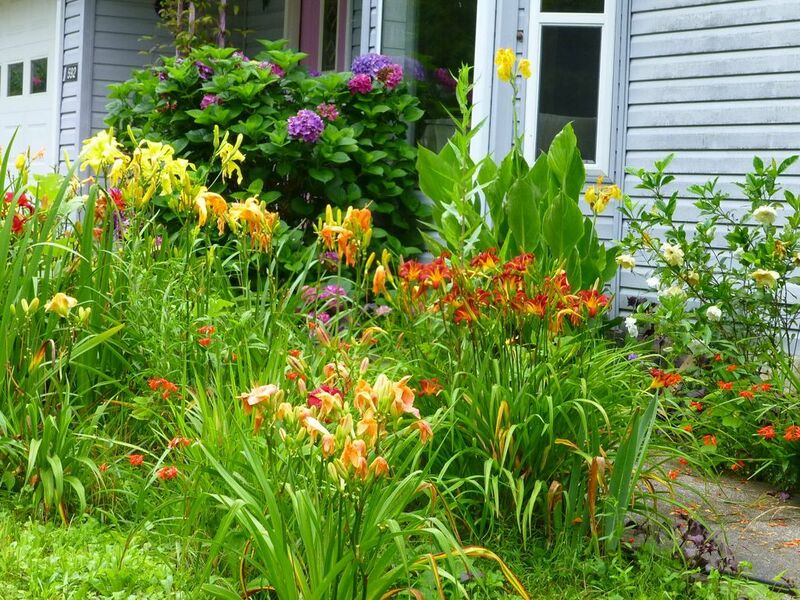 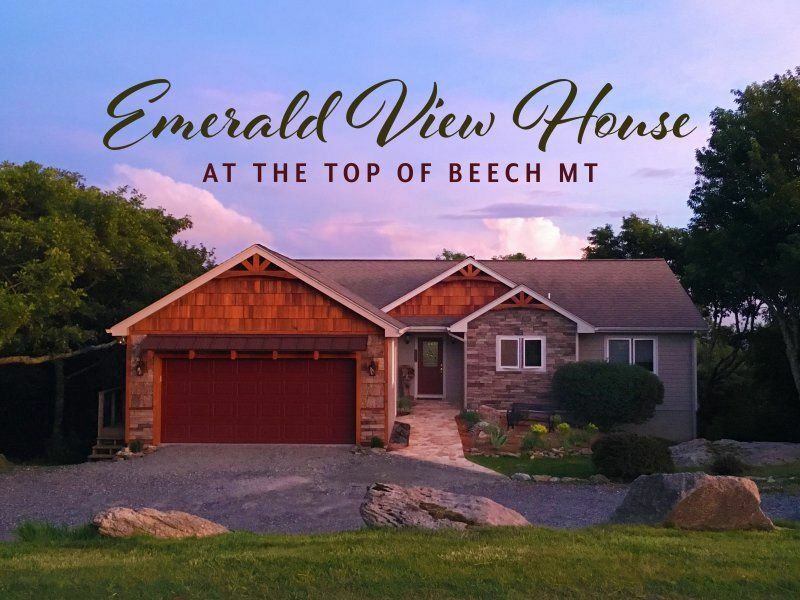 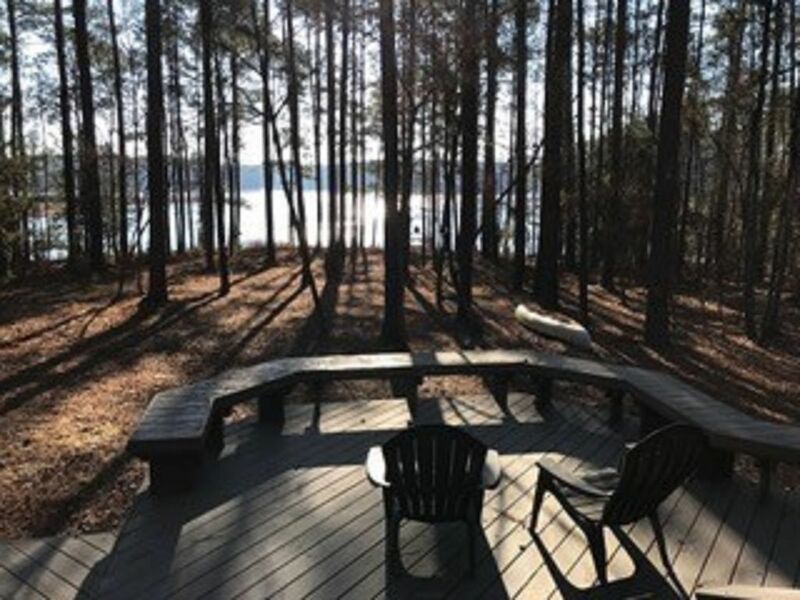 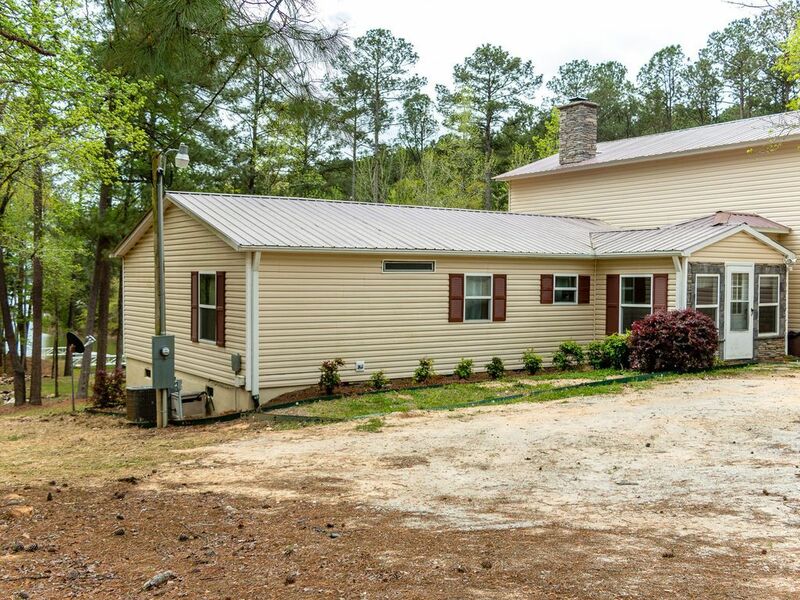 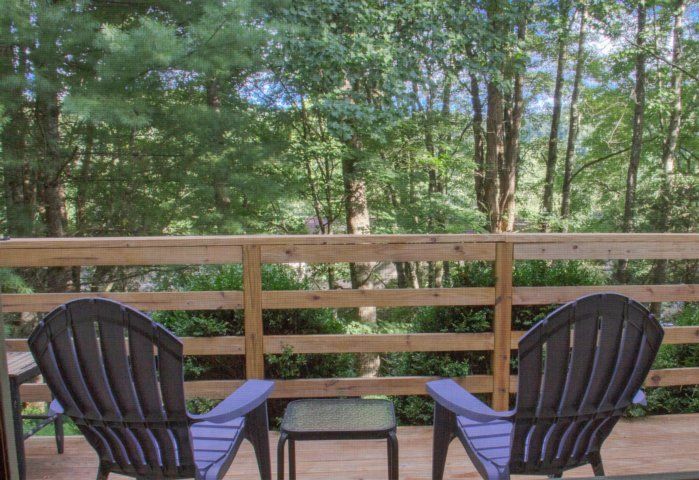 Your secluded mountain retreat is tucked away in a private neighborhood in the forest, but you?re still close to many of the area?s top attractions. 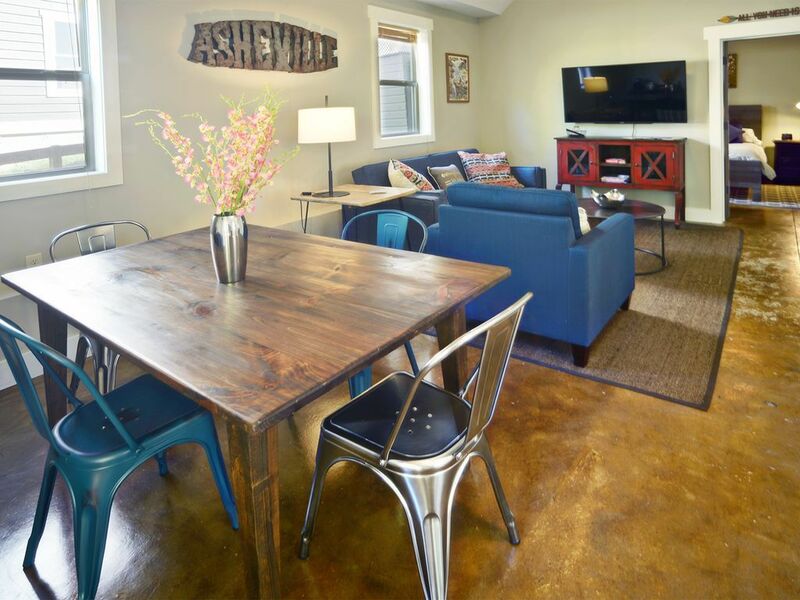 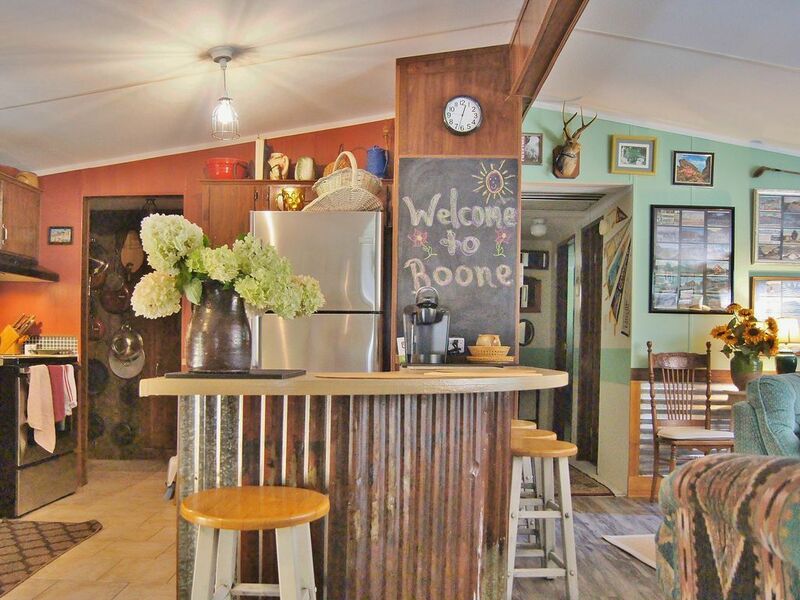 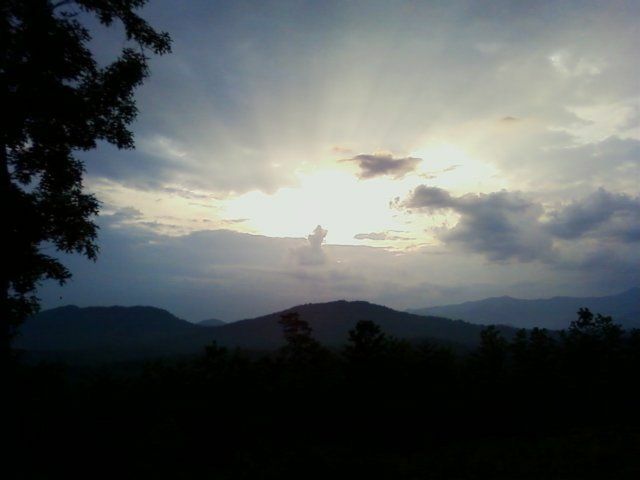 Drive to downtown Waynesville in 9 minutes or Asheville in under 40. 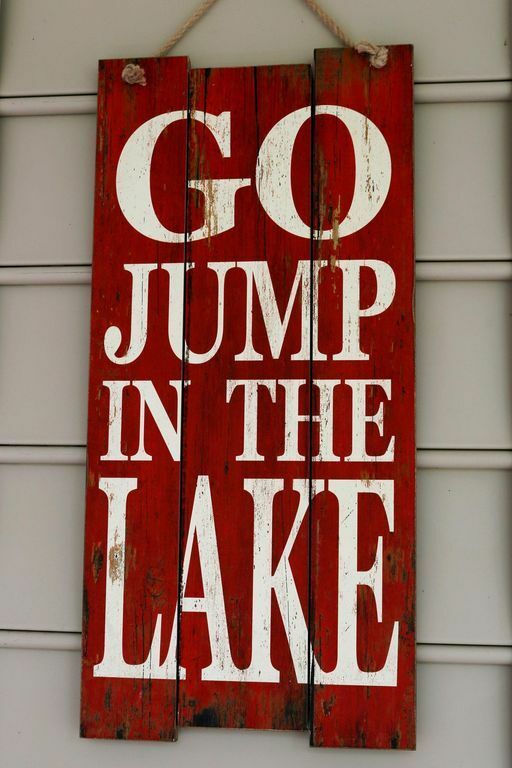 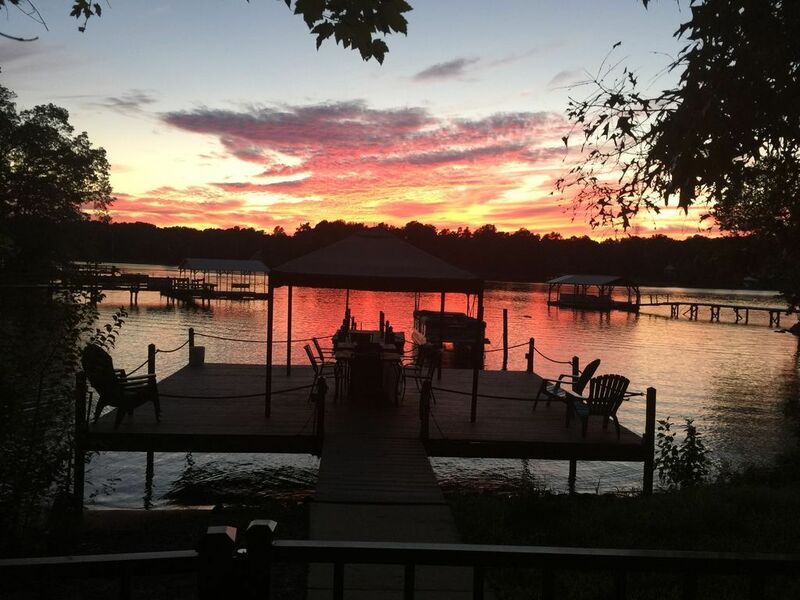 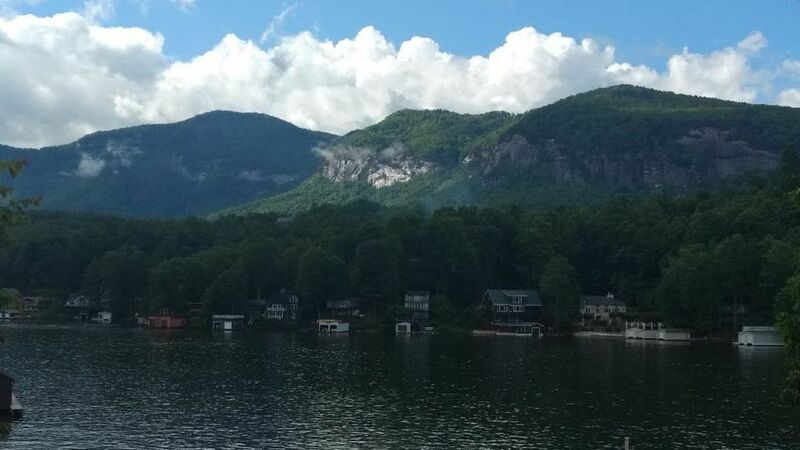 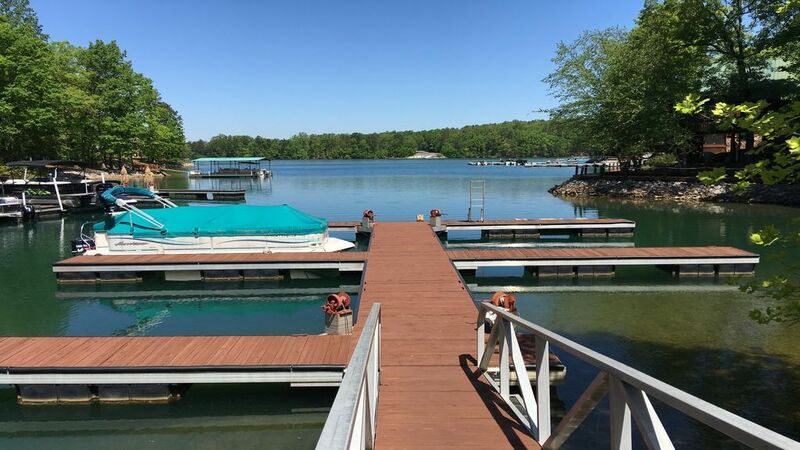 Lake Junaluska is just 10 minutes away and is a great destination for swimming, boating, and paddleboarding. 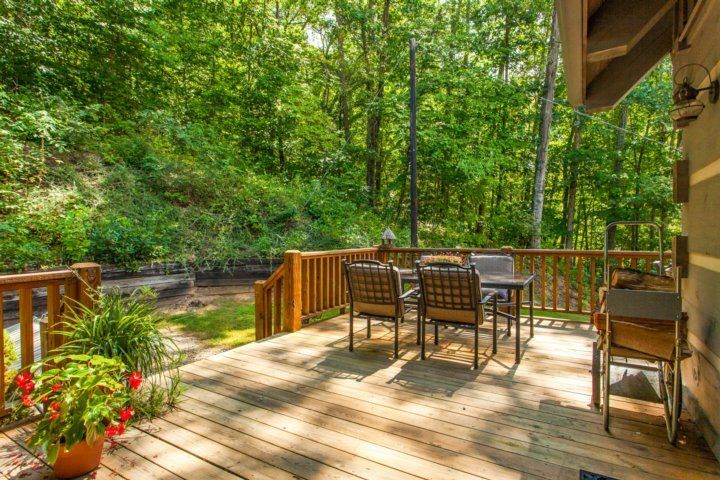 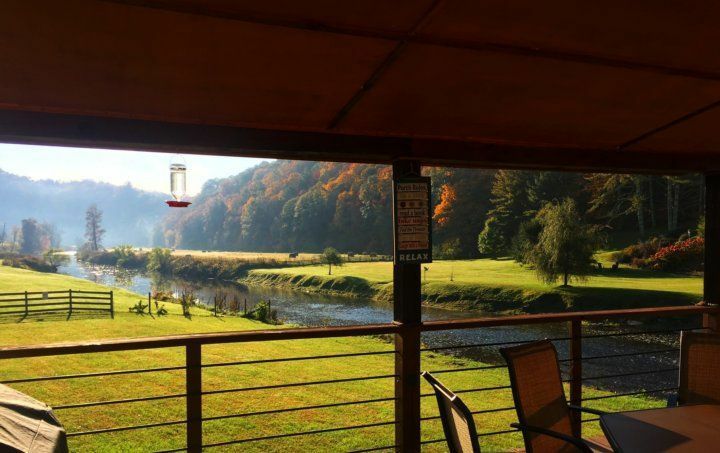 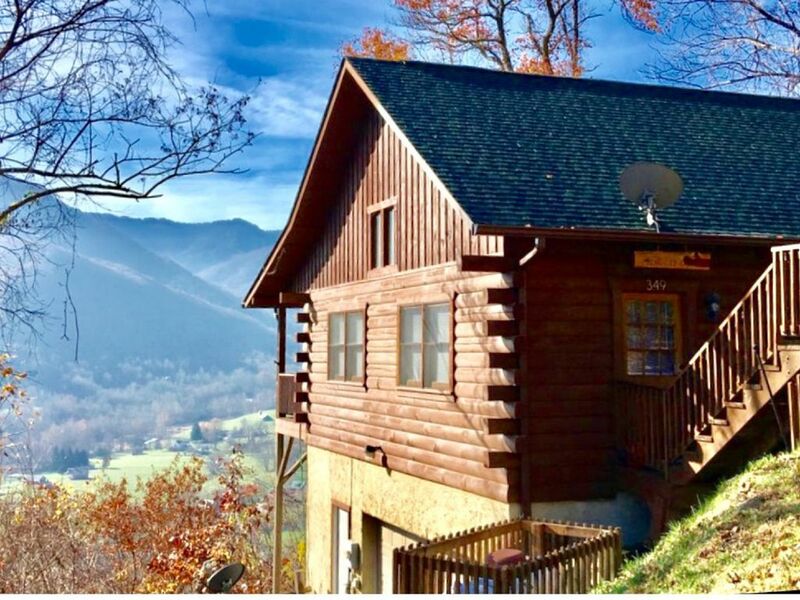 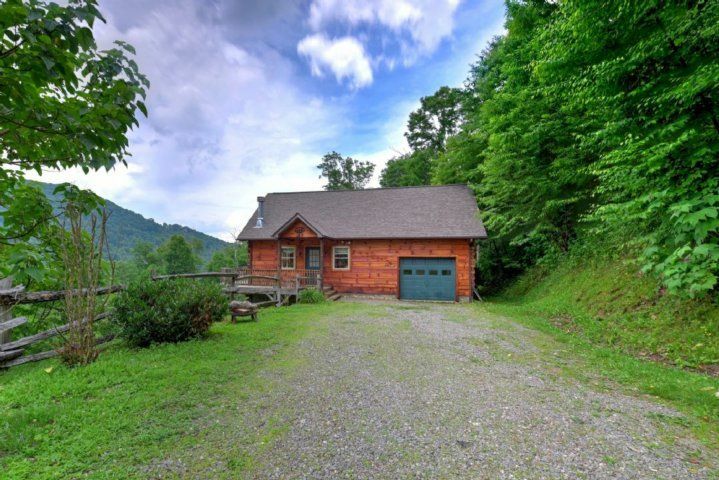 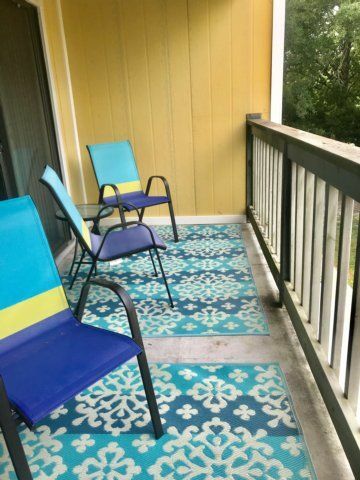 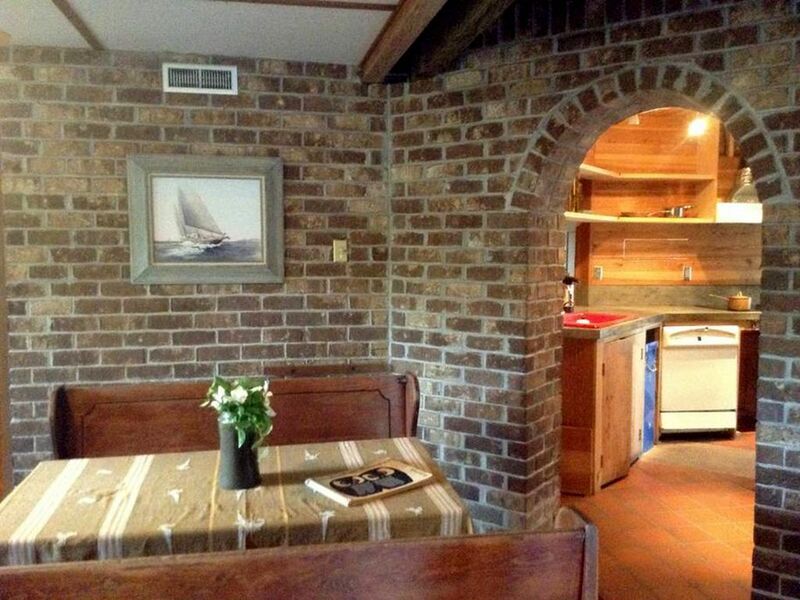 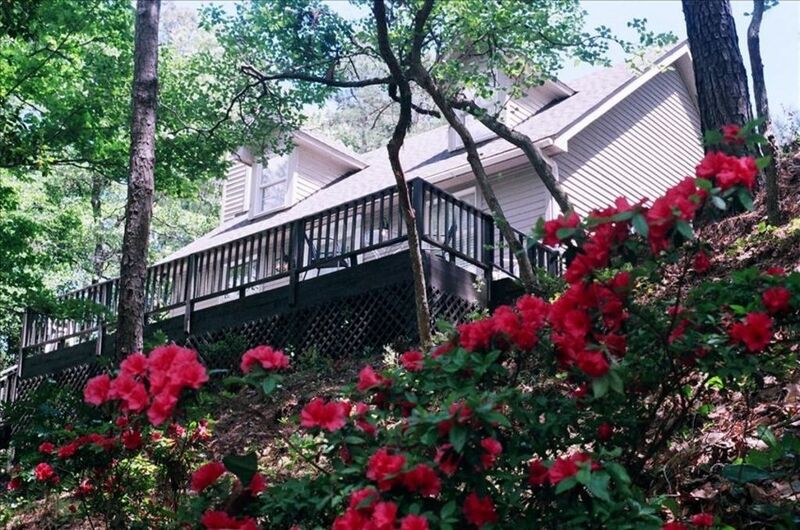 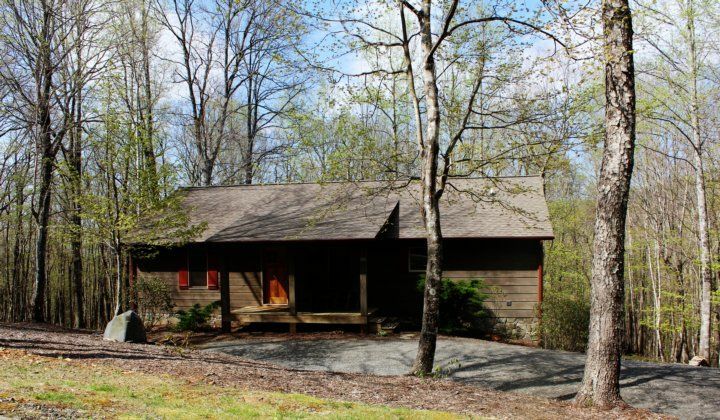 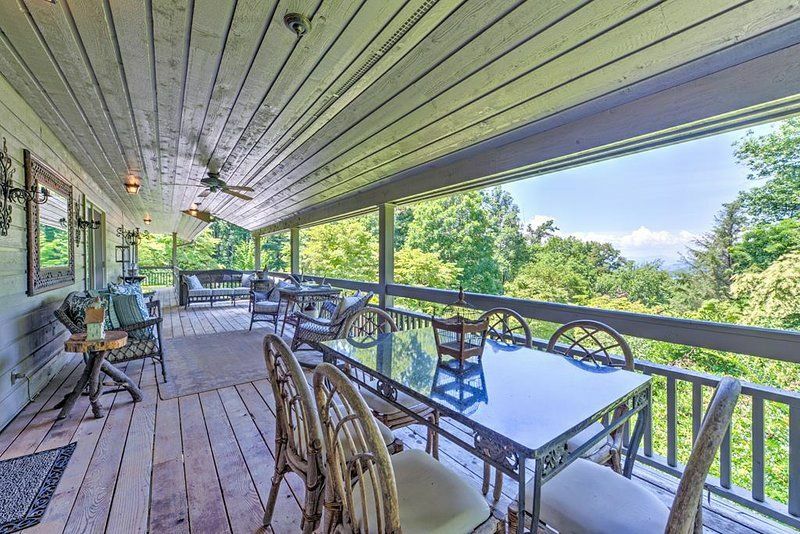 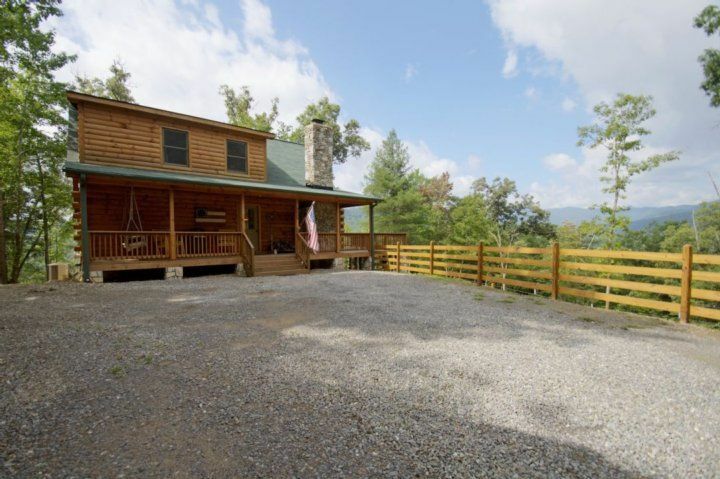 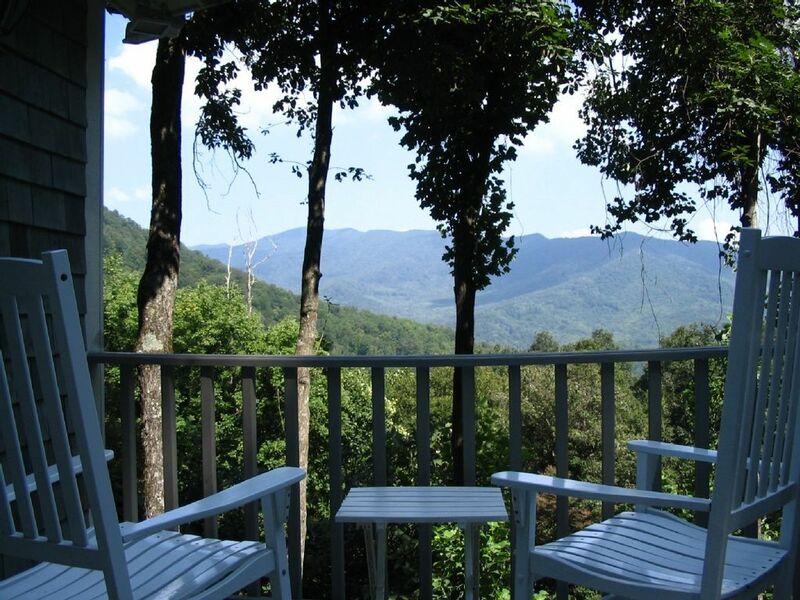 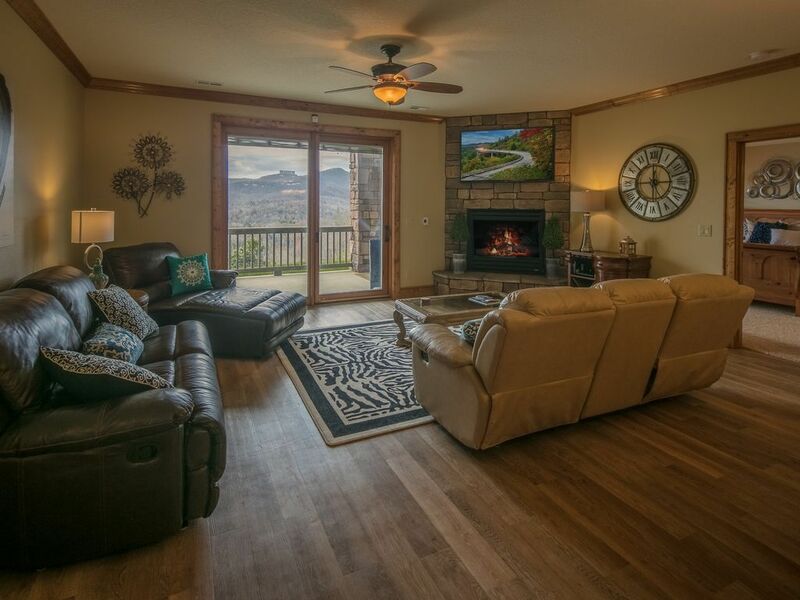 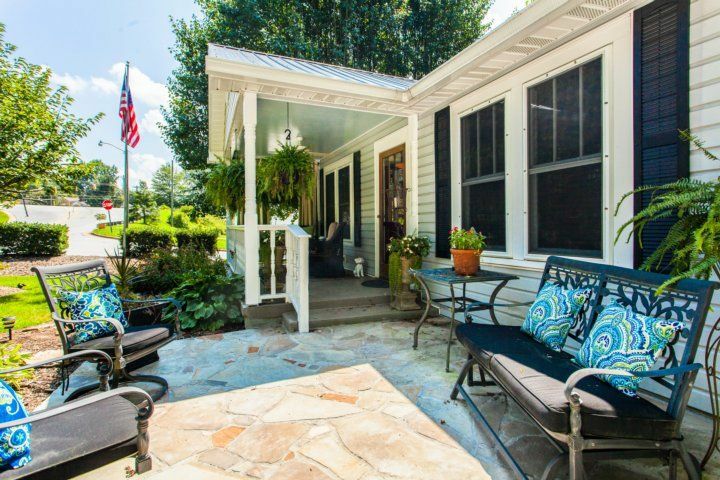 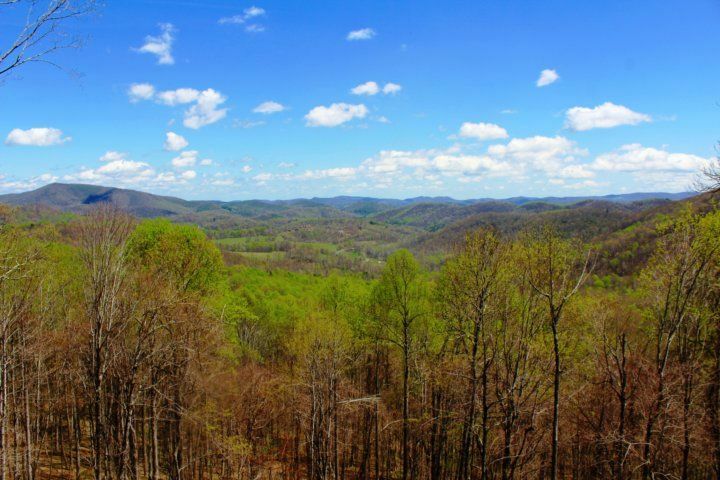 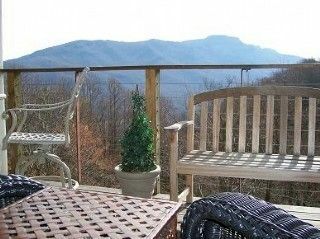 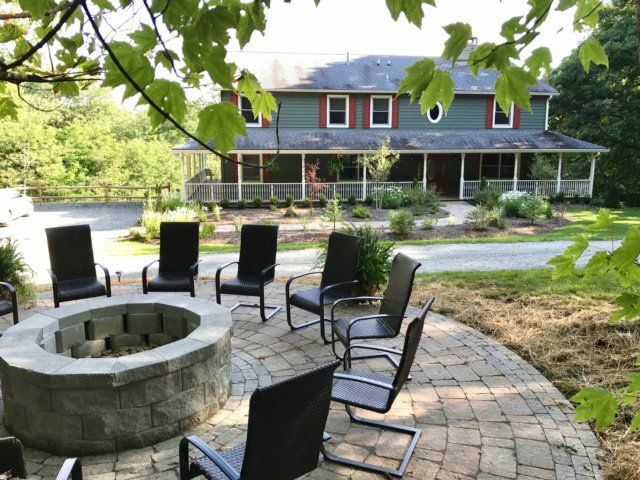 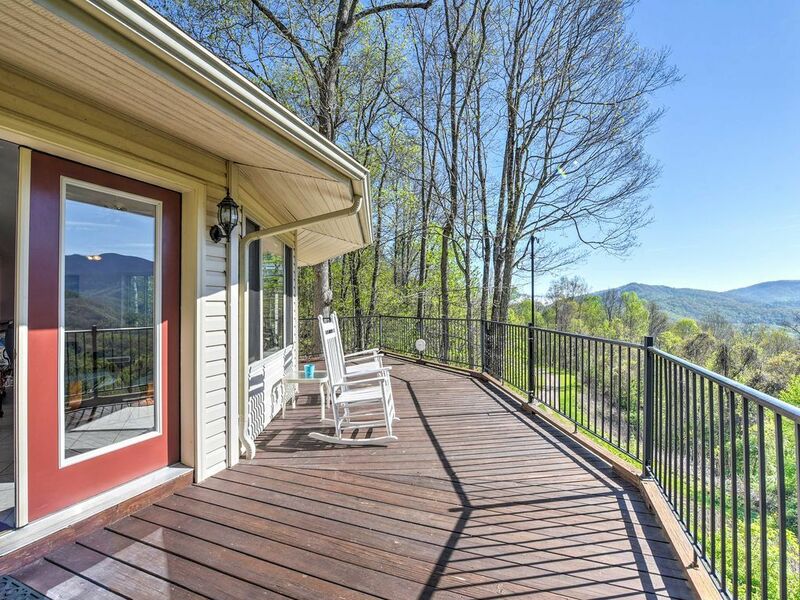 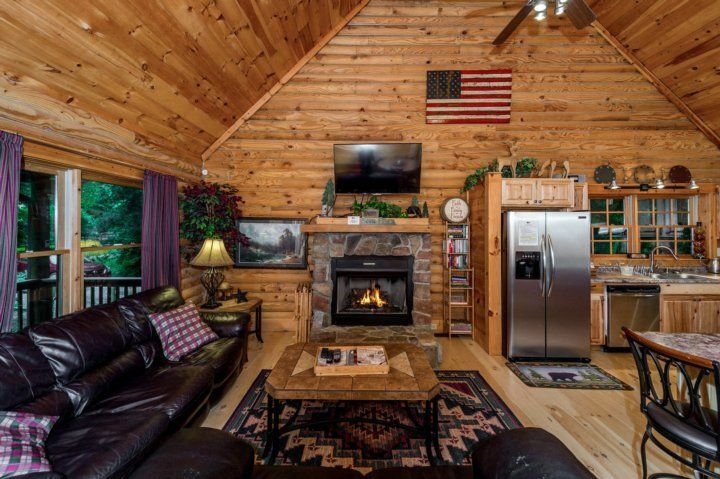 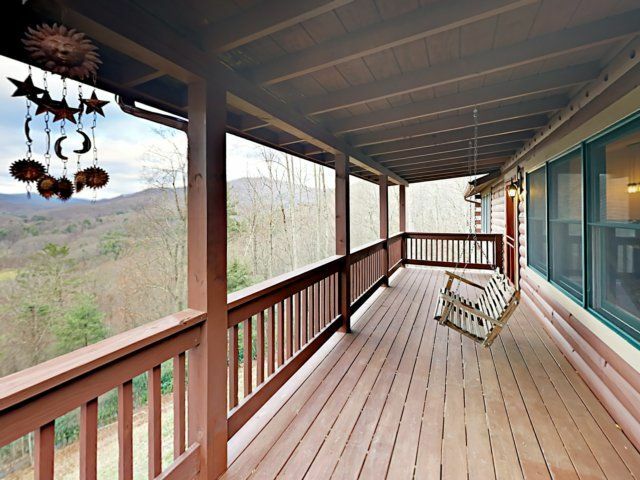 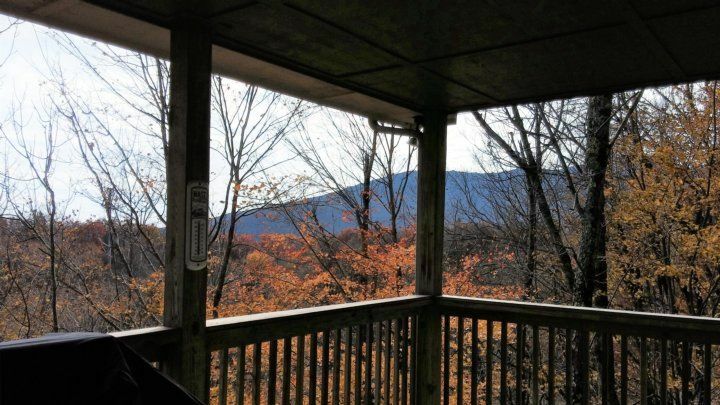 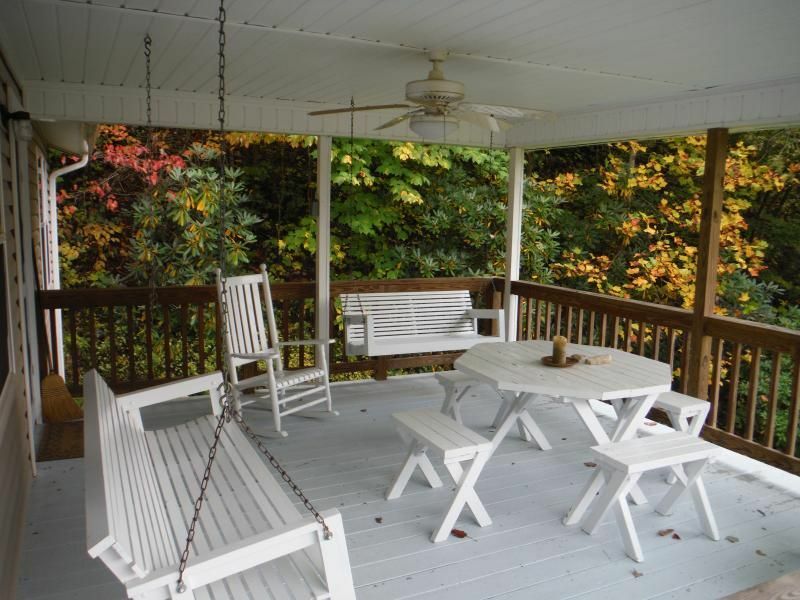 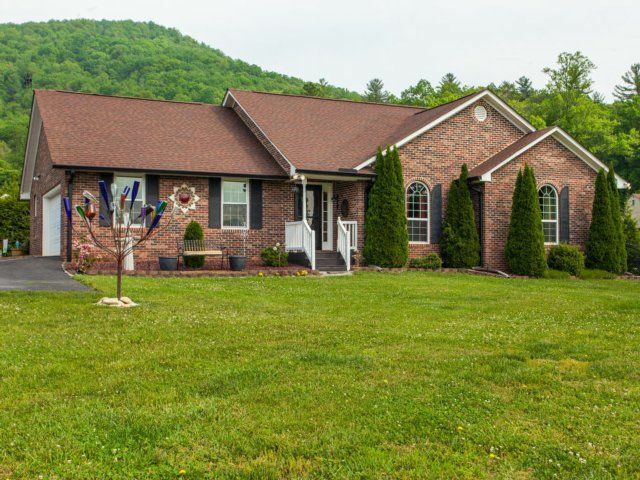 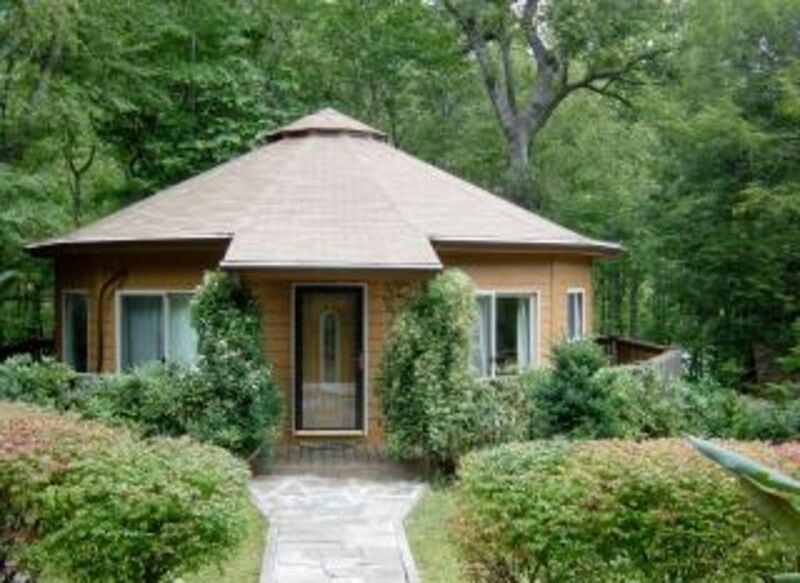 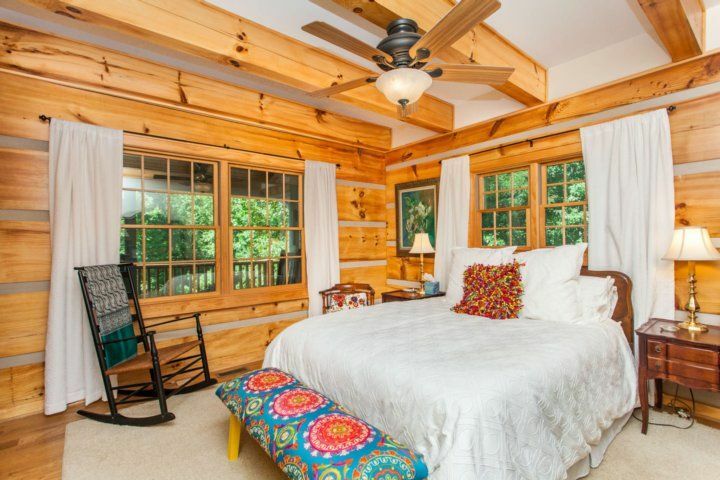 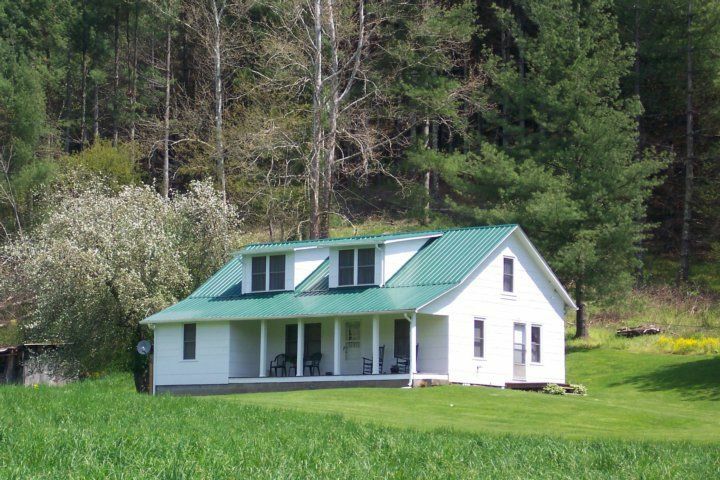 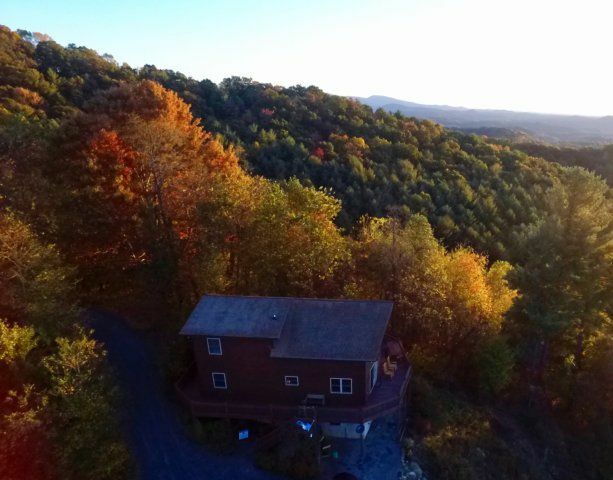 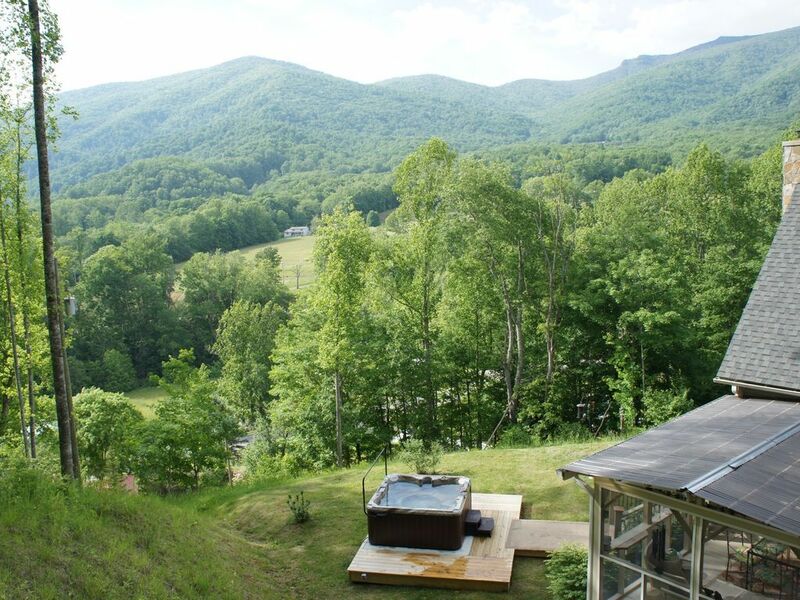 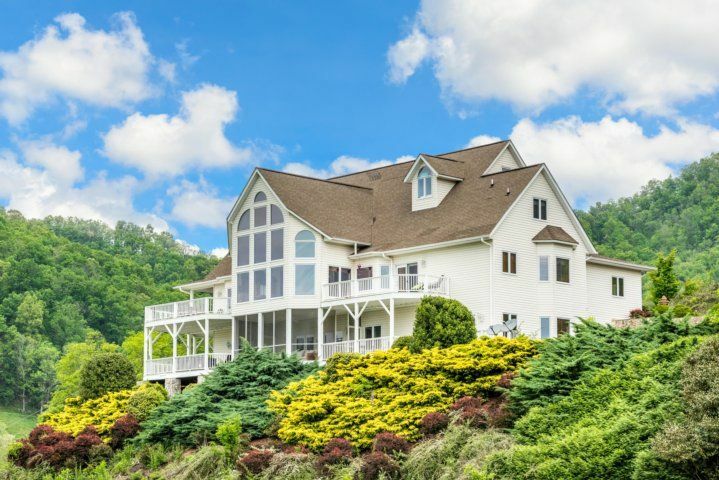 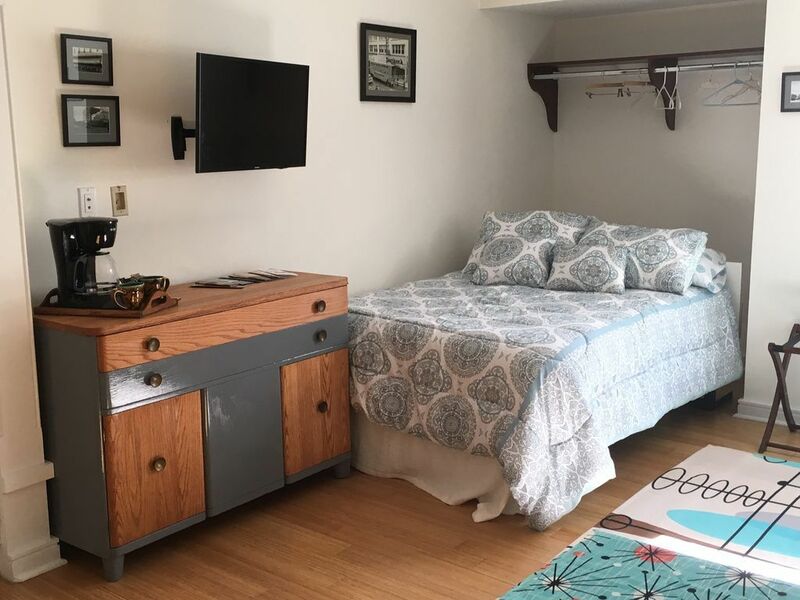 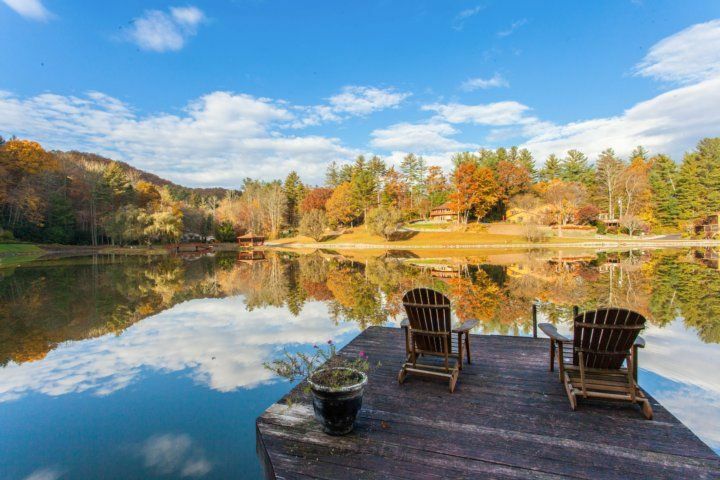 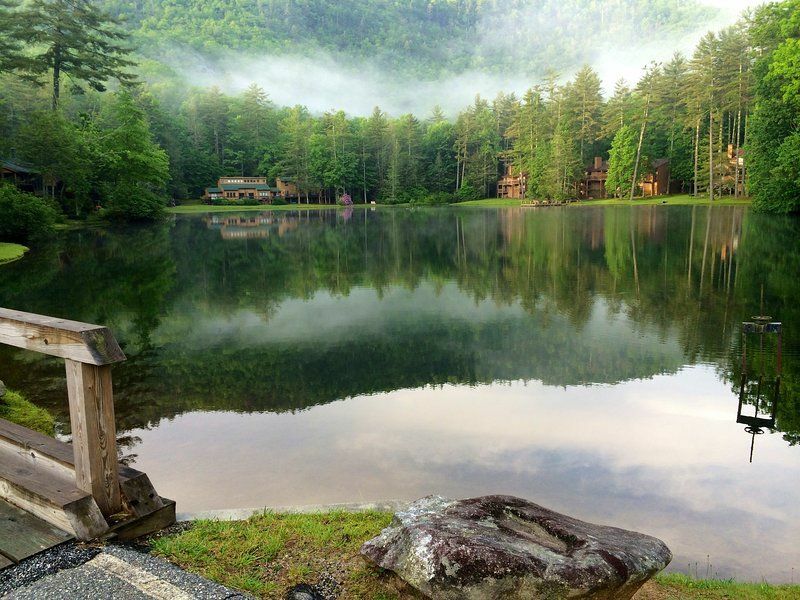 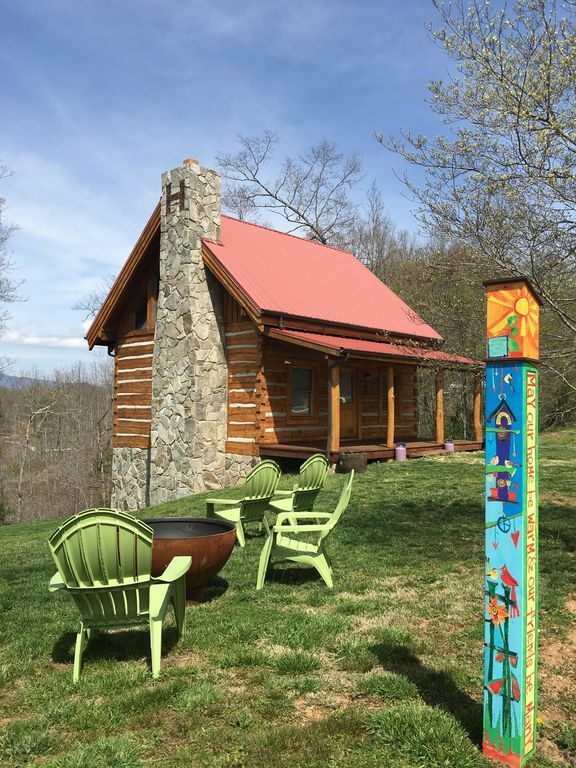 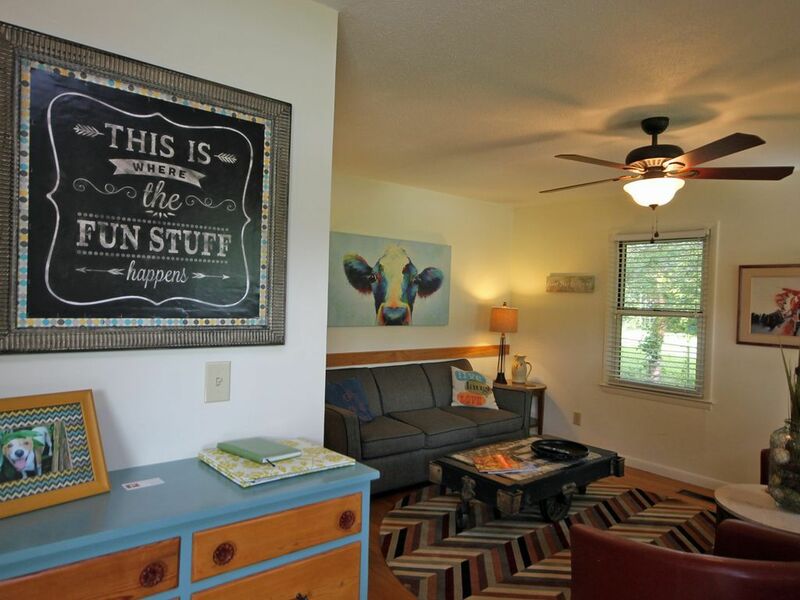 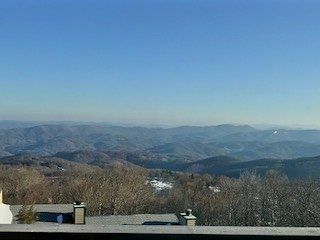 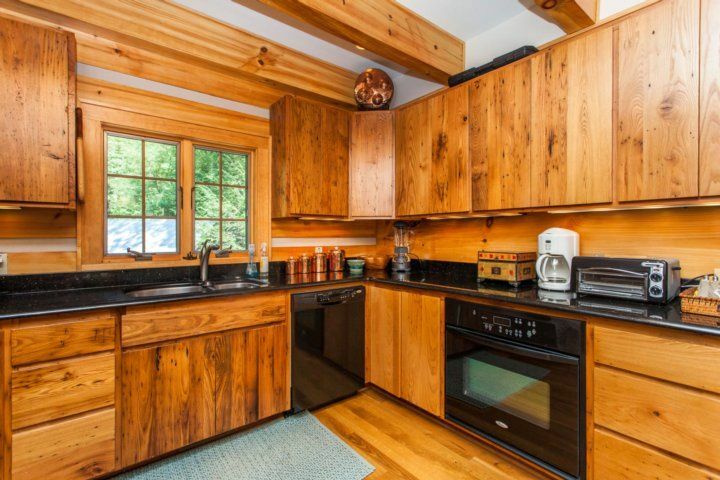 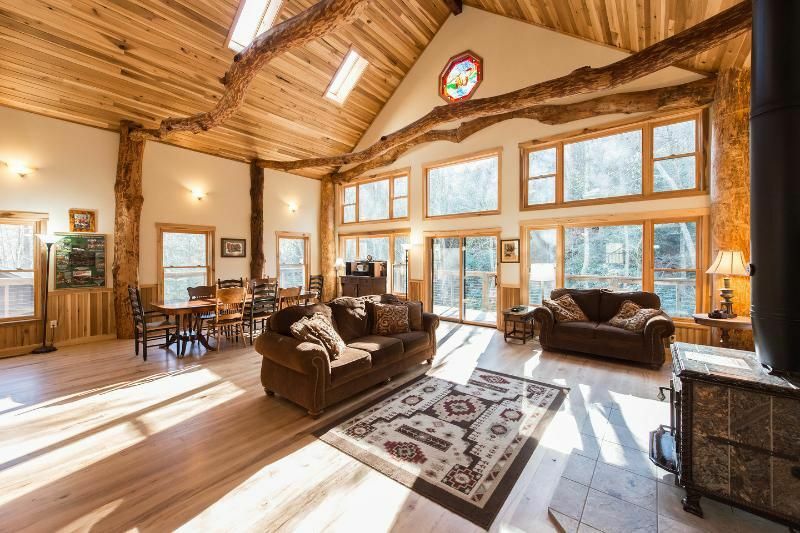 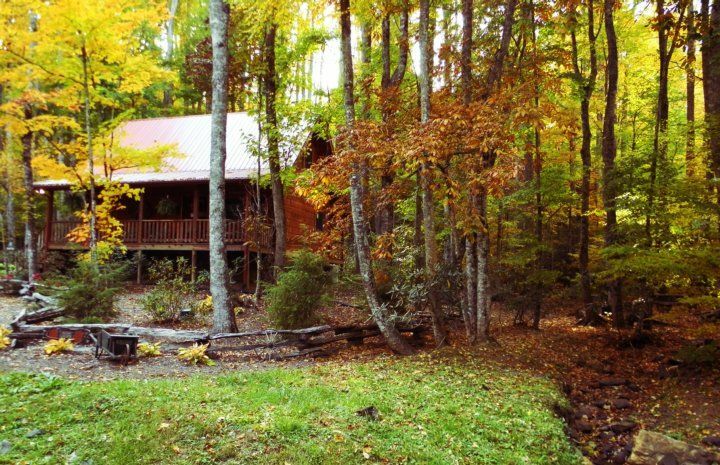 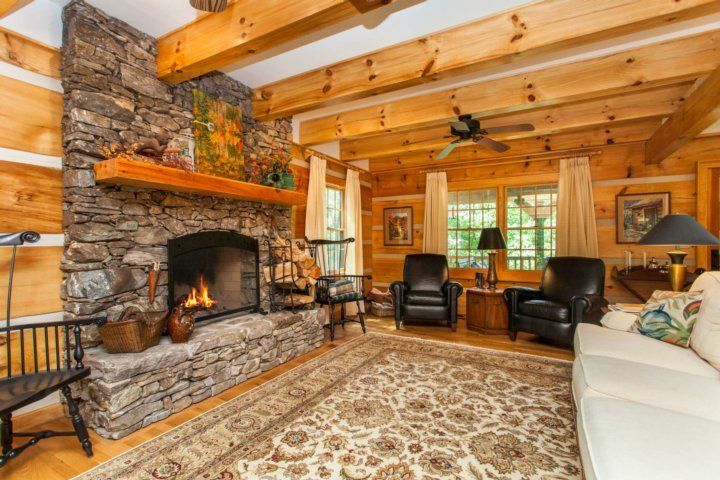 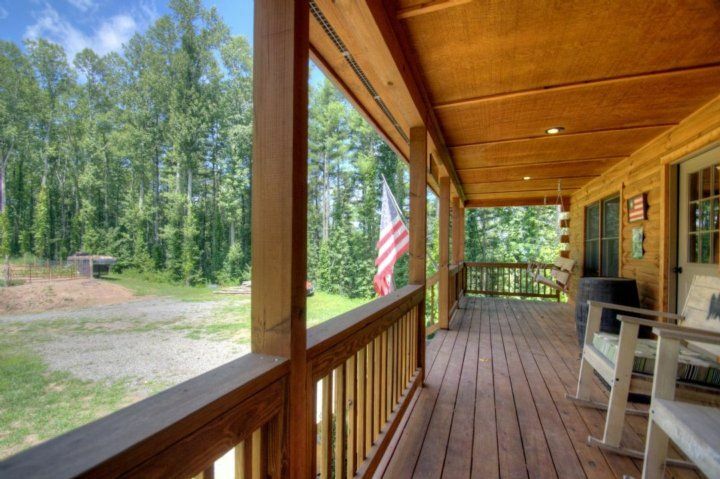 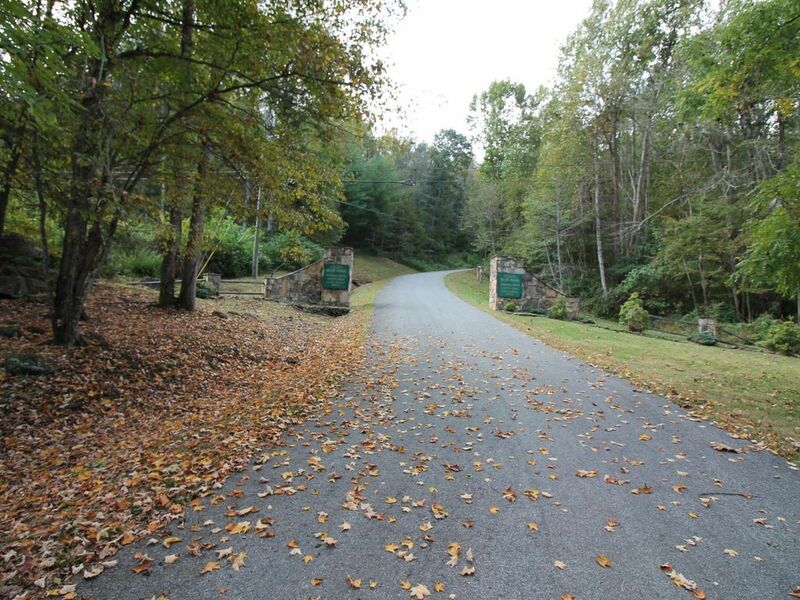 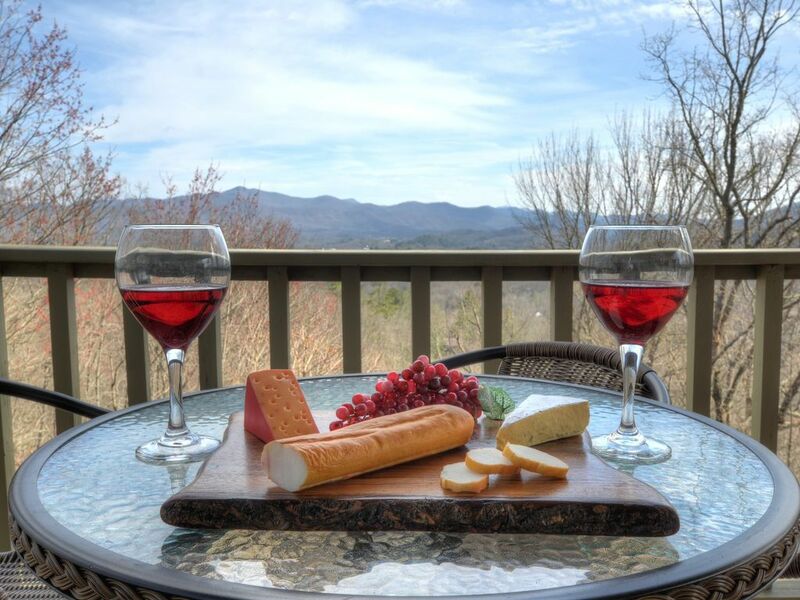 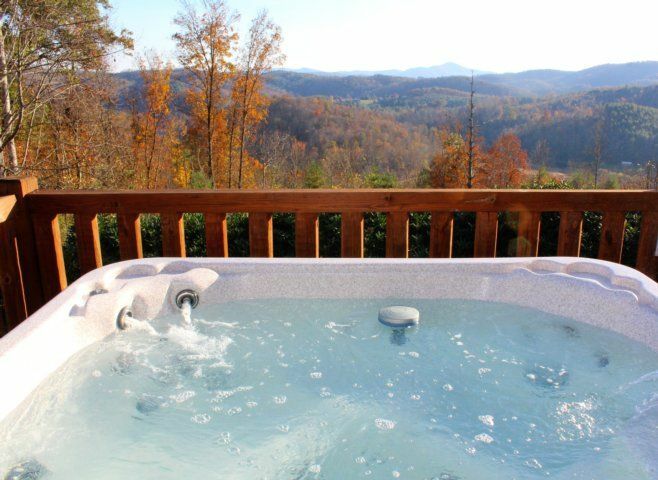 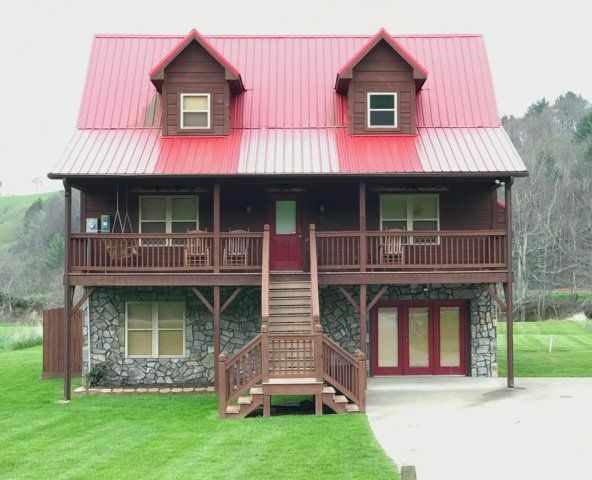 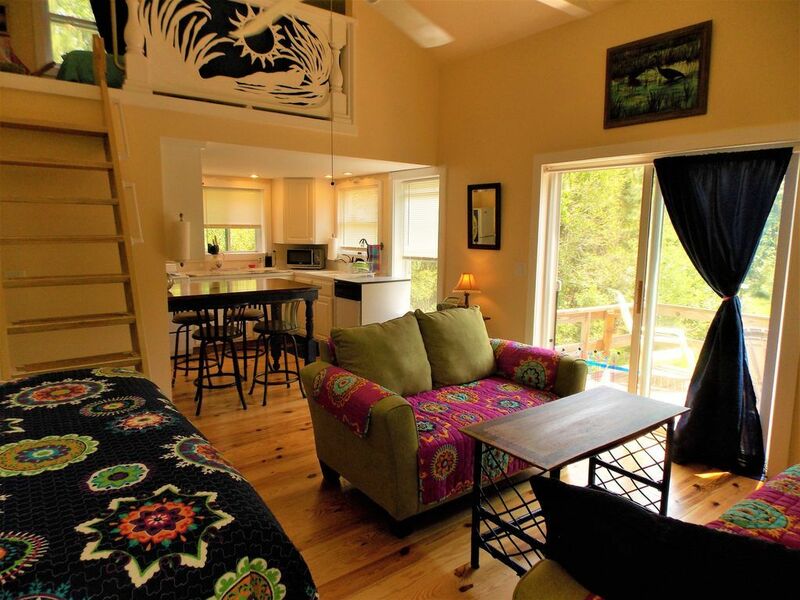 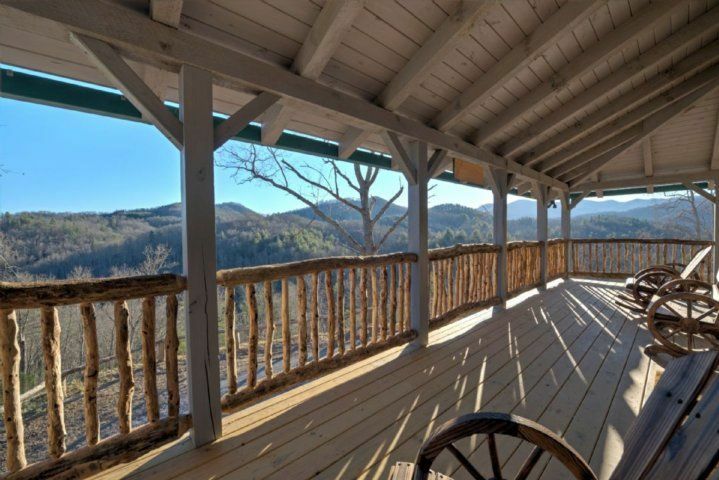 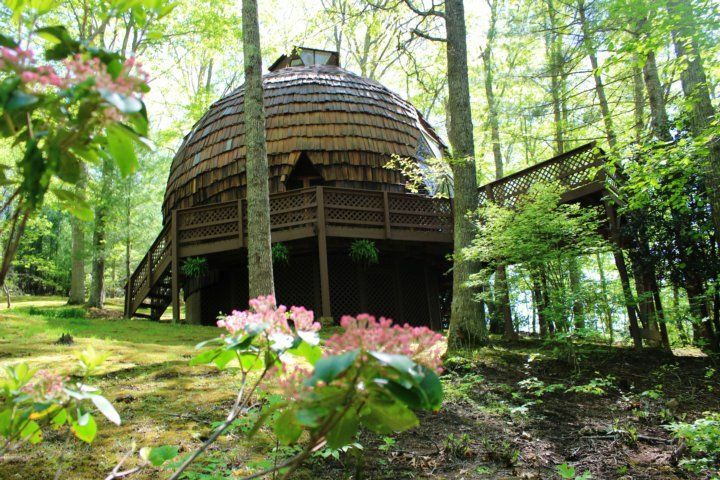 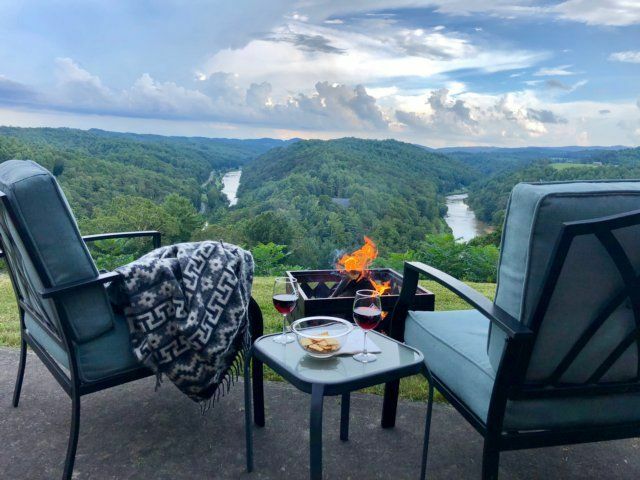 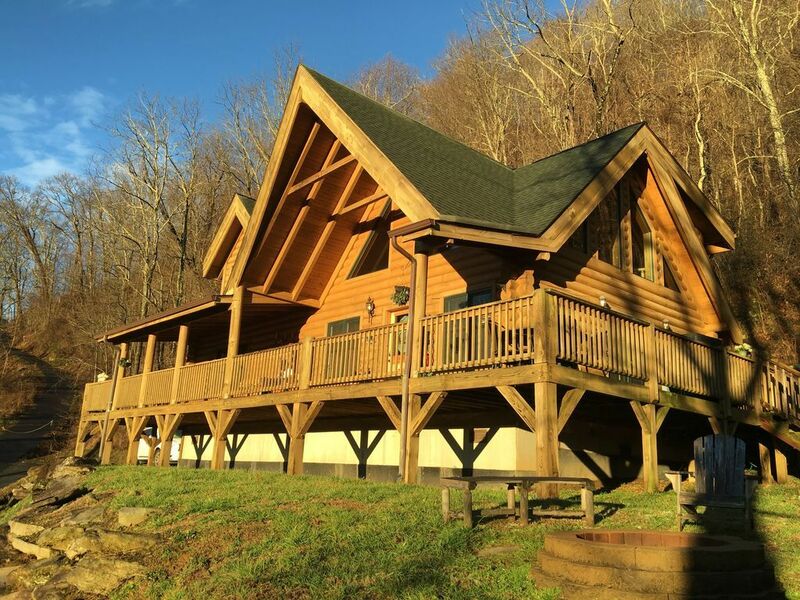 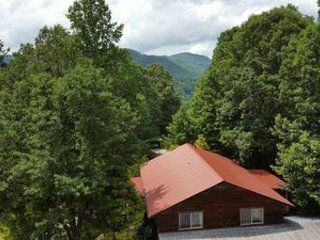 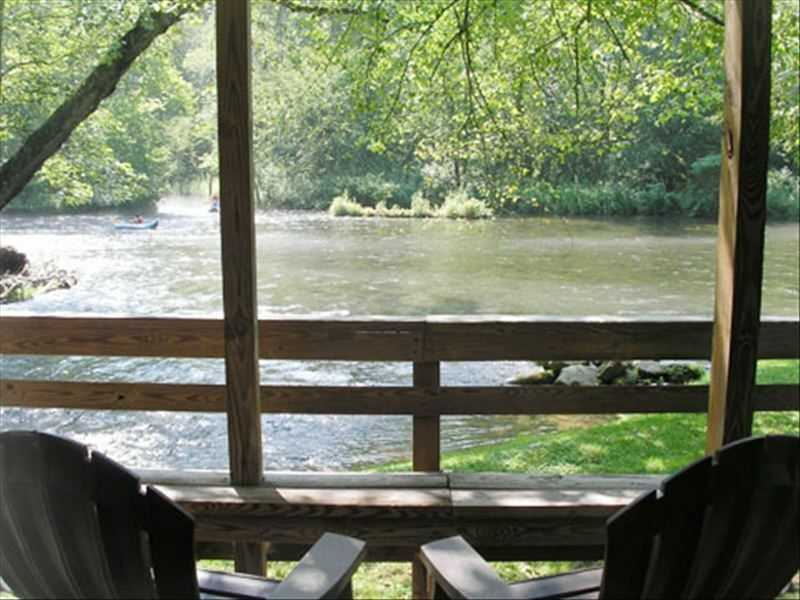 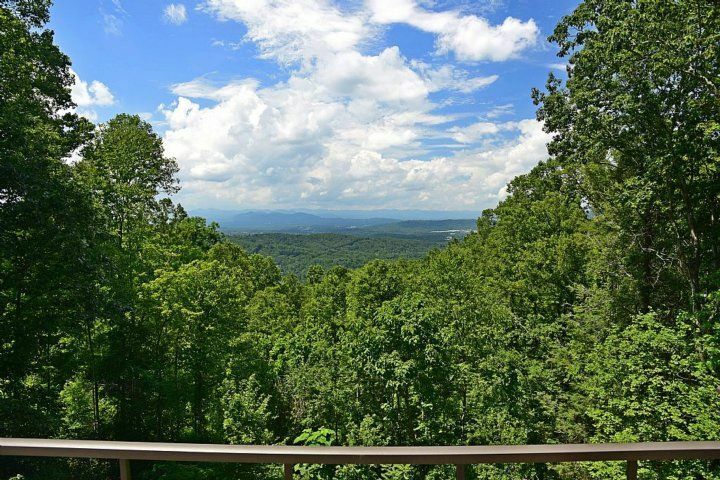 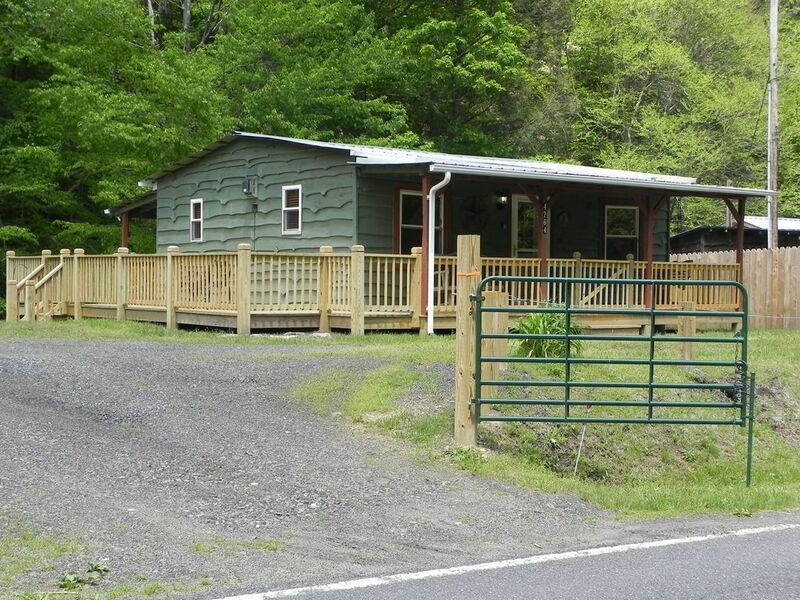 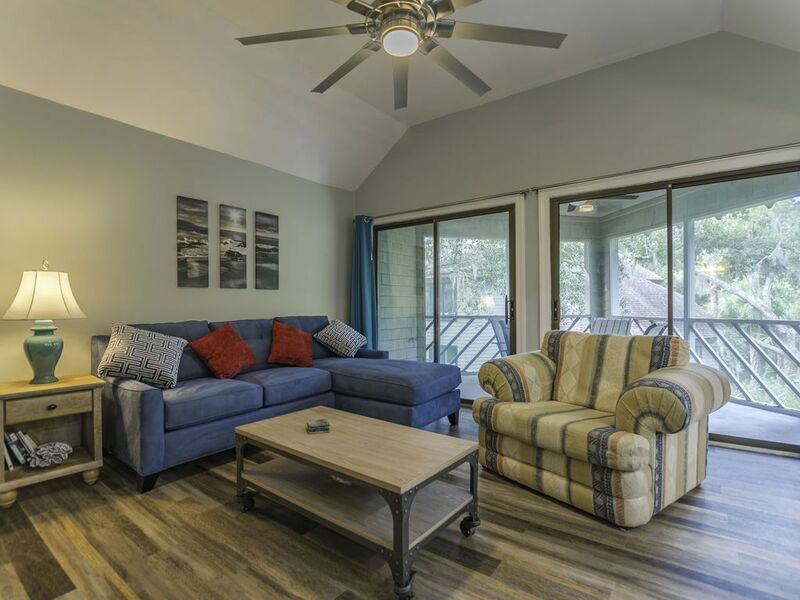 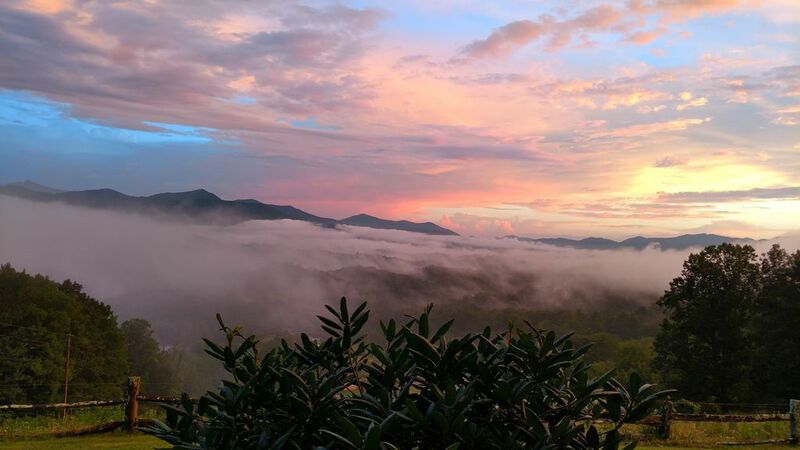 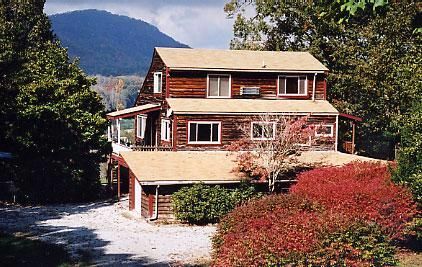 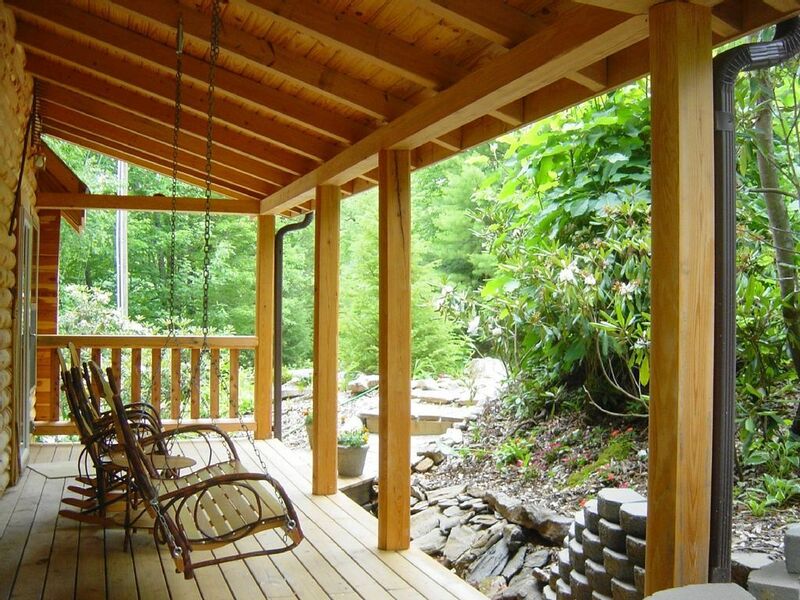 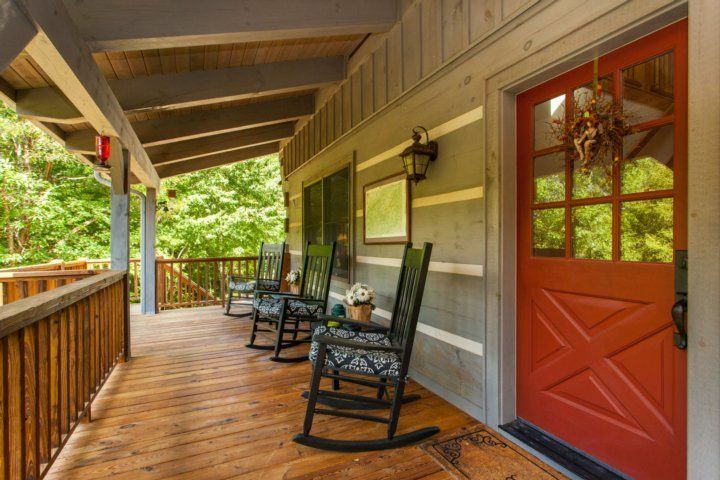 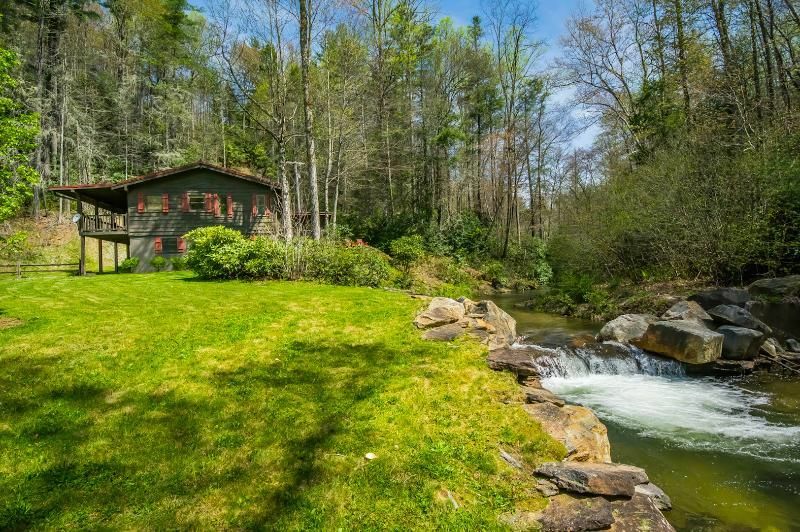 Ideal for outdoor adventurers, this rental is located in the middle of the Great Smoky Mountains National Park, Pisgah National Forest, Gorges State Park, and Nantahala National Forest, where you can hike, bike, zipline, swim, and raft.